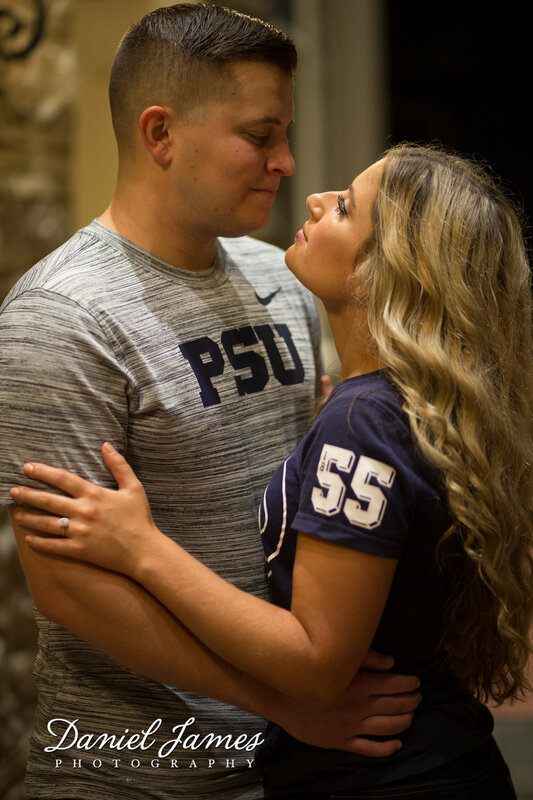 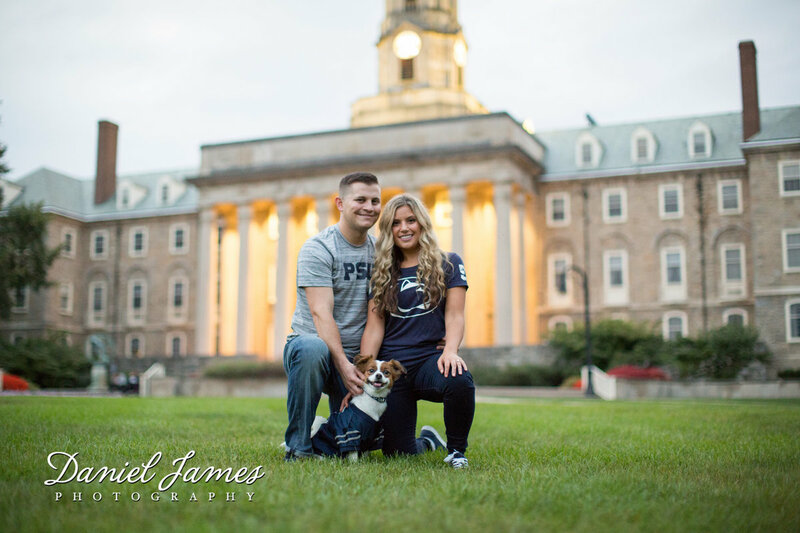 Born and raised in State College, PA, Daniel has always had a camera of some sort in his hands taking pictures or recording videos of every creative idea that came to mind. 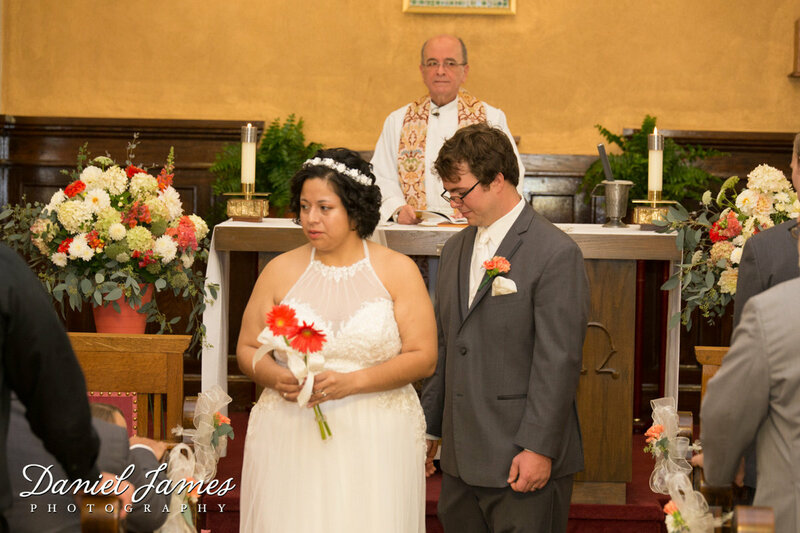 He excitedly started his wedding business by age 18 while going to school for his other passion in life helping those in need. 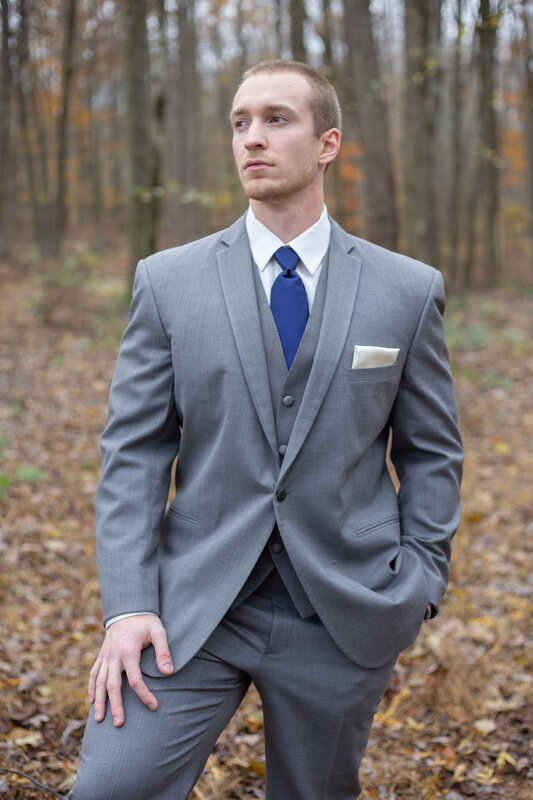 After graduating from school he moved to South Carolina to work as a paramedic. 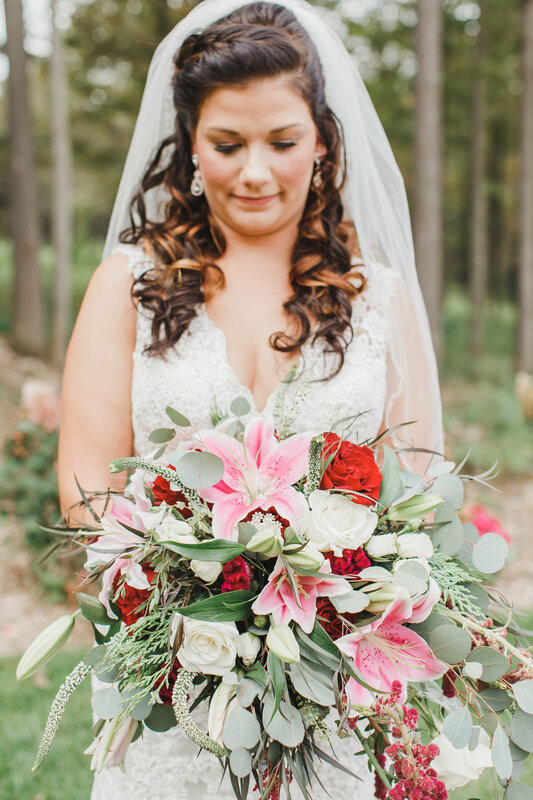 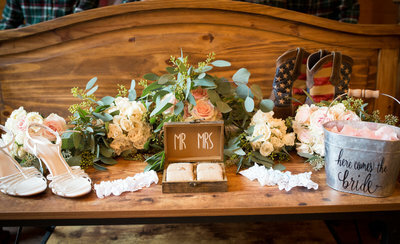 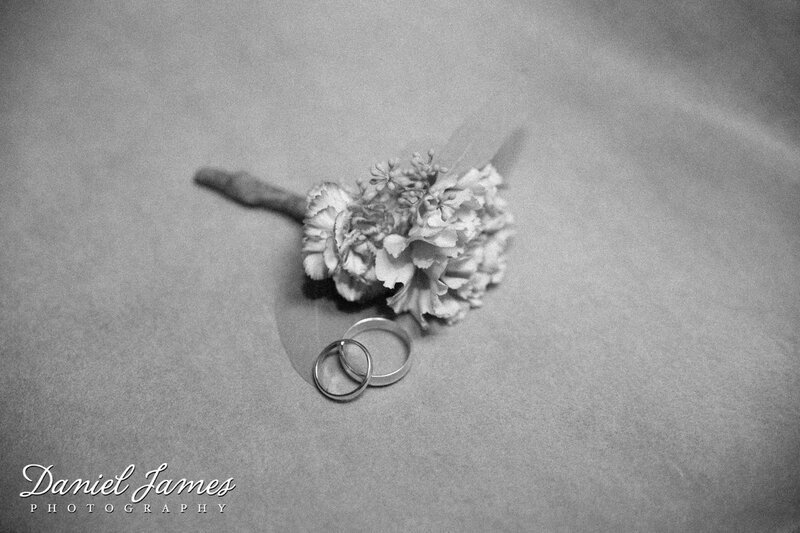 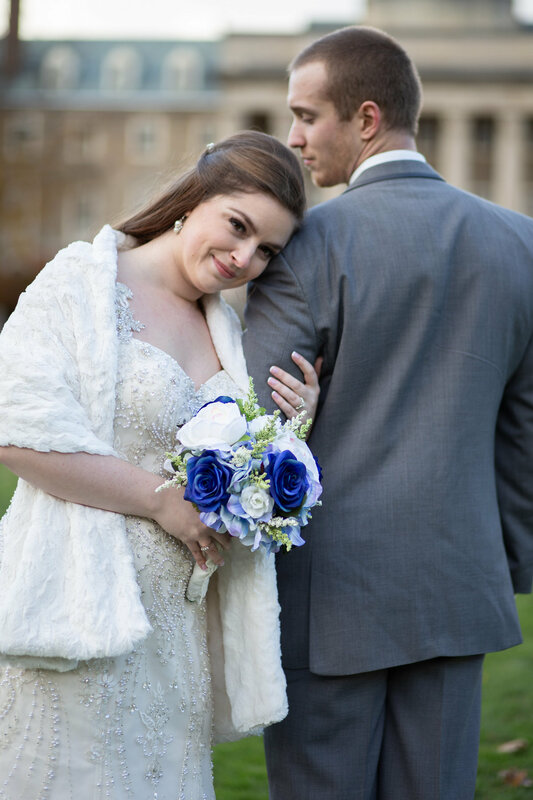 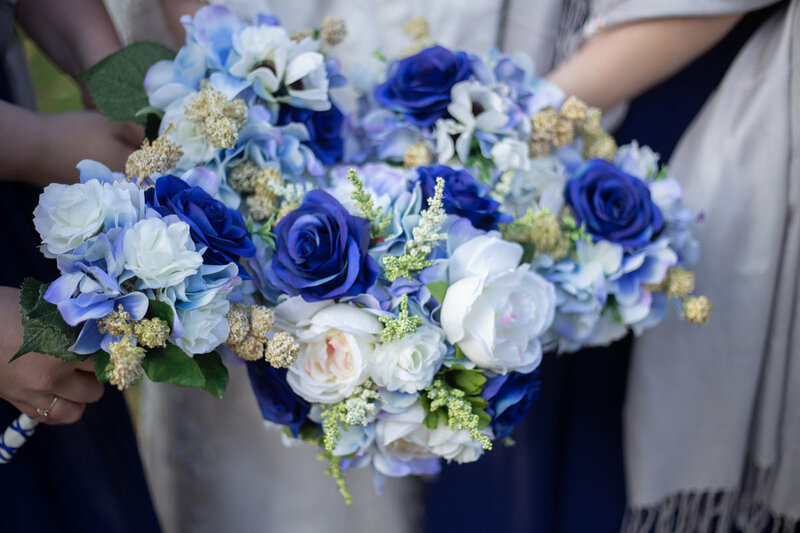 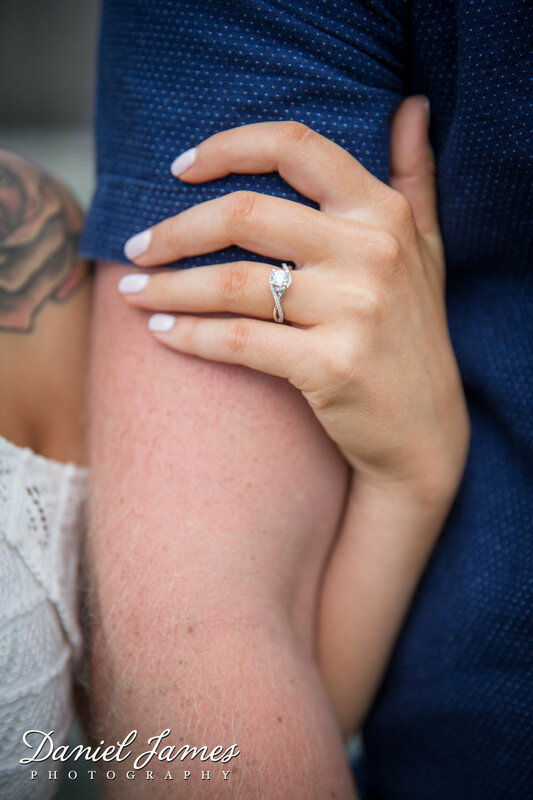 He continued his business and passion for wedding photography & videography in beautiful cities of Charleston, South Carolina and Savannah, Georgia. 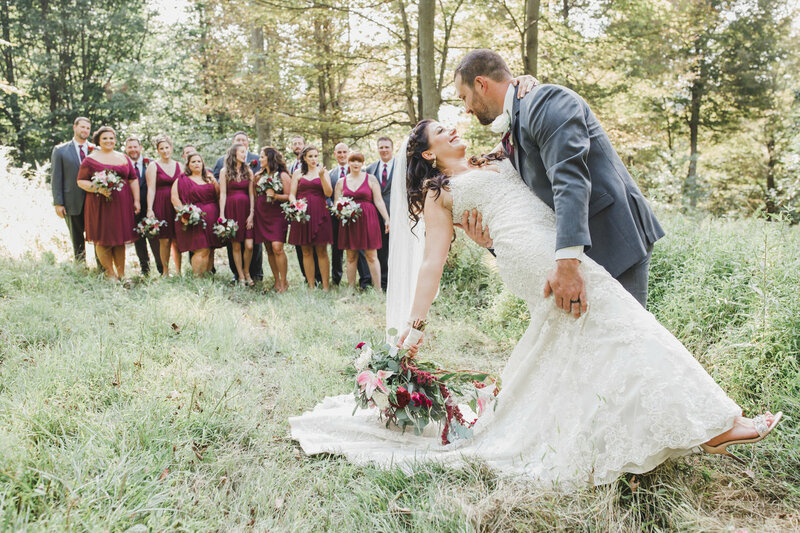 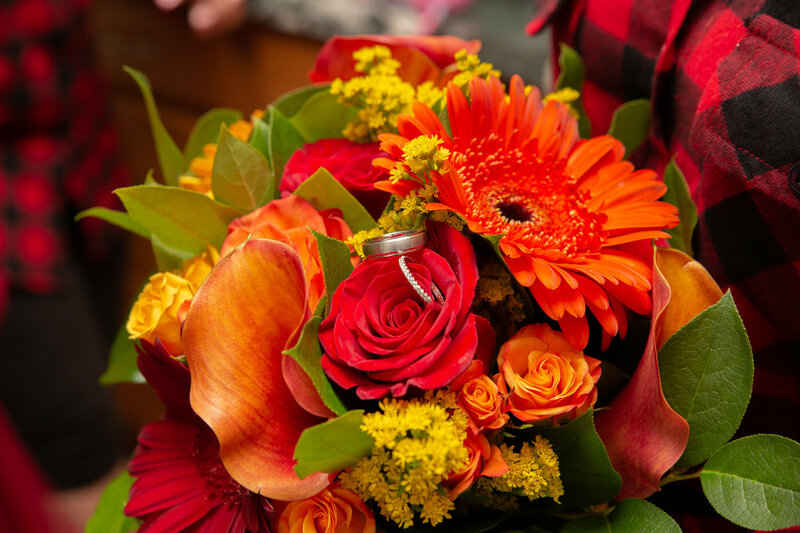 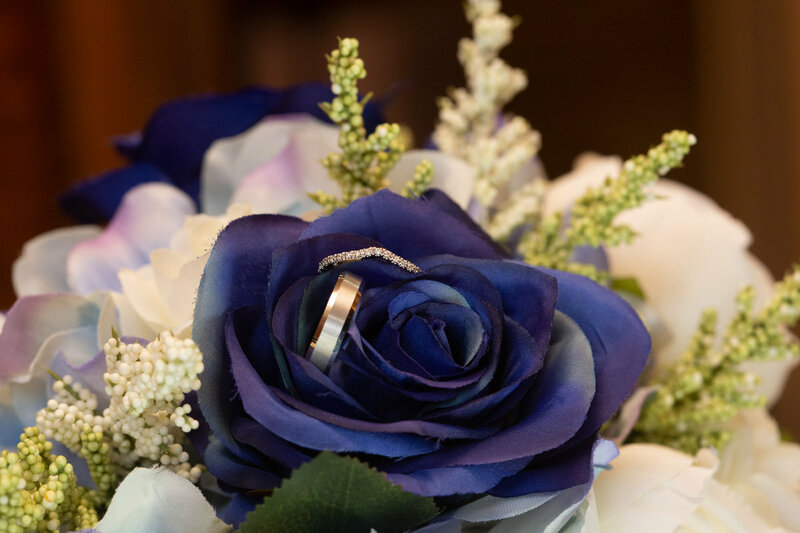 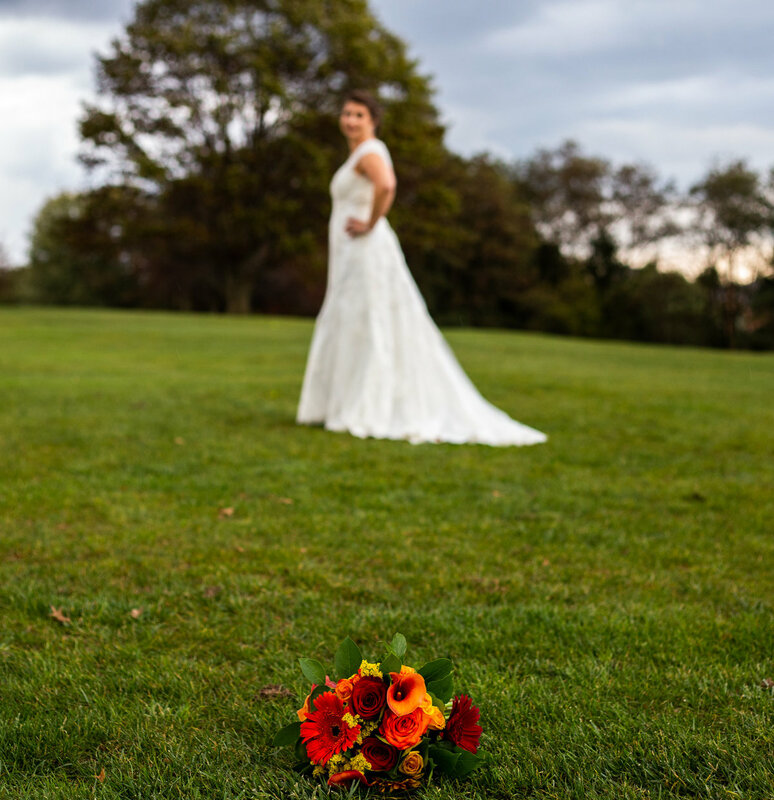 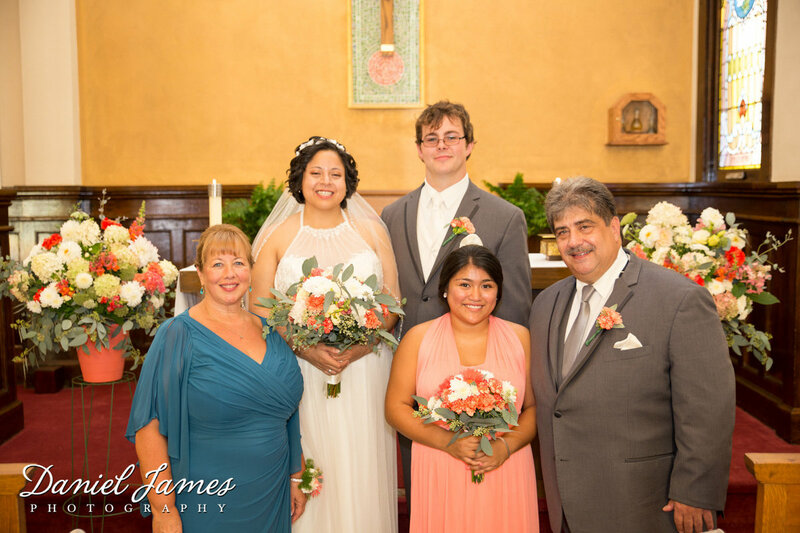 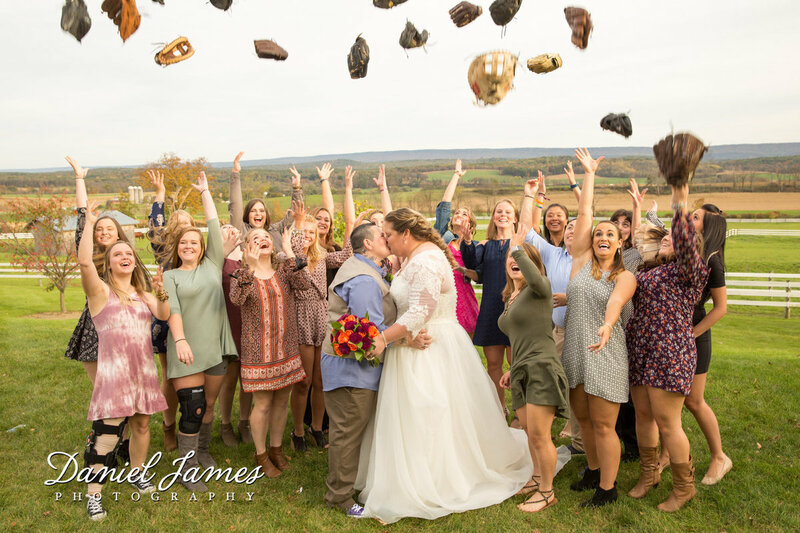 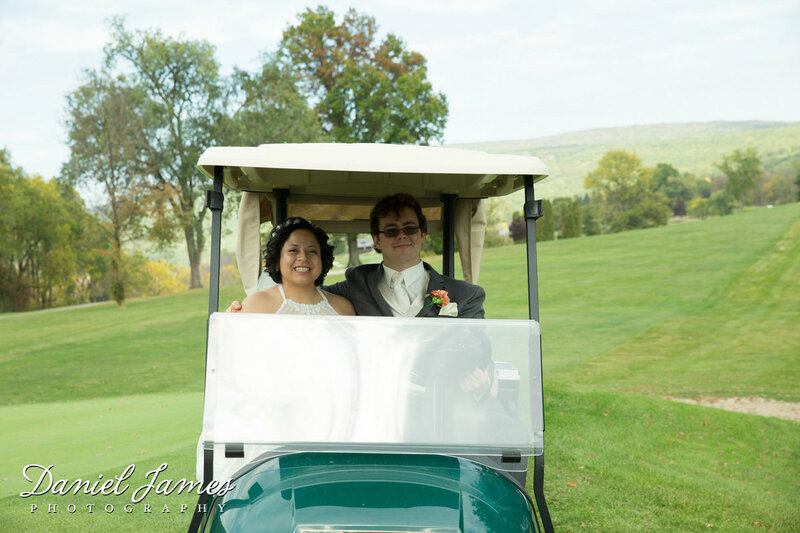 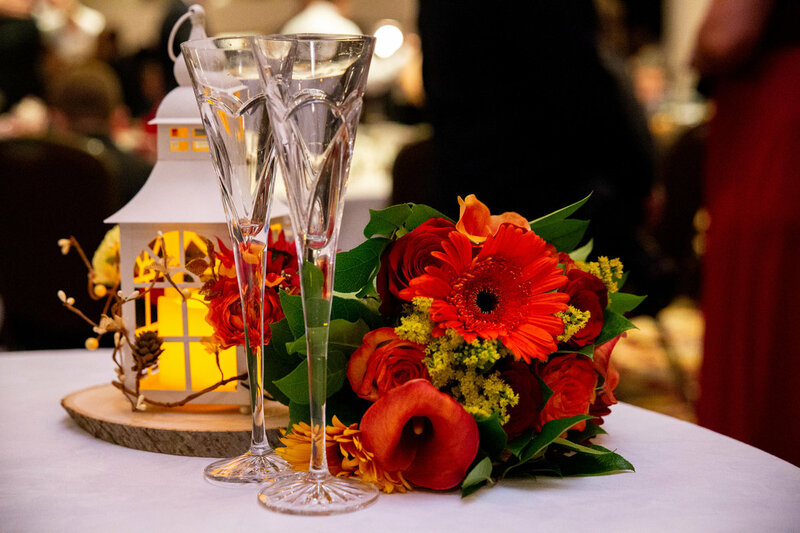 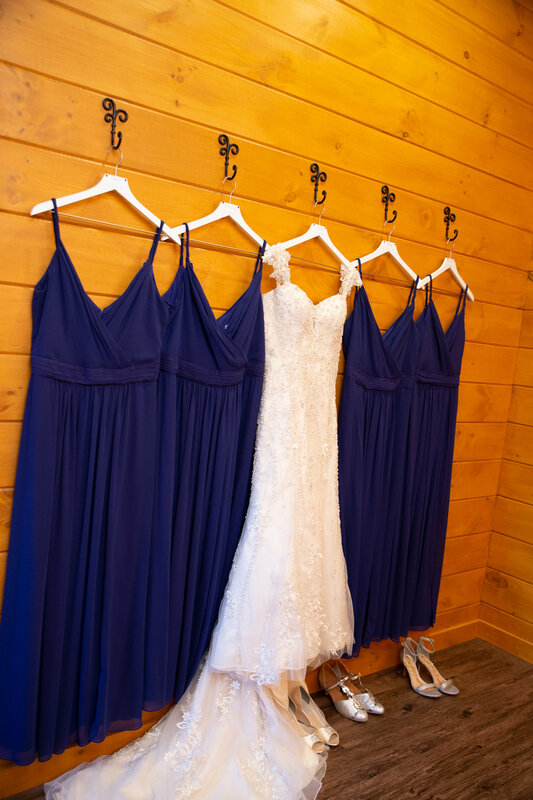 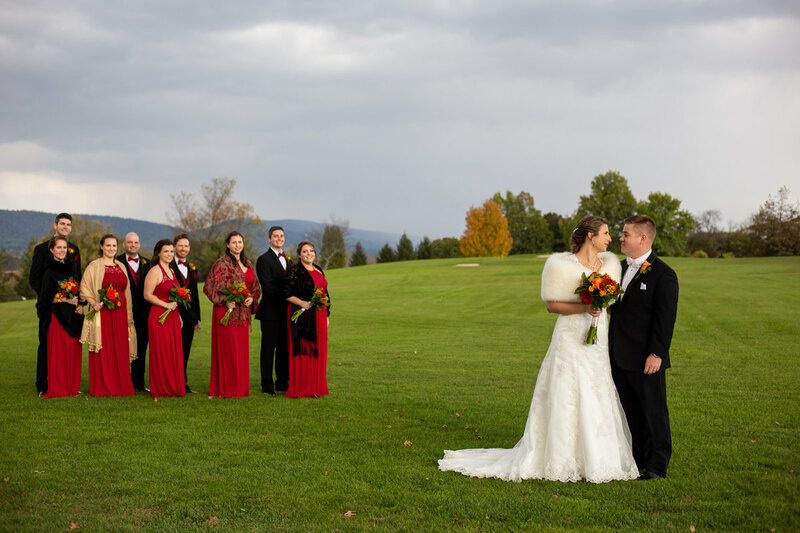 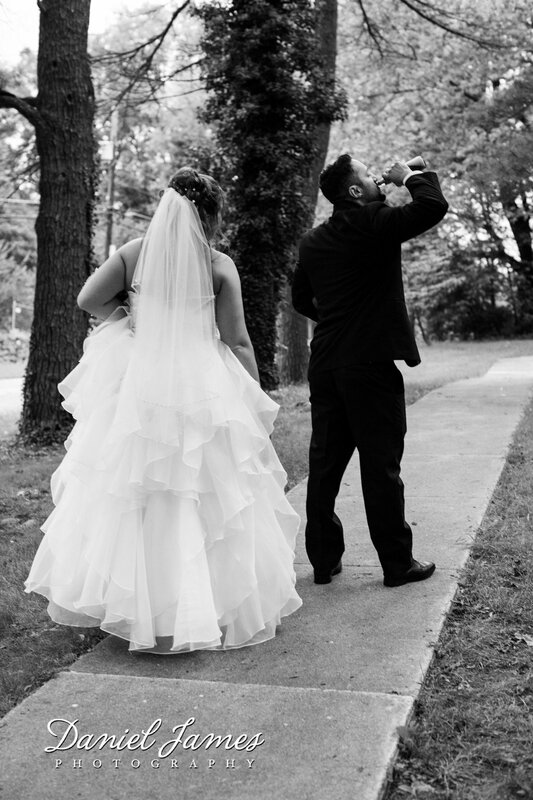 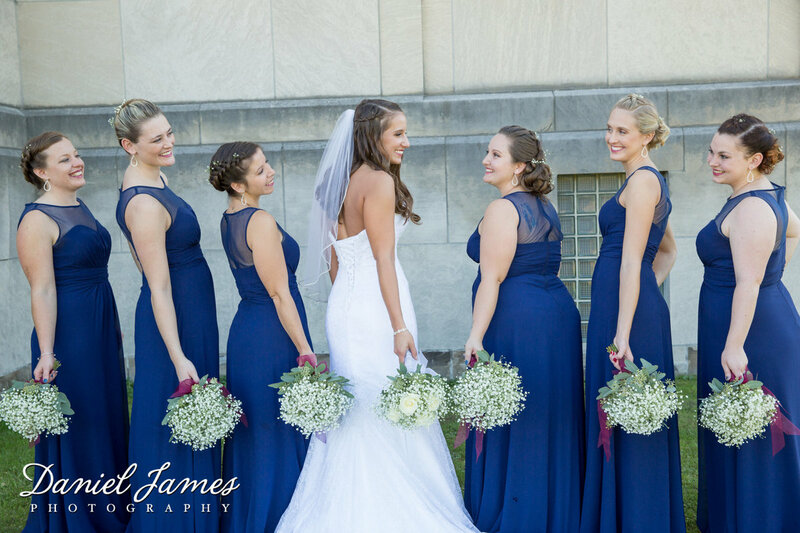 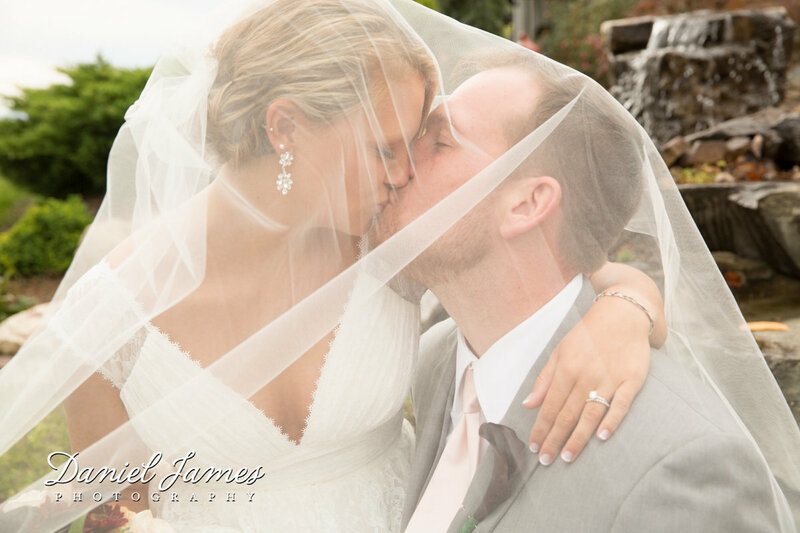 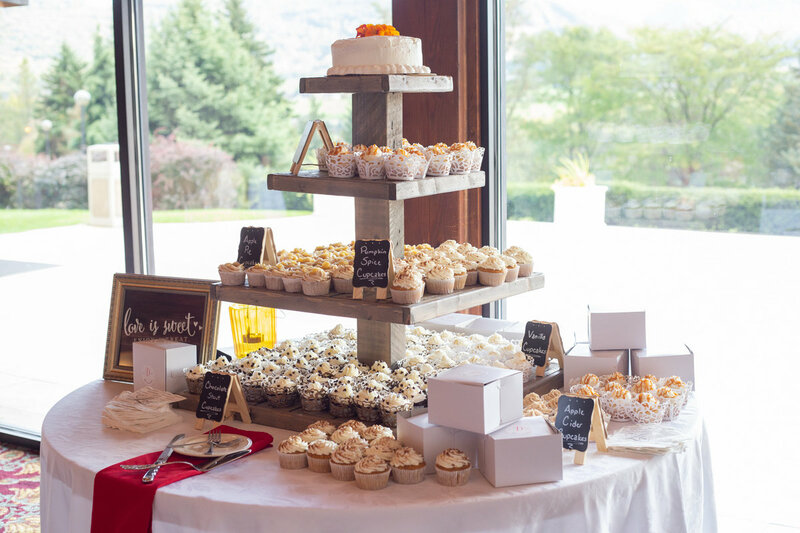 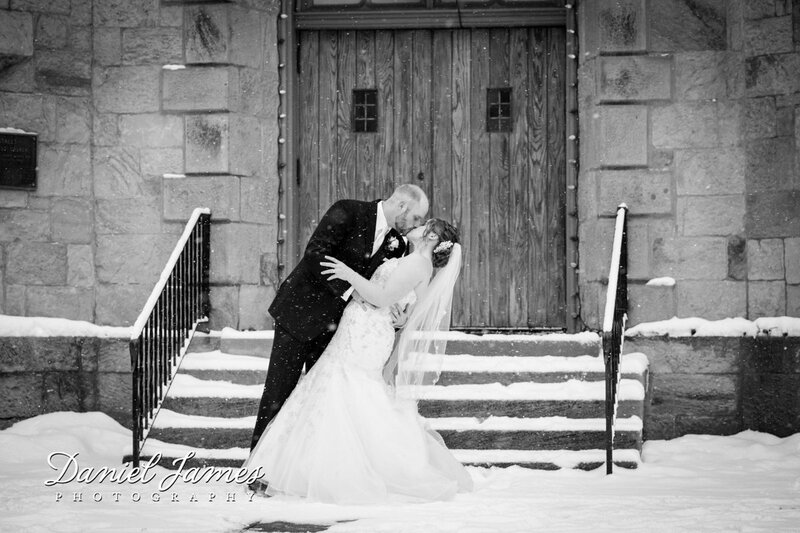 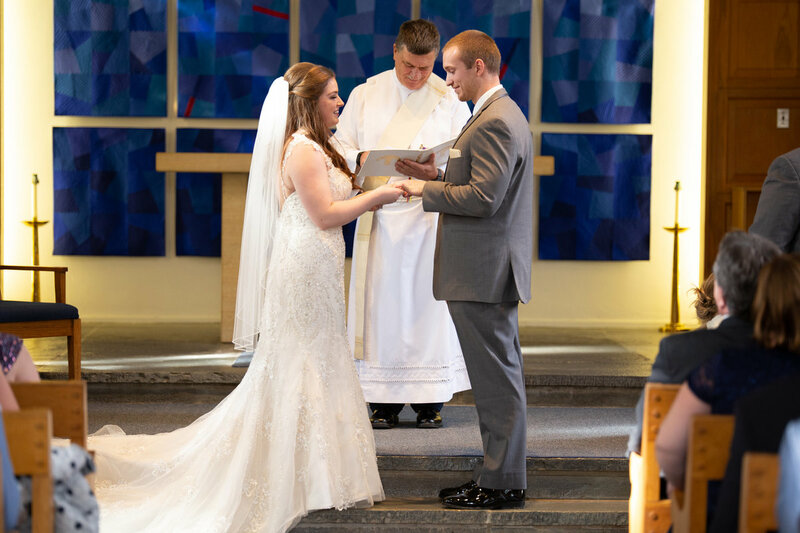 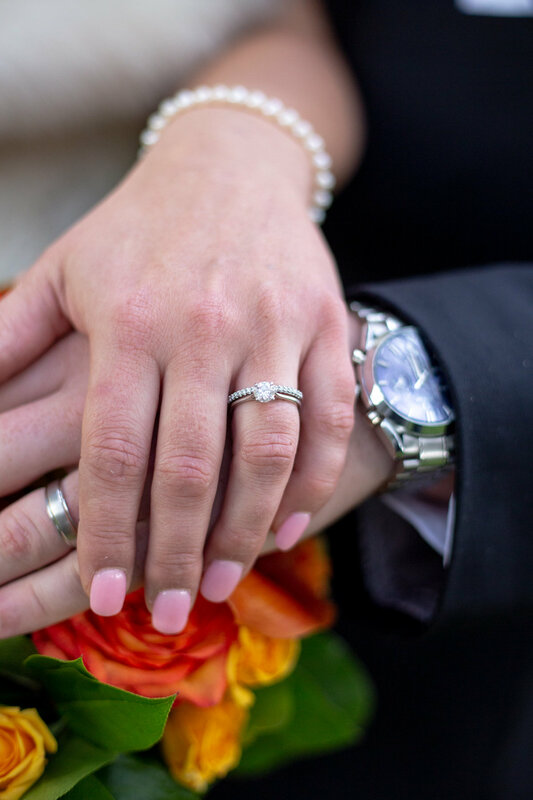 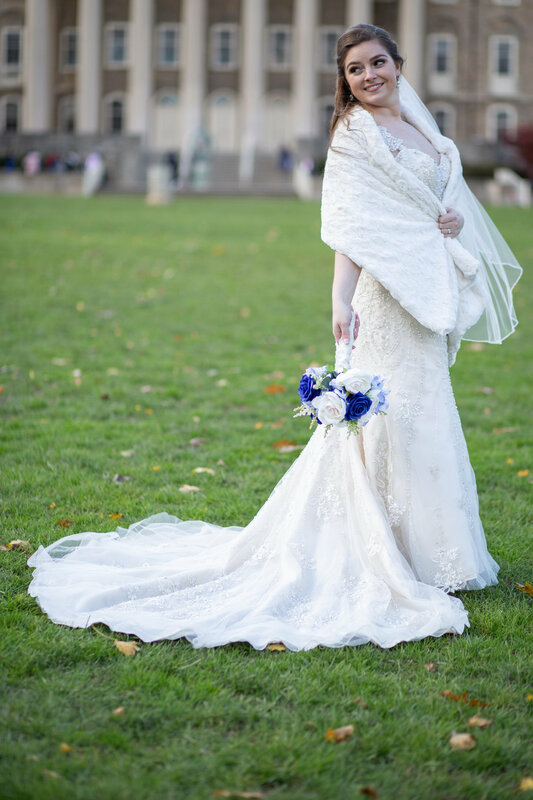 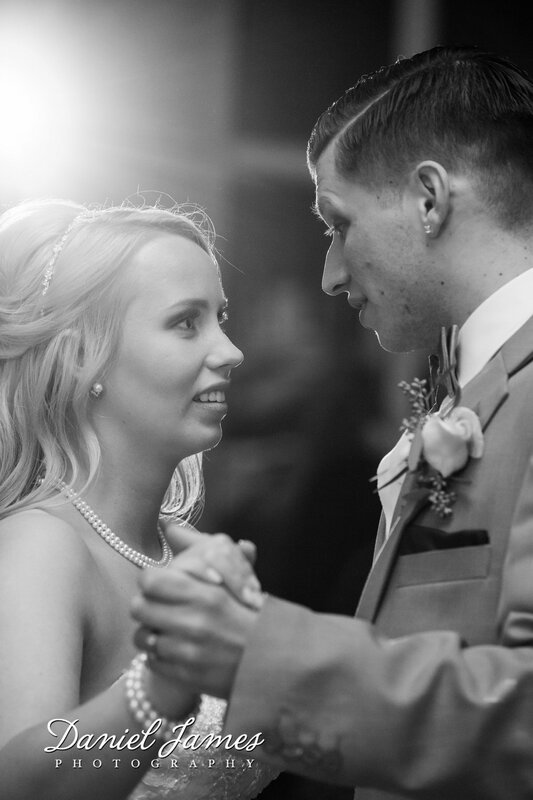 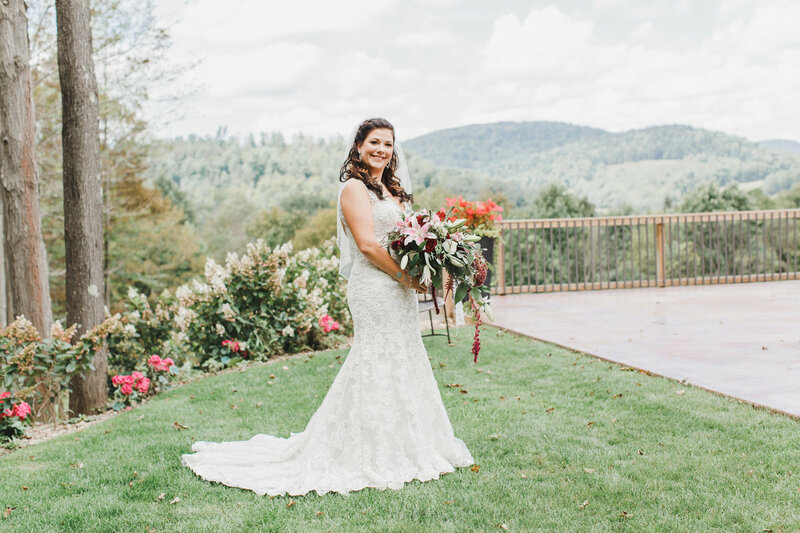 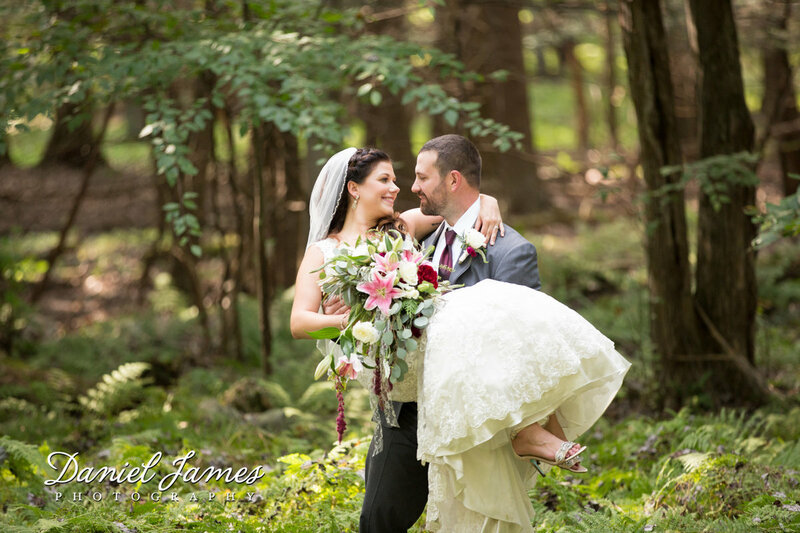 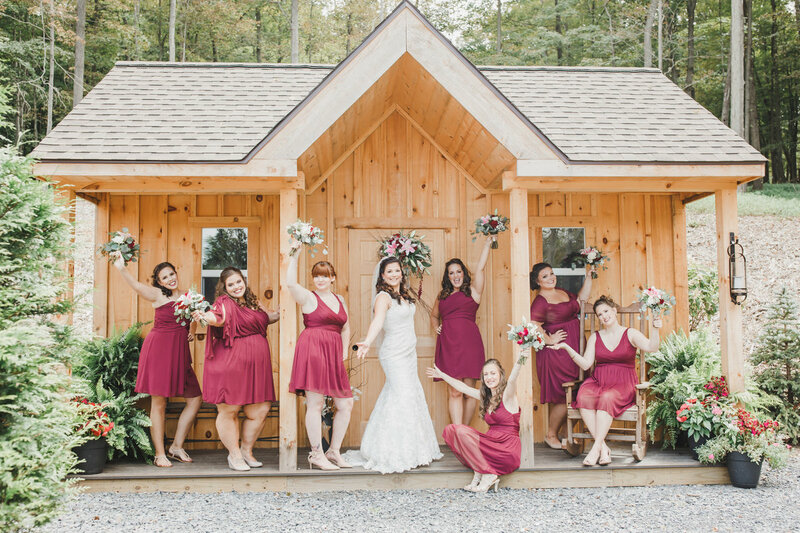 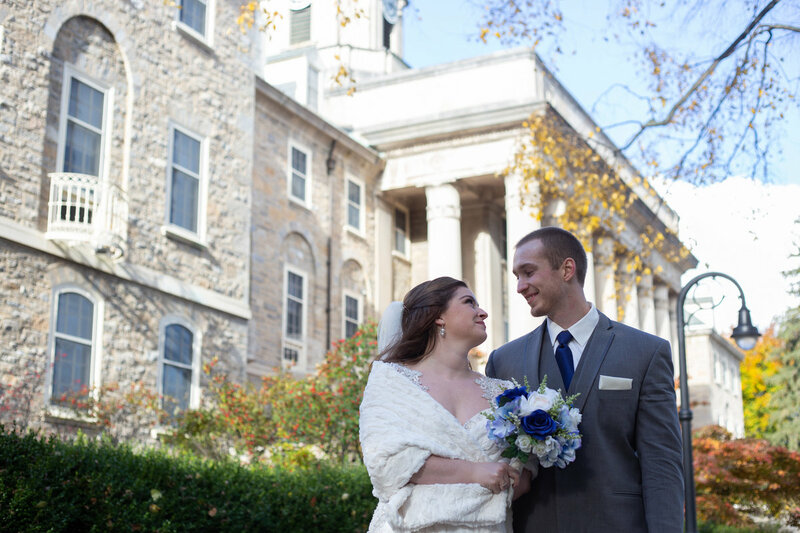 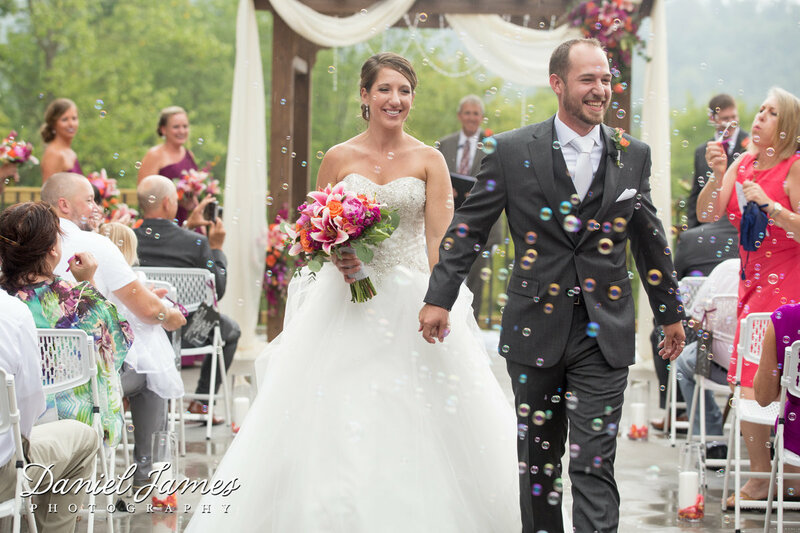 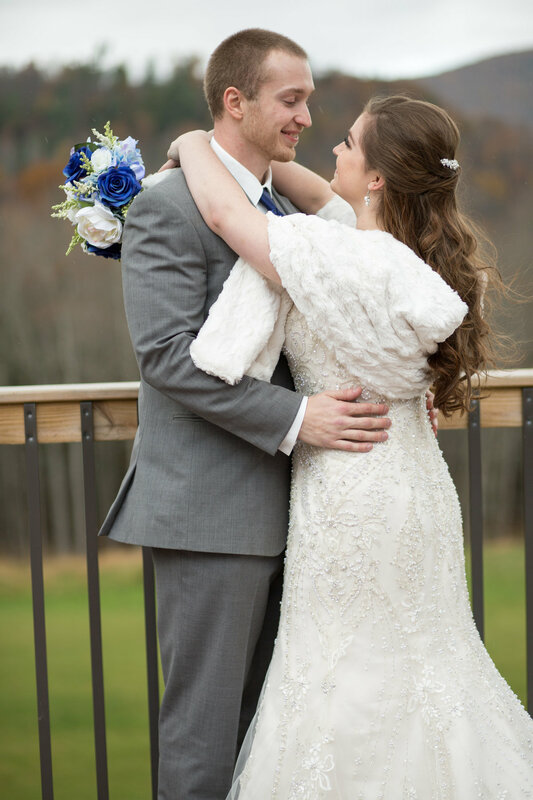 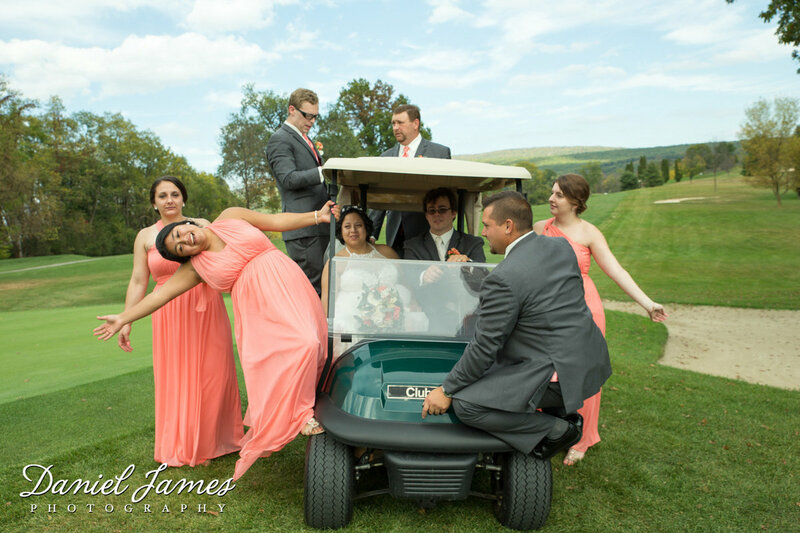 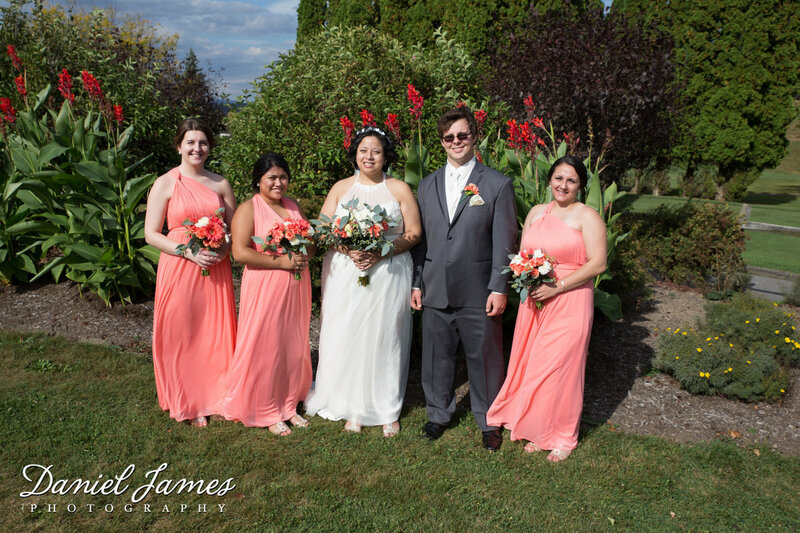 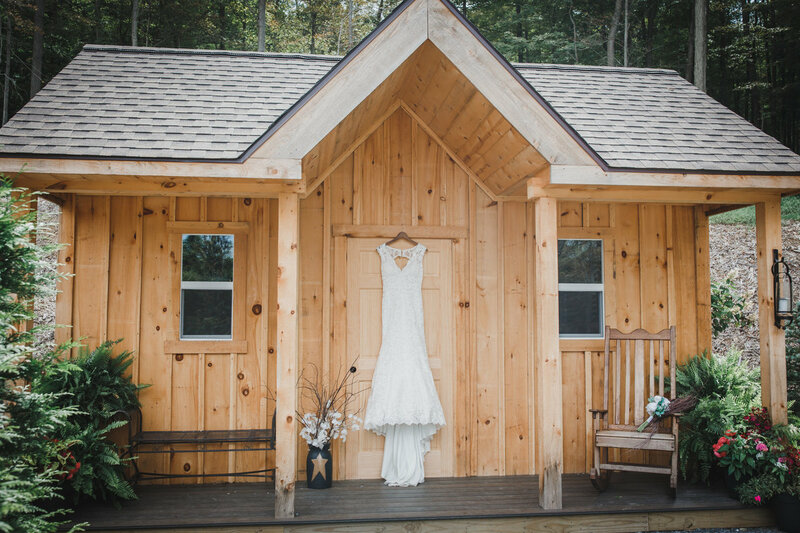 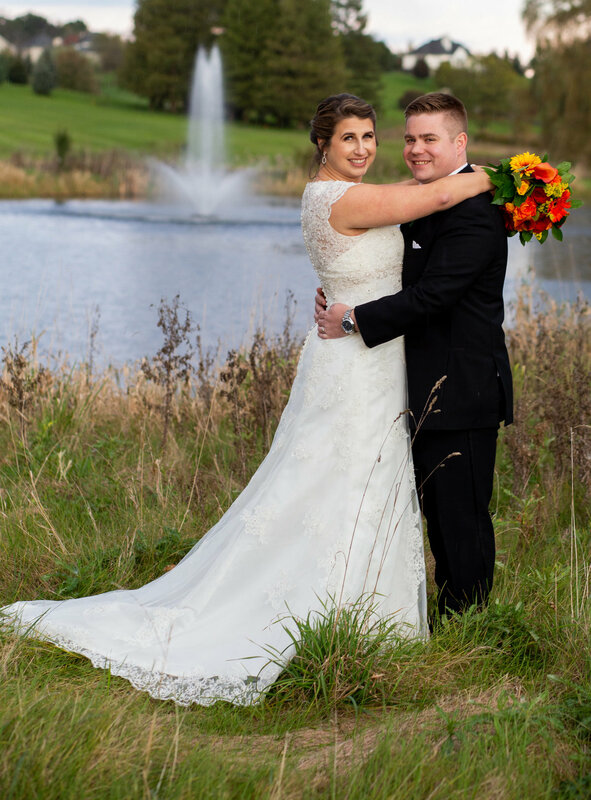 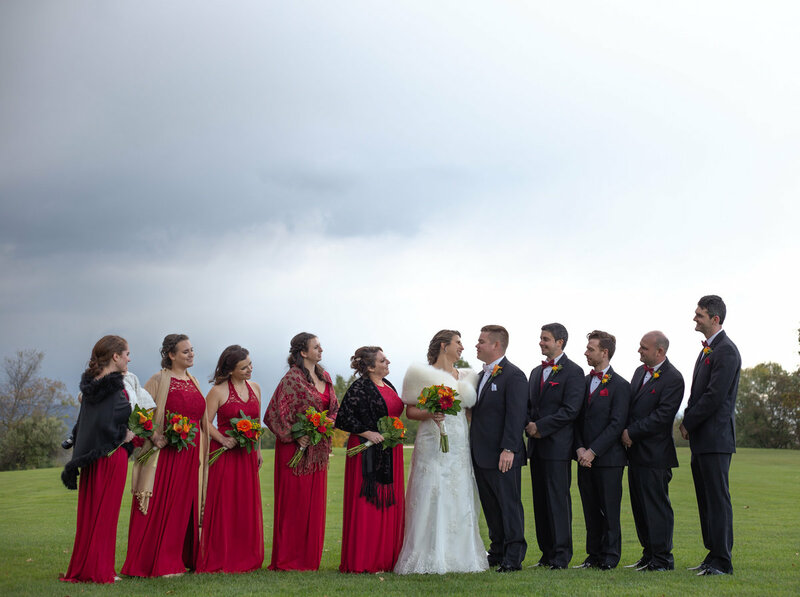 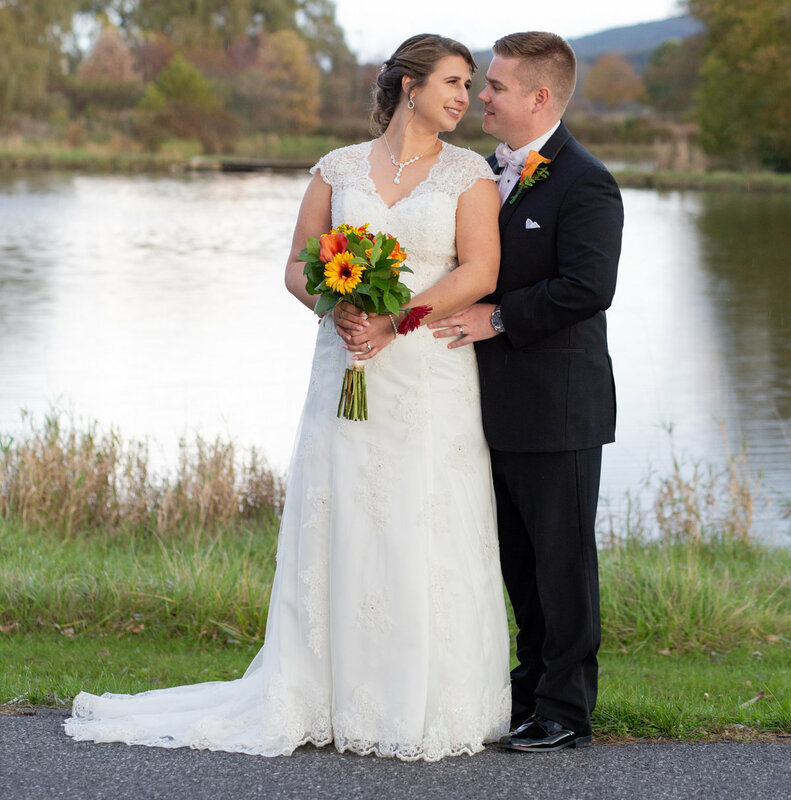 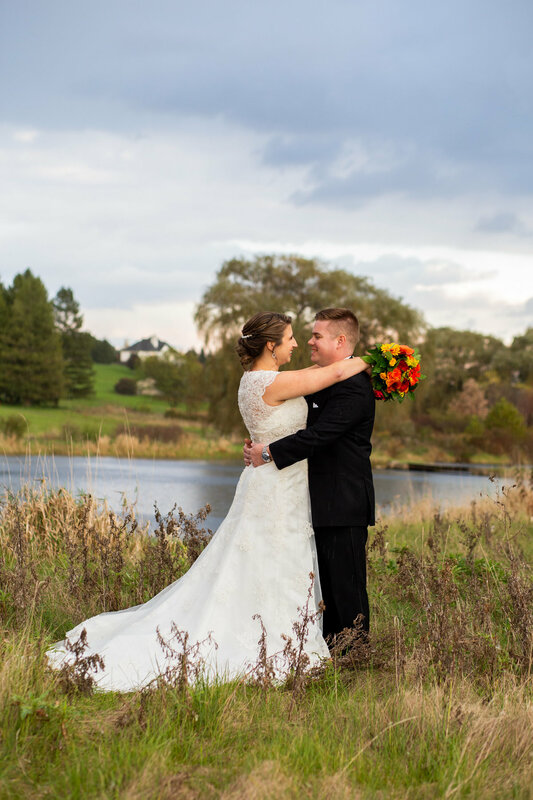 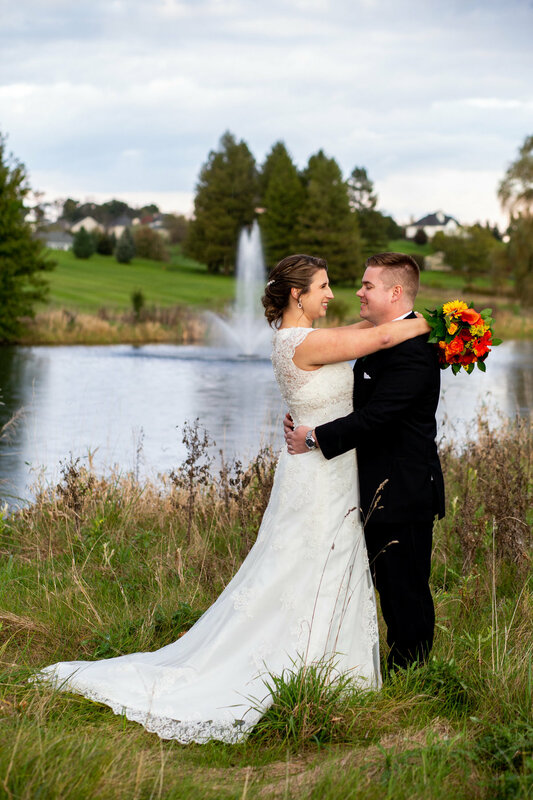 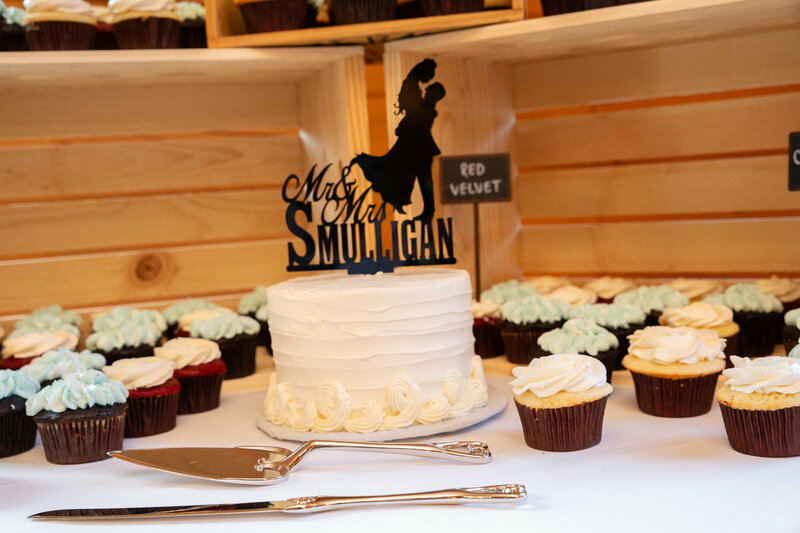 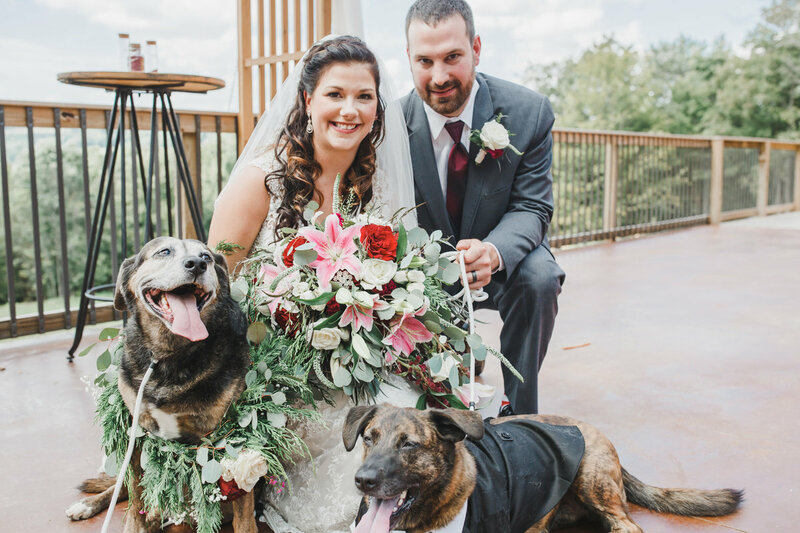 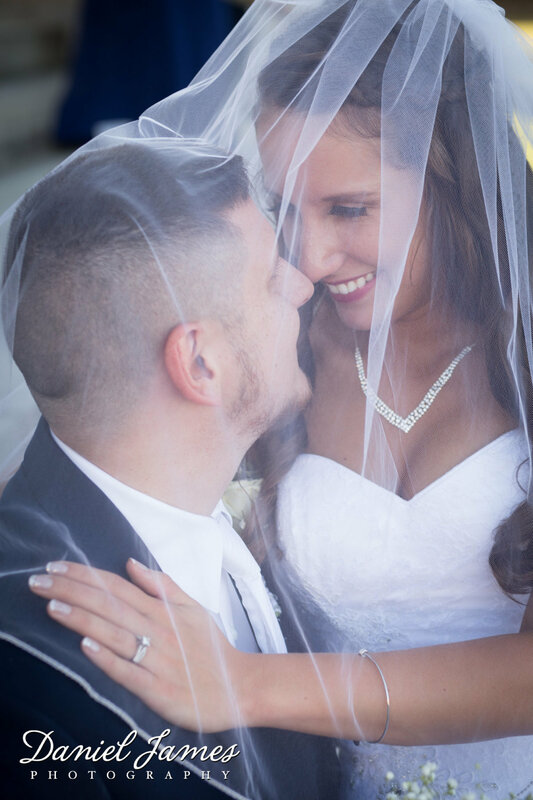 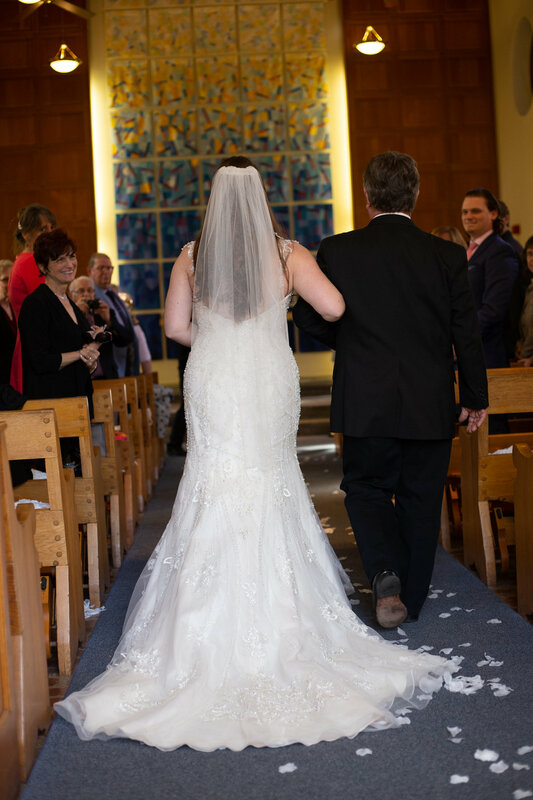 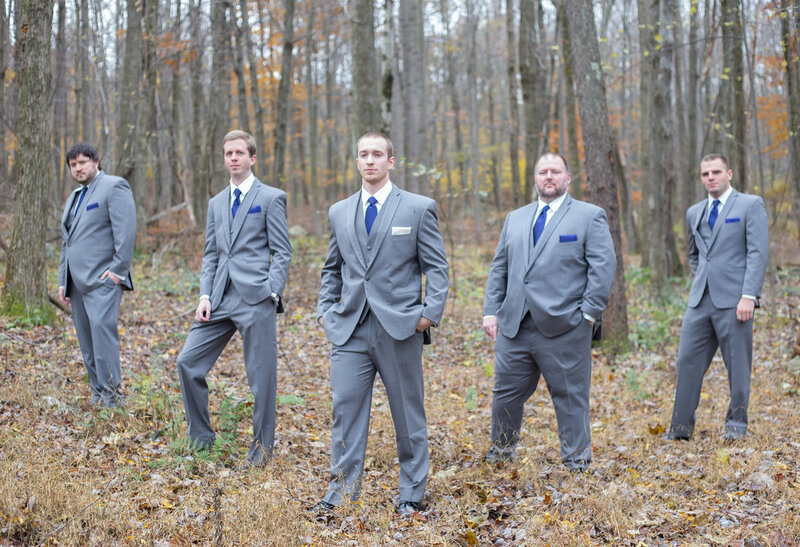 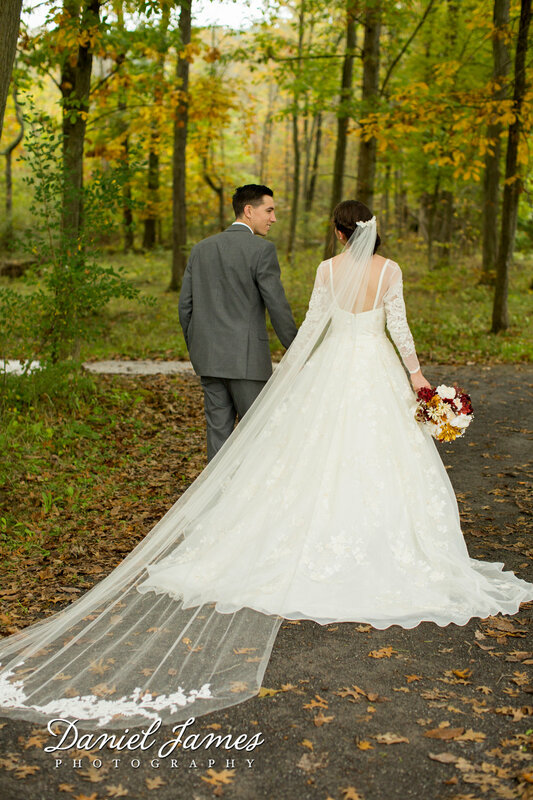 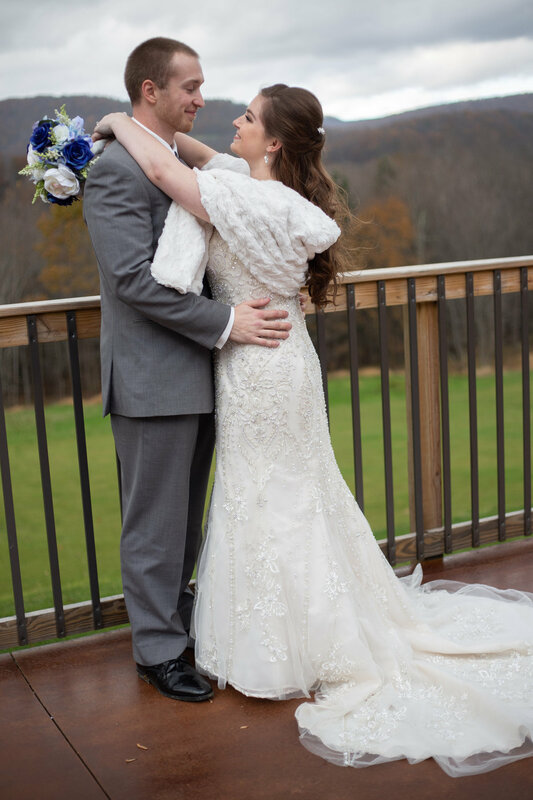 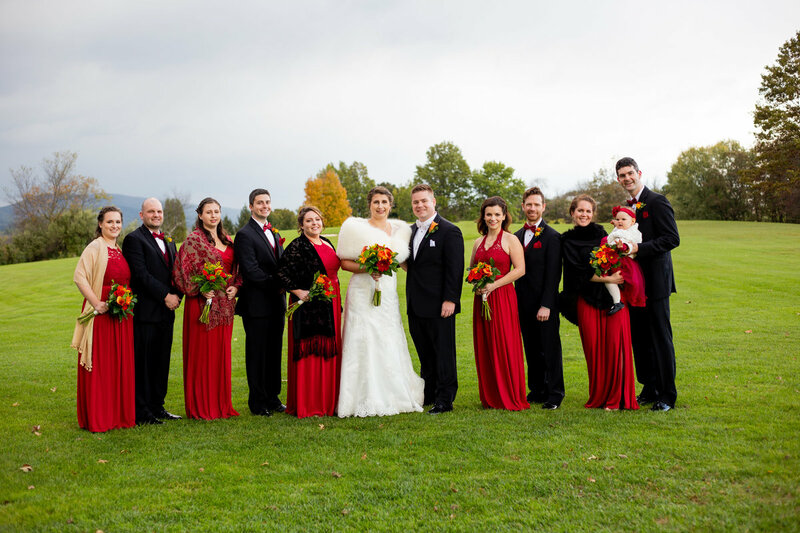 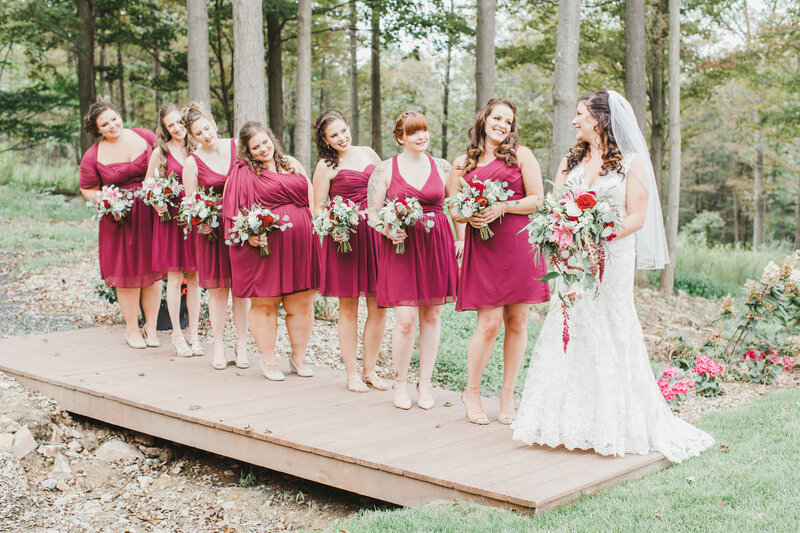 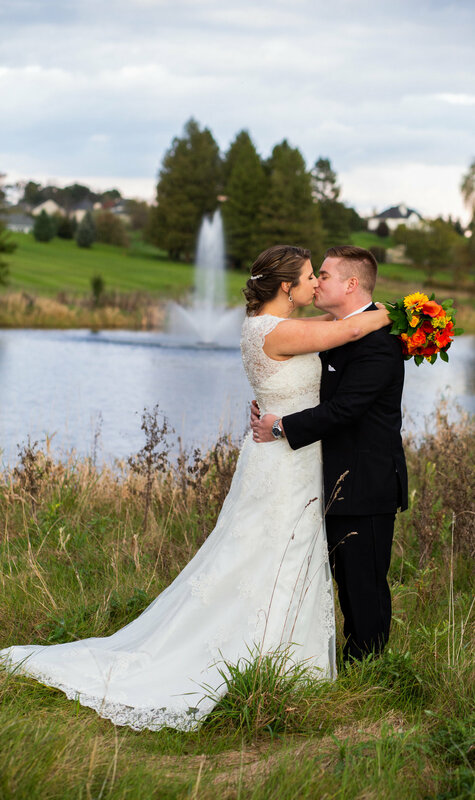 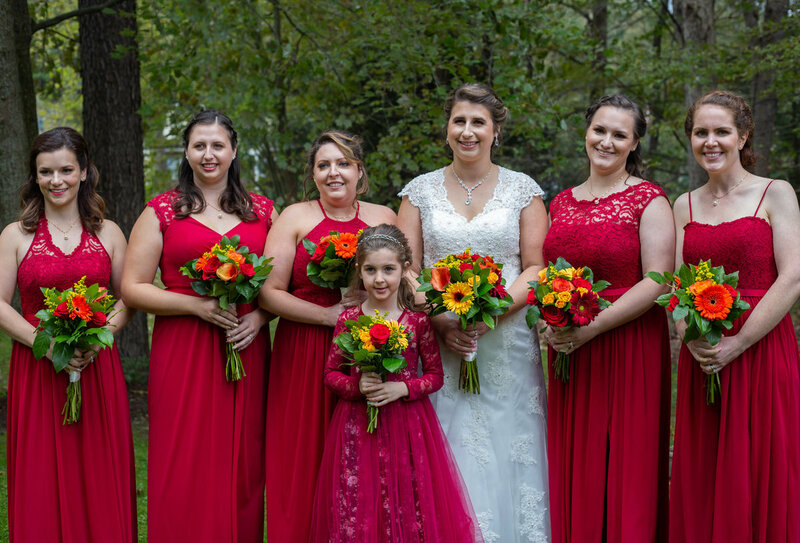 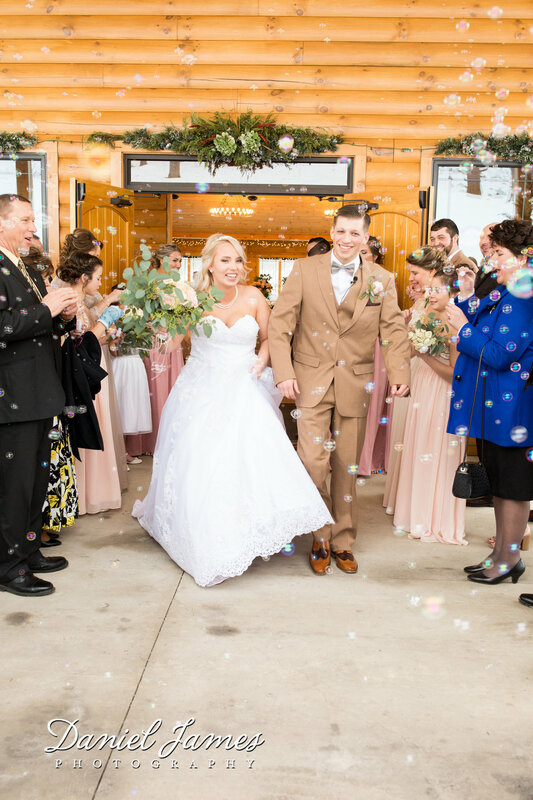 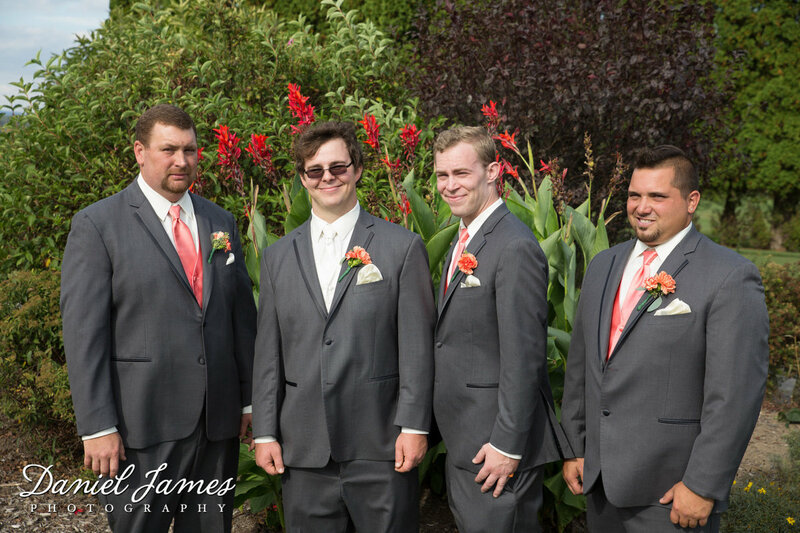 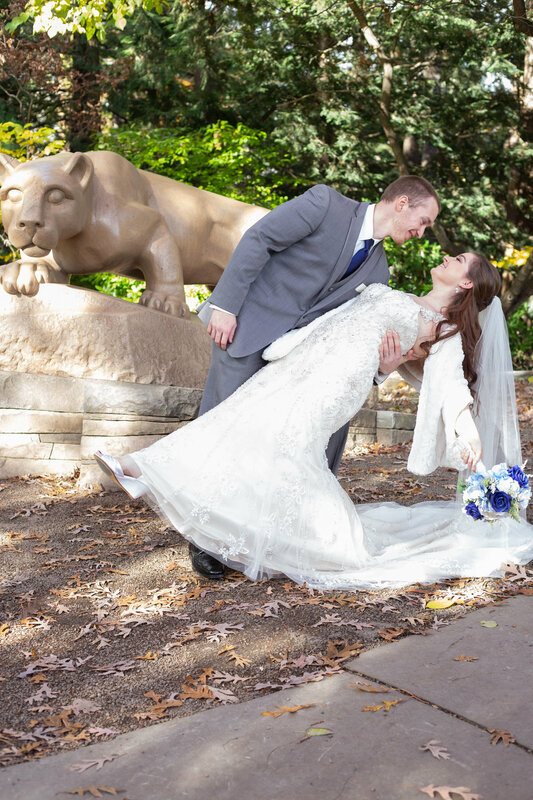 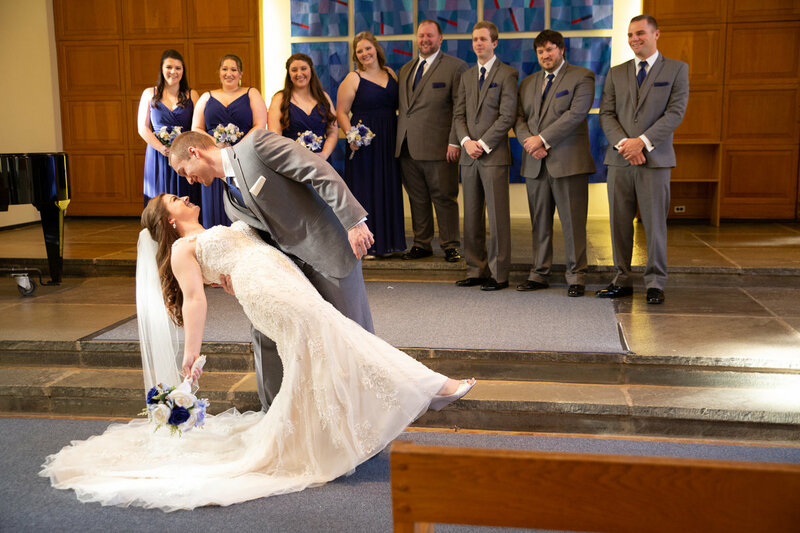 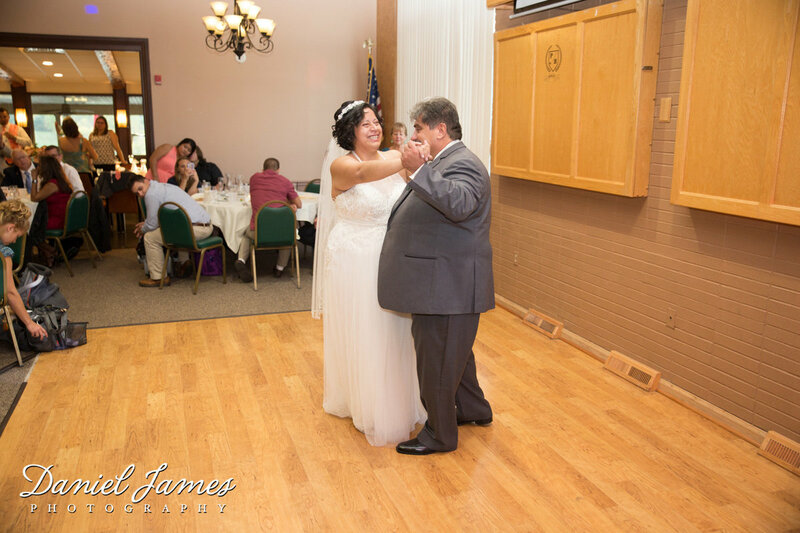 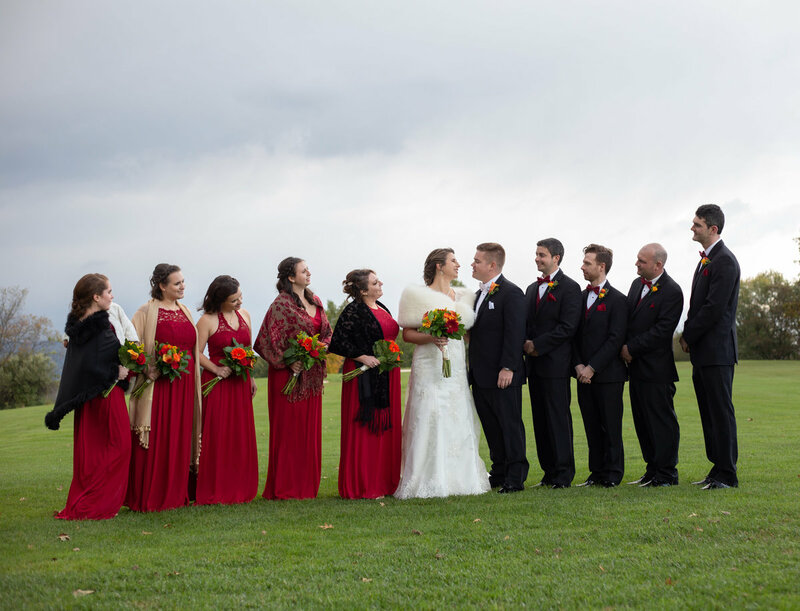 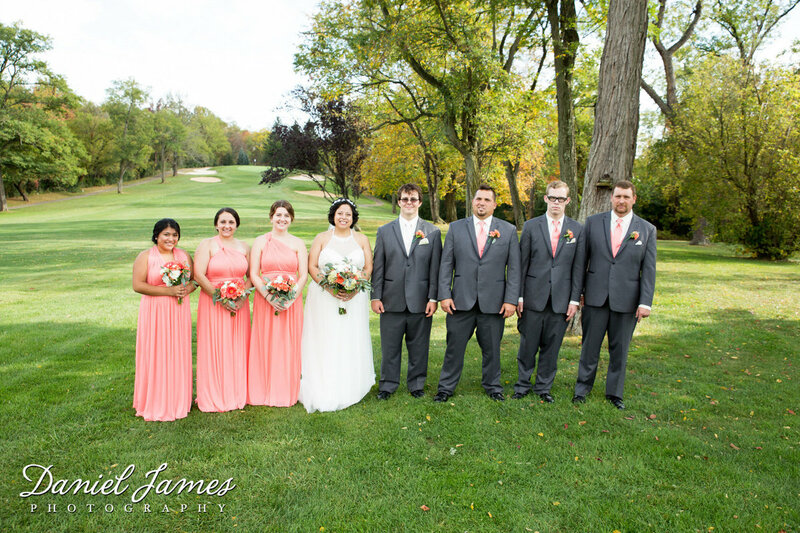 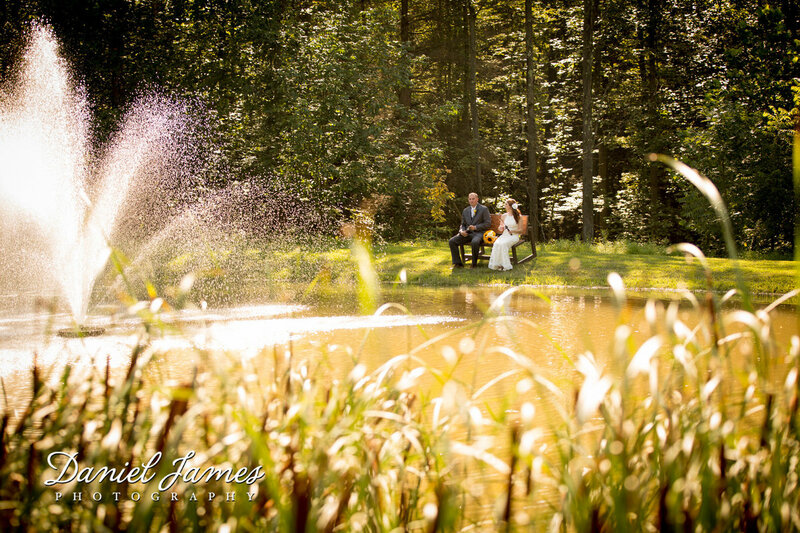 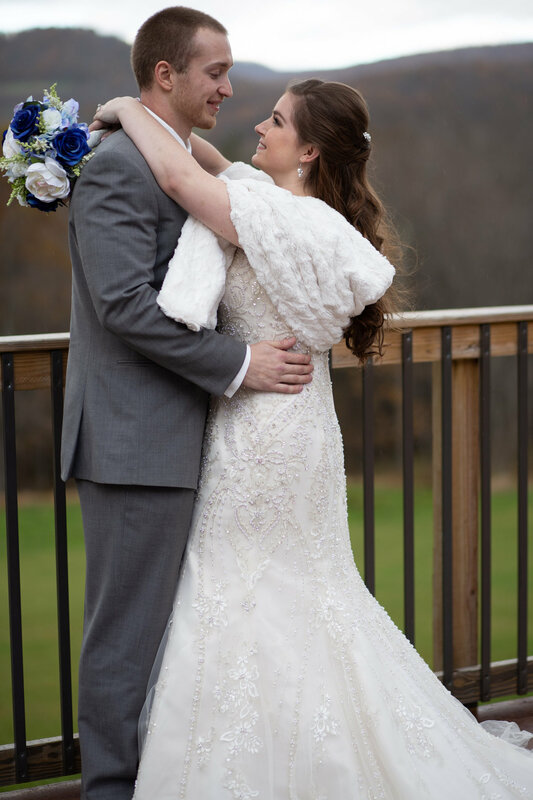 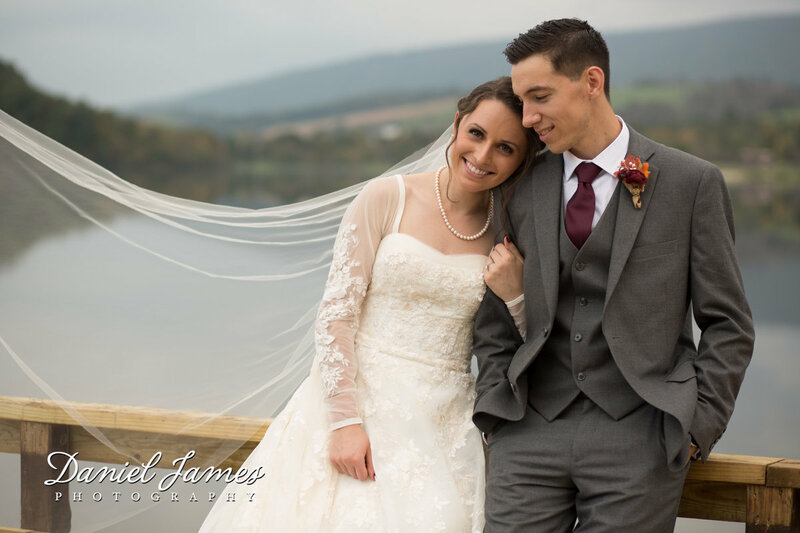 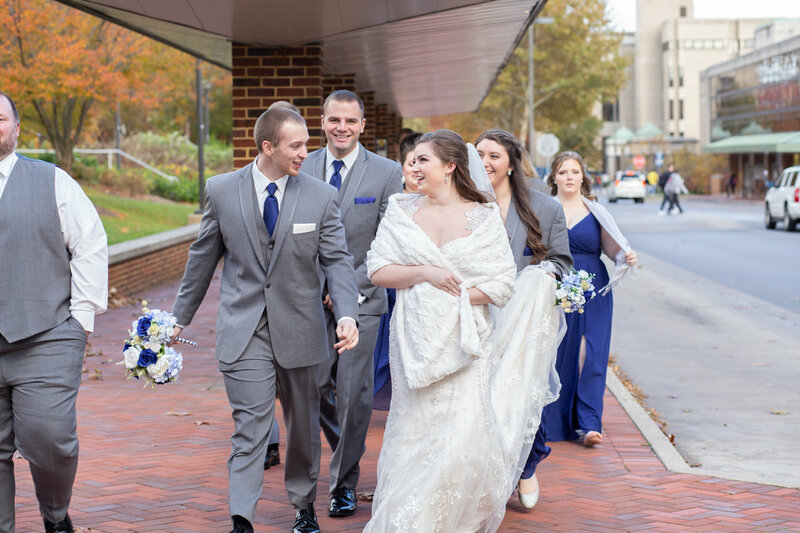 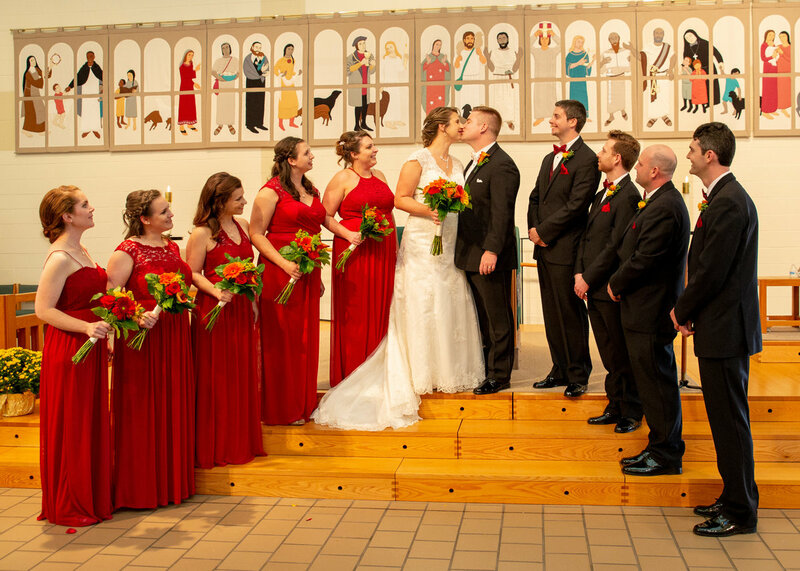 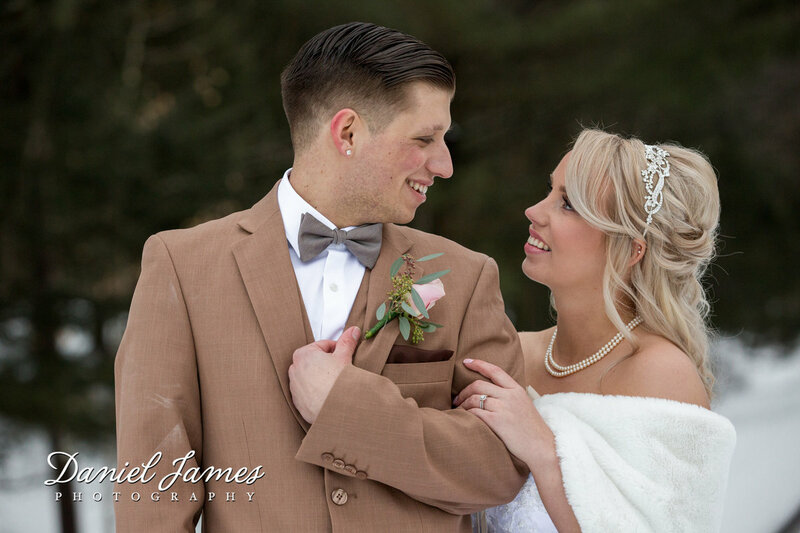 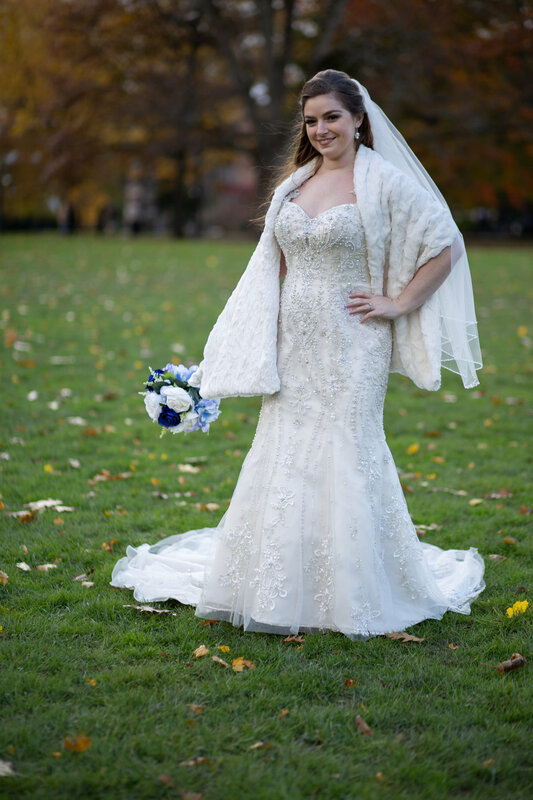 There being the #1 wedding destinations on the east coast, his business became very successful as he mastered the wedding photography and videography. 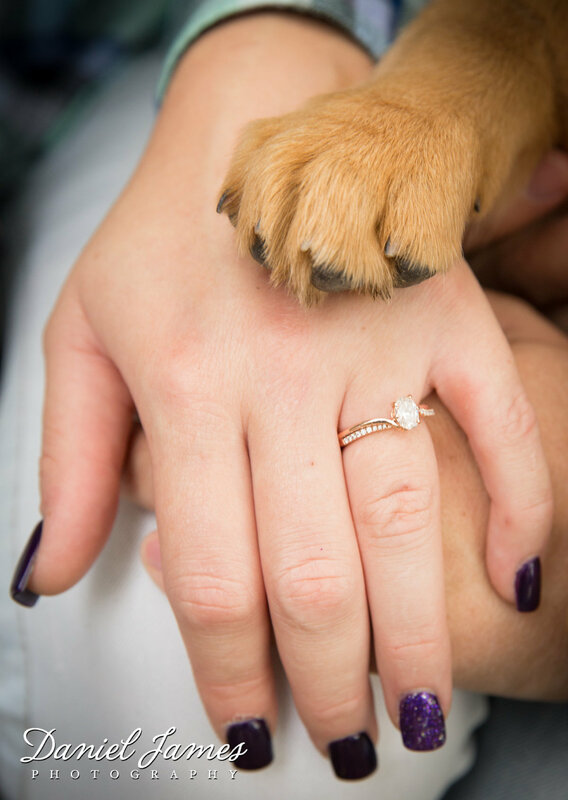 Then in 2014, the love of his life (Tonya) said "Yes" to his proposal! 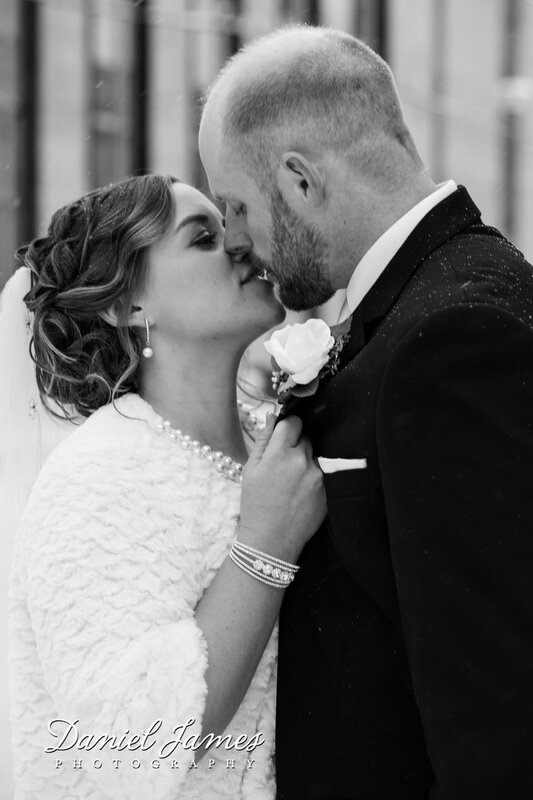 He moved back home to be with his wife and to raise their family. 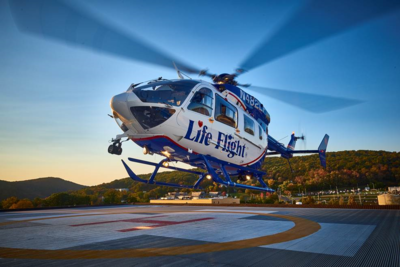 He excitedly accepted a full time Flight Medic job with Geisinger Life Flight. 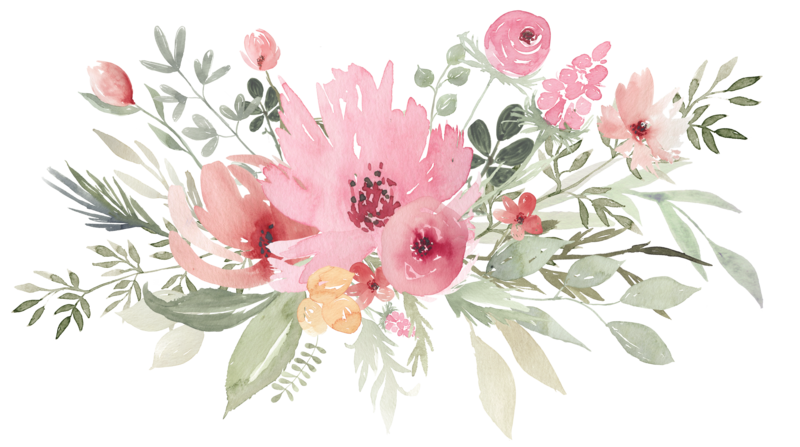 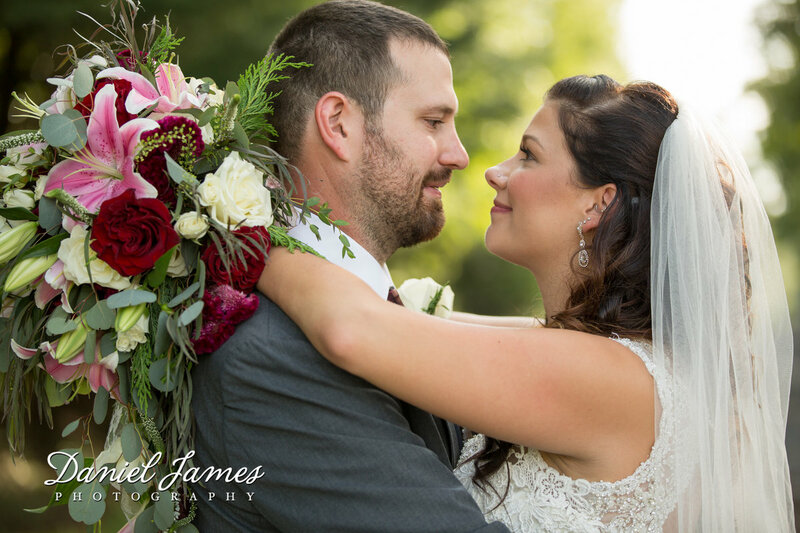 He has brought his experience and talents from the southern destinations back home with him to create and capture exquisite art for his brides and families to enjoy for years to come. 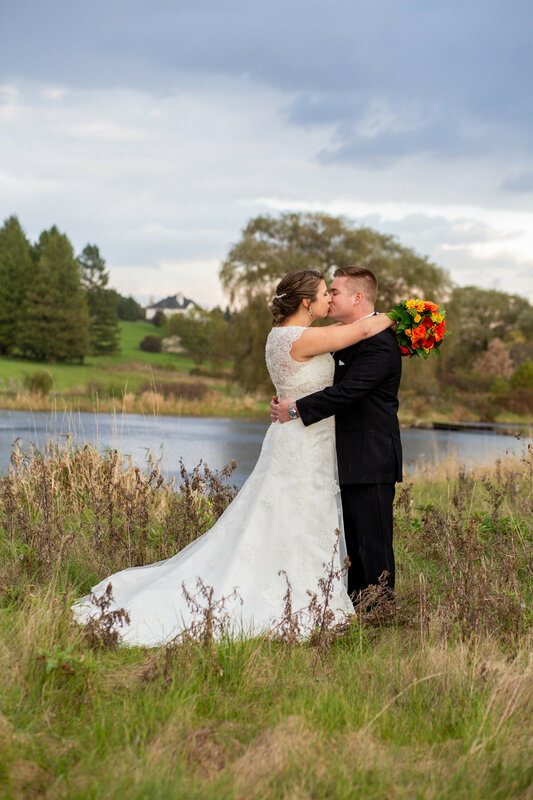 He and his wife (Tonya) photographs and videos with high quality digital equipment in an illustrative shooting style that is a pleasing blend of traditional and photo-journalistic, with an emphasis on composition, lighting and background. 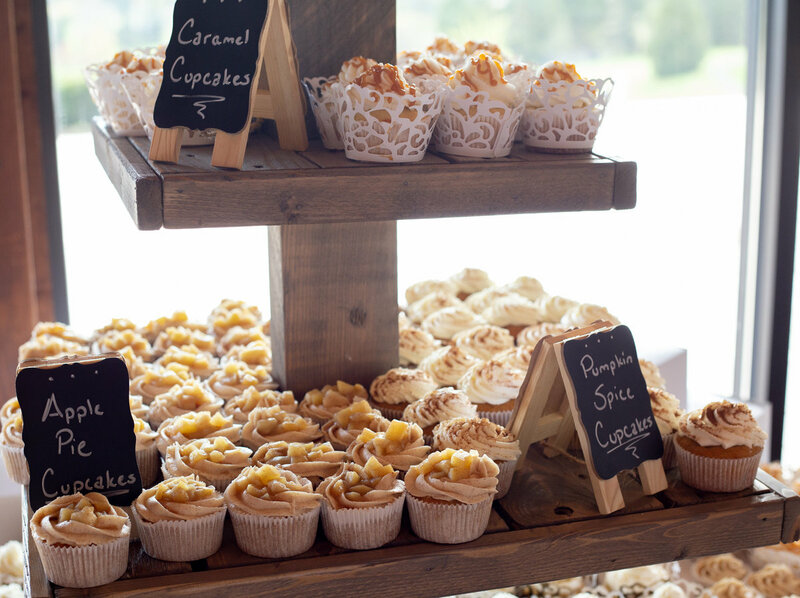 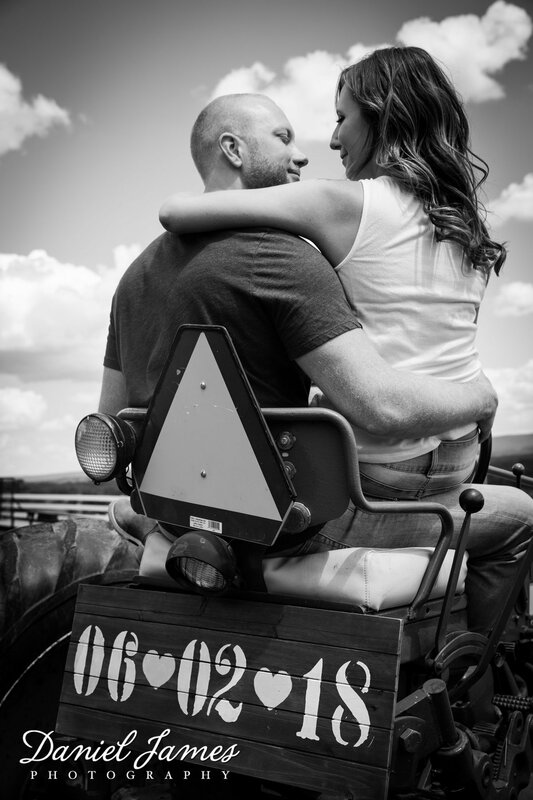 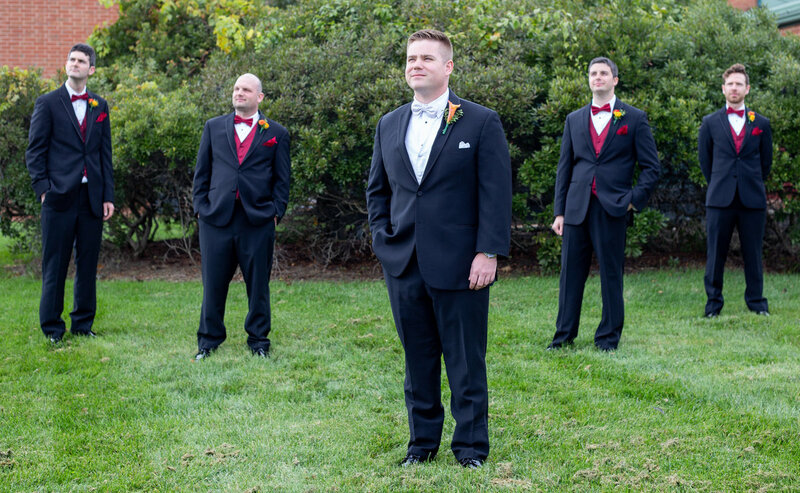 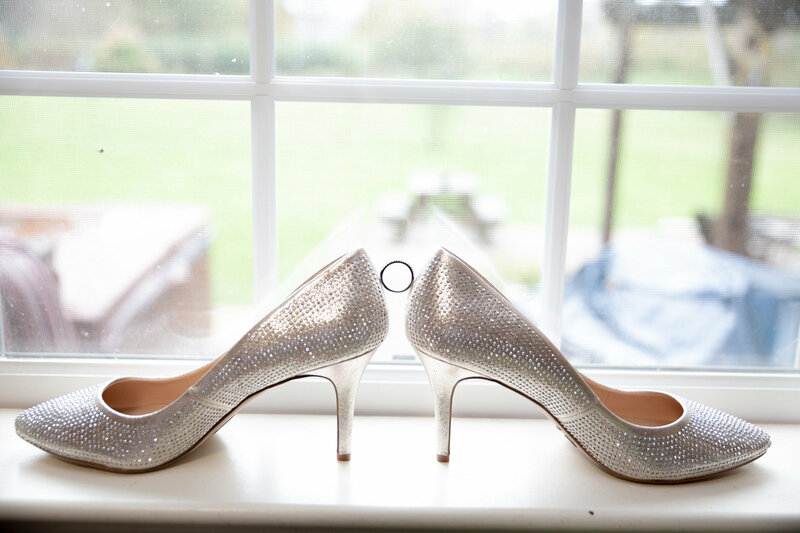 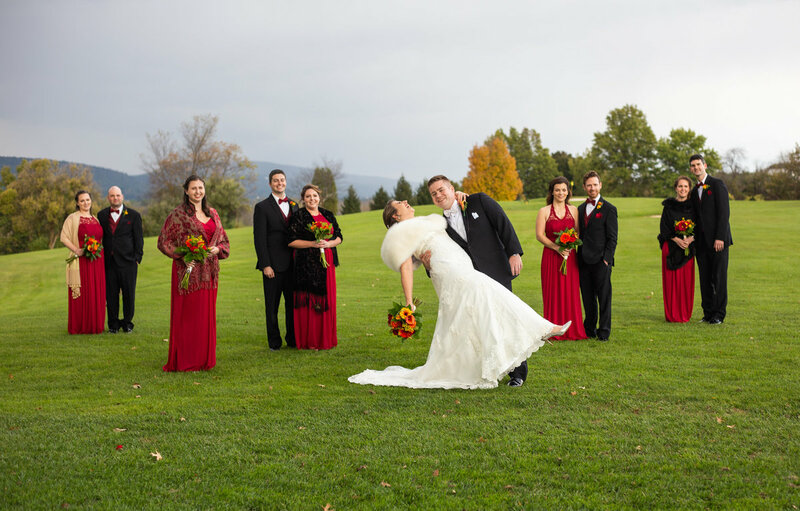 He capture your wedding day with the flow of spontaneity candids, while offering the technical control of posed shots. 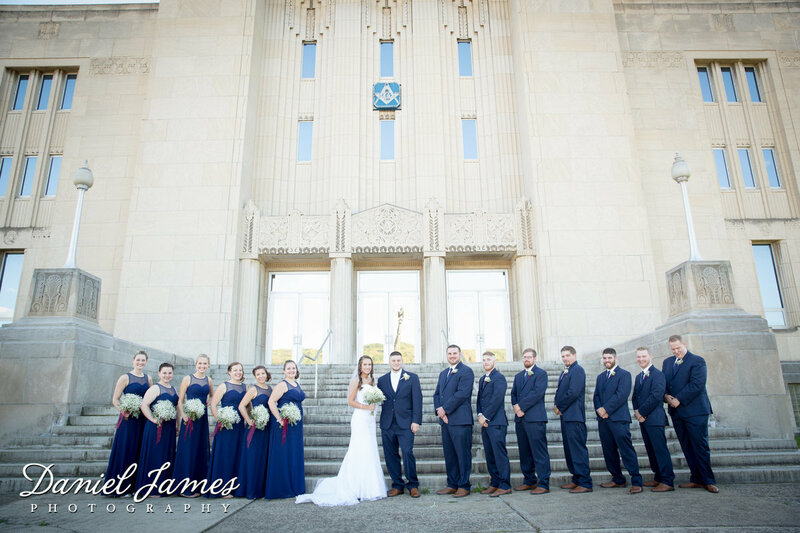 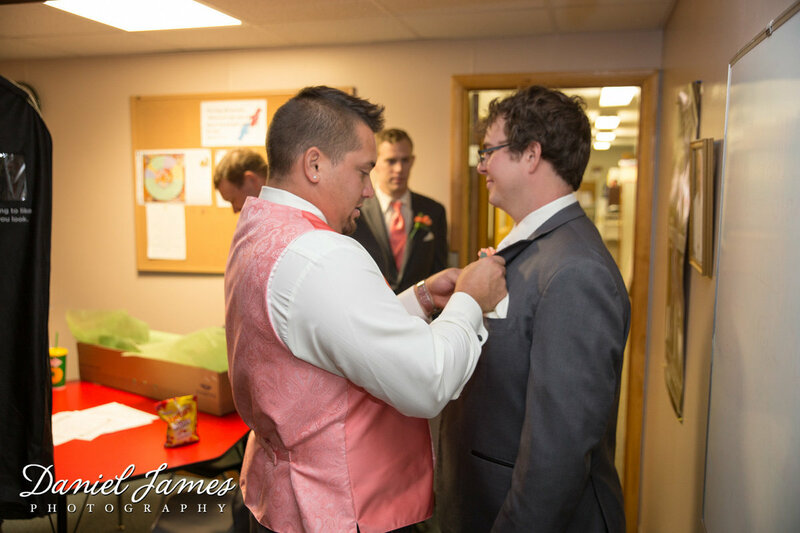 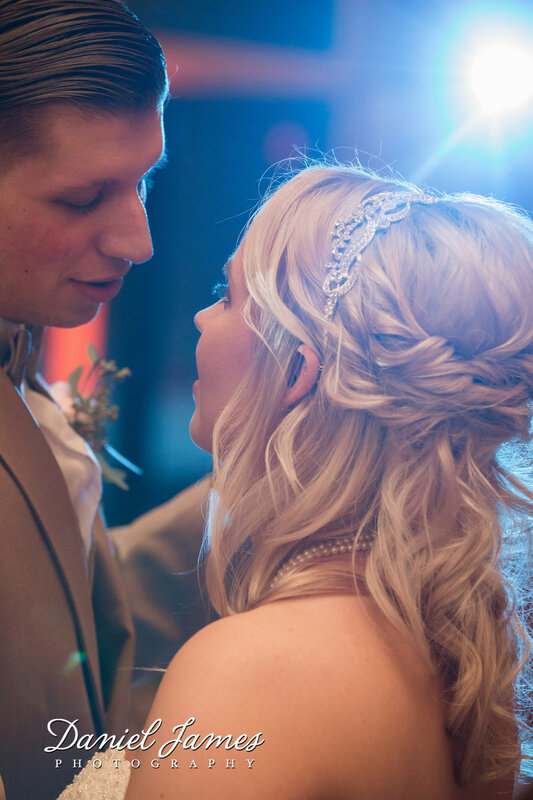 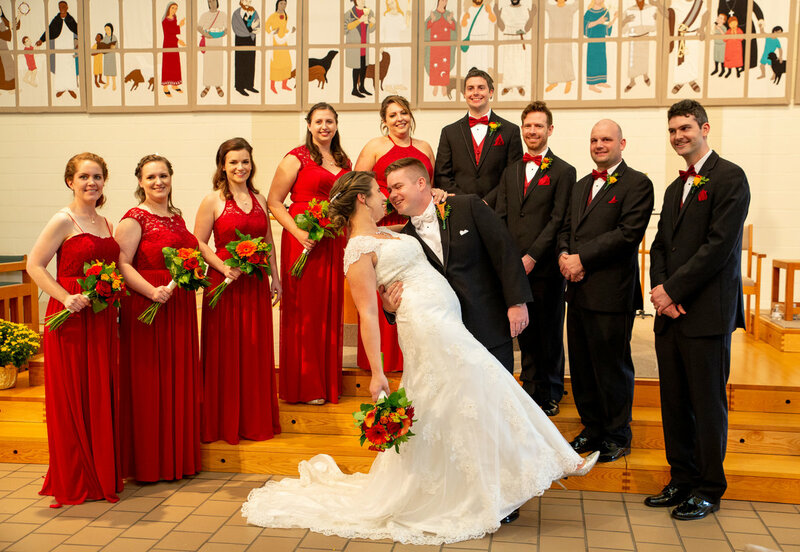 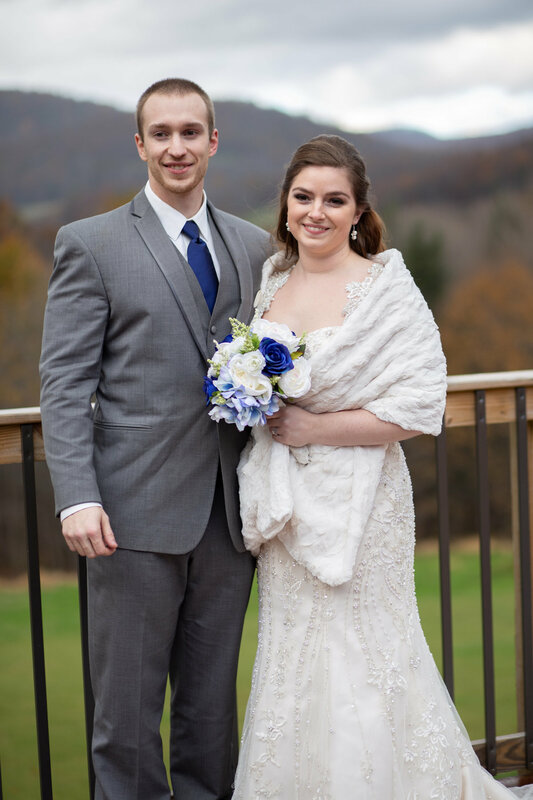 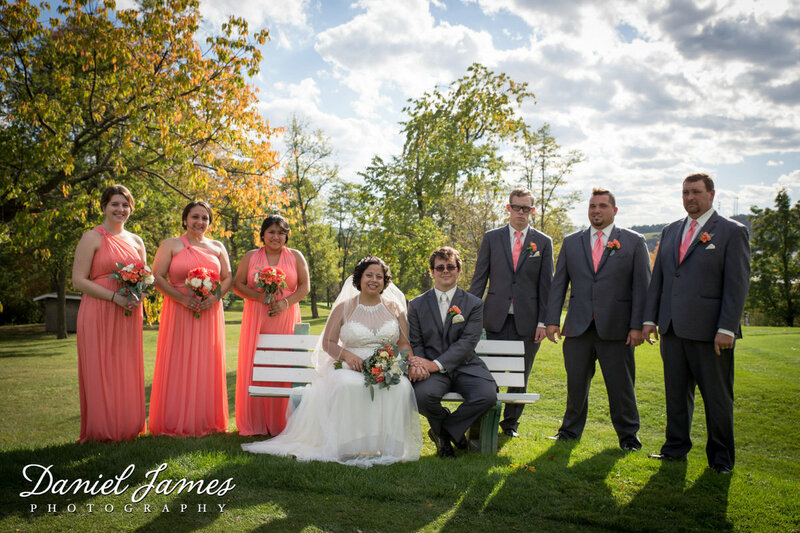 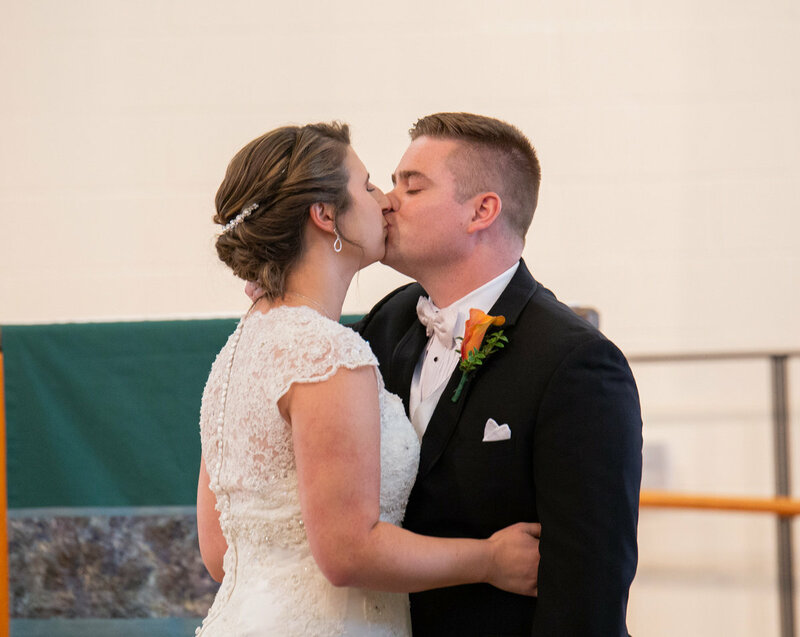 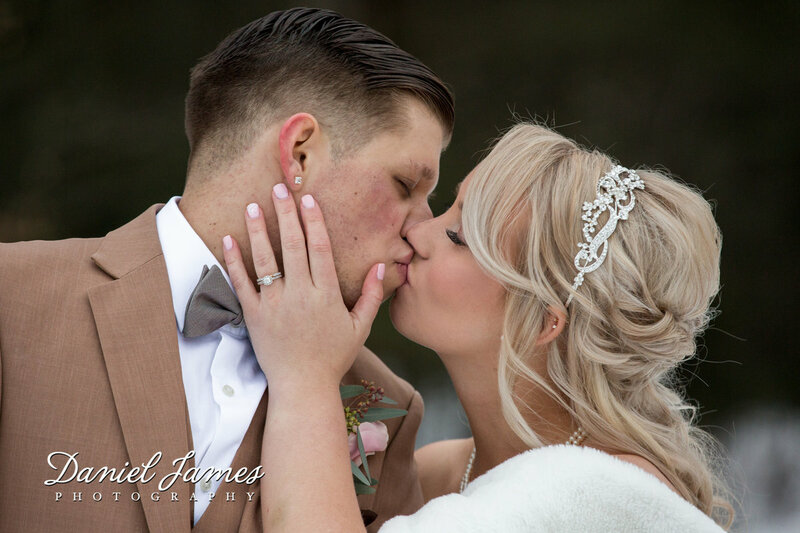 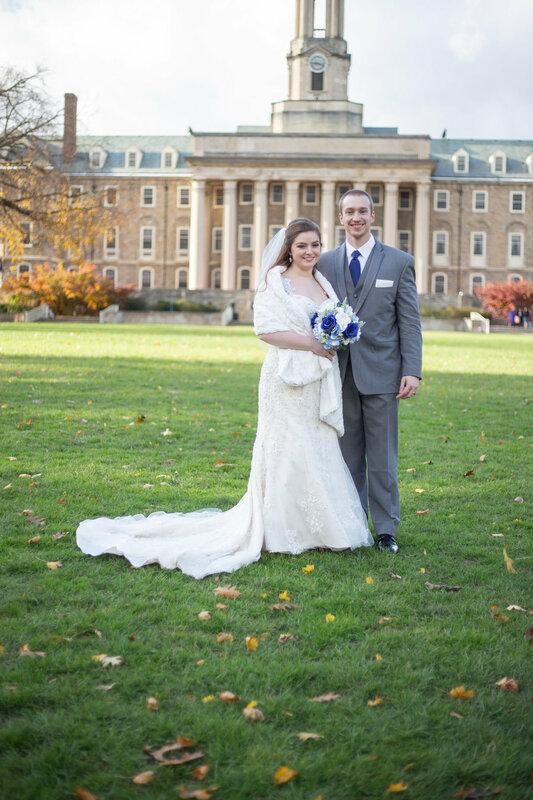 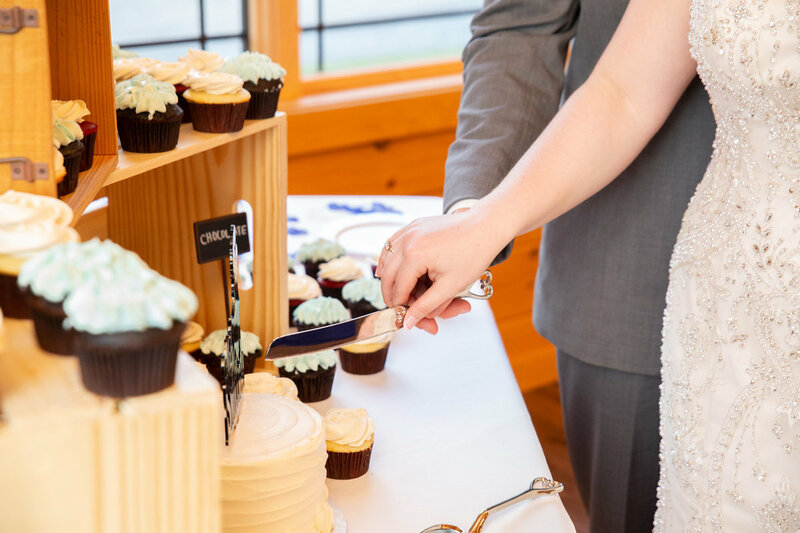 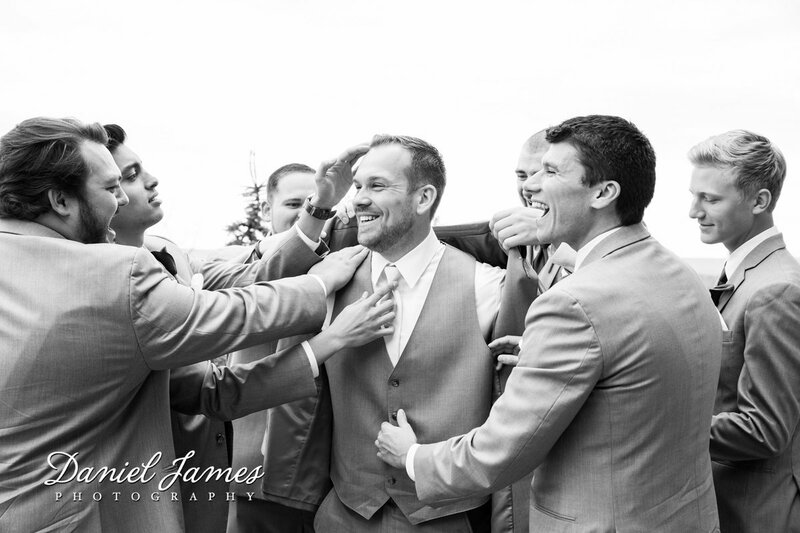 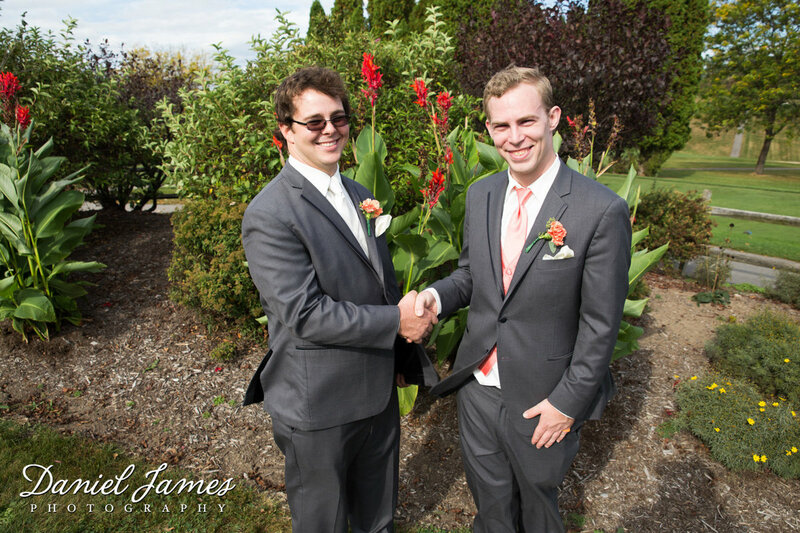 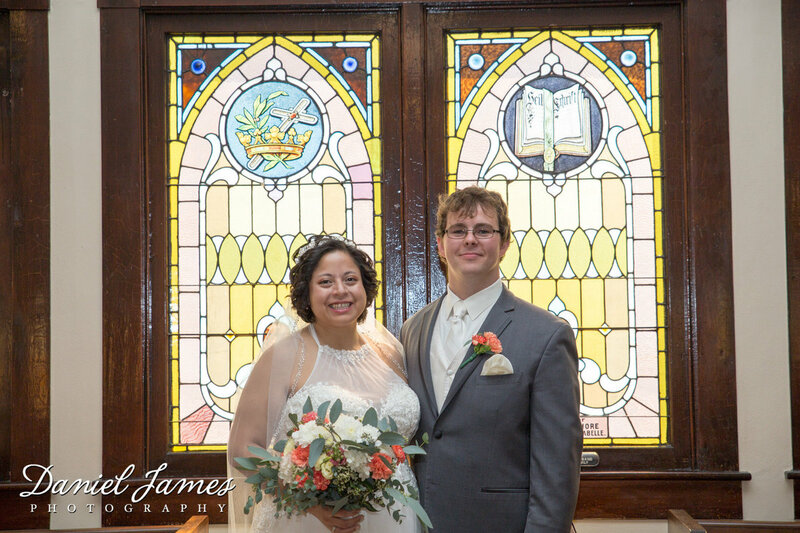 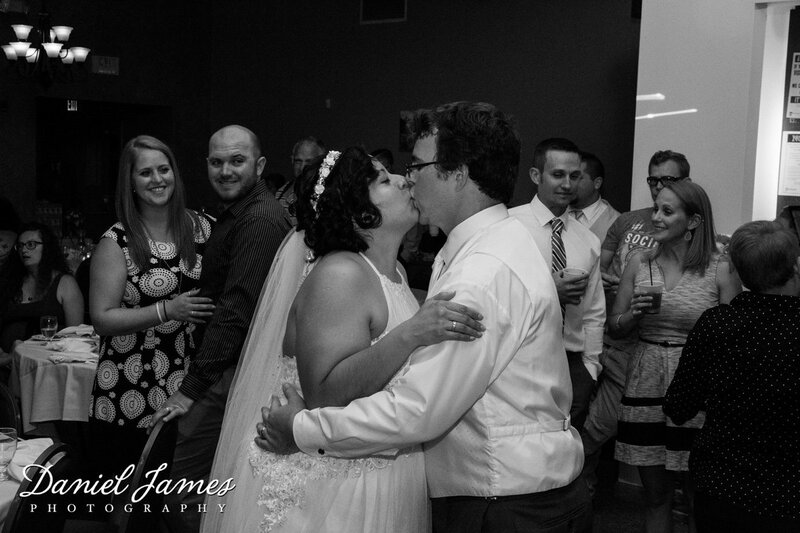 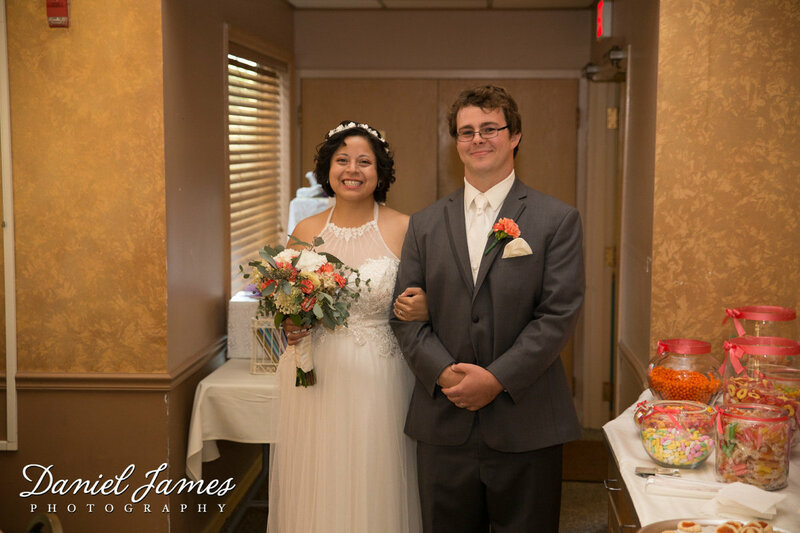 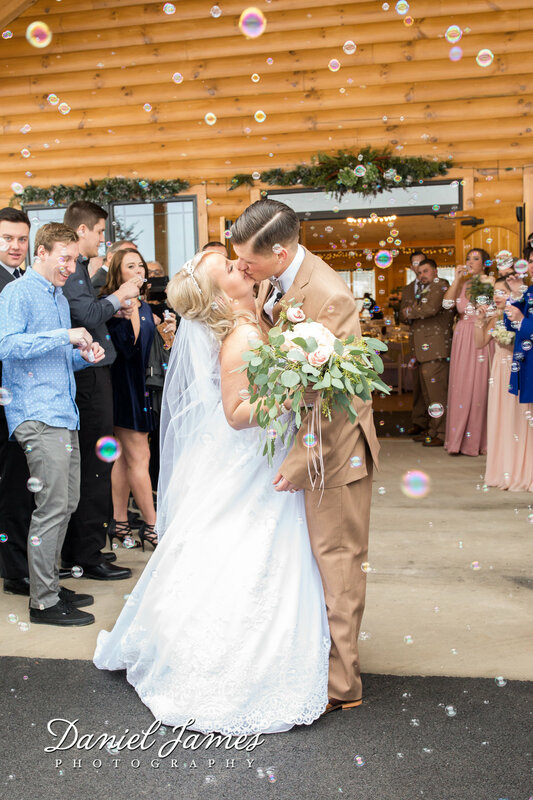 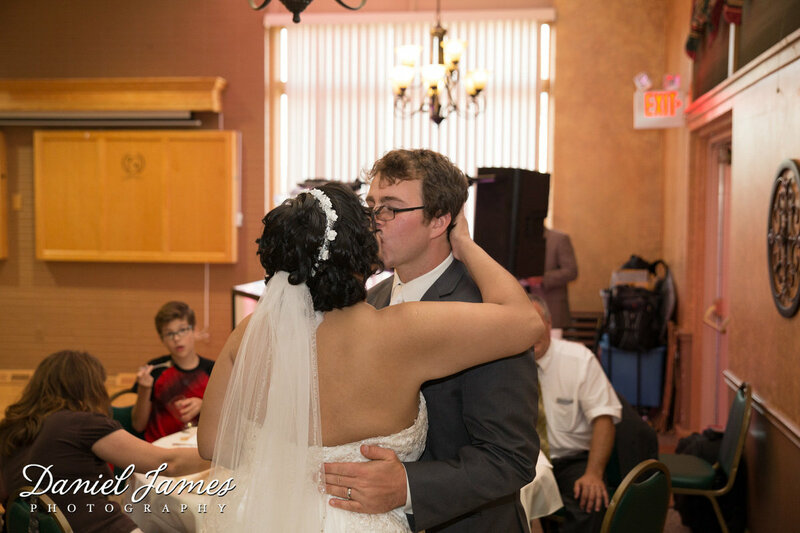 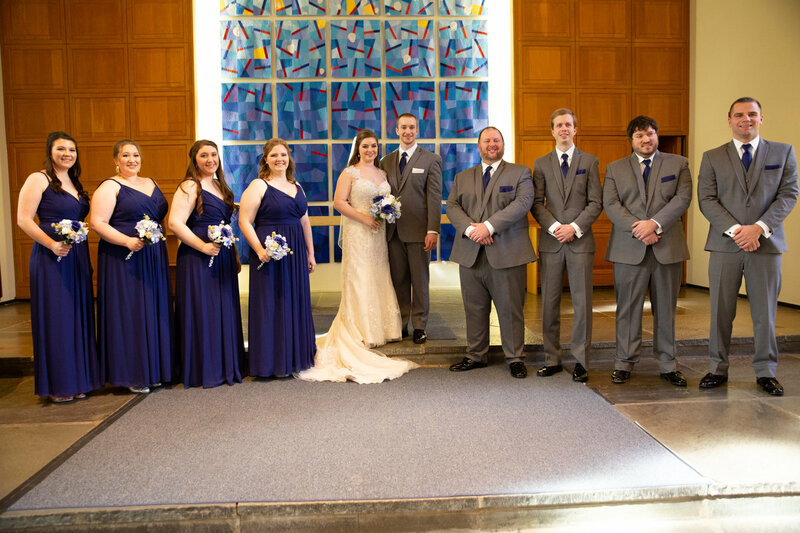 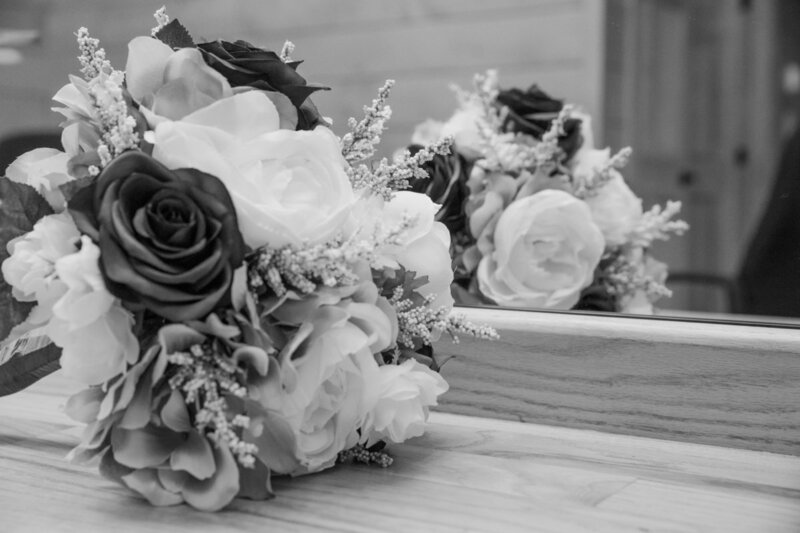 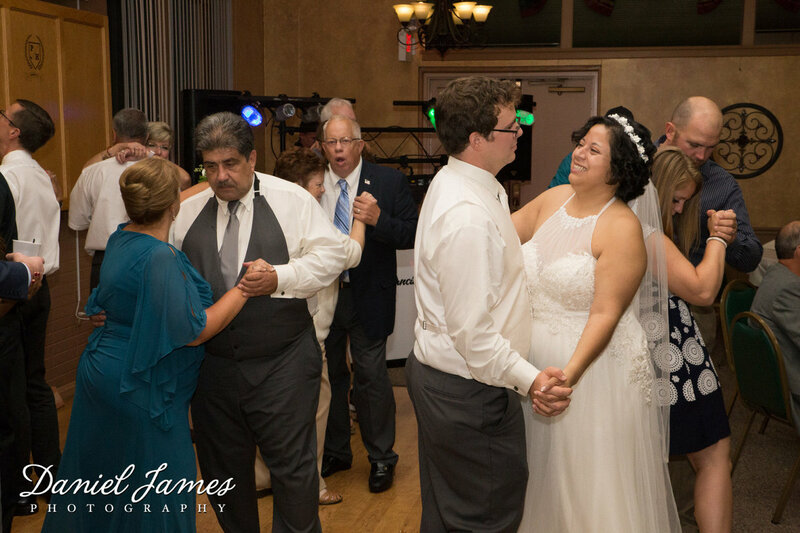 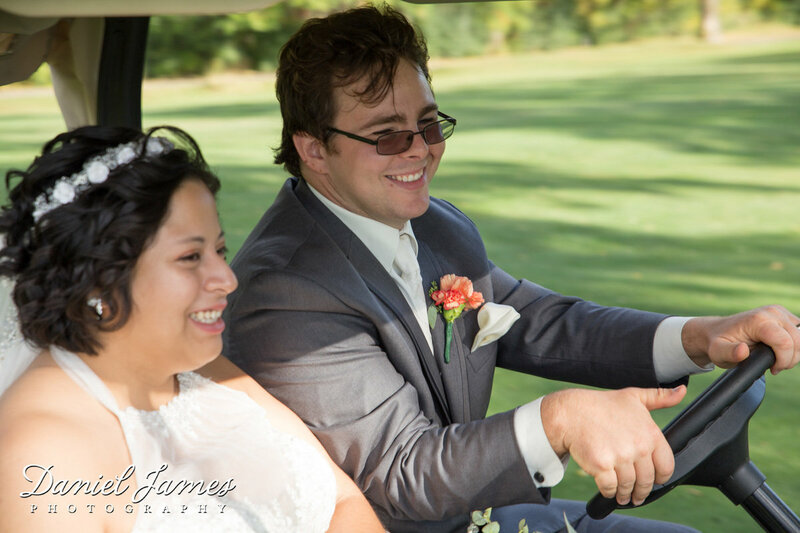 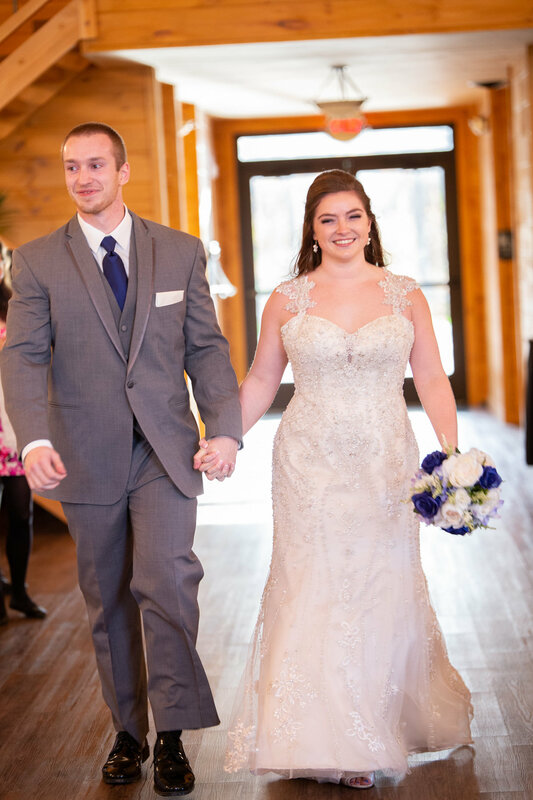 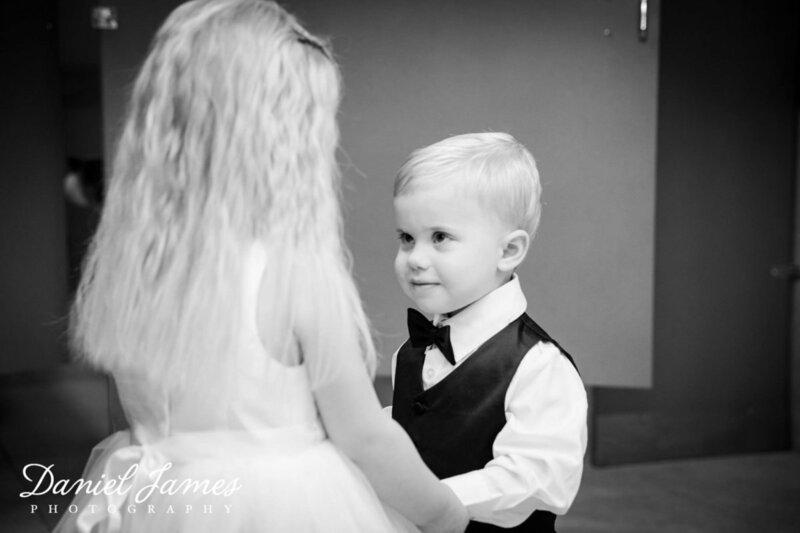 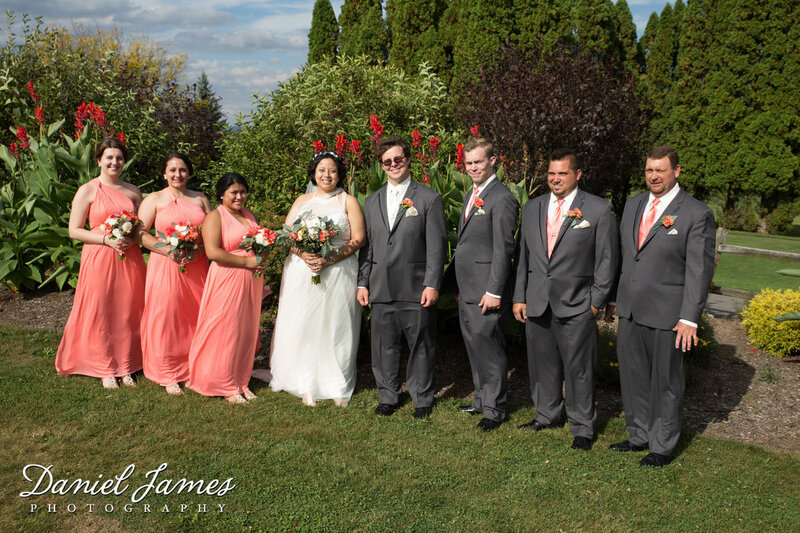 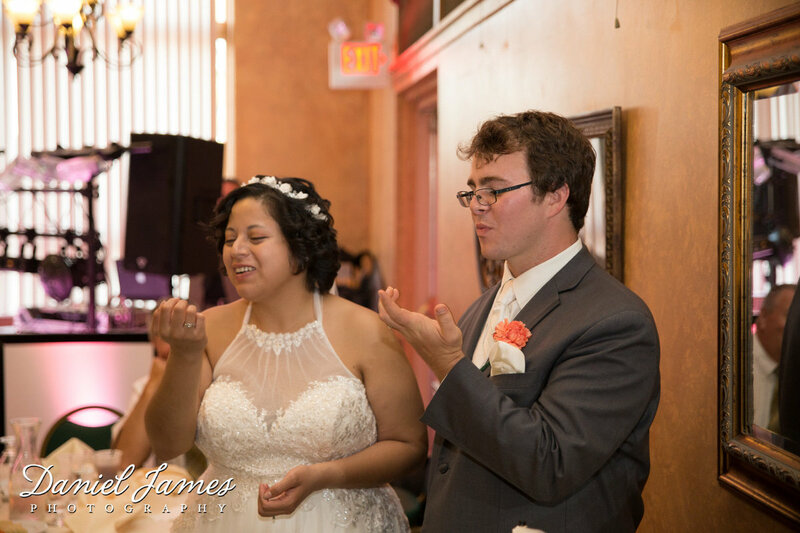 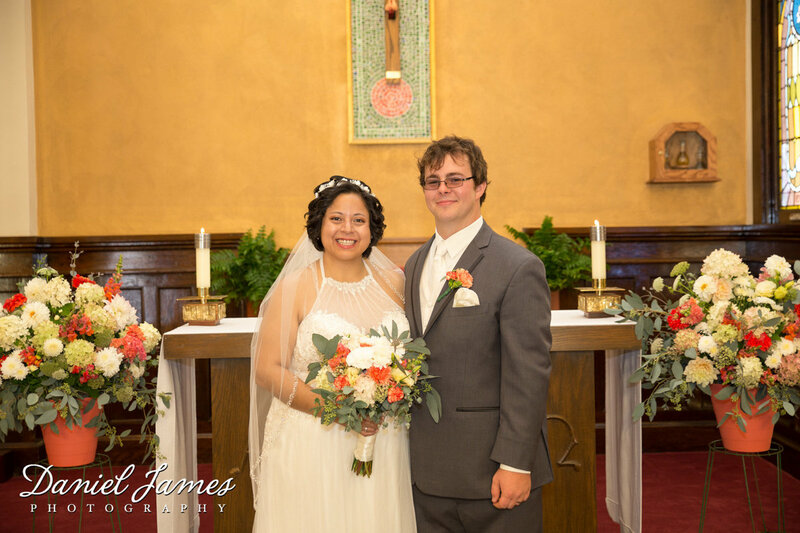 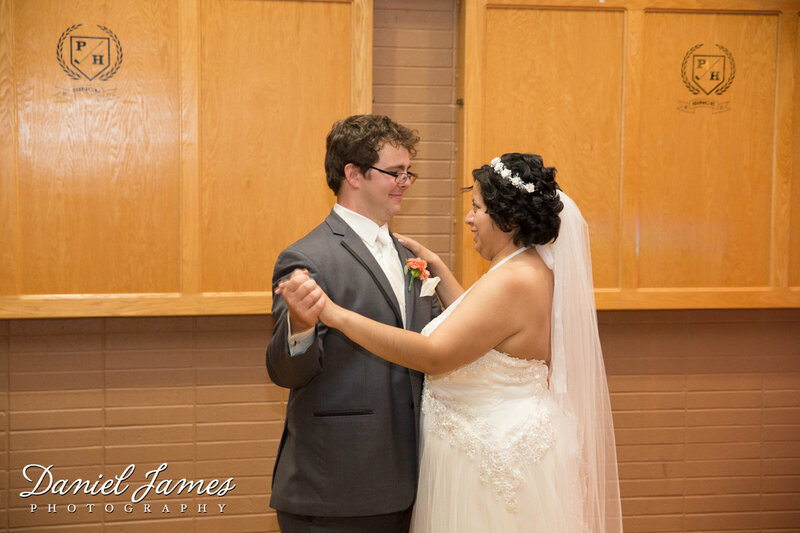 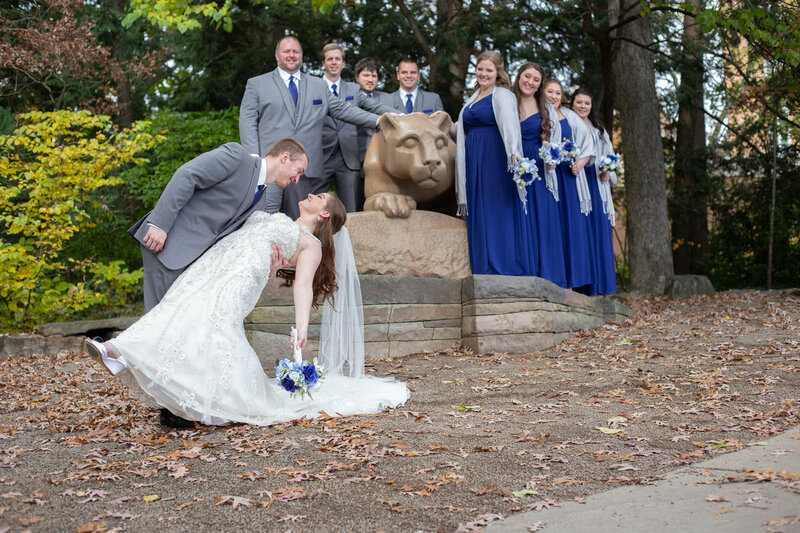 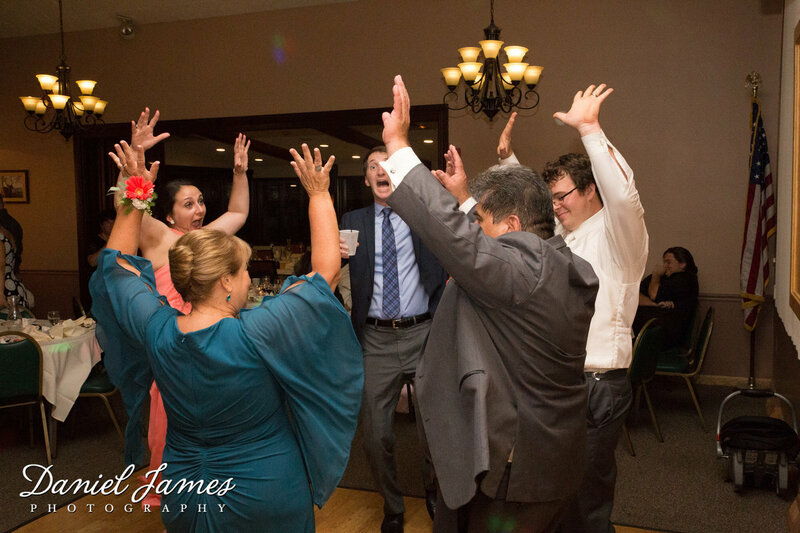 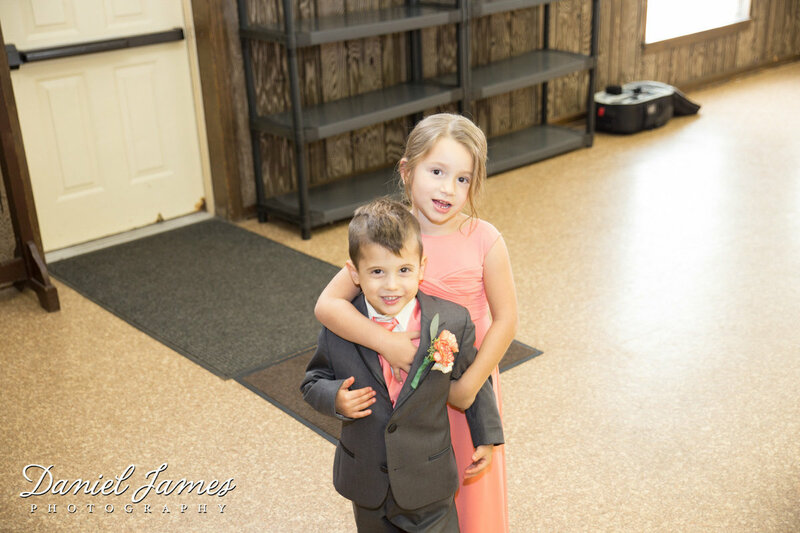 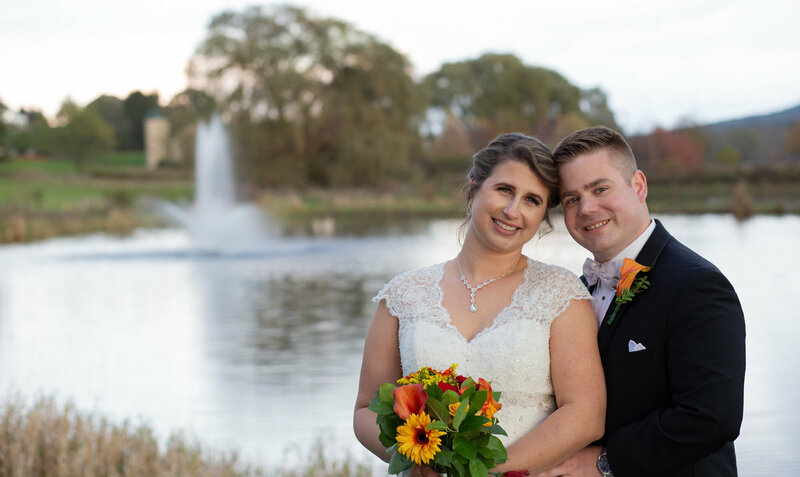 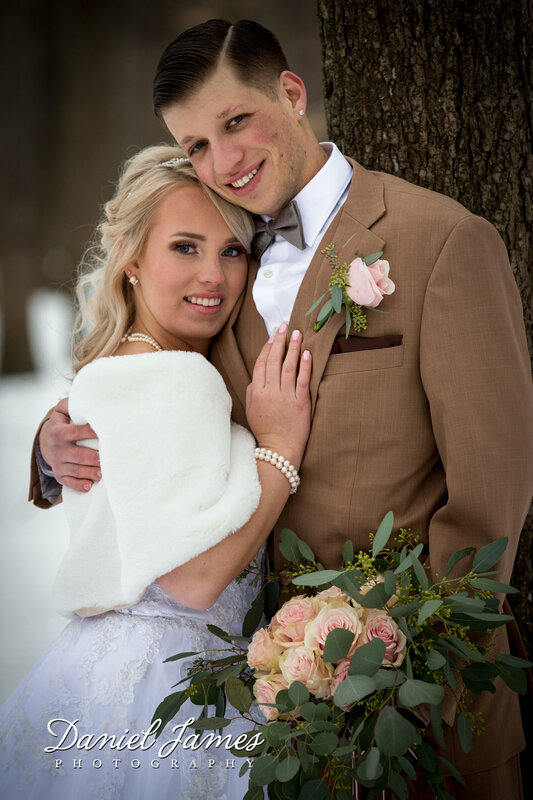 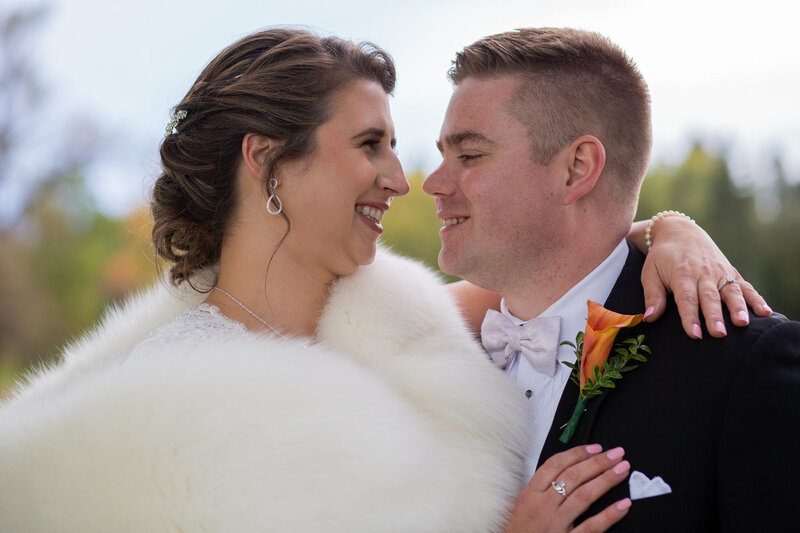 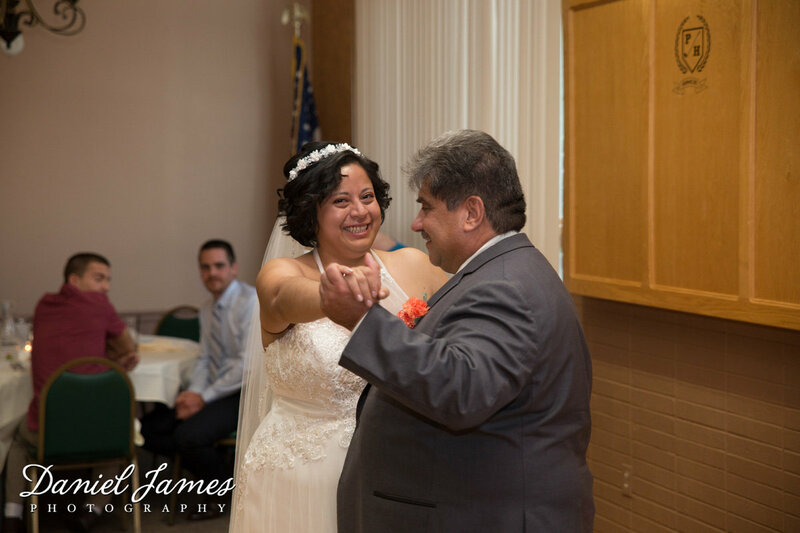 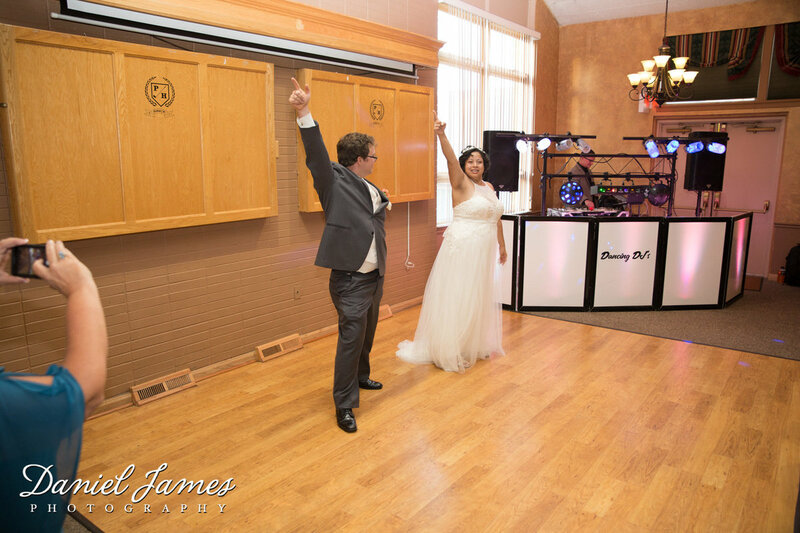 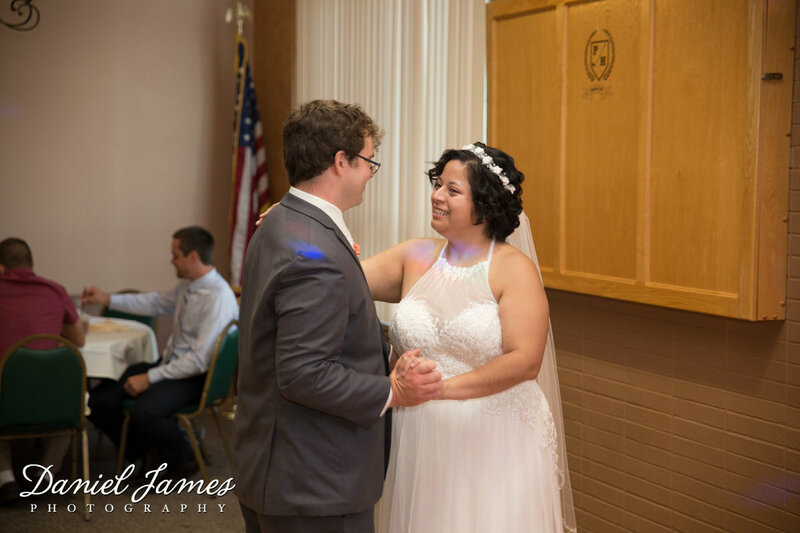 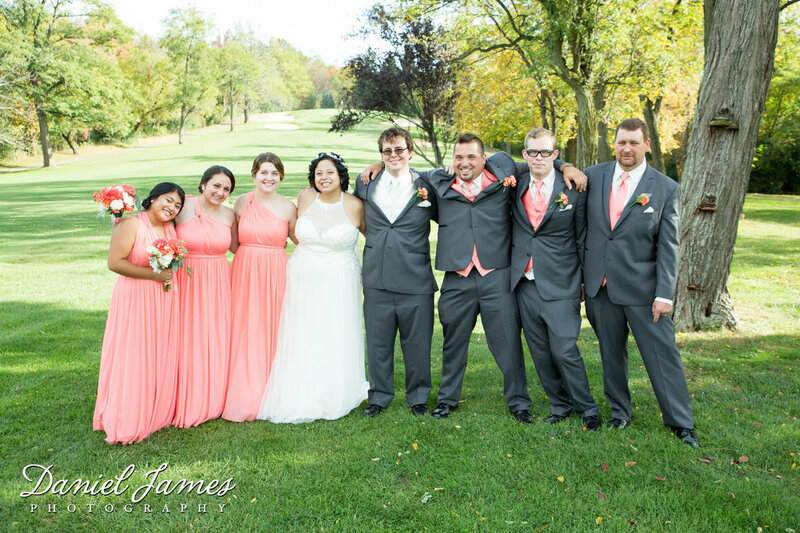 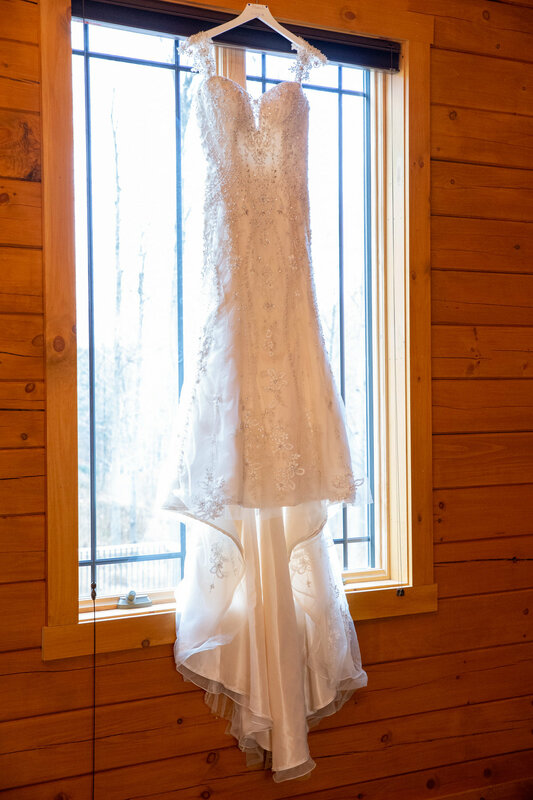 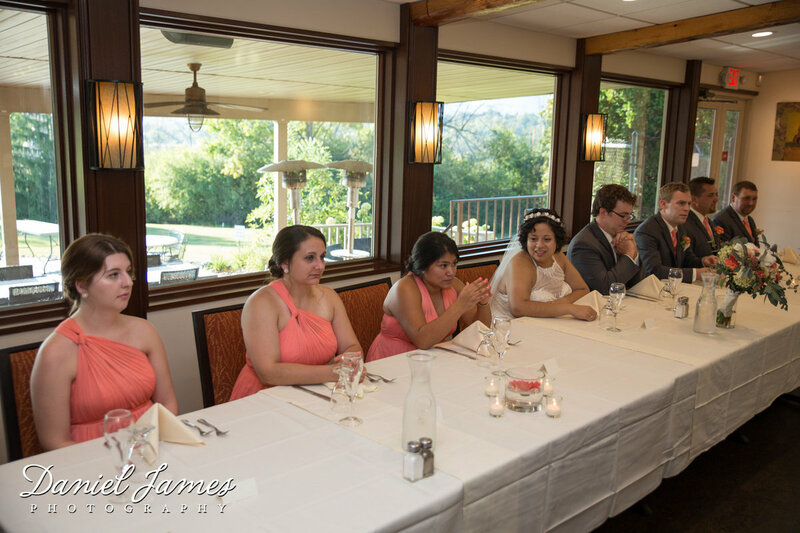 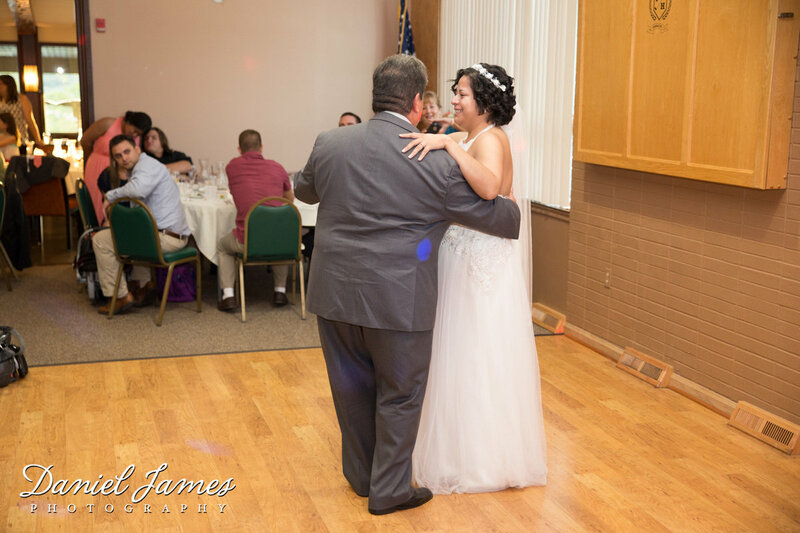 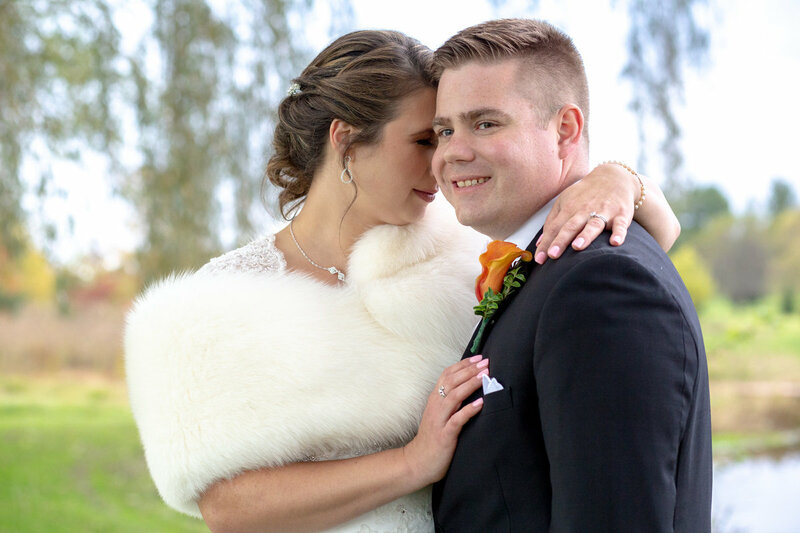 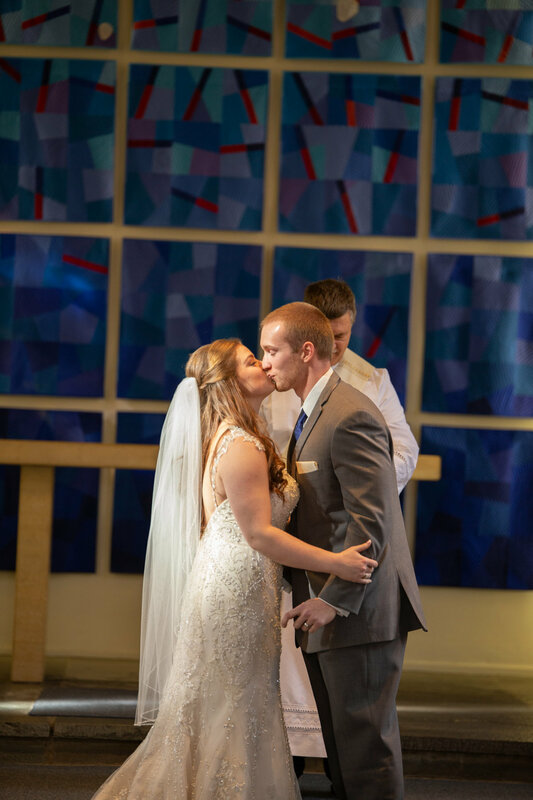 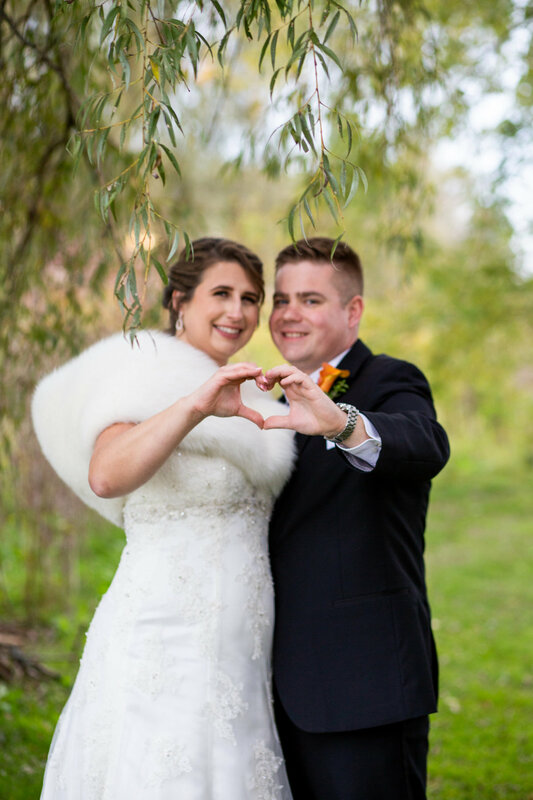 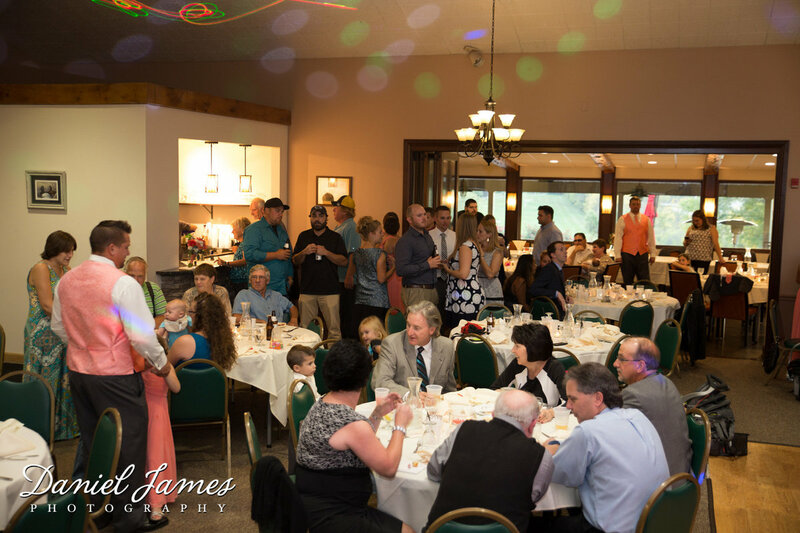 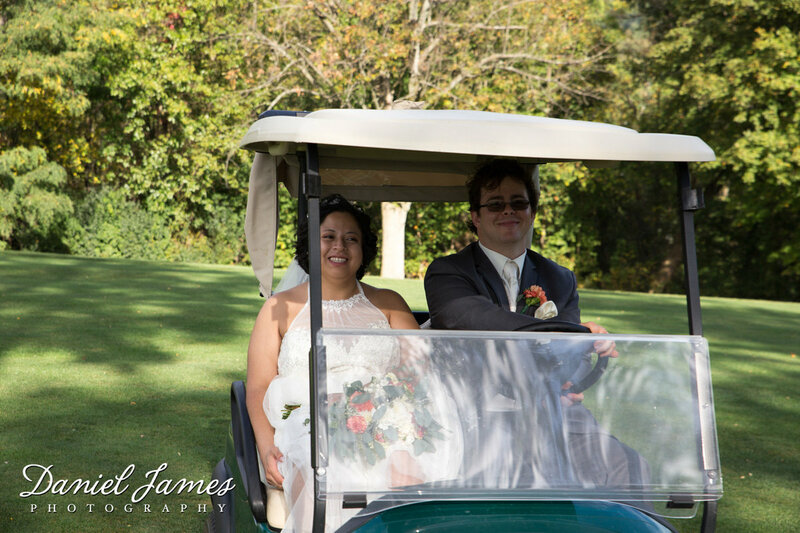 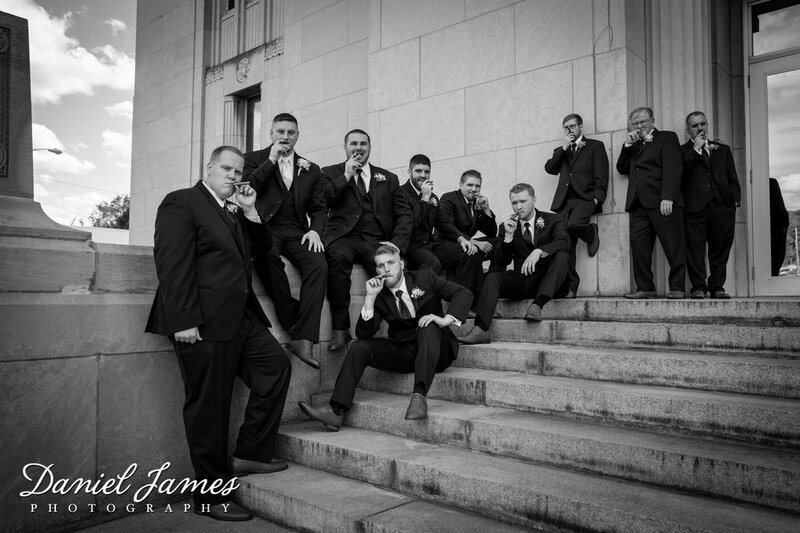 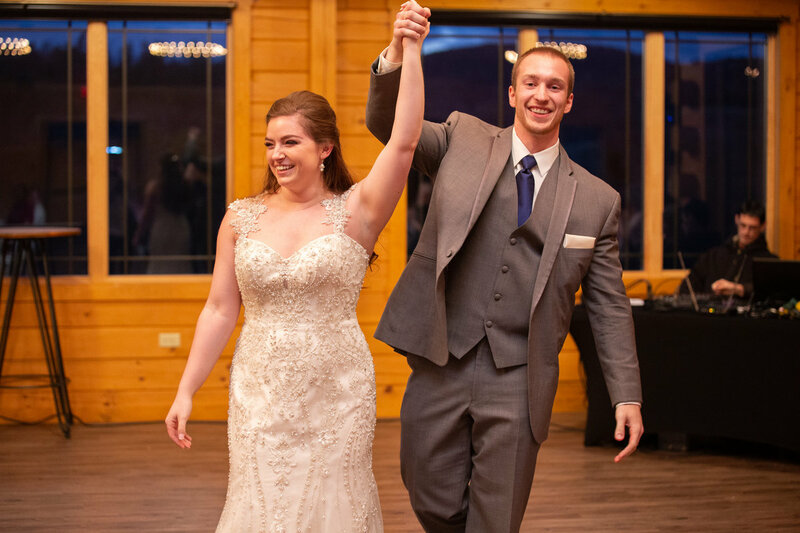 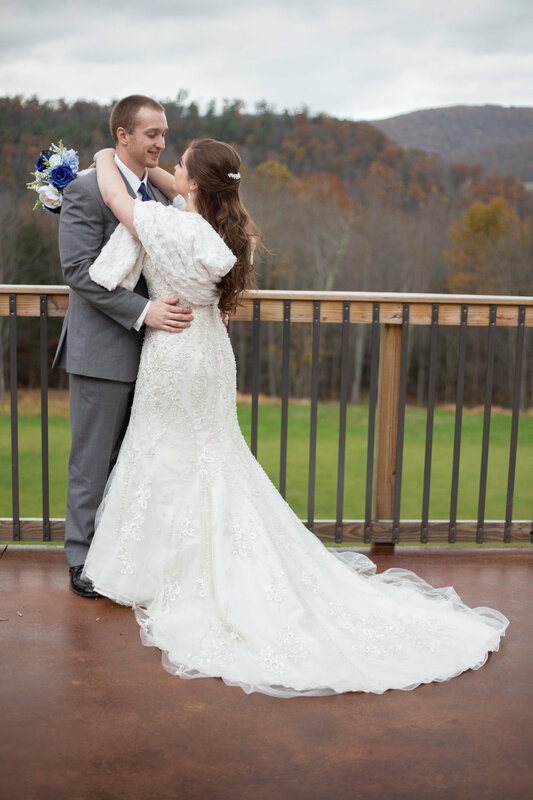 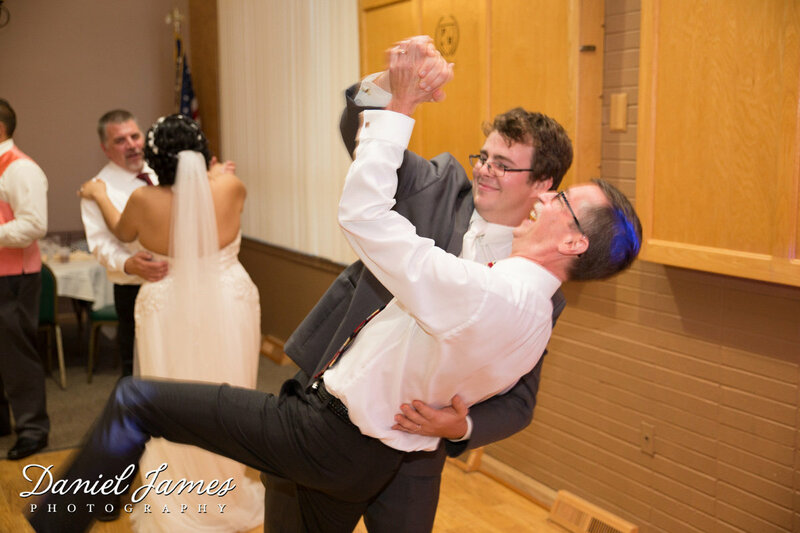 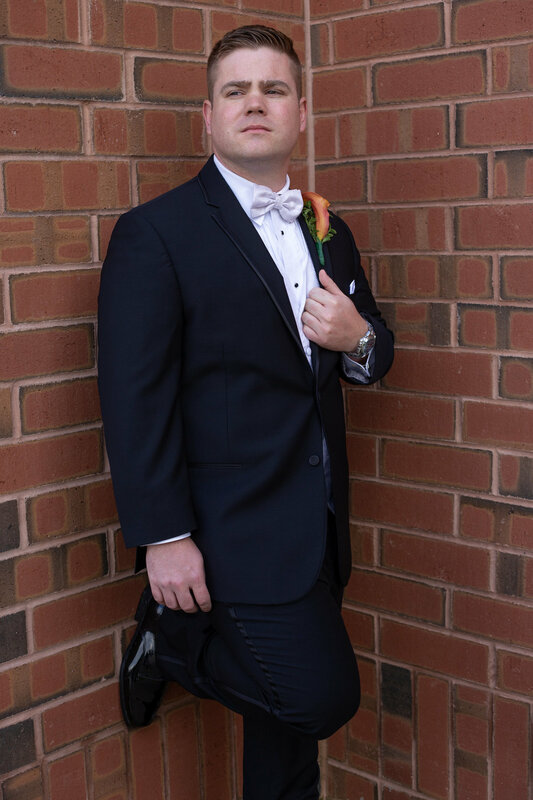 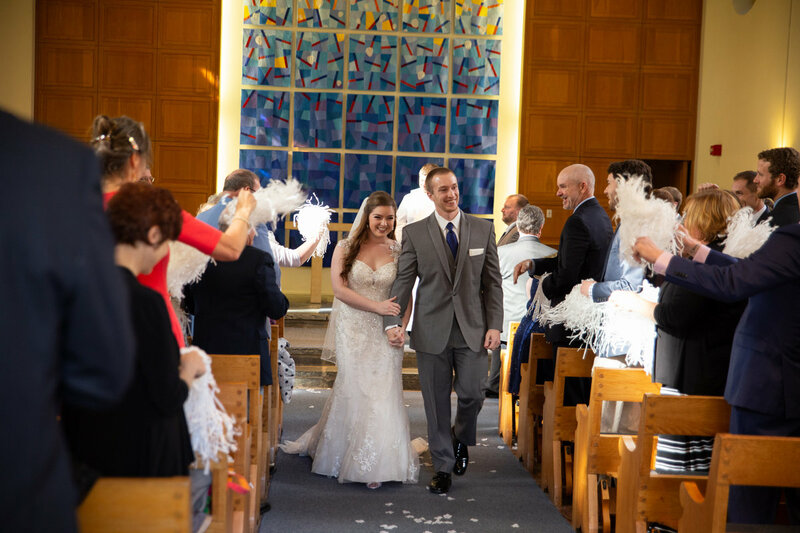 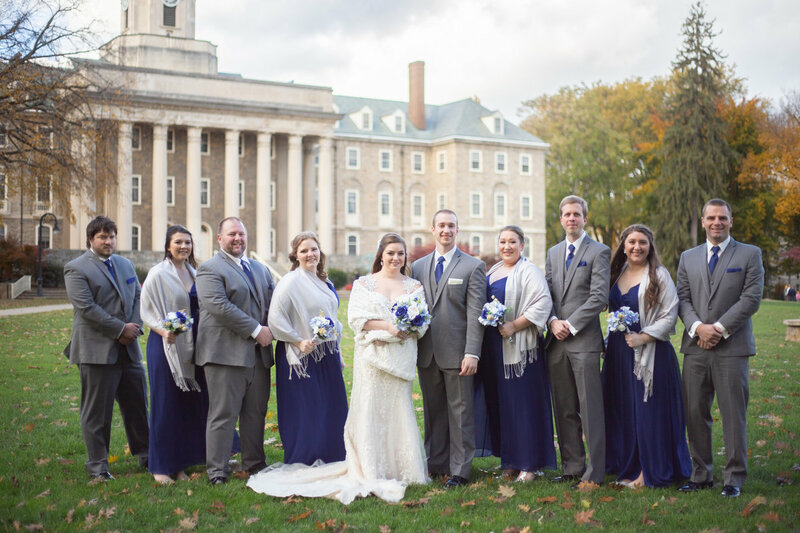 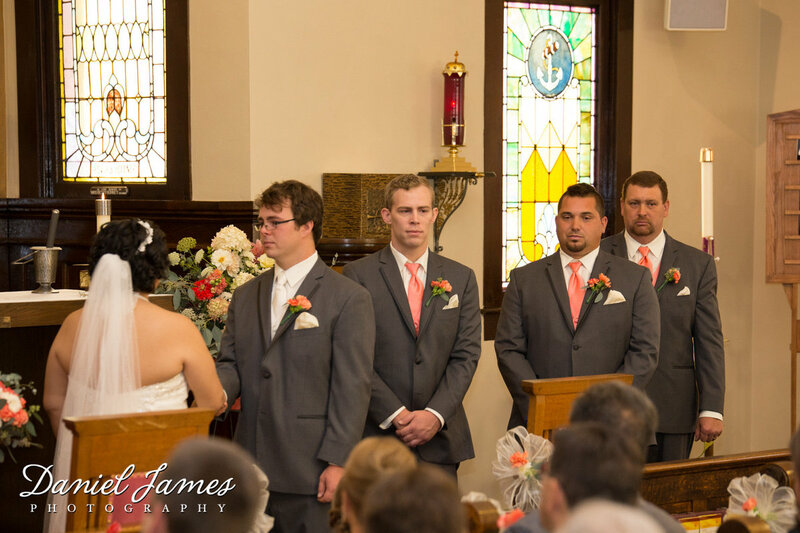 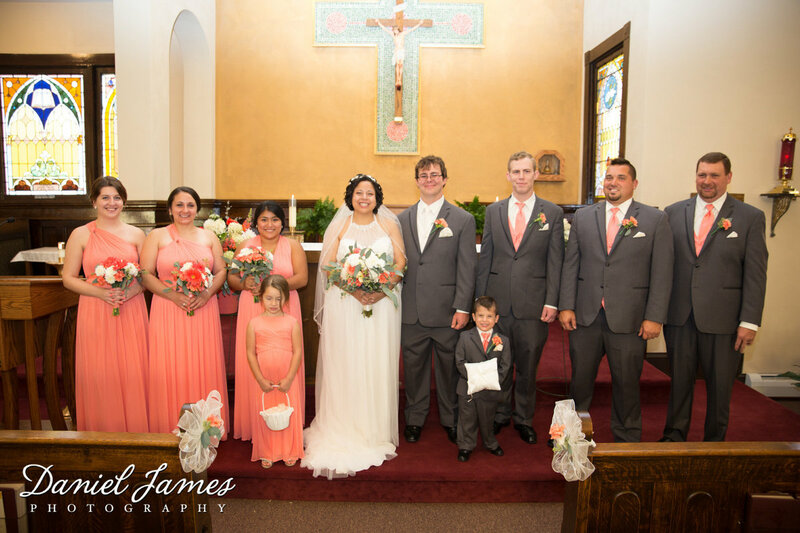 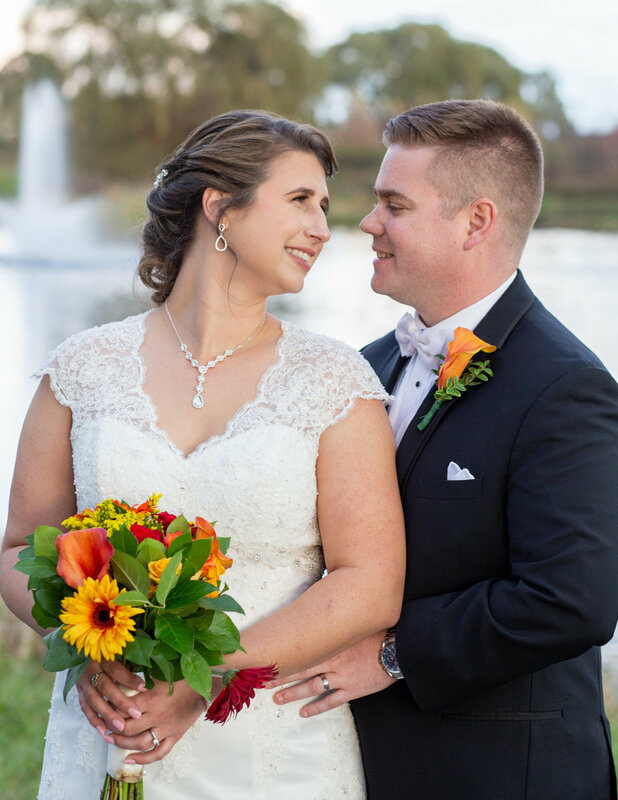 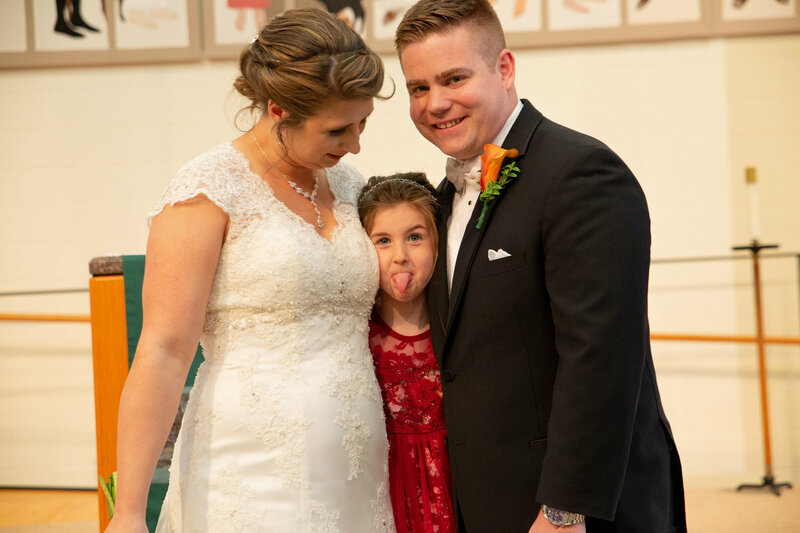 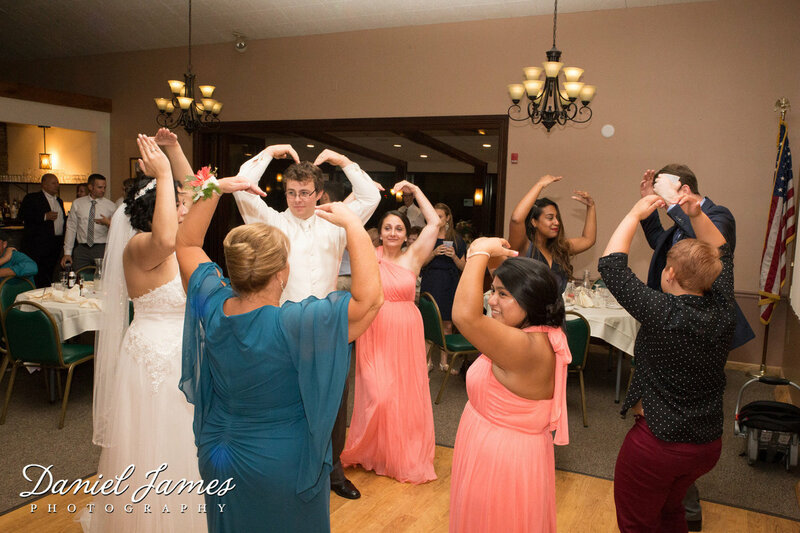 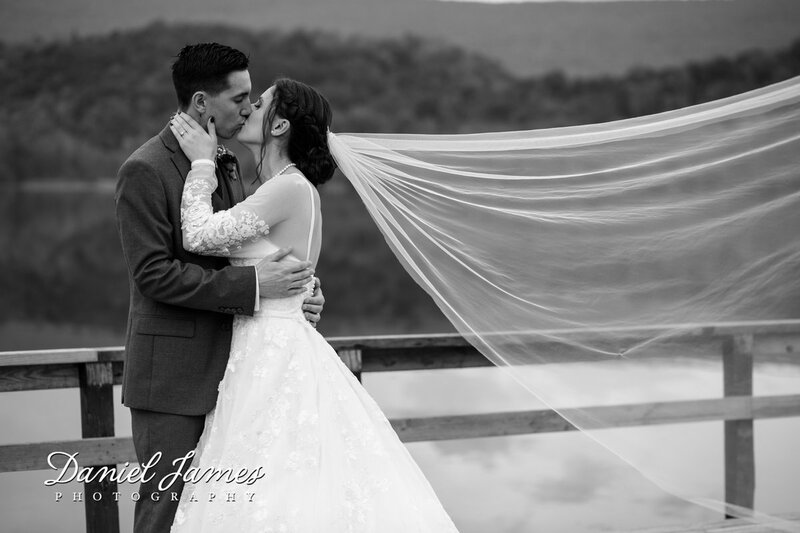 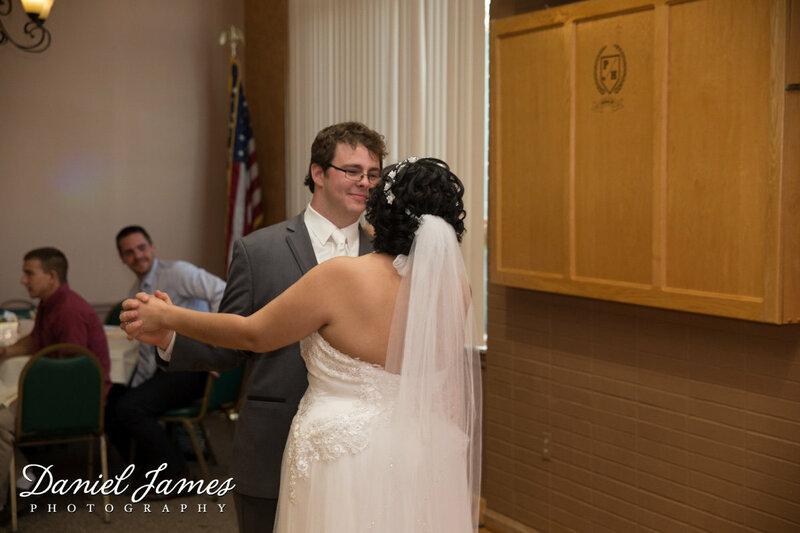 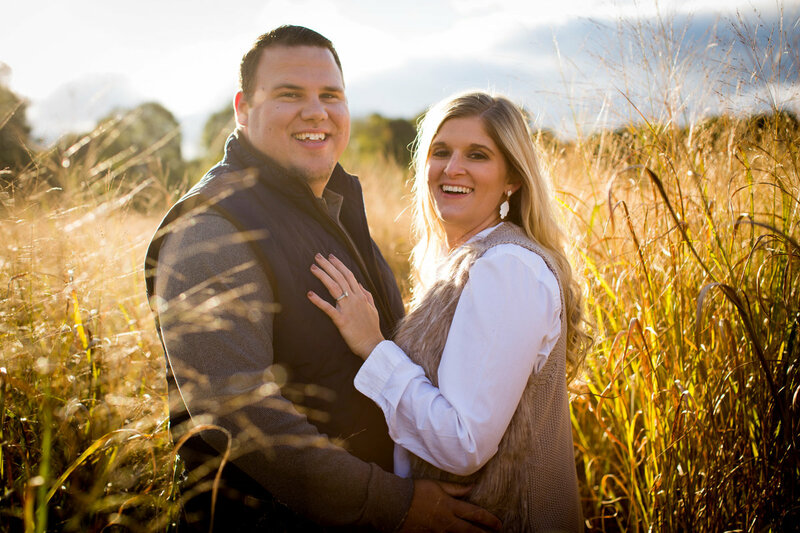 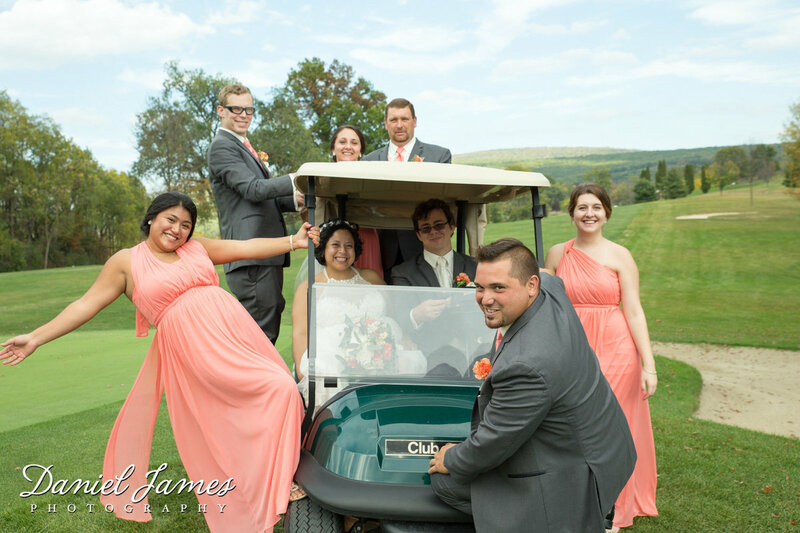 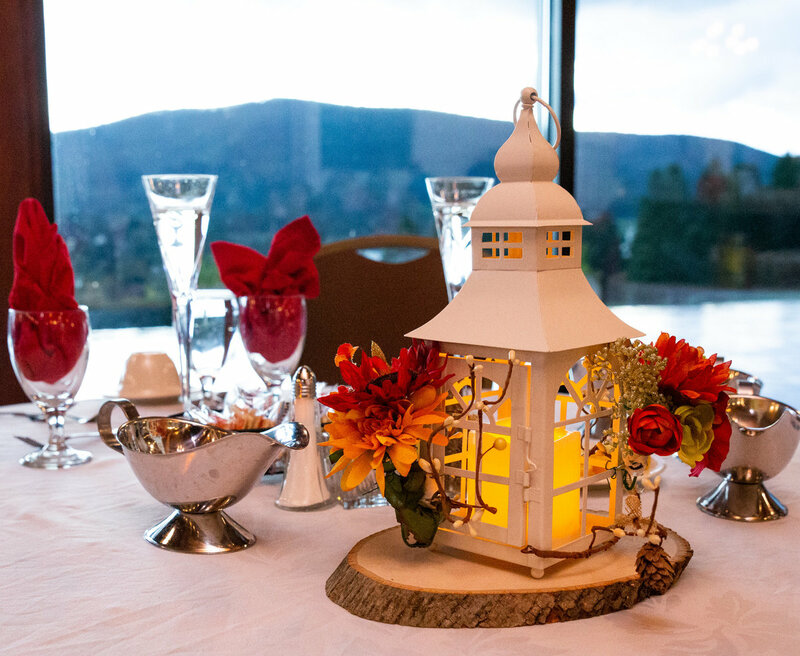 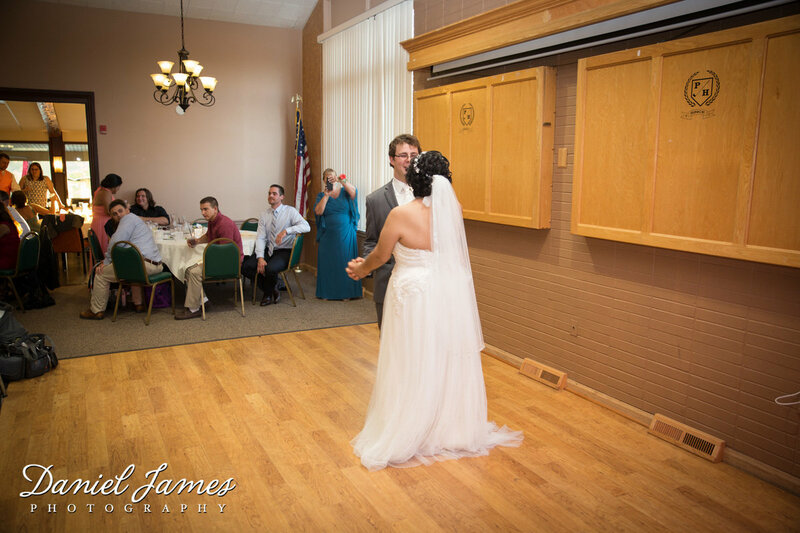 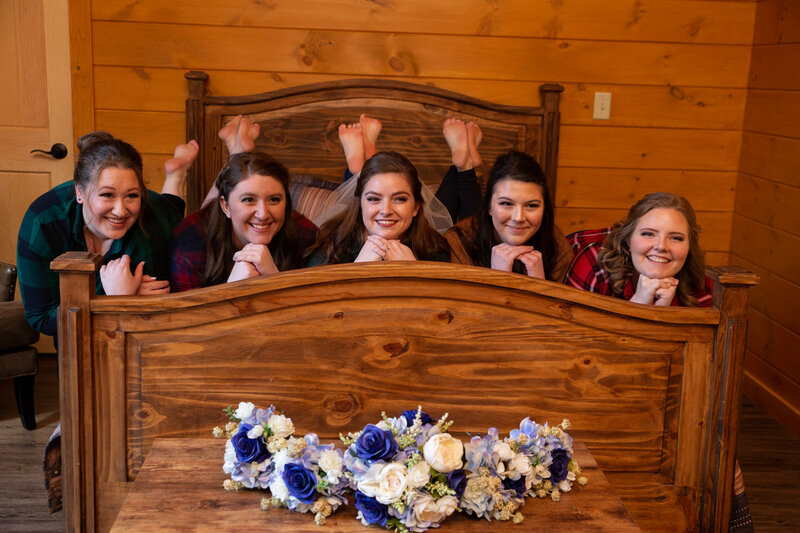 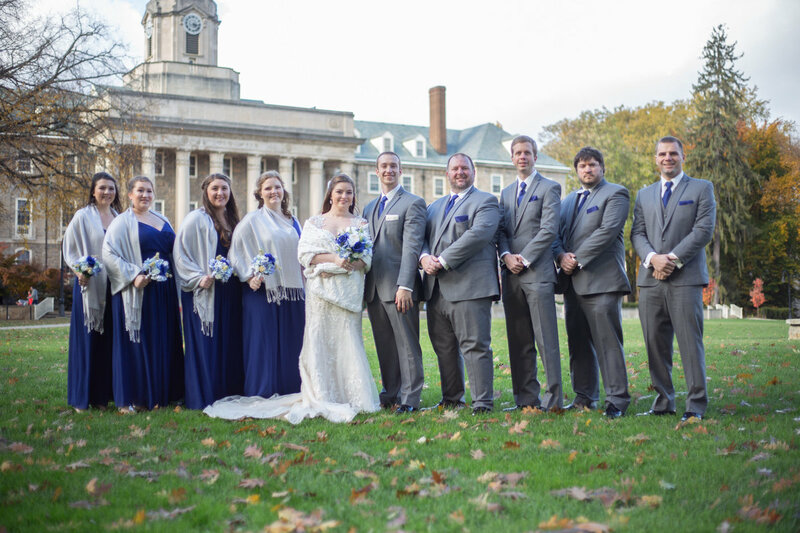 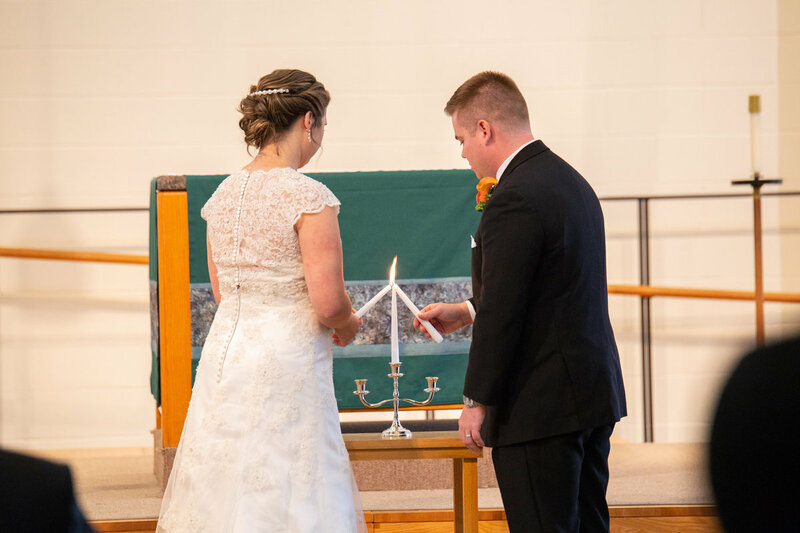 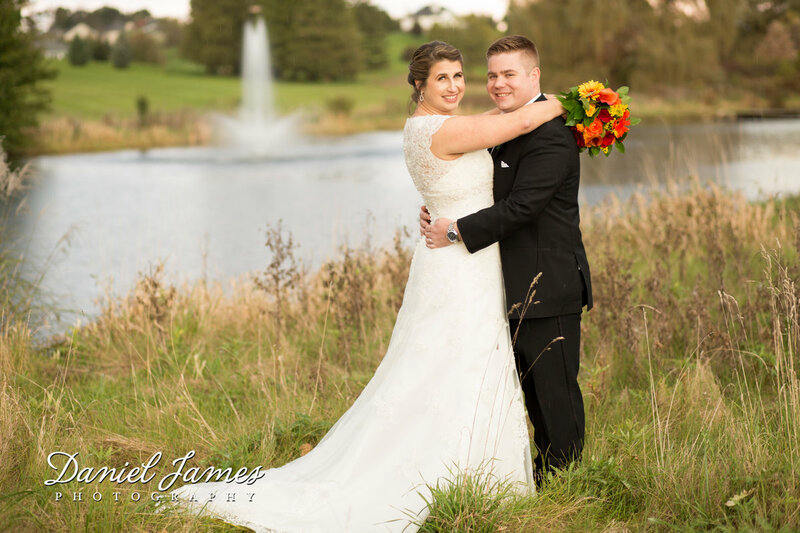 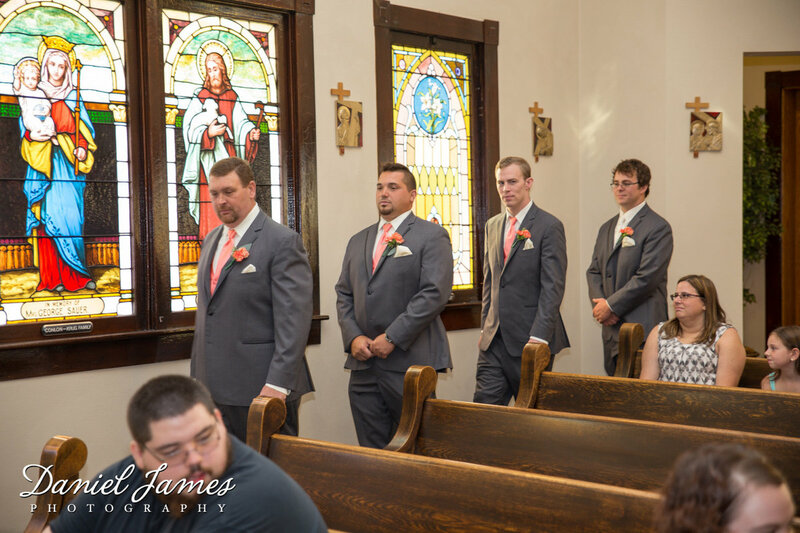 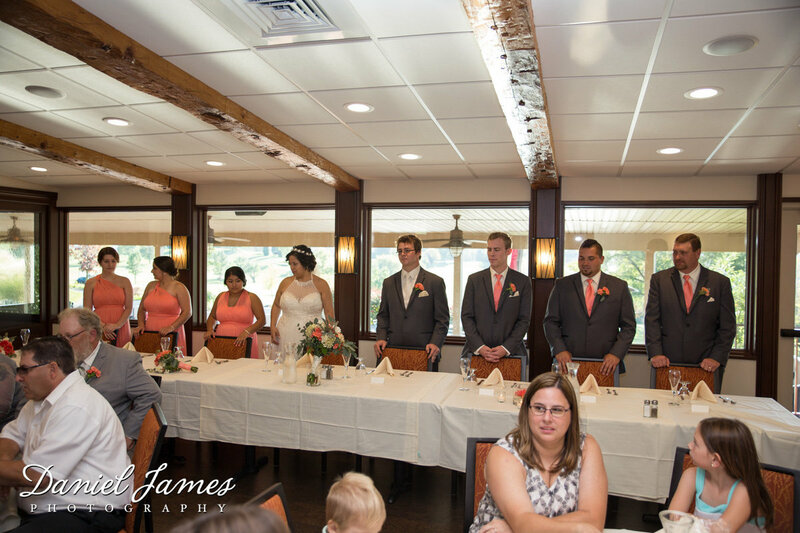 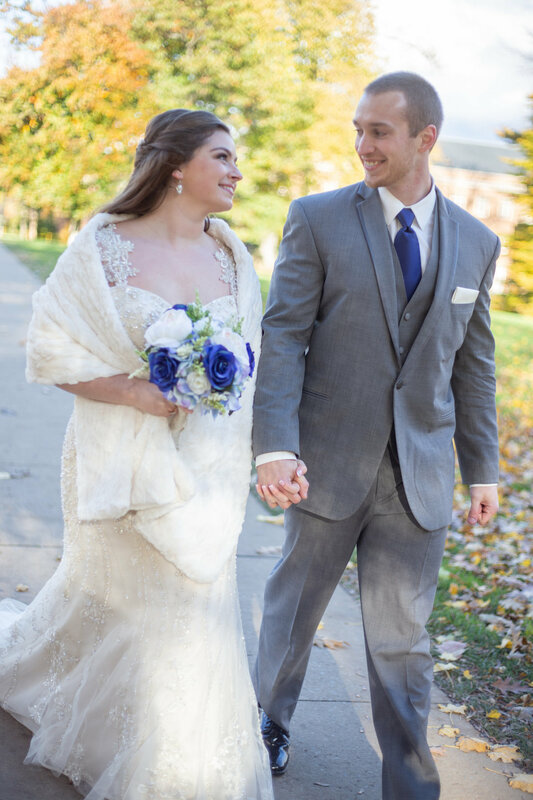 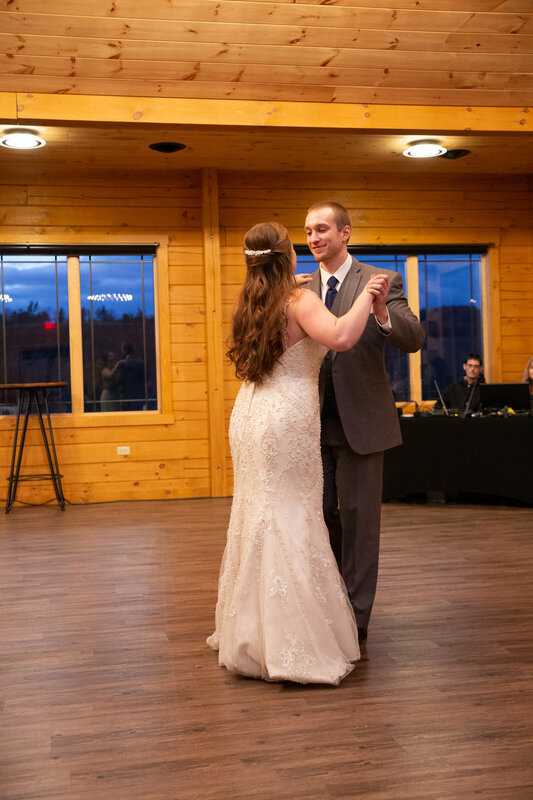 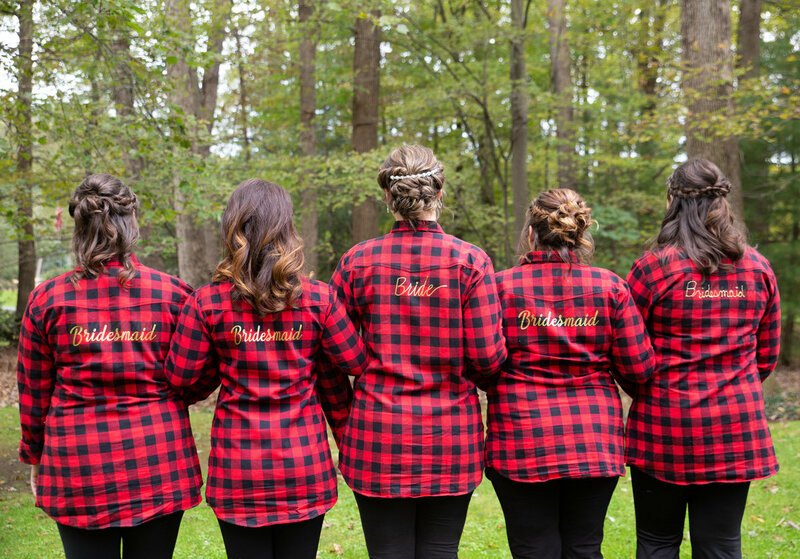 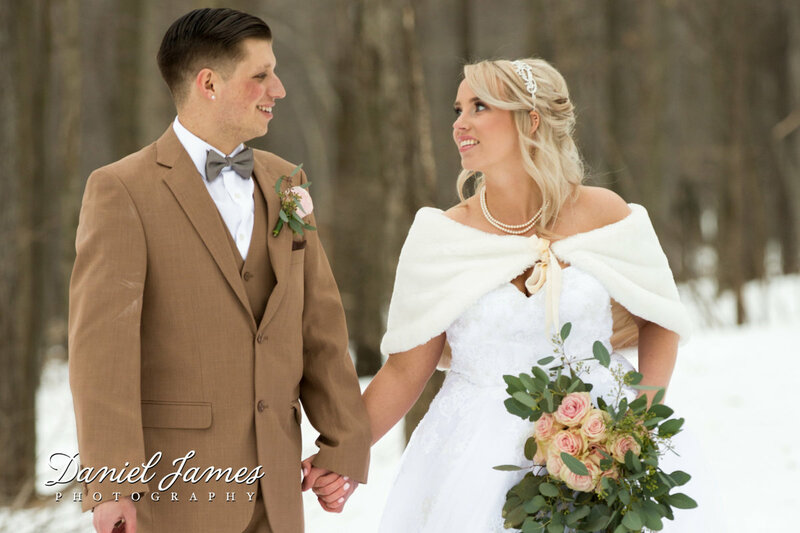 Daniel would love to hear how he and his staff can provide the best photography, videography, photo booth and uplighting/light monogram services for your wedding and special occasion! 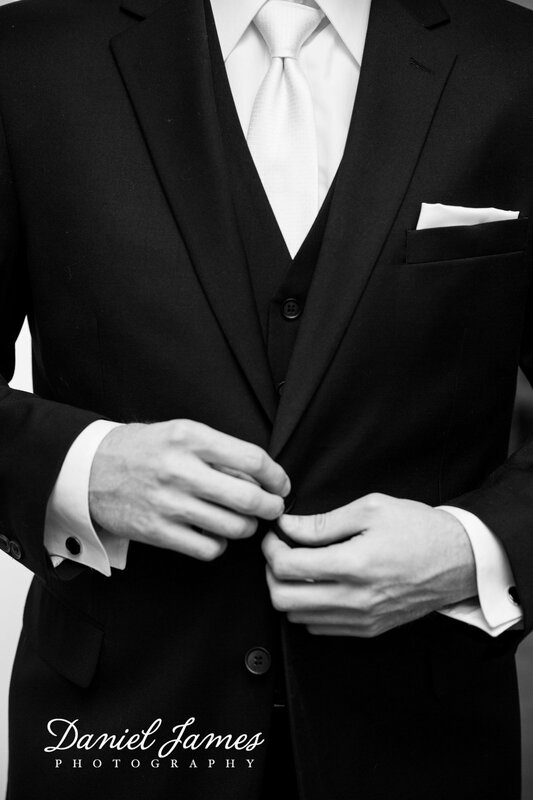 his wedding business by age 18 while going to school for his other passion in life helping those in need. 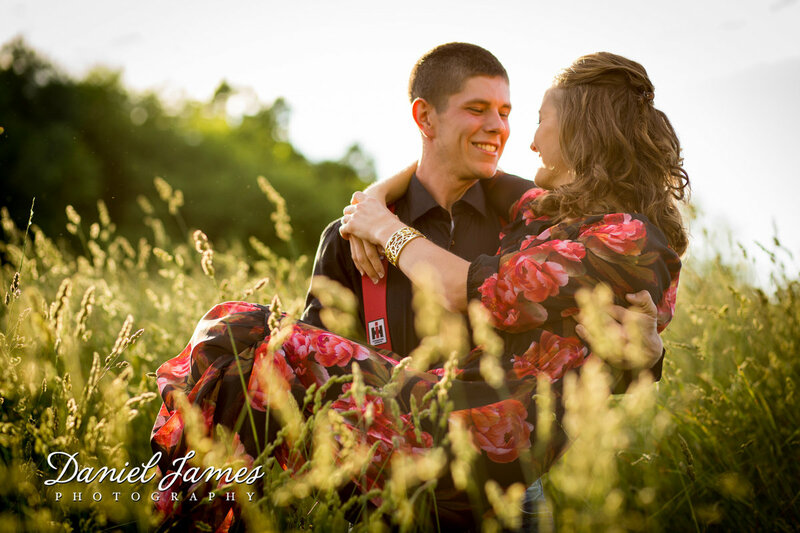 After graduating from school he moved to South Carolina to work as a paramedic. 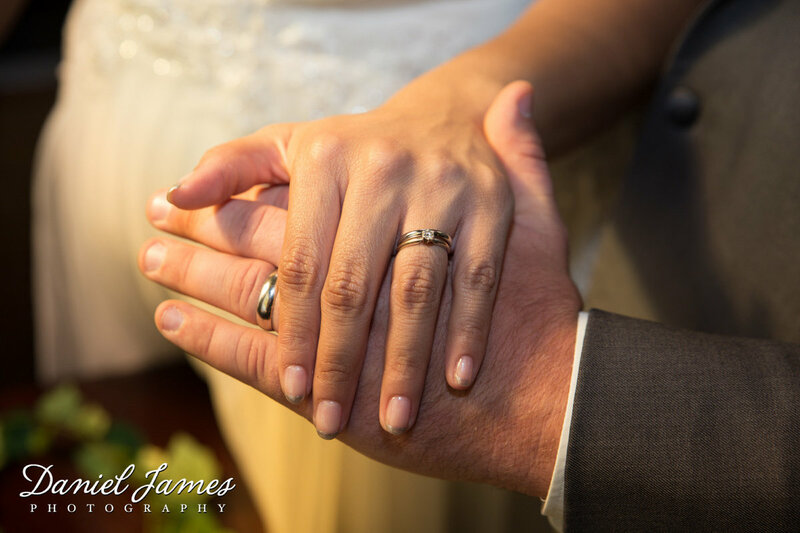 He continued his business and passion for wedding photography & videography in beautiful cities of Charleston, South Carolina and Savannah, Georgia. 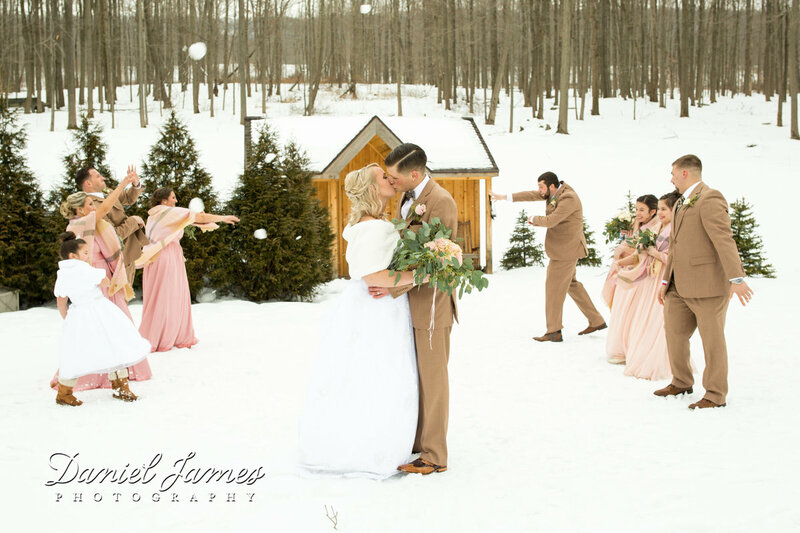 There being the #1 wedding destinations on the east coast, his business became very successful as he mastered the wedding photography and videography. 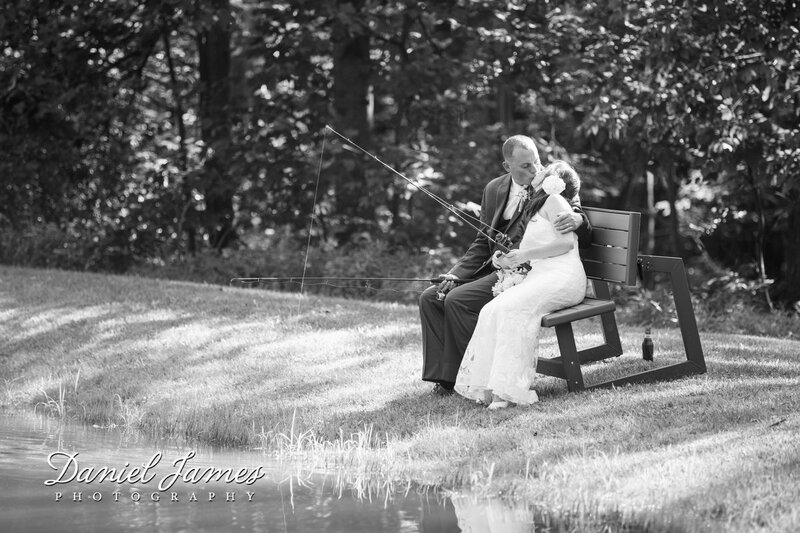 several fish. 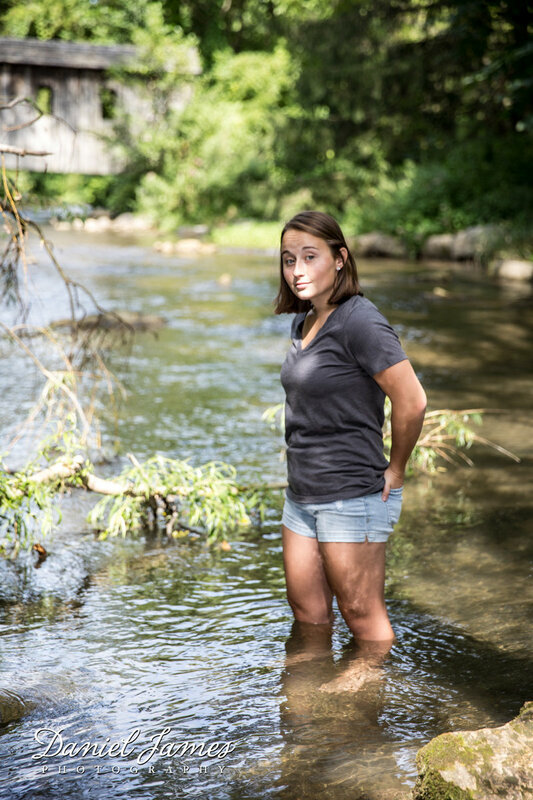 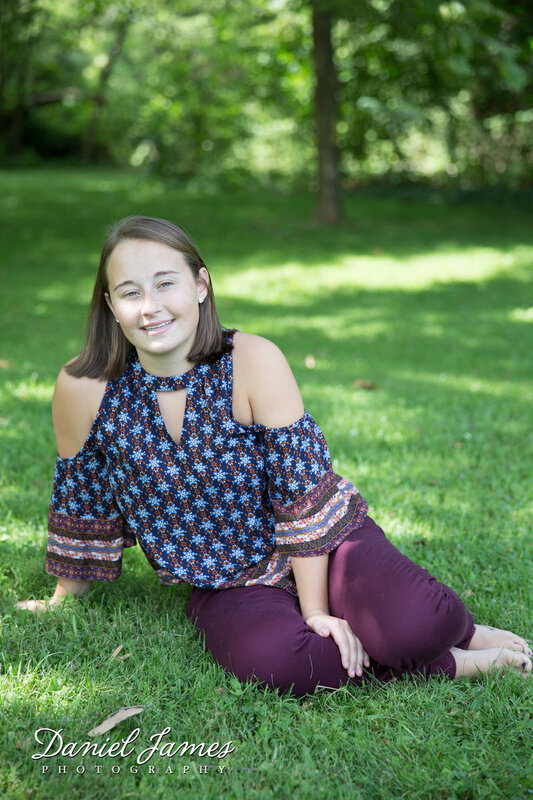 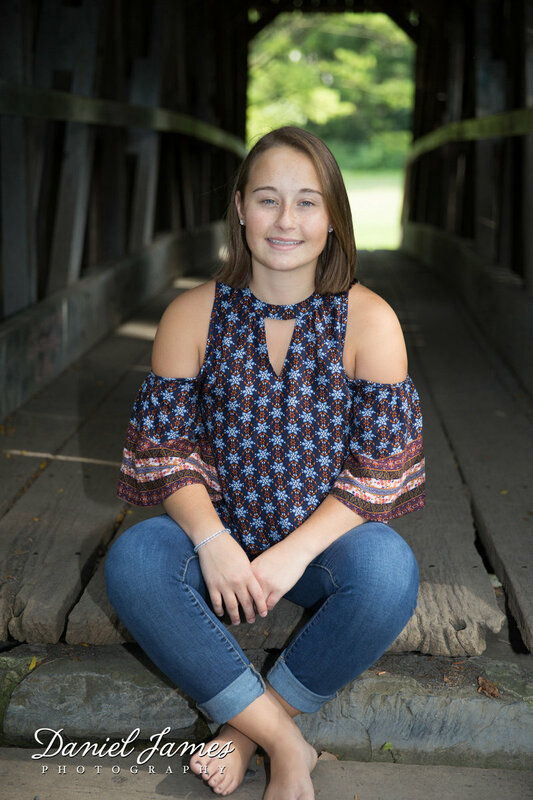 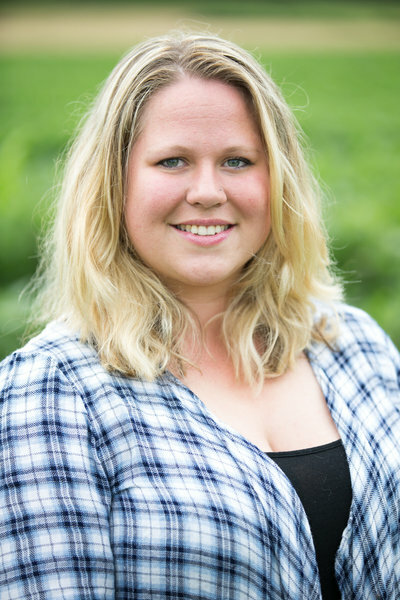 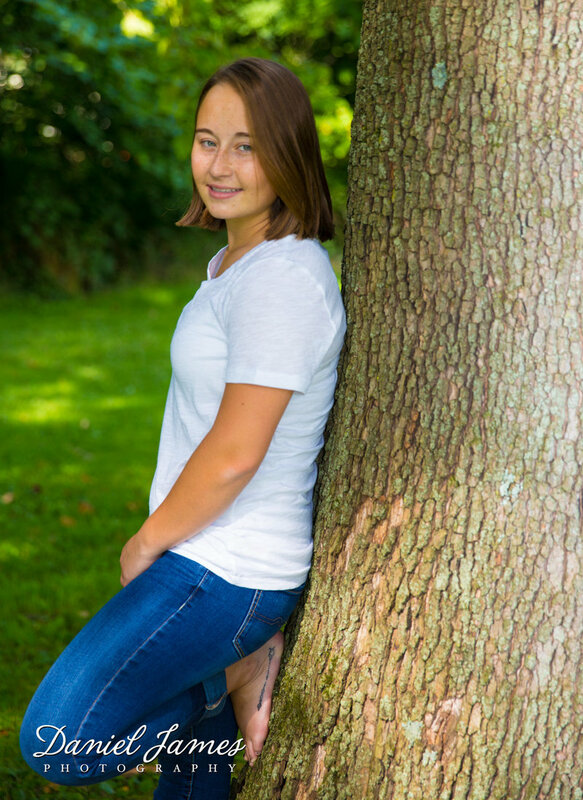 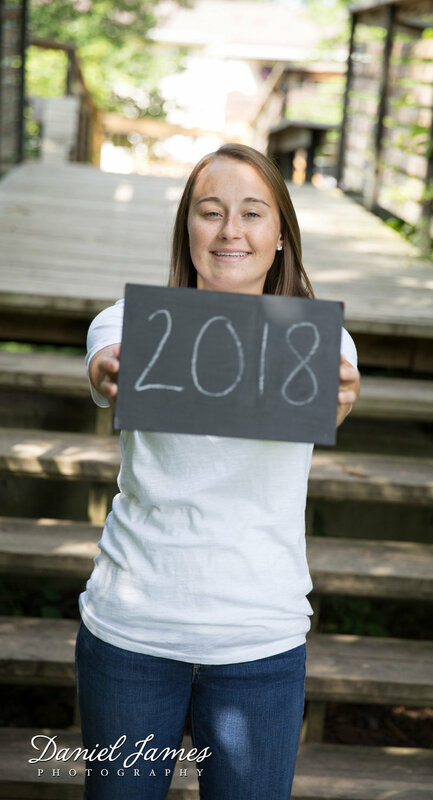 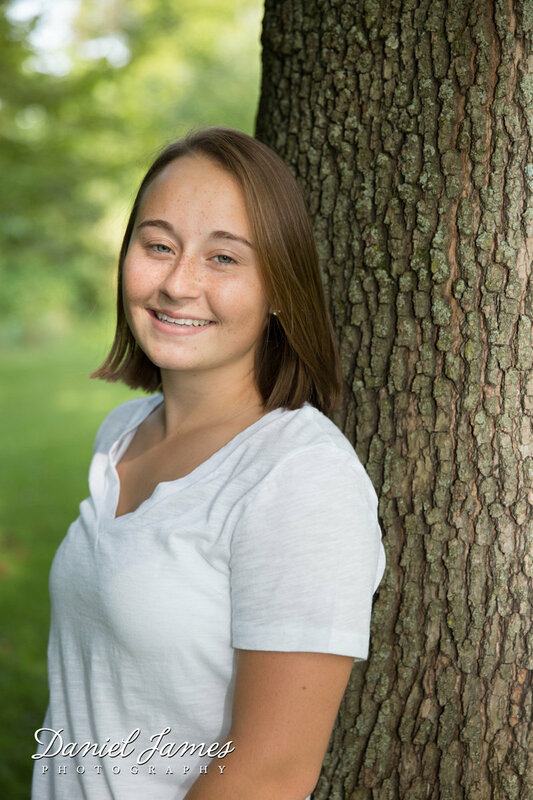 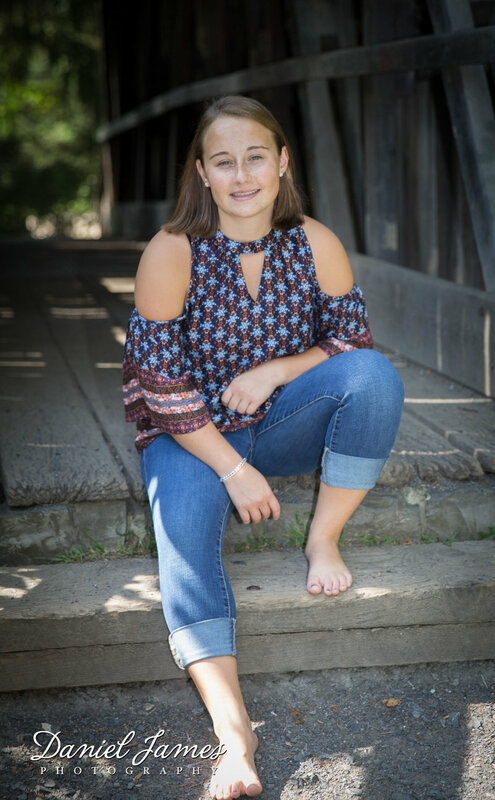 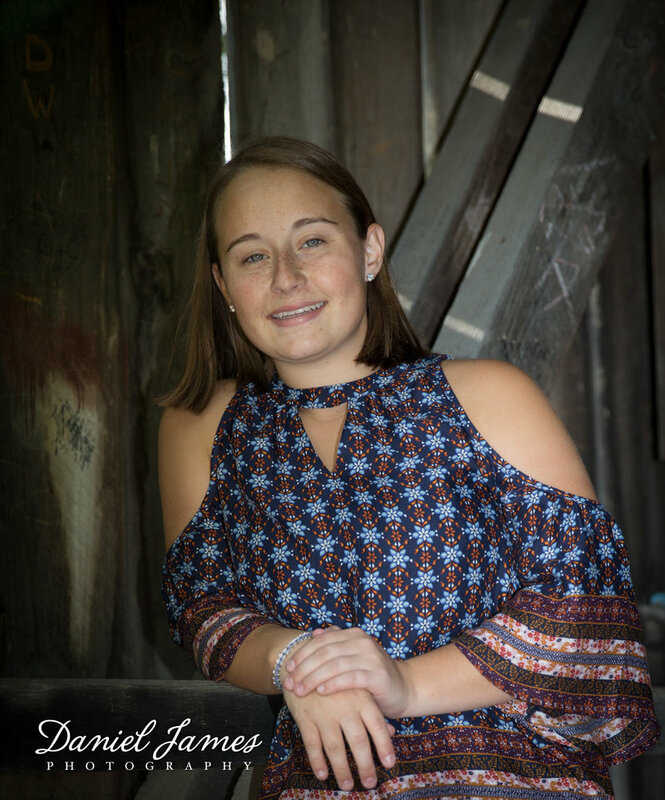 Among loving her family, friends and animals, Shaundra loves the beauty of nature and being outdoors spending time with her family camping and exploring new things. 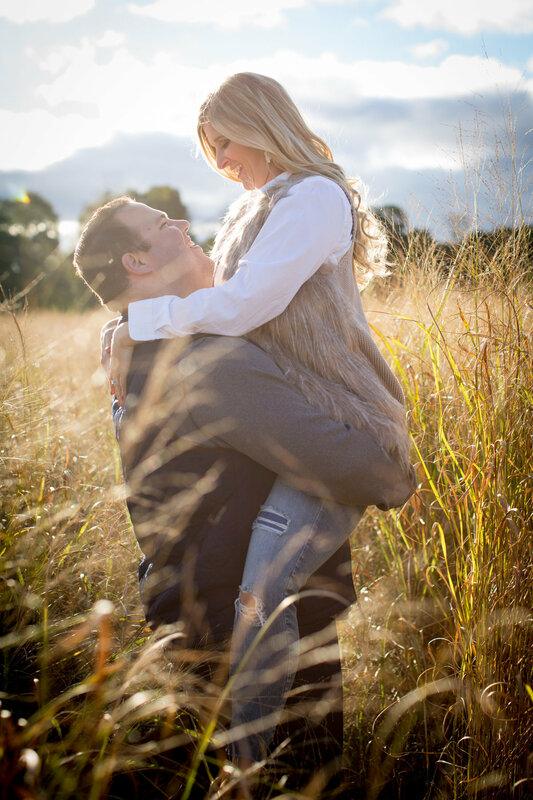 Along with seeing the natural beauty in the outdoors, Shaundra loves capturing moments that will last a lifetime. 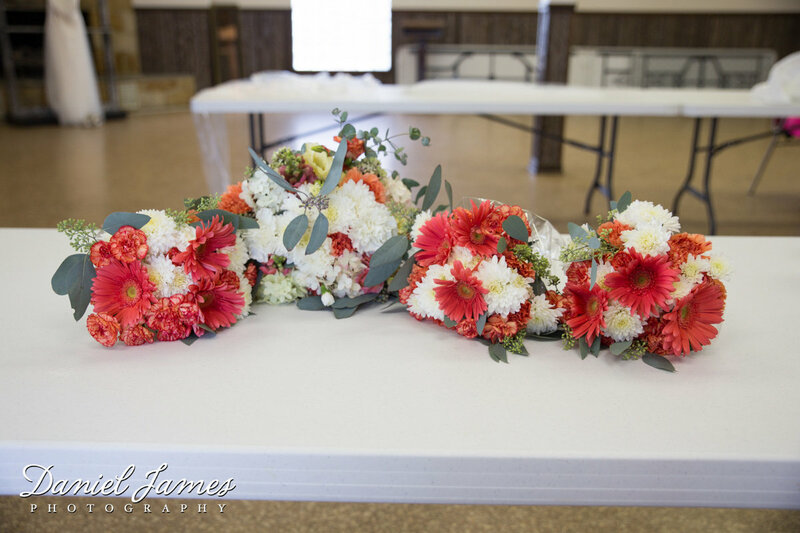 Coming from an artistic background, her grandmother was an interior decorator and photographer. 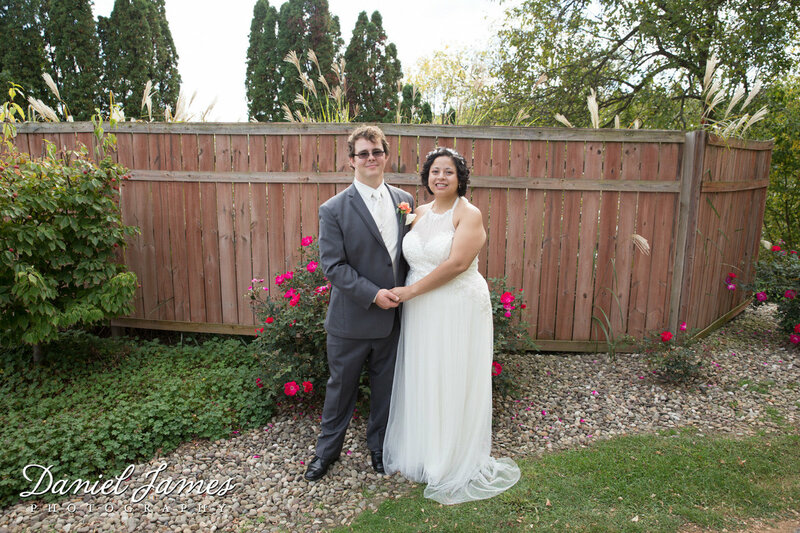 She taught Shaundra the finer skills of photography and most importantly the eye for capturing the special moments. 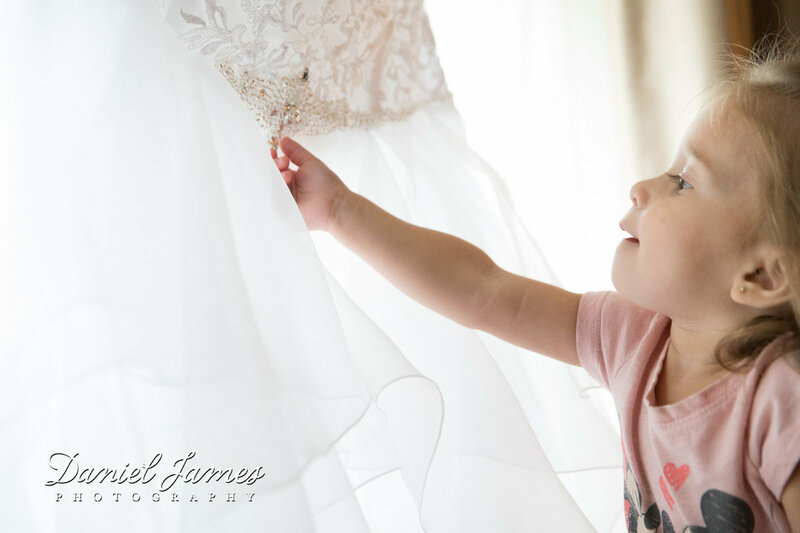 She would be honored to be able to capture any and all special moments for you and your loved ones. 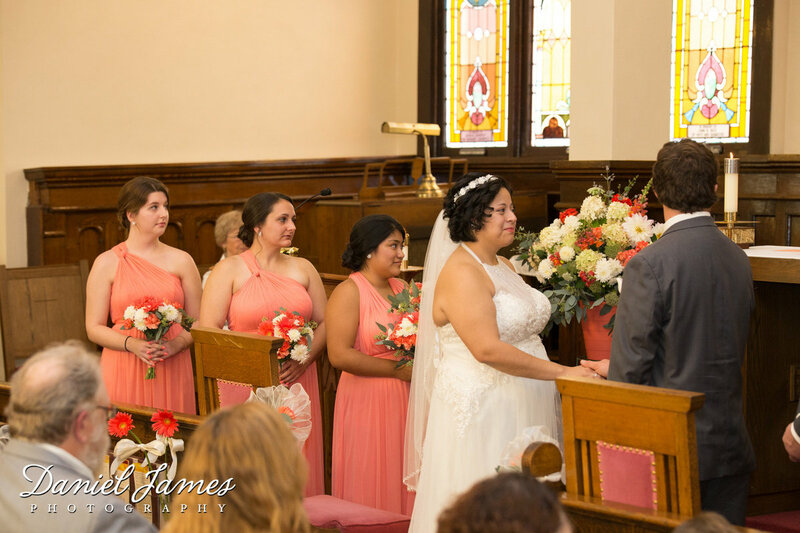 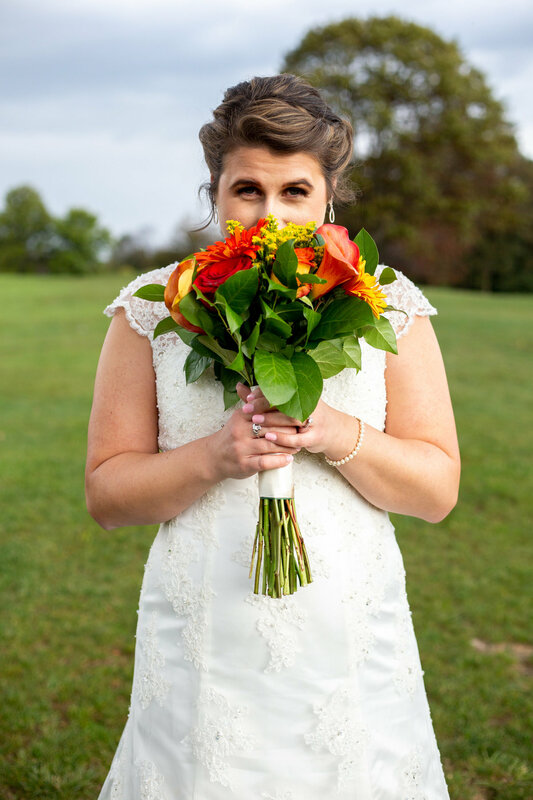 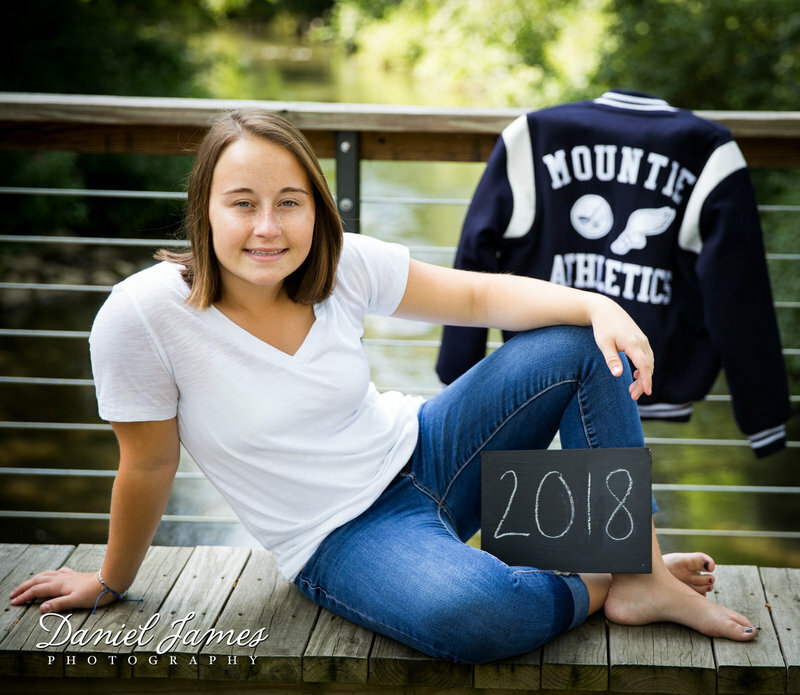 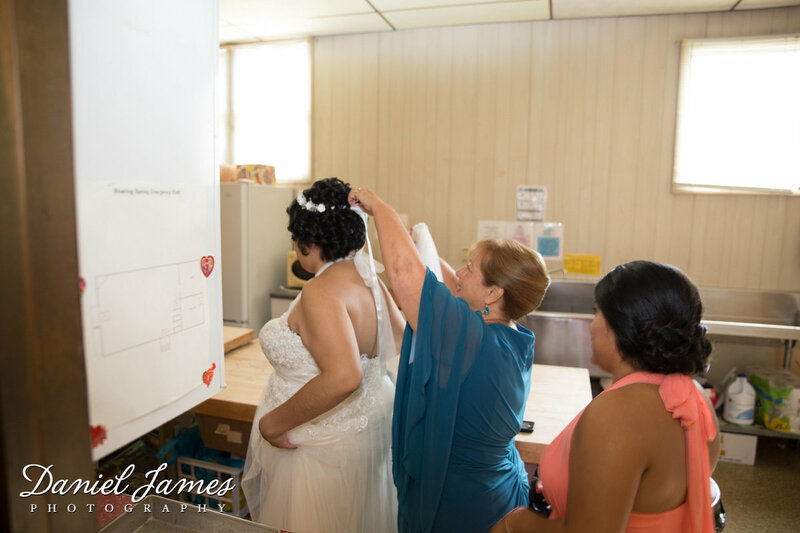 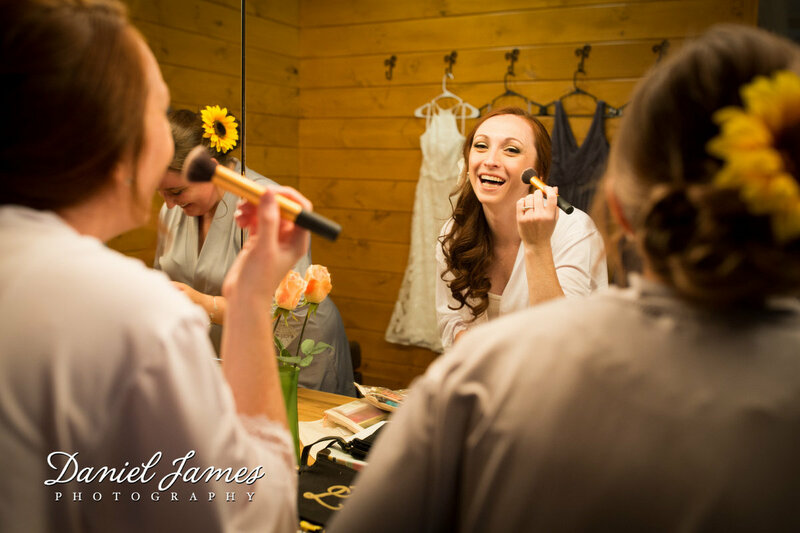 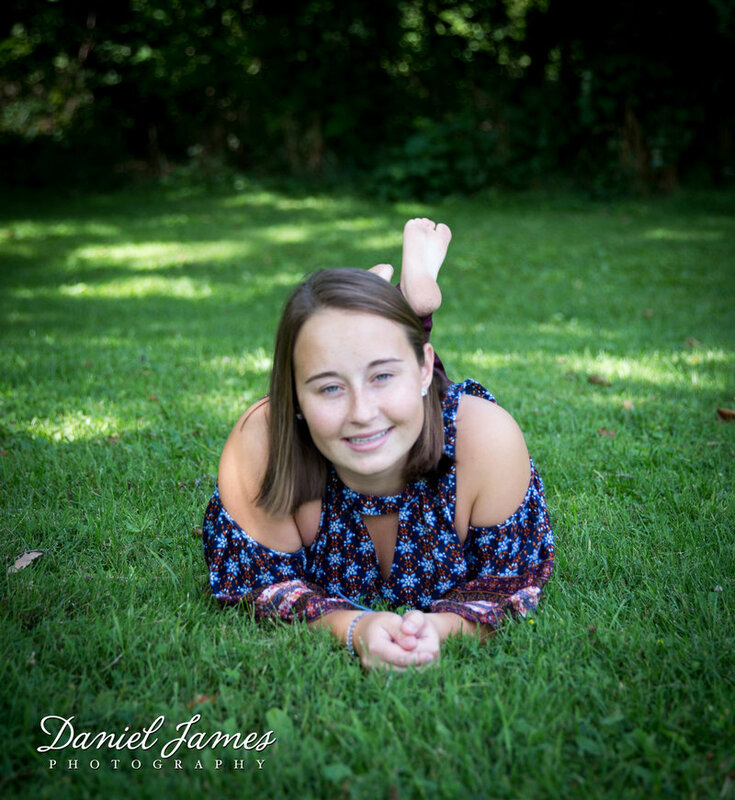 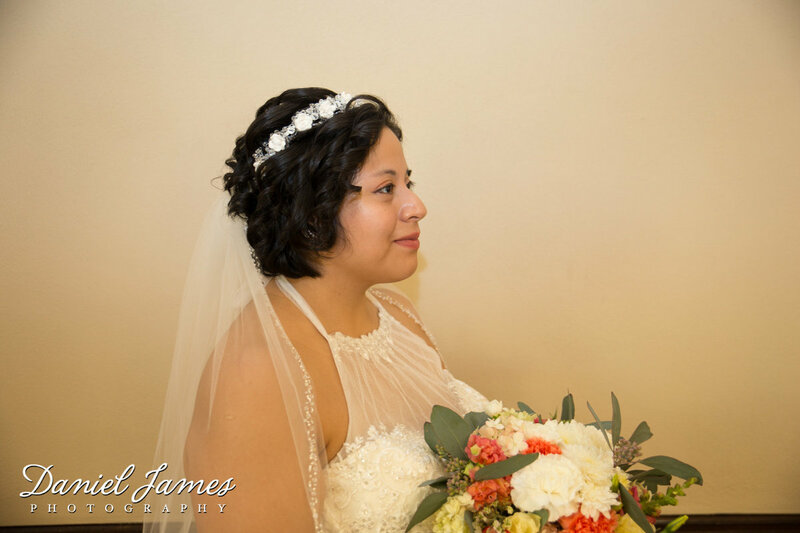 She is available as a lead and 2nd photographer, videographer and photo booth attendant through Daniel James Photography, LLC. 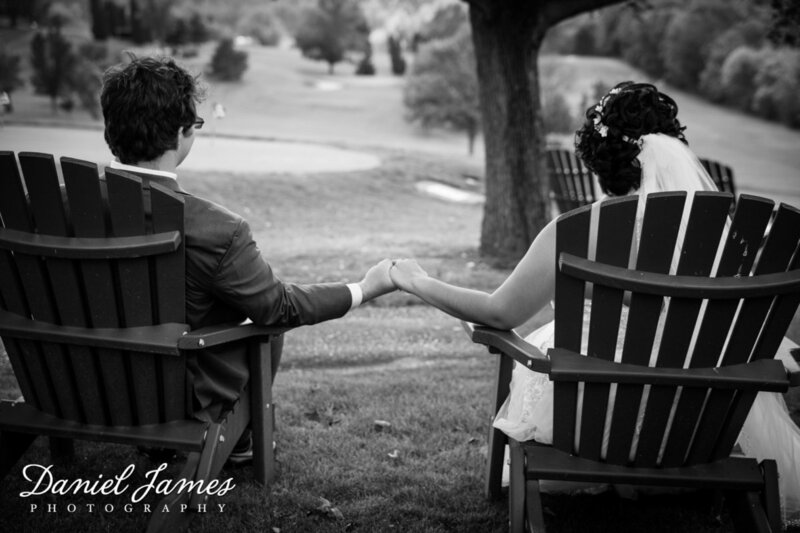 lifetime. 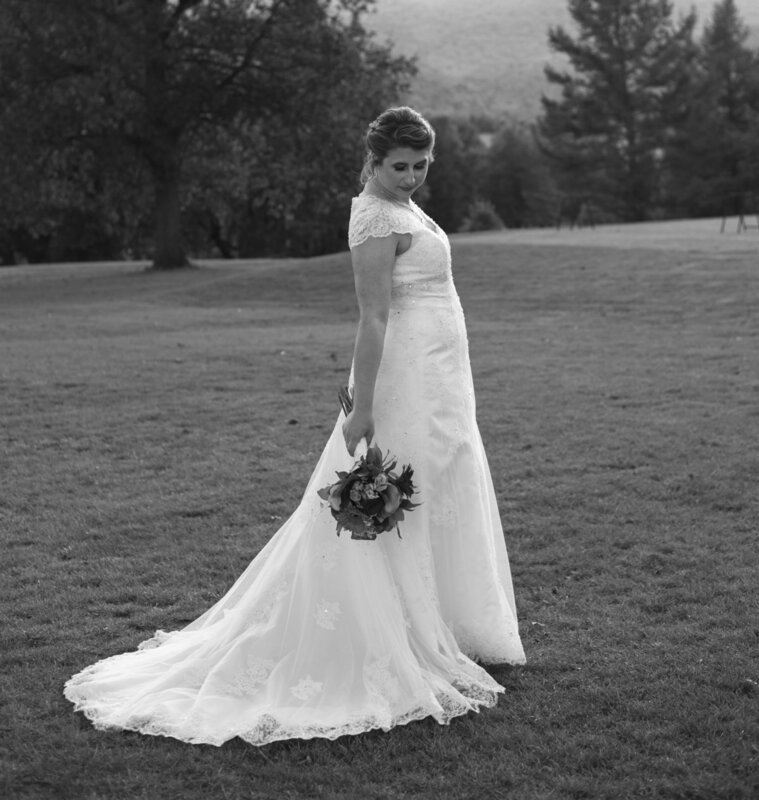 Coming from an artistic background, her grandmother was an interior decorator and photographer. 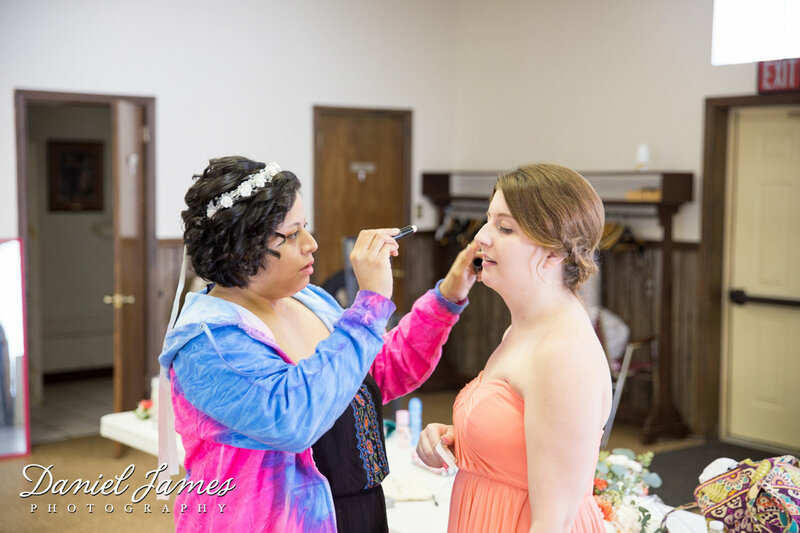 She taught Shaundra the finer skills of photography and most importantly the eye for capturing the special moments. 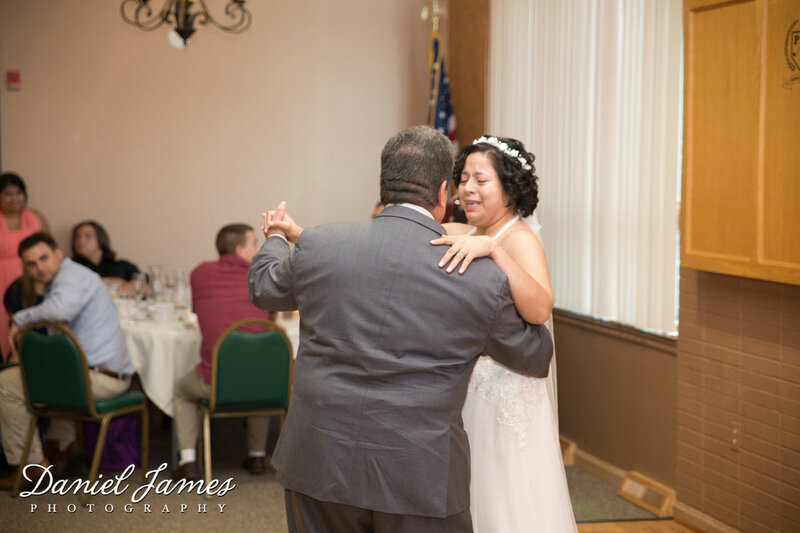 She would be honored to be able to capture any and all special moments for you and your loved ones. 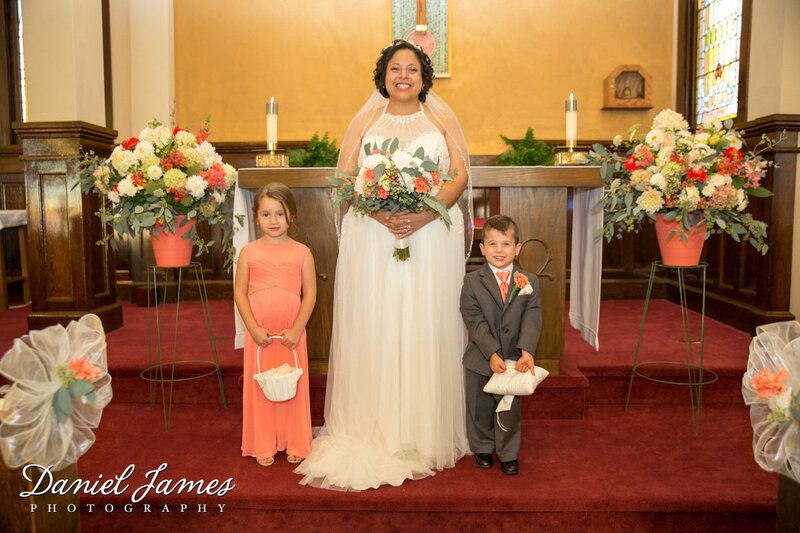 She is available as a lead and 2nd photographer, videographer and photo booth attendant through Daniel James Photography, LLC. 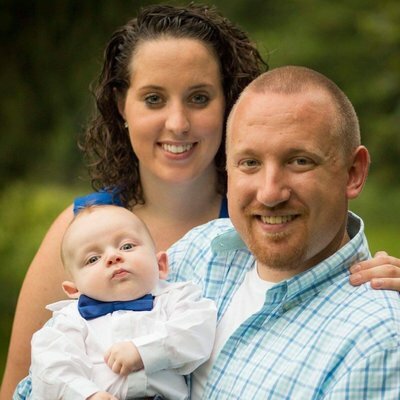 currently employed as a paramedic in Centre County, although life opportunities have carried him all along the Eastern coast from Connecticut to Florida. 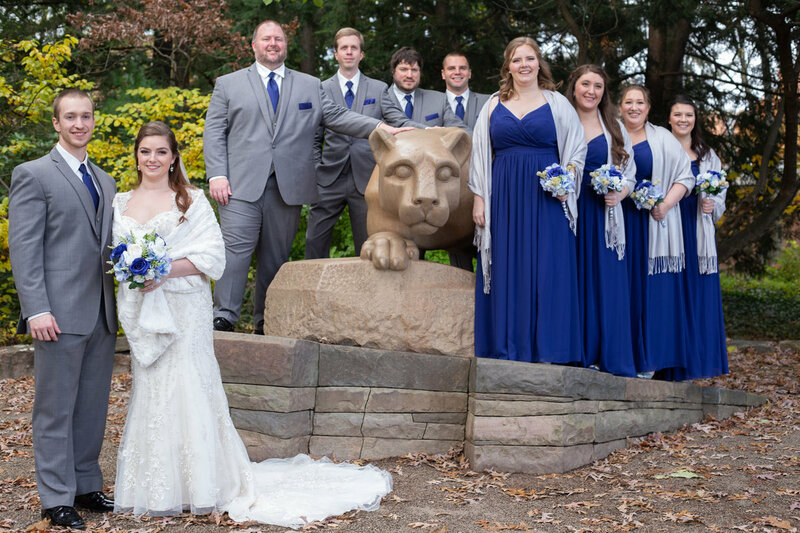 Throughout his travels, Steve has always taken time to enjoy nature and local culture. 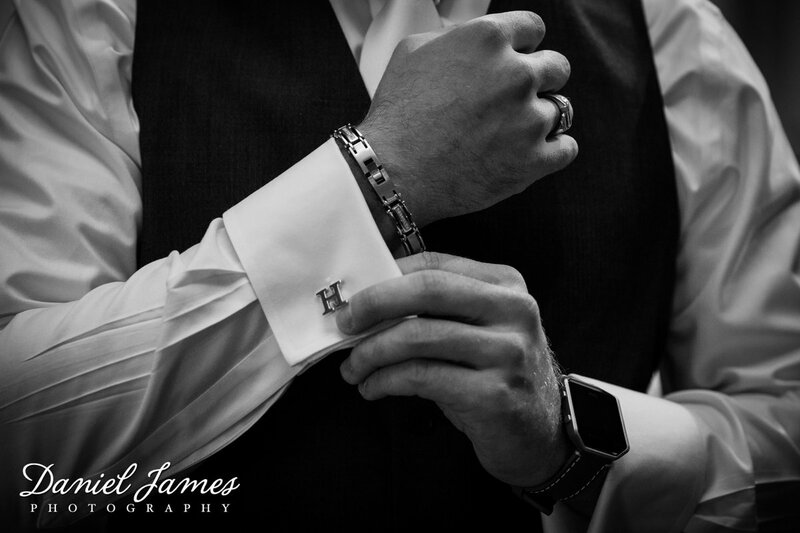 He has learned to appreciate other’s views and take of a situation and attempts incorporated that into his photography style. 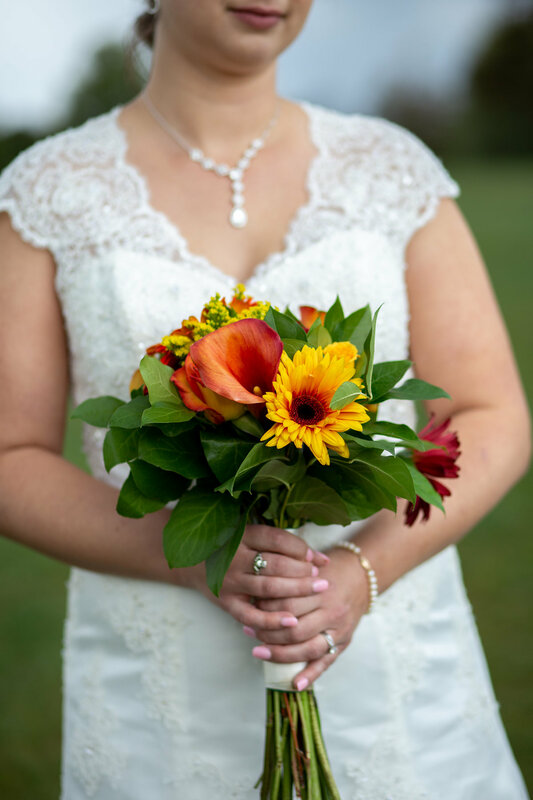 Through photography, Steve loves to capture the spirit and emotion of his subject, while not losing the compliments of the surroundings and local flair. 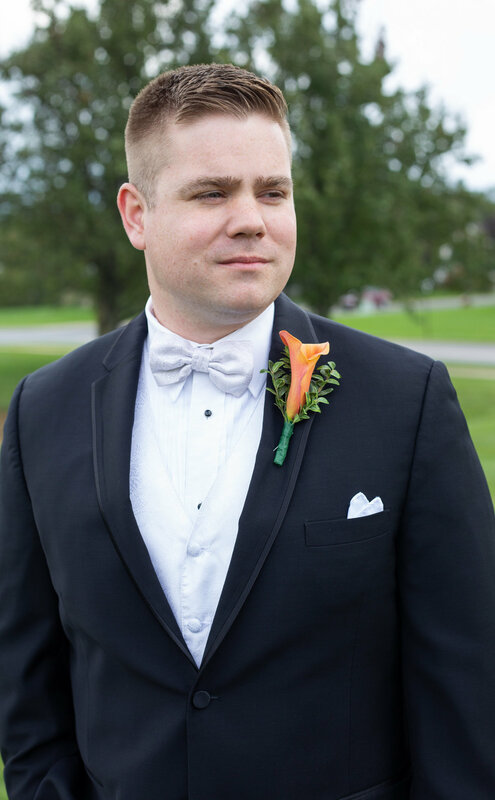 When not working, Steve enjoys hiking, mountain biking, and most anything outdoors. 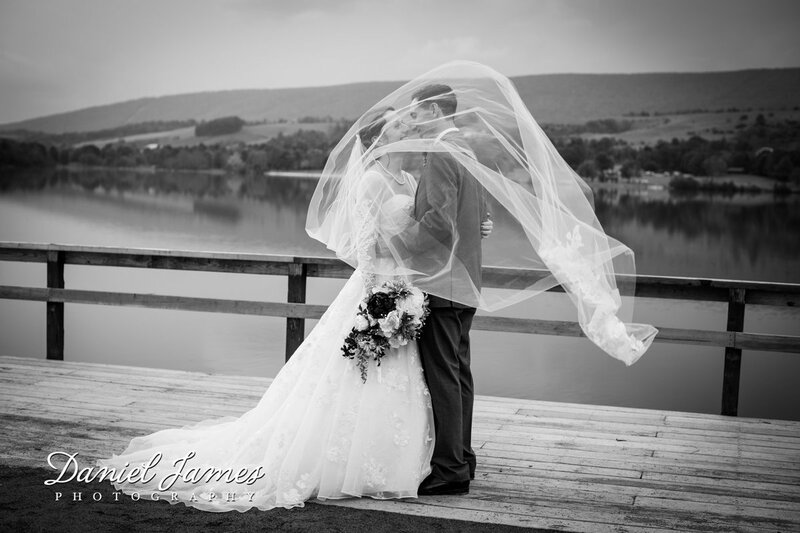 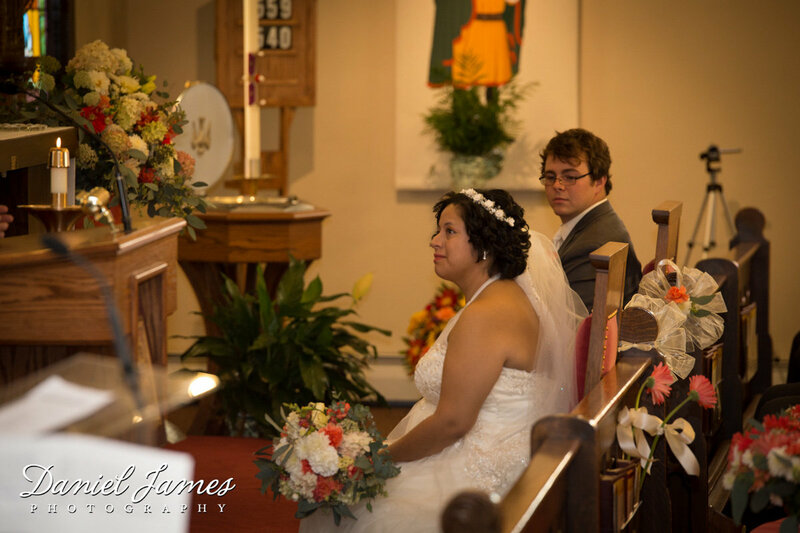 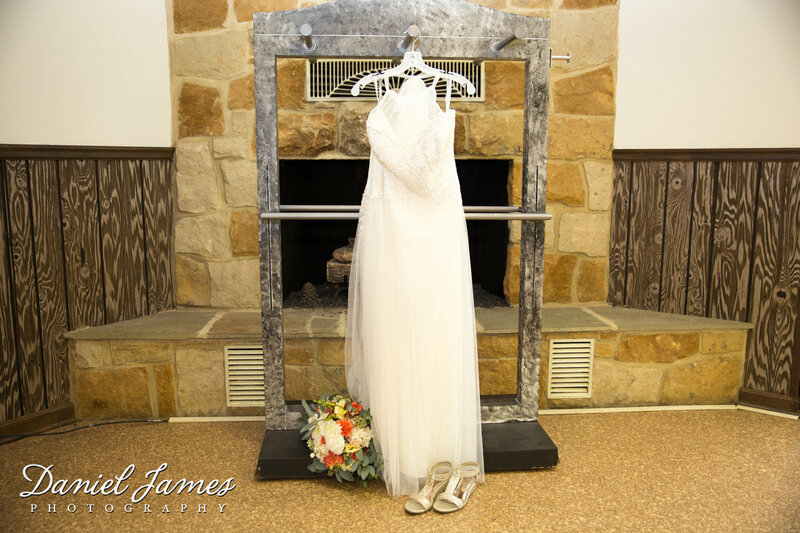 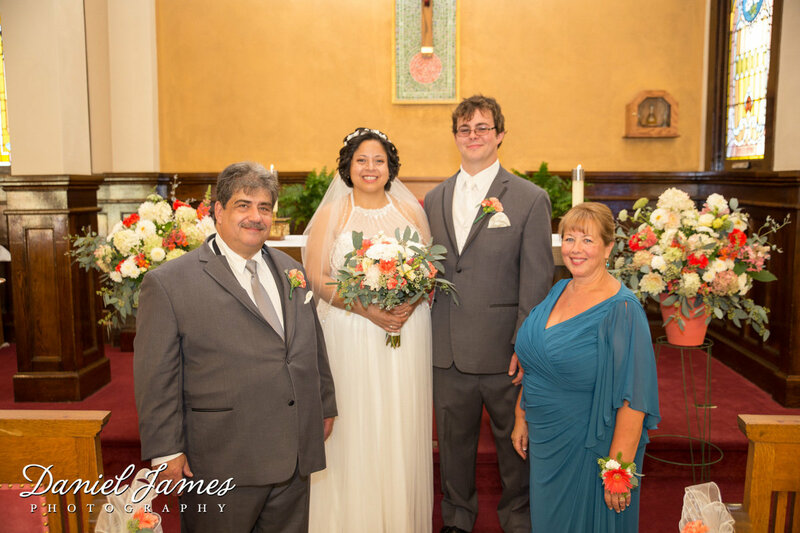 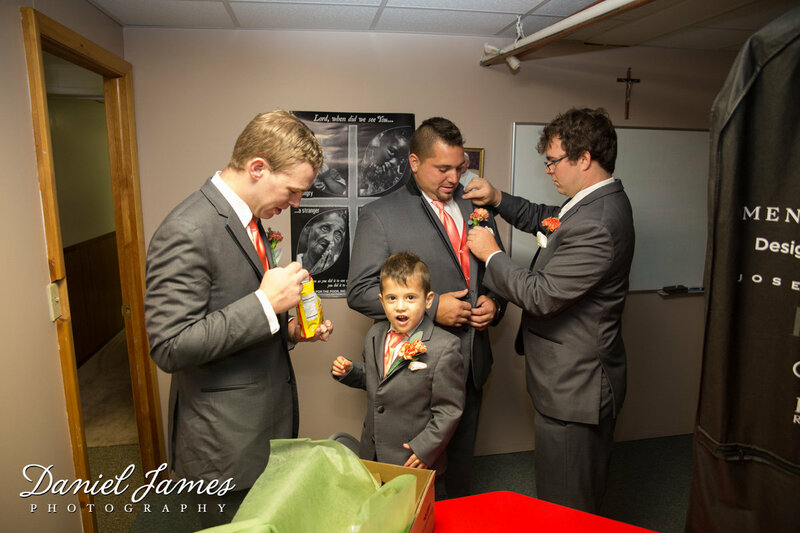 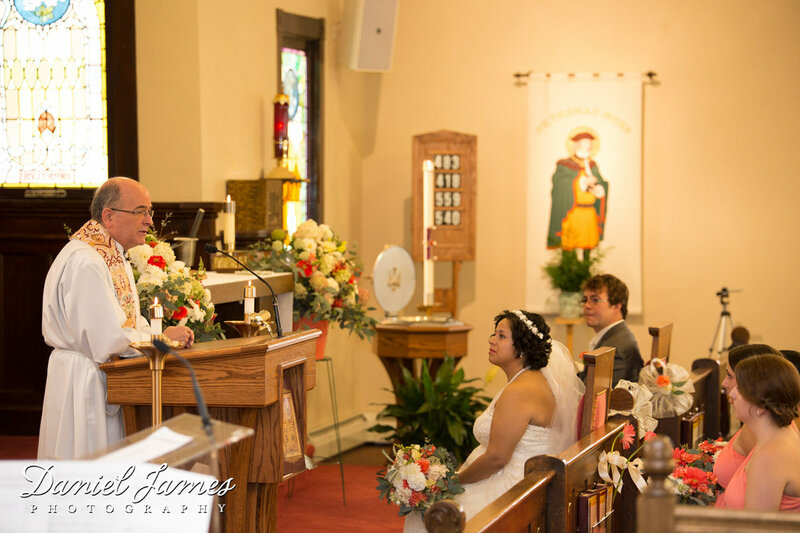 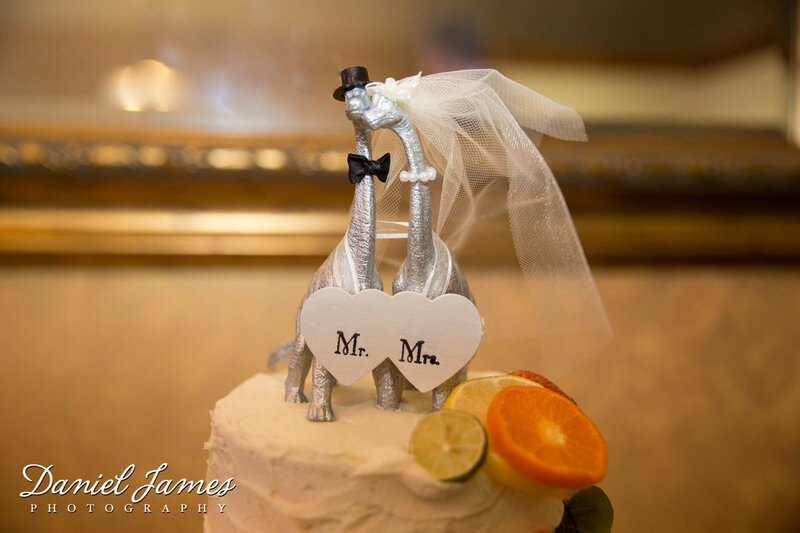 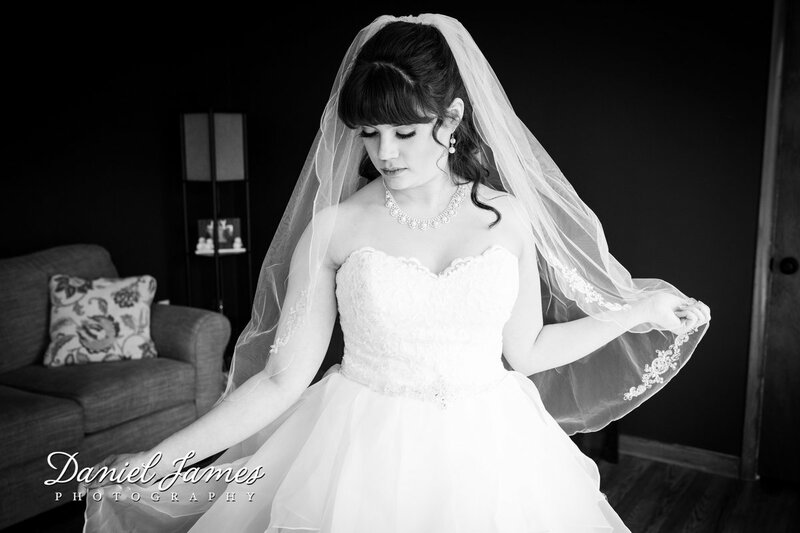 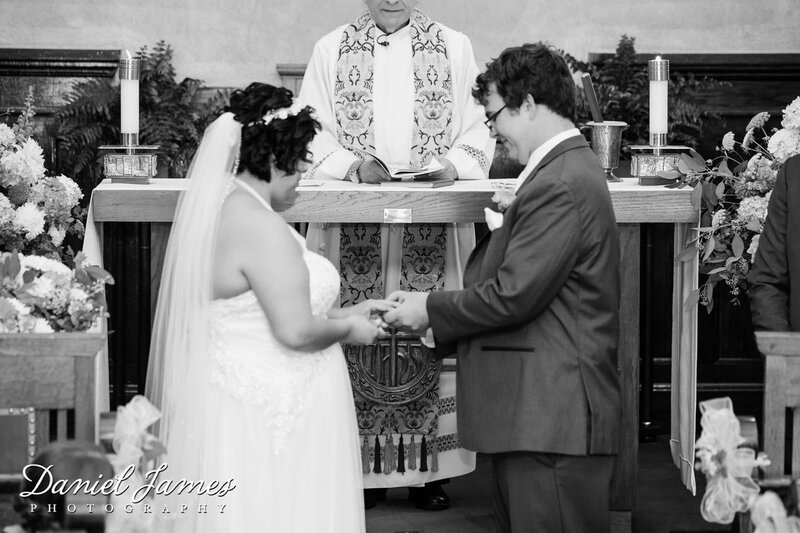 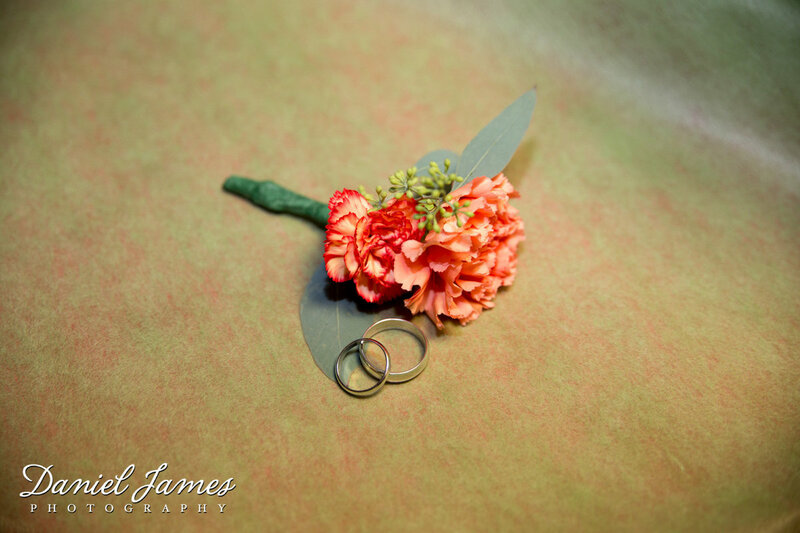 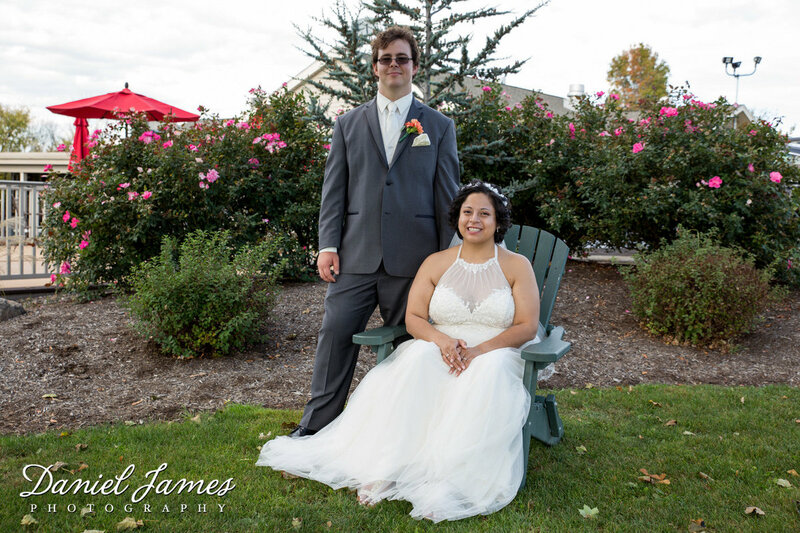 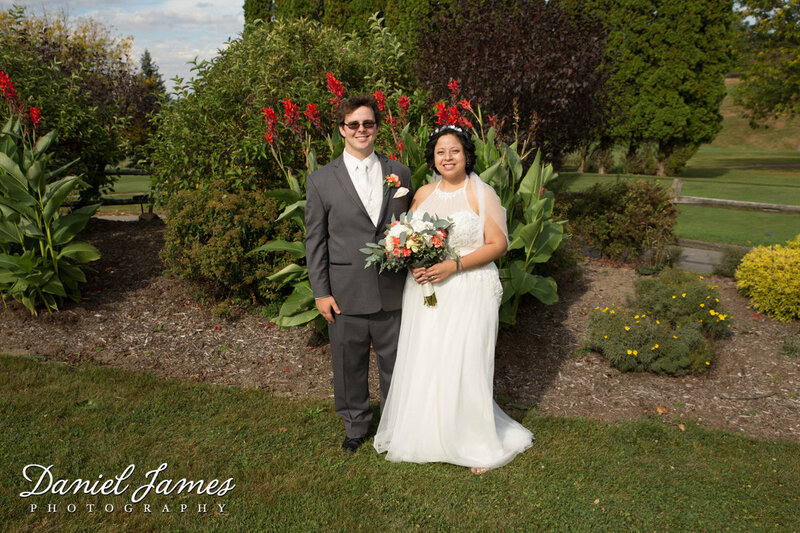 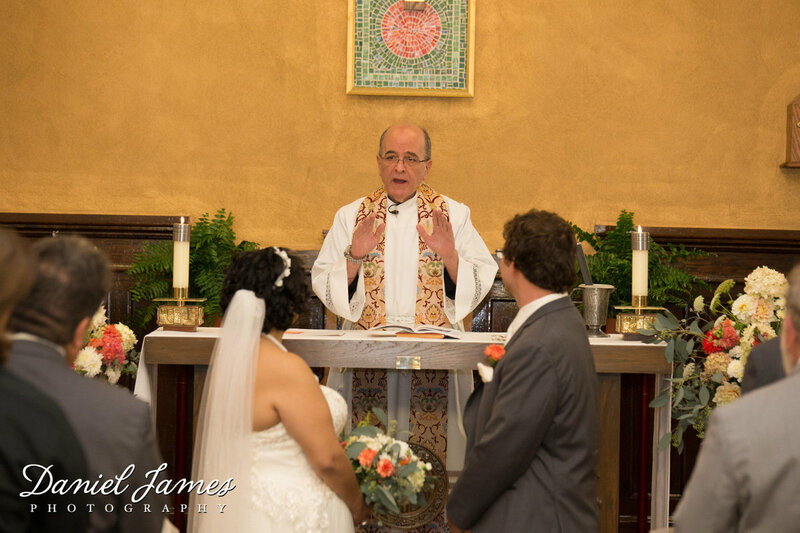 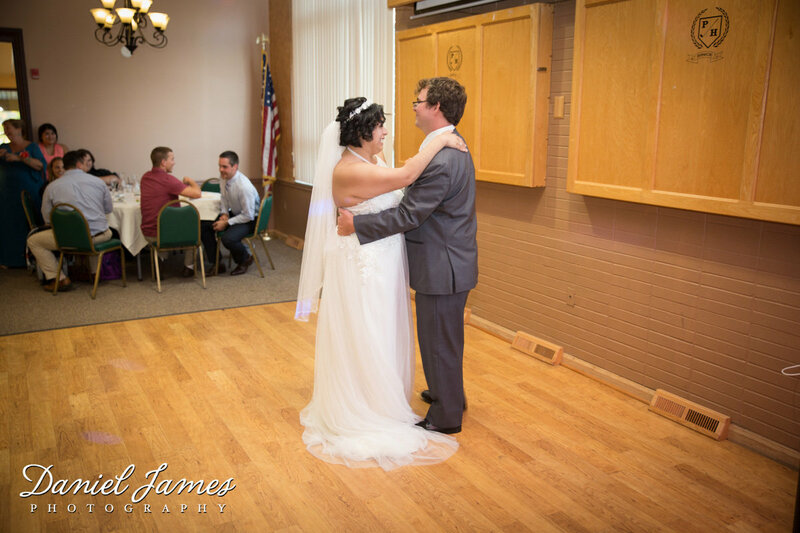 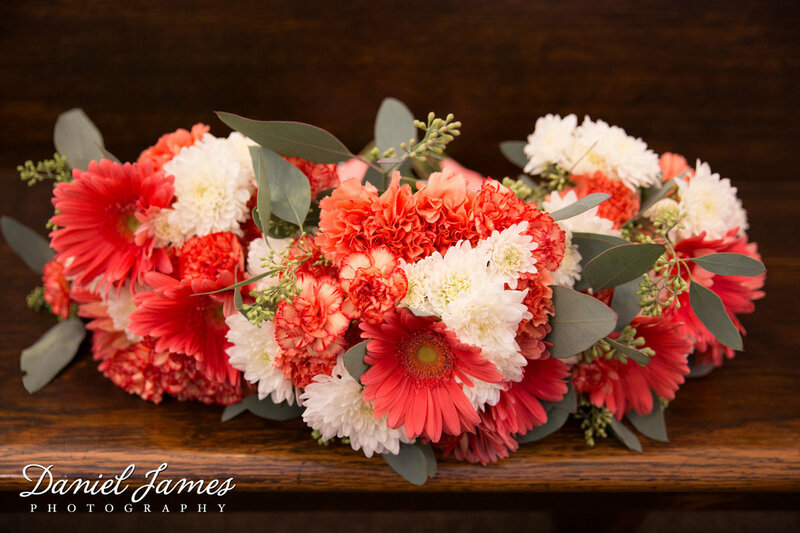 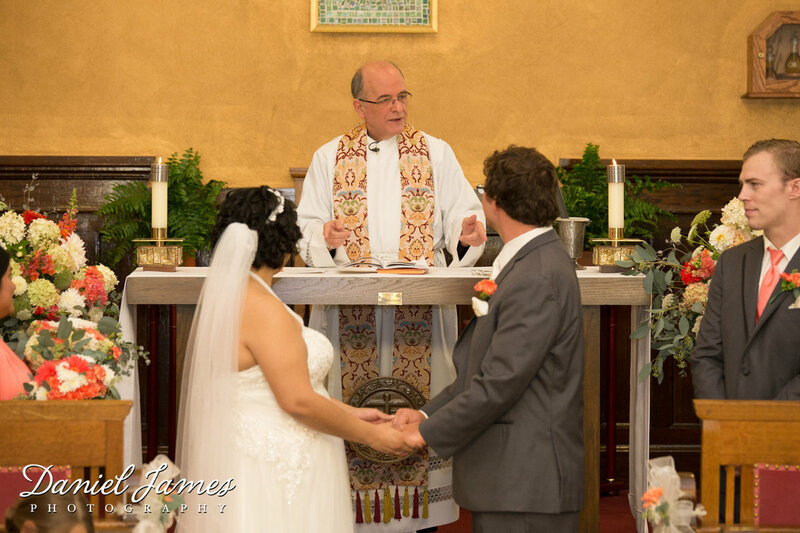 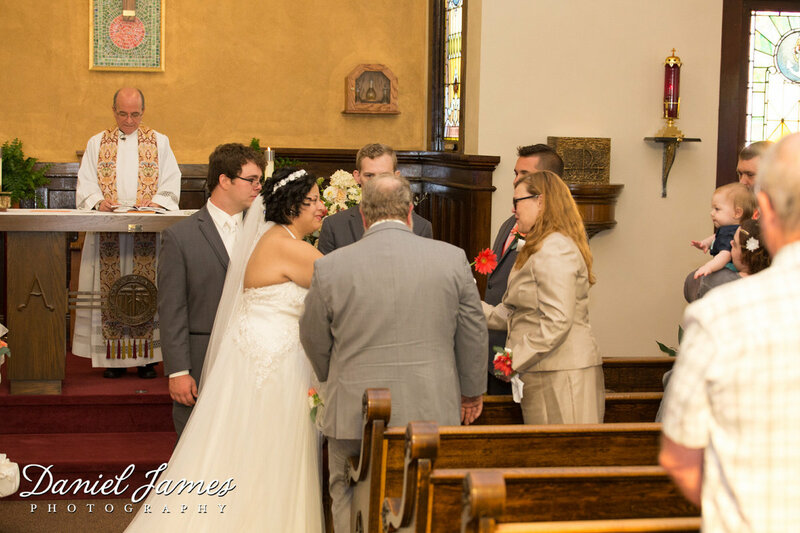 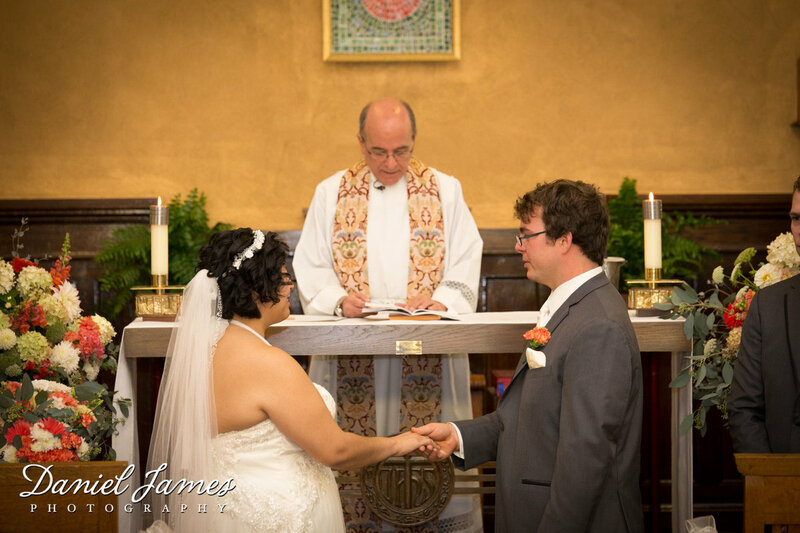 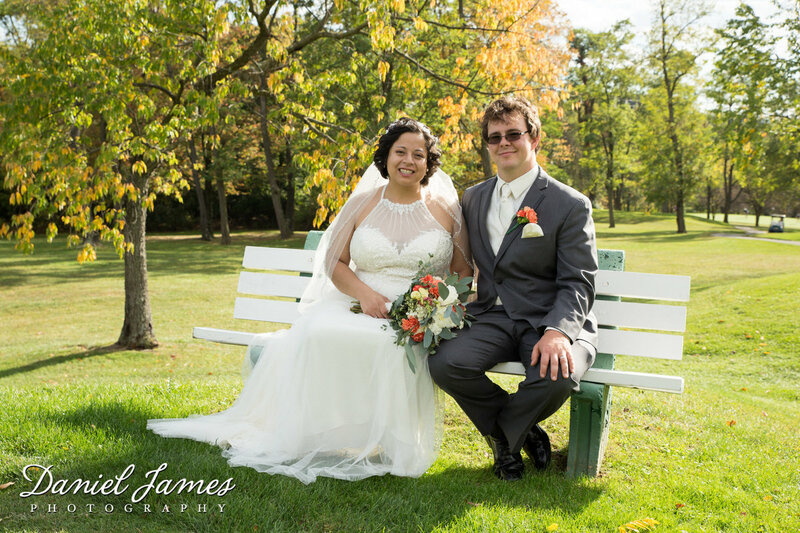 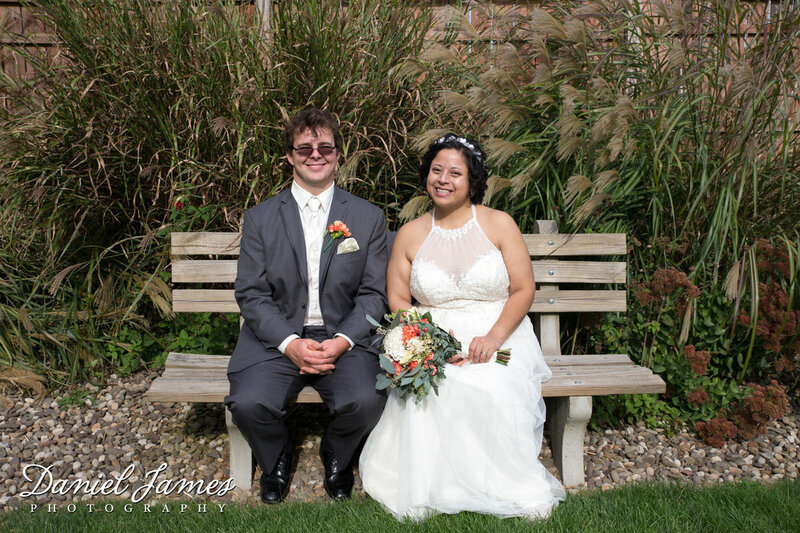 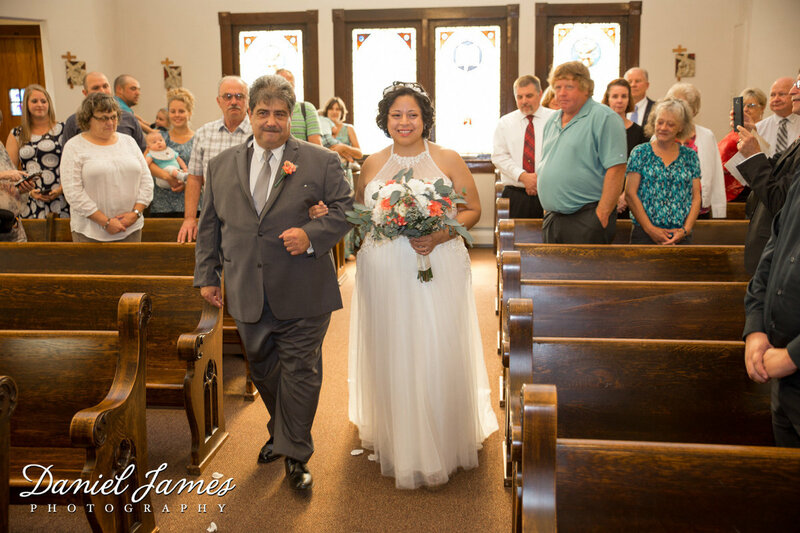 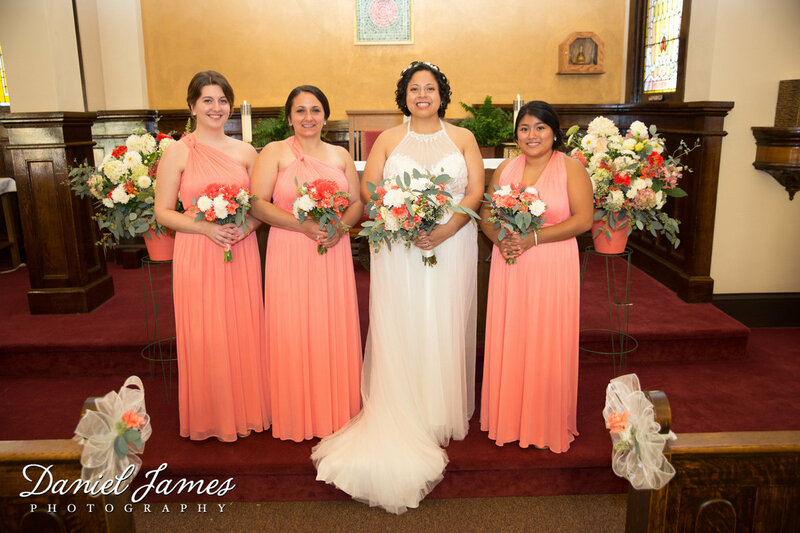 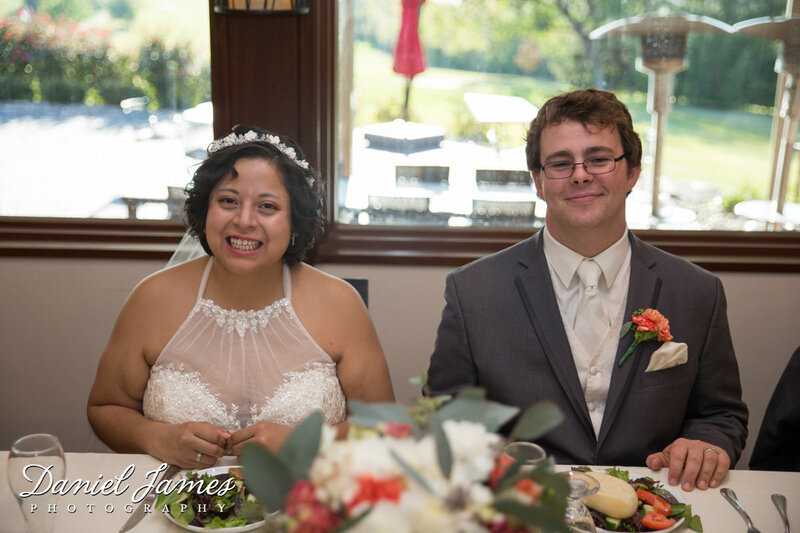 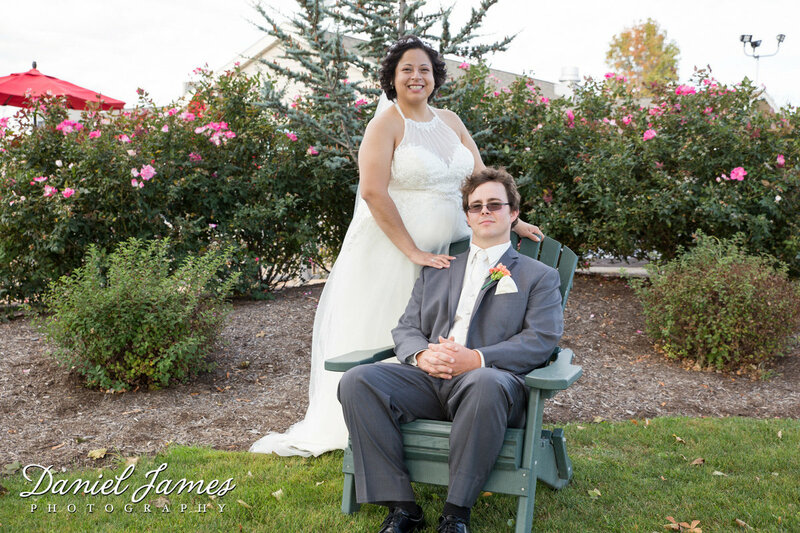 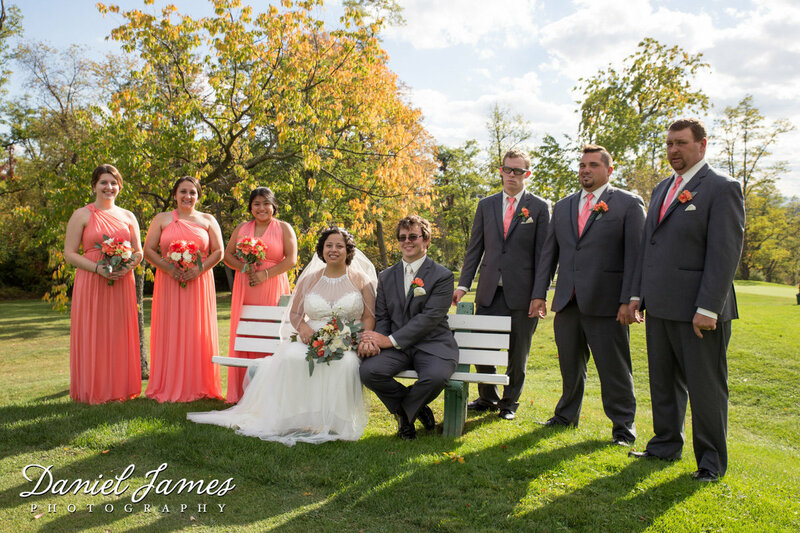 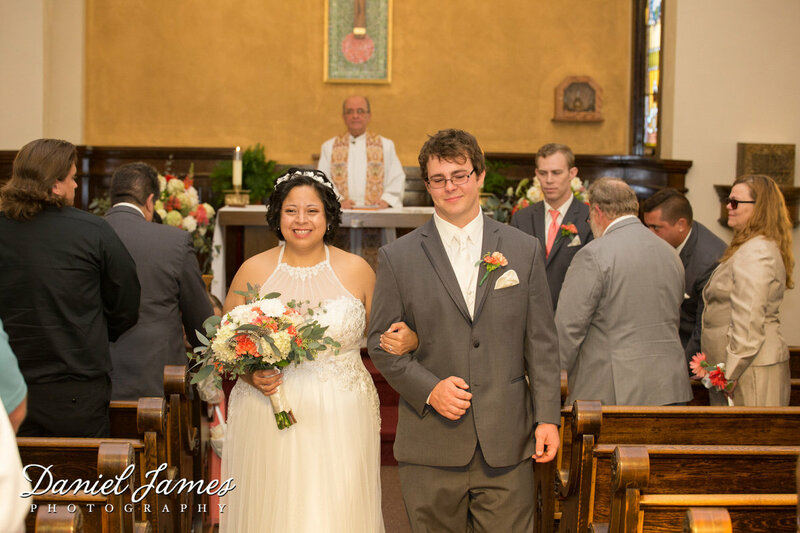 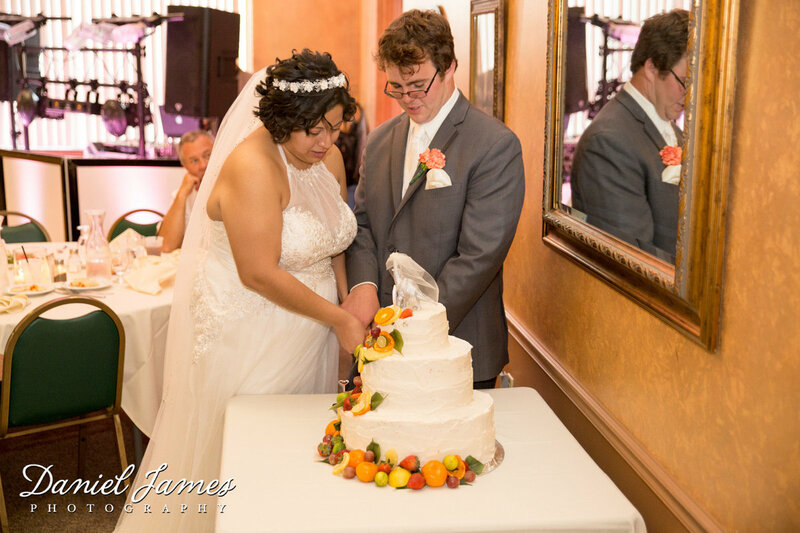 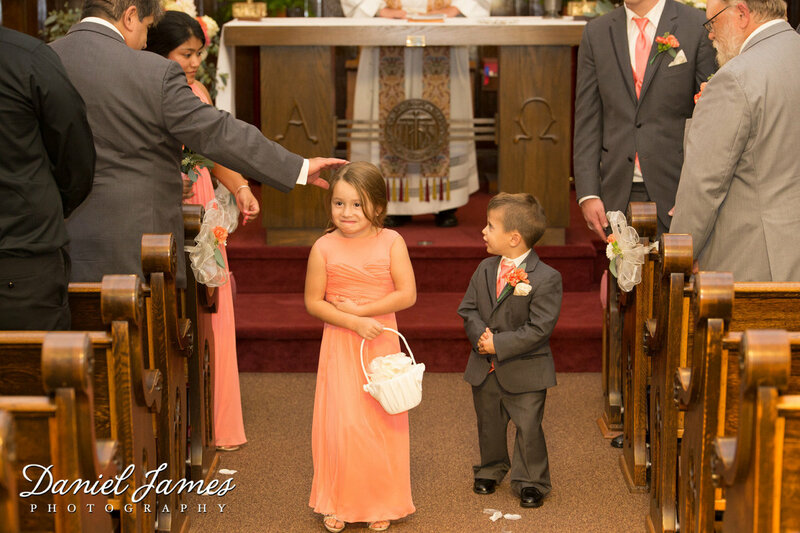 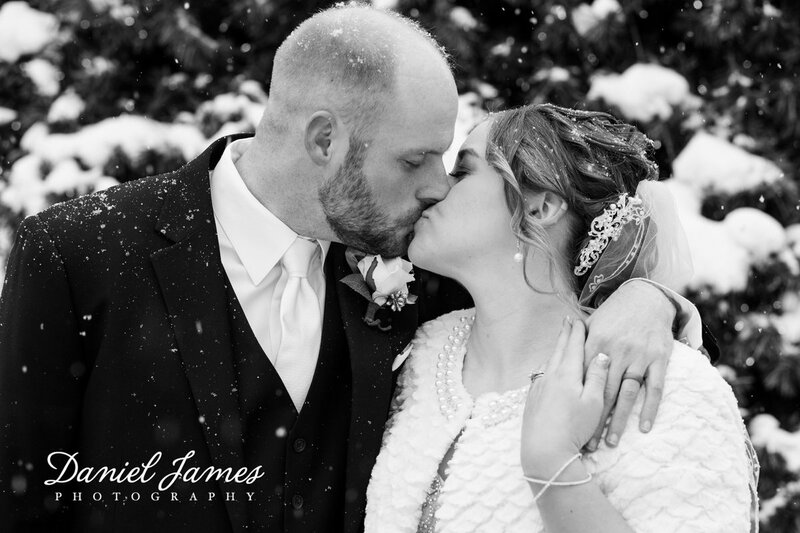 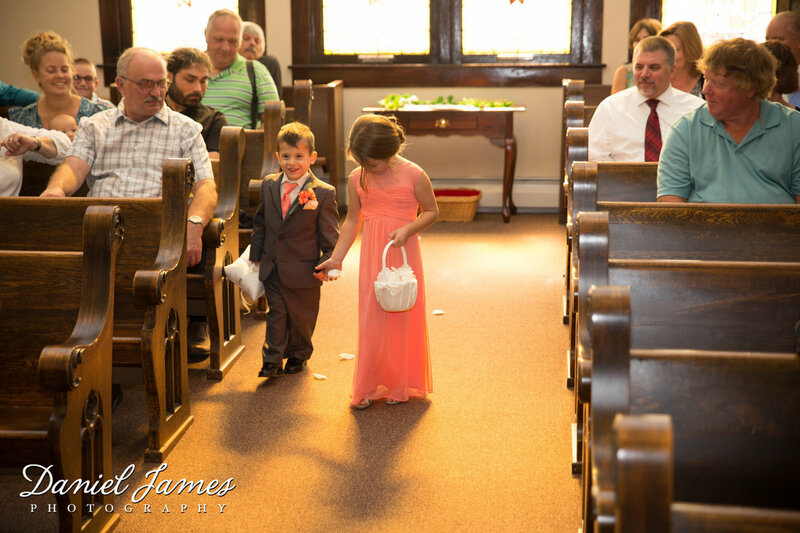 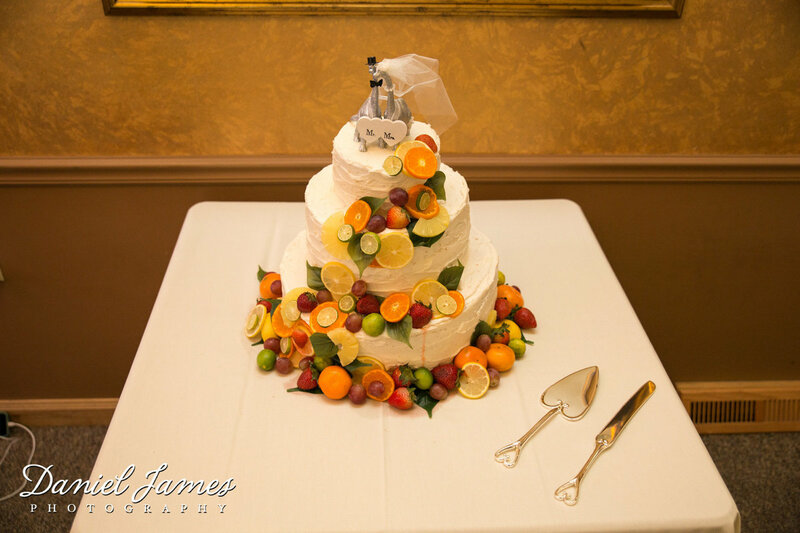 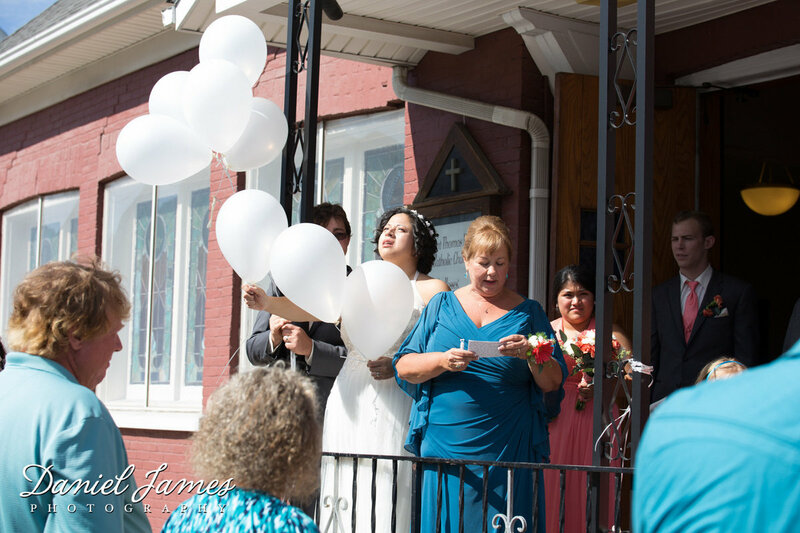 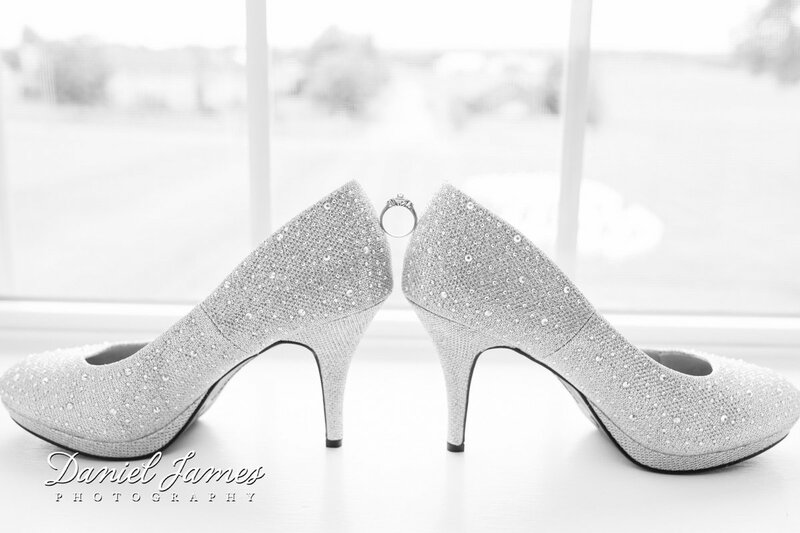 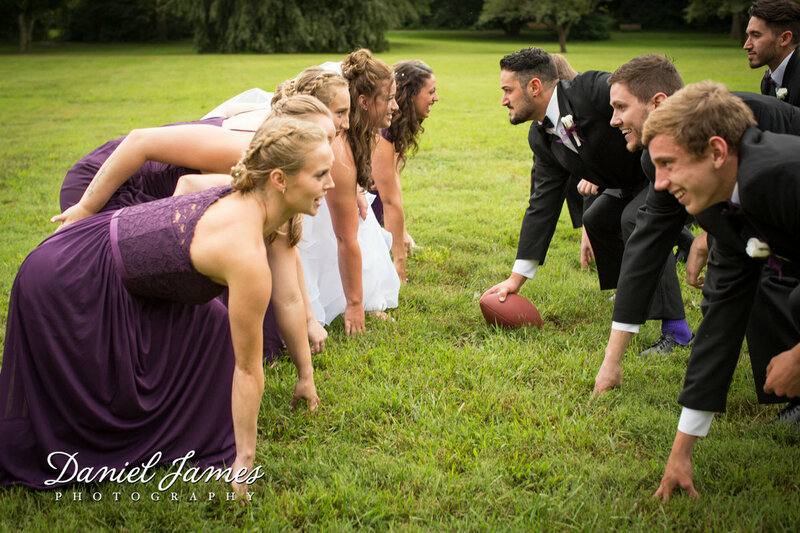 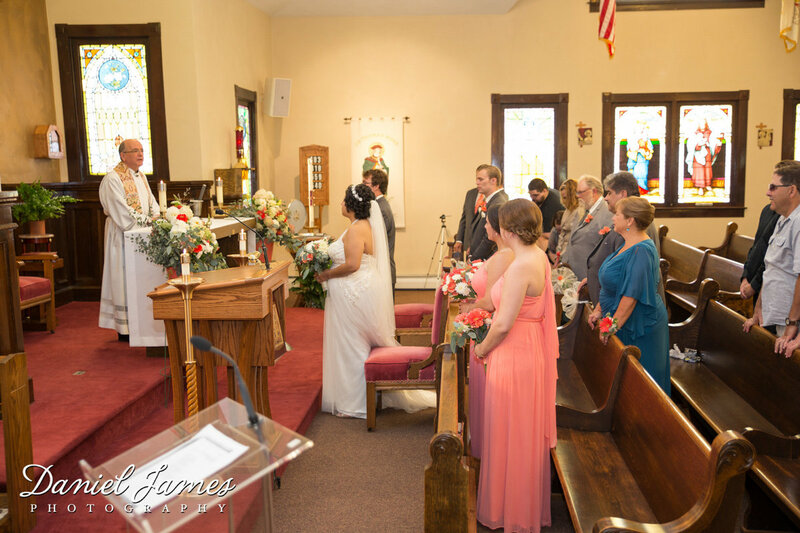 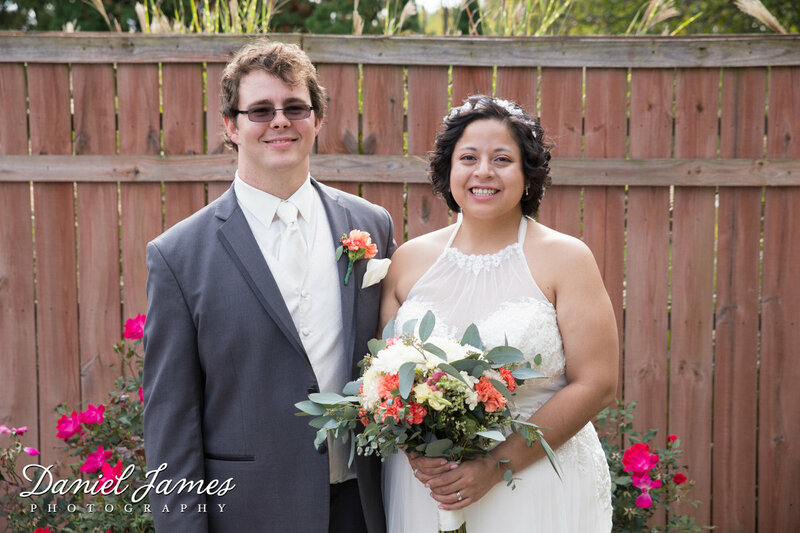 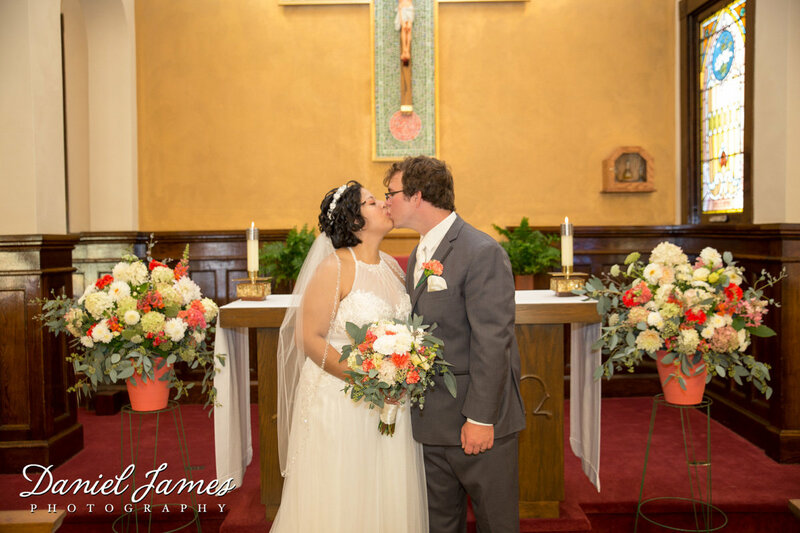 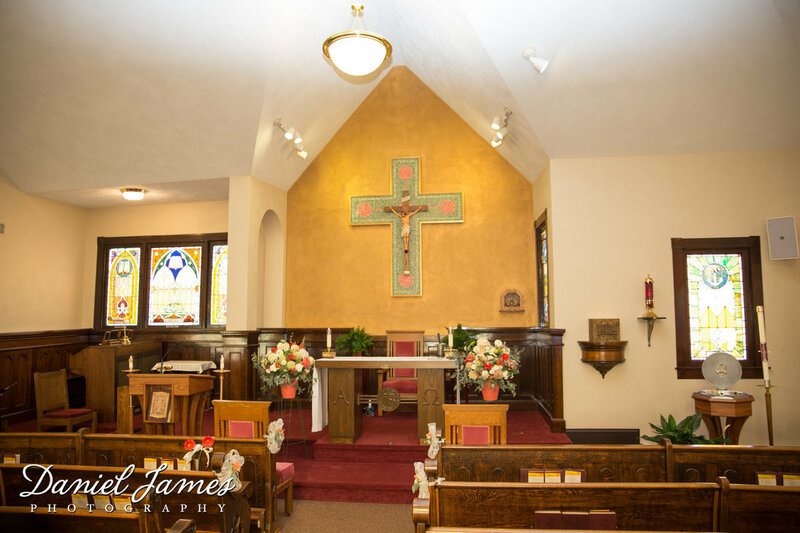 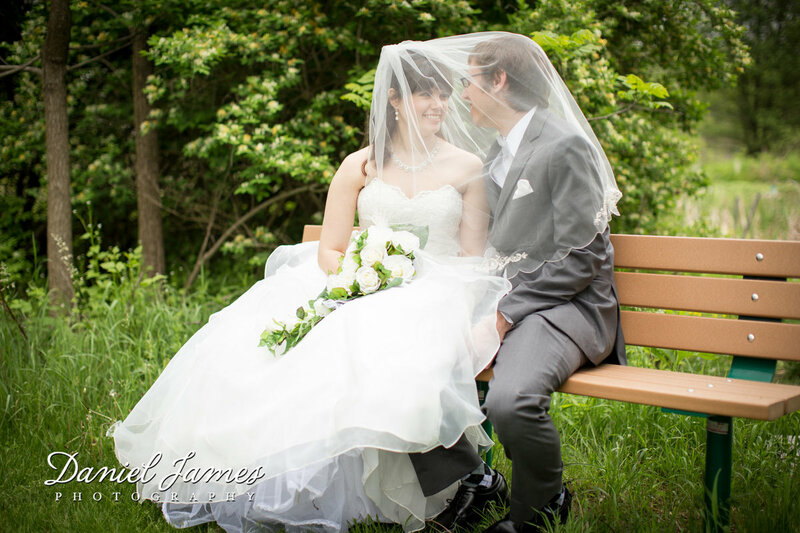 He is available as a 2nd photographer through Daniel James Photography, LLC. 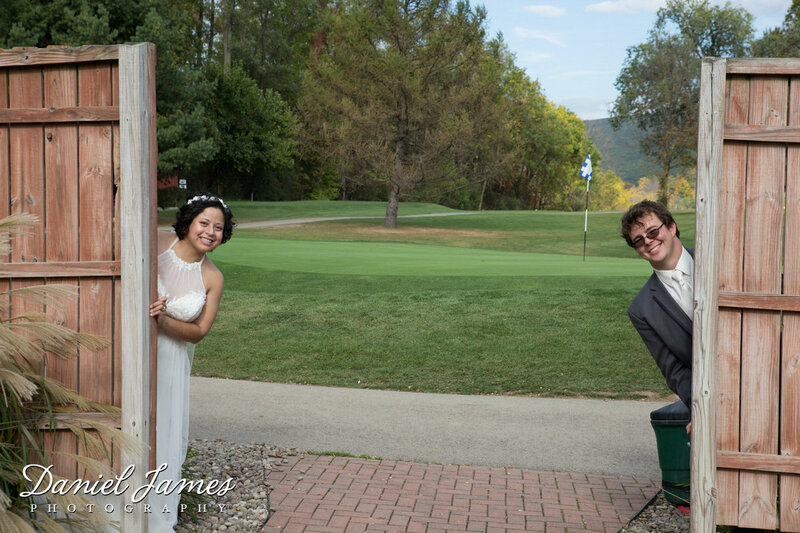 He also does wedding videography and photo booth services. 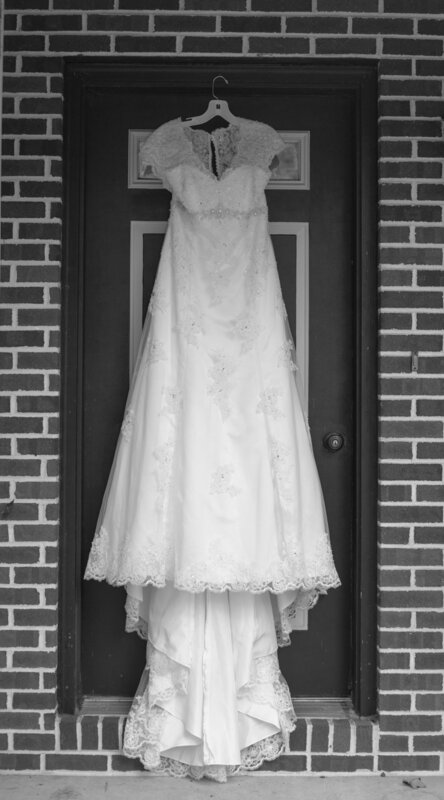 views and take of a situation and attempts incorporated that into his photography style. 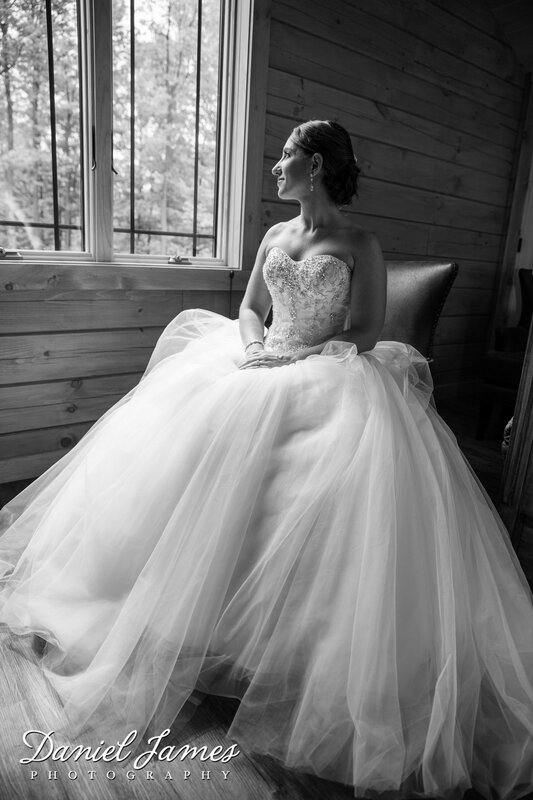 Through photography, Steve loves to capture the spirit and emotion of his subject, while not losing the compliments of the surroundings and local flair. 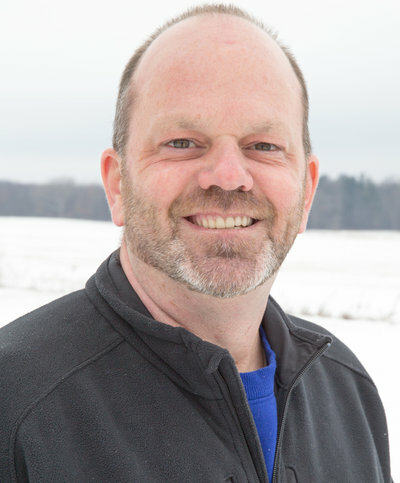 When not working, Steve enjoys hiking, mountain biking, and most anything outdoors. 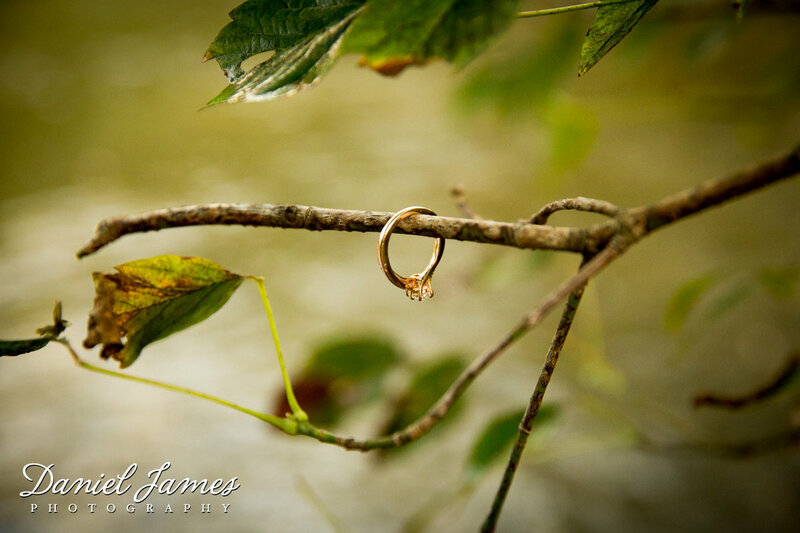 He is available as a 2nd photographer through Daniel James Photography, LLC. 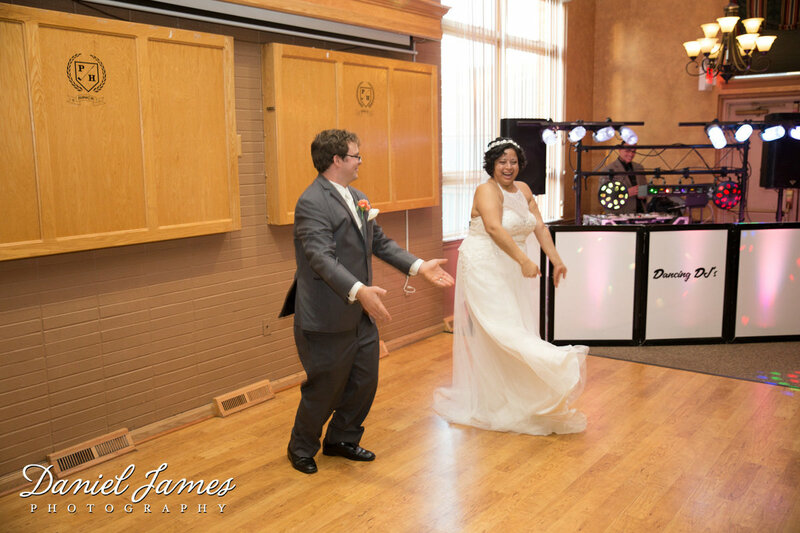 He also does wedding videography and photo booth services. 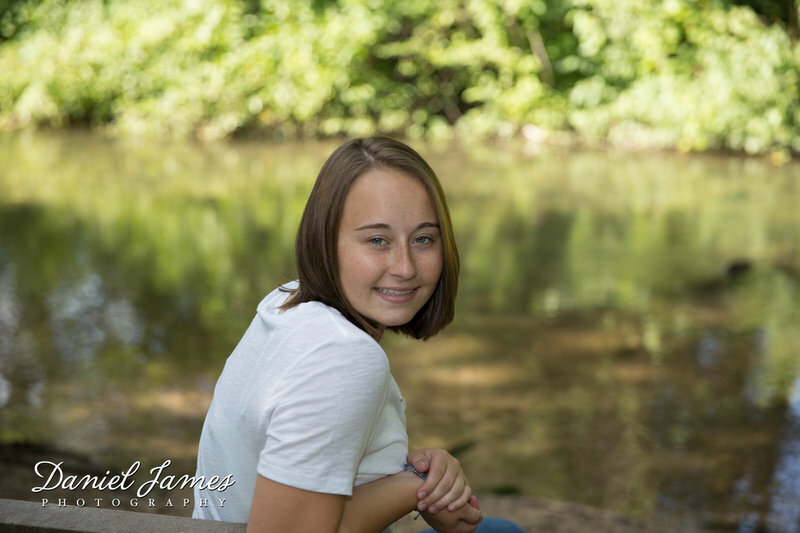 nature and family photography. 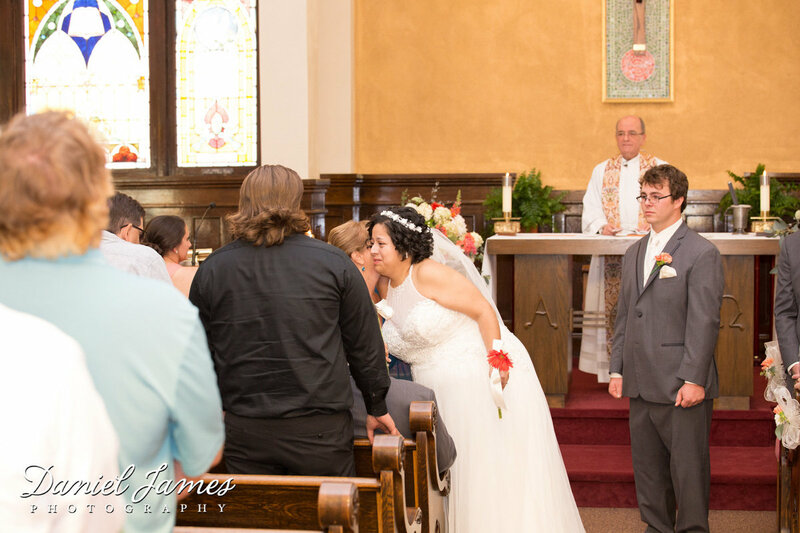 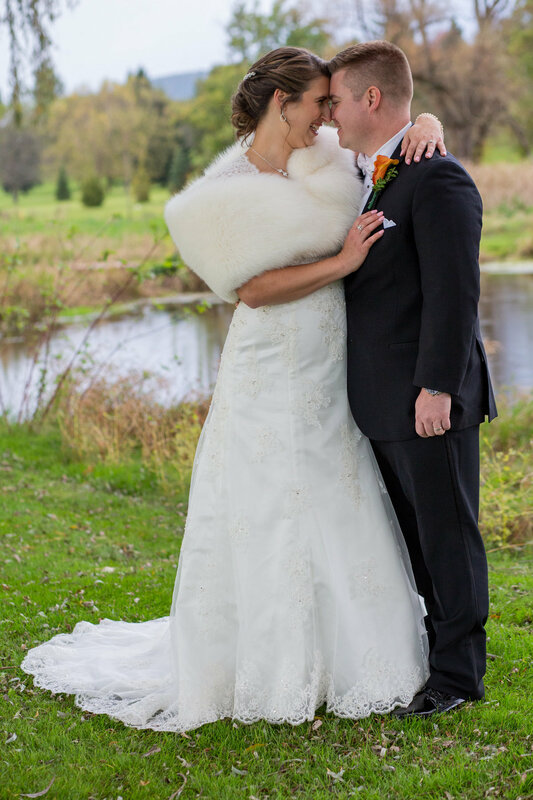 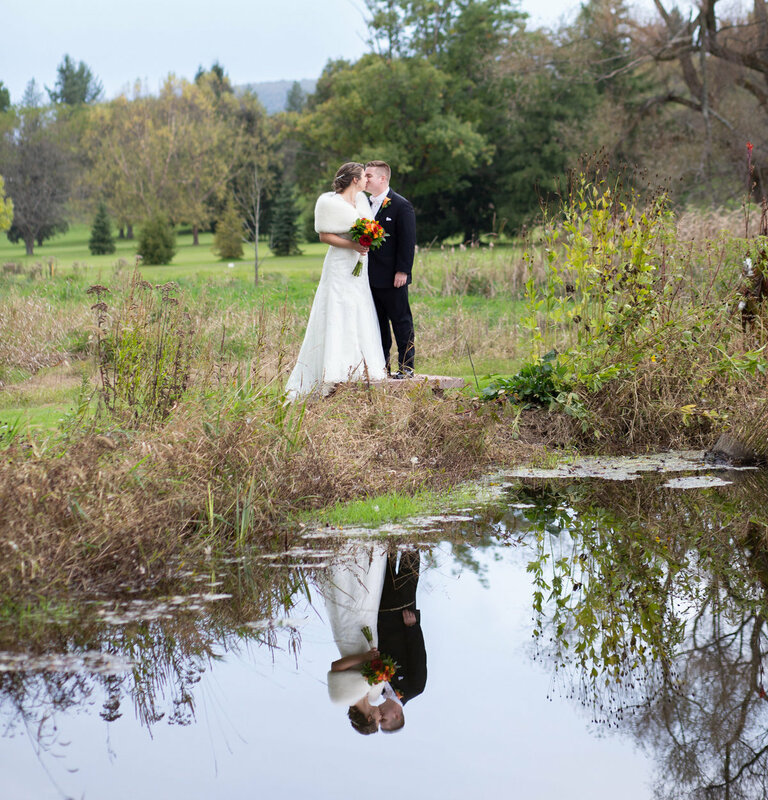 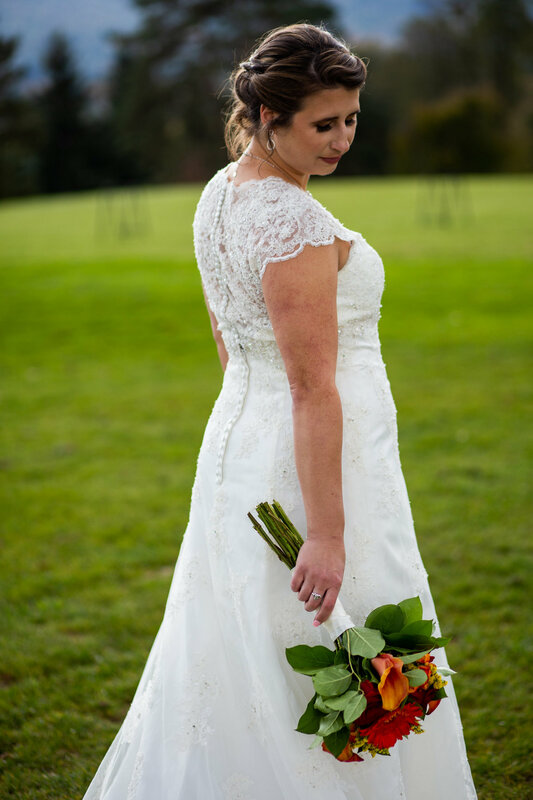 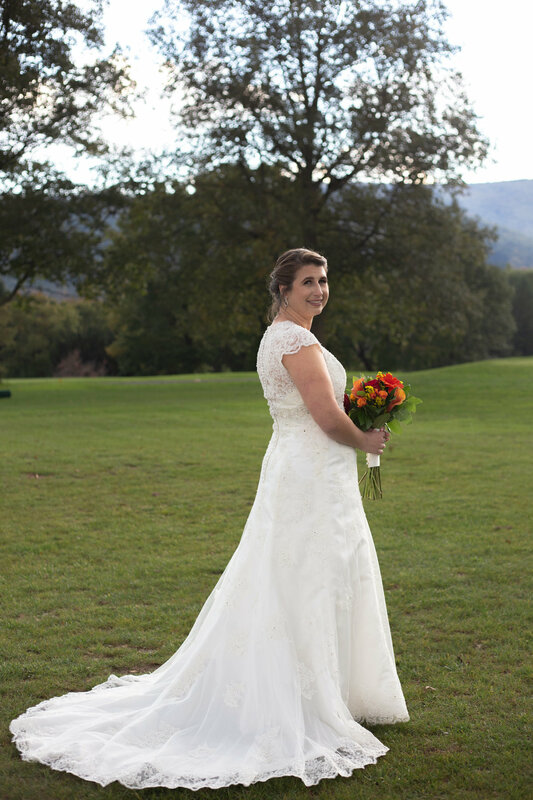 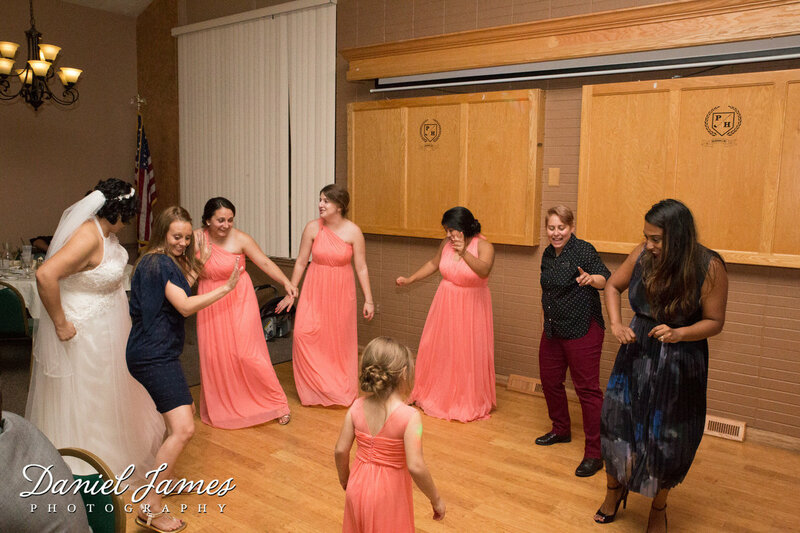 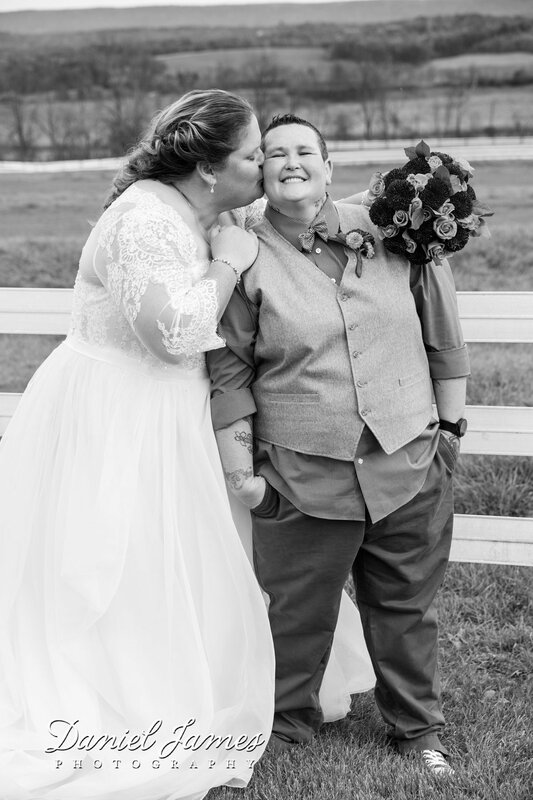 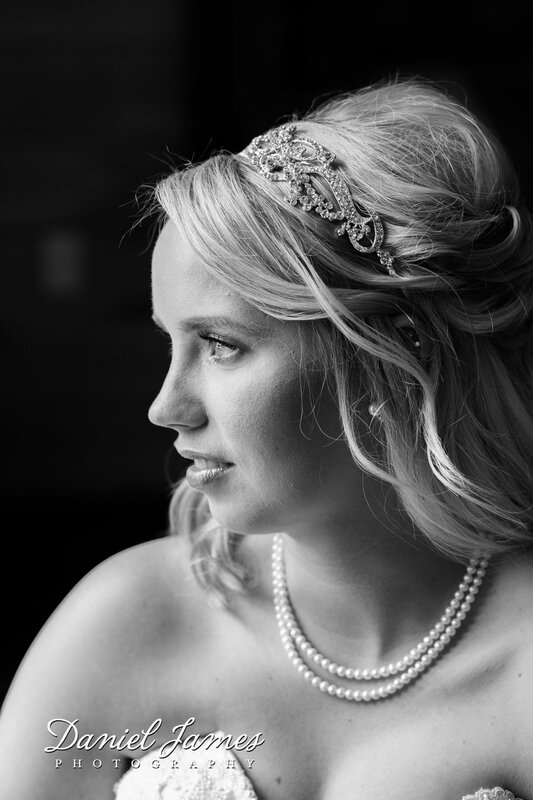 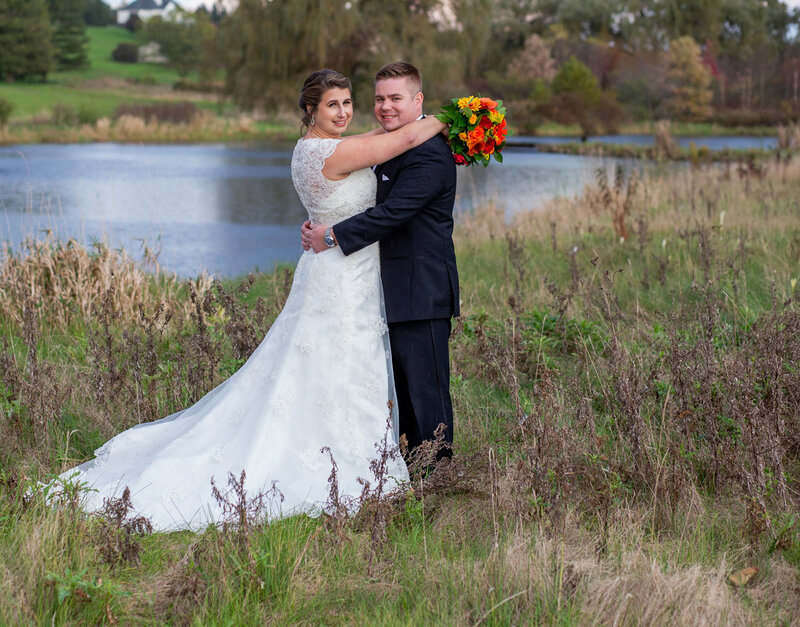 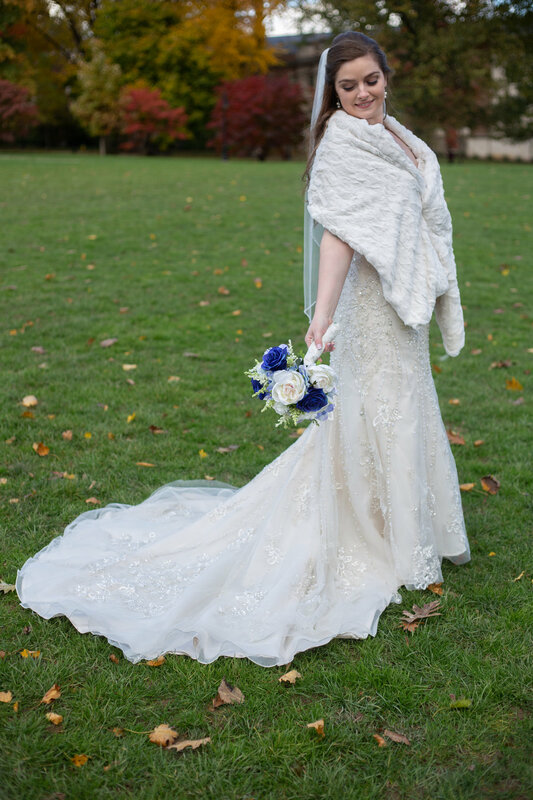 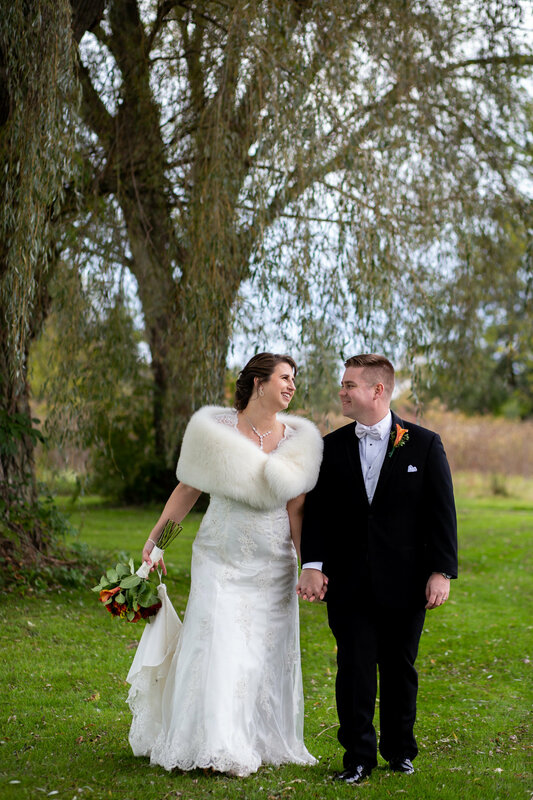 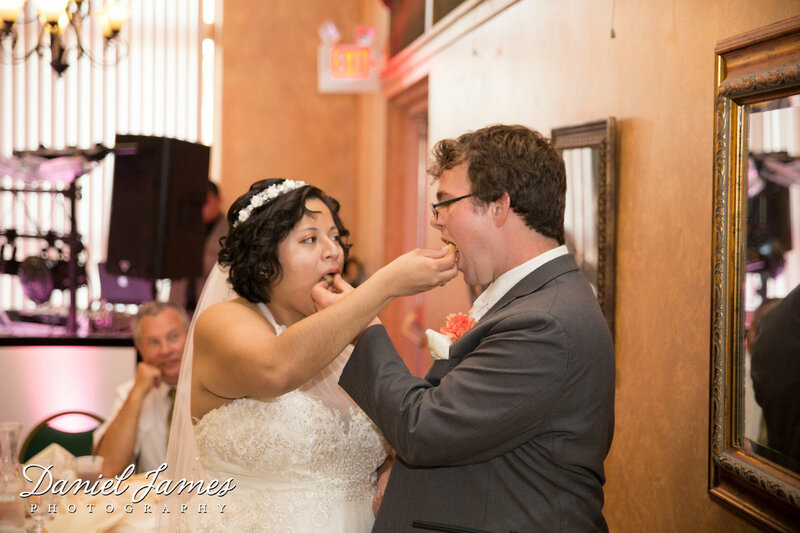 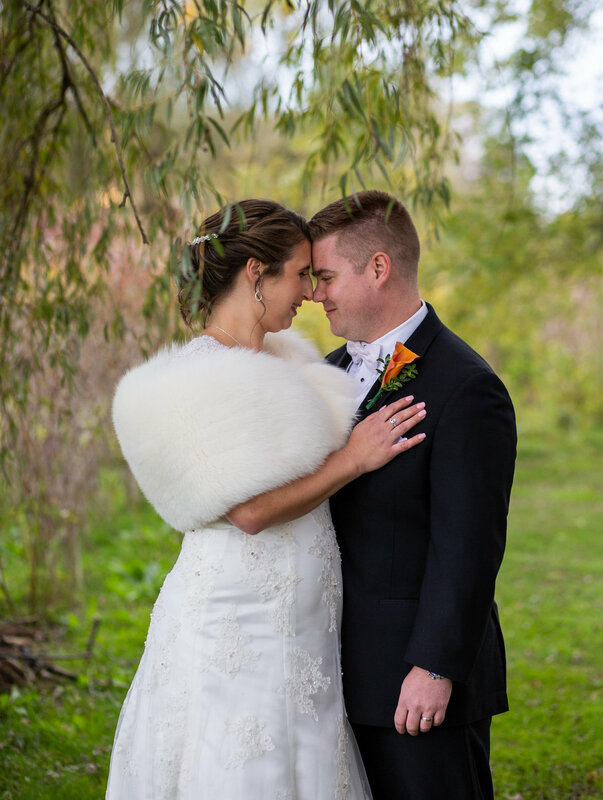 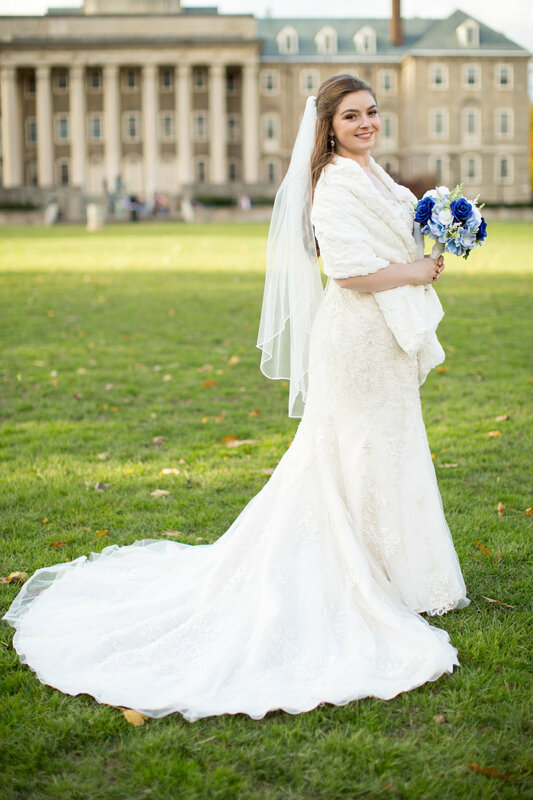 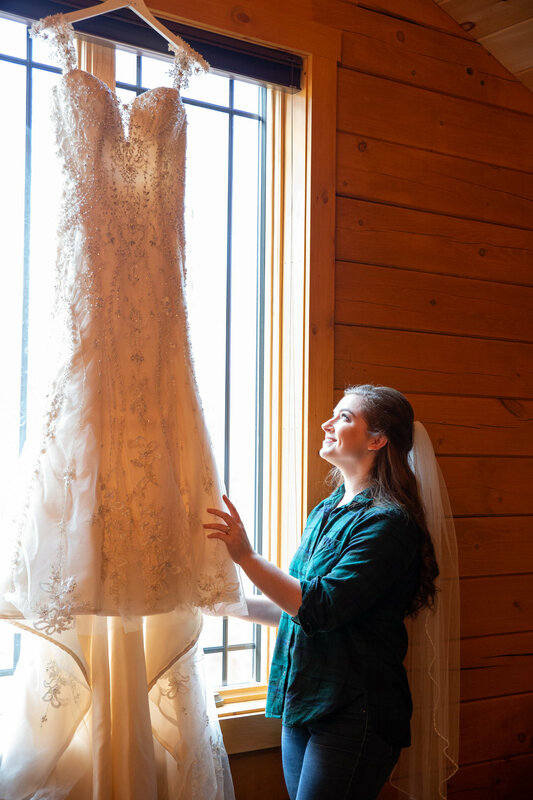 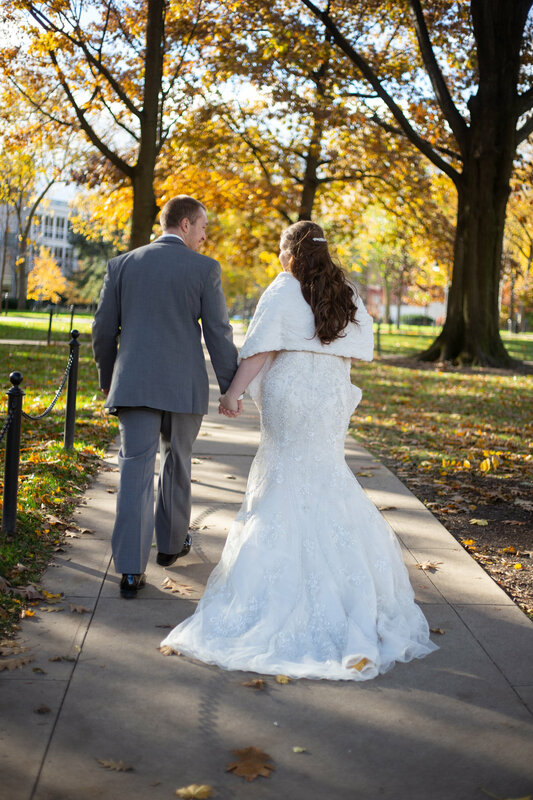 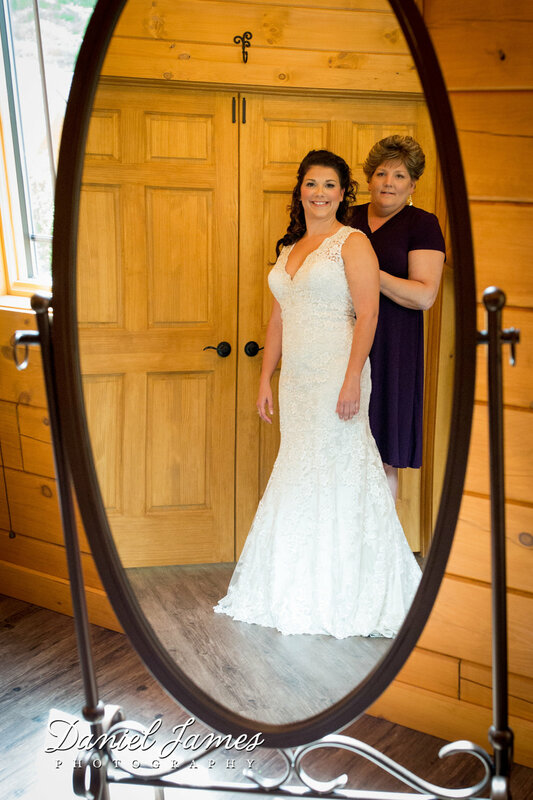 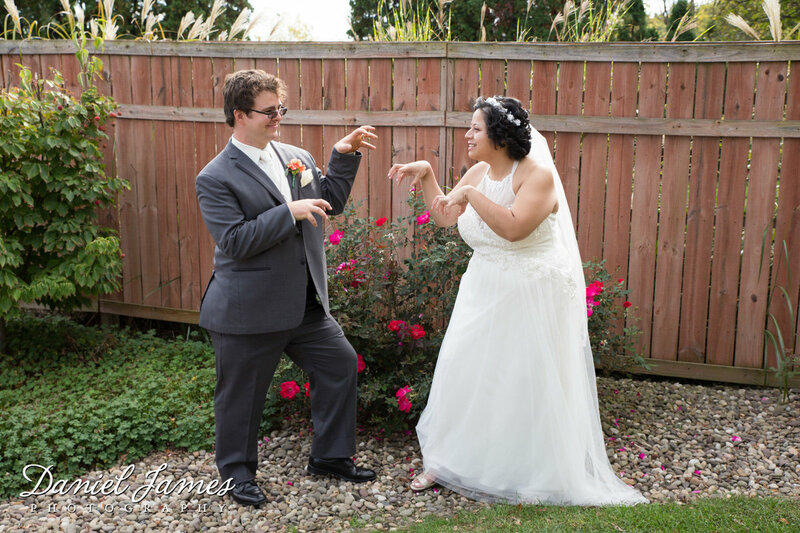 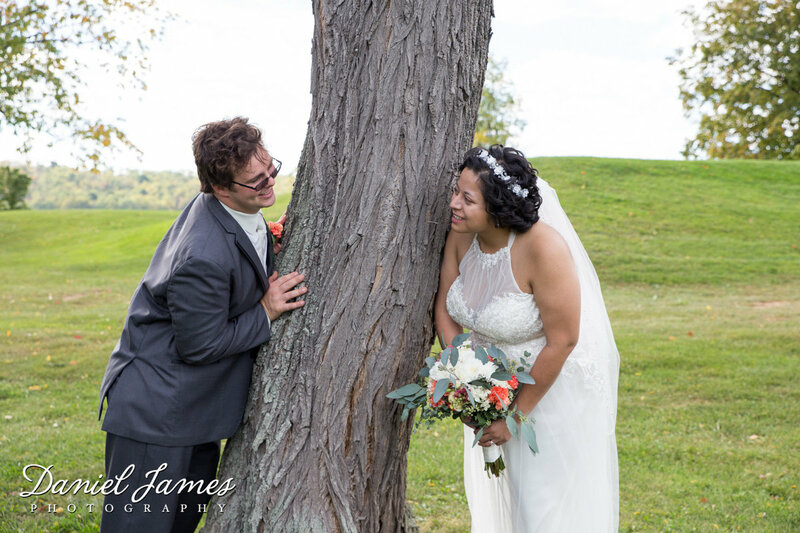 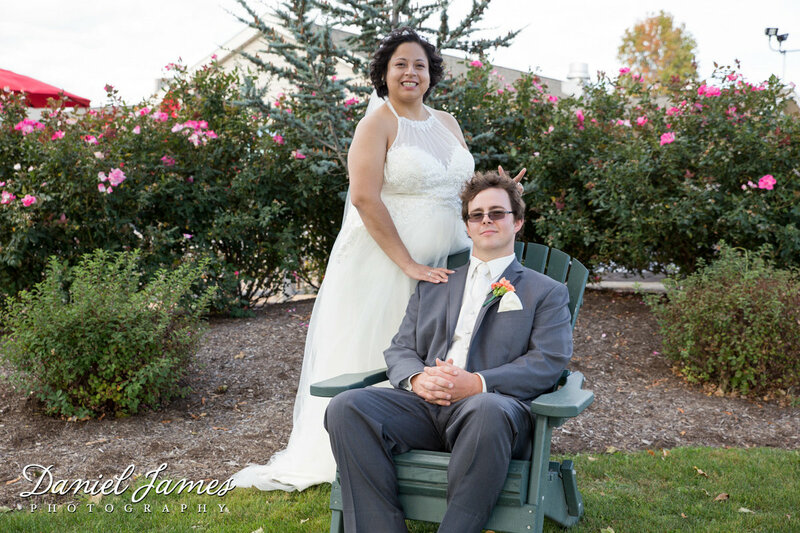 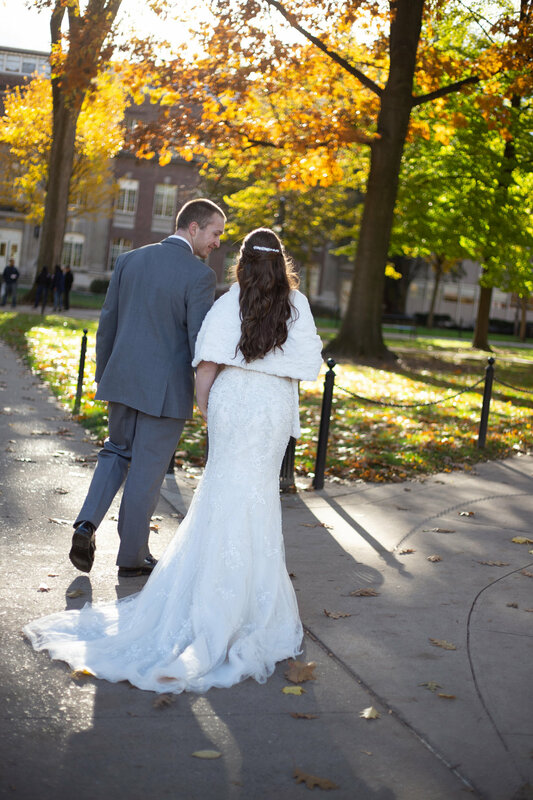 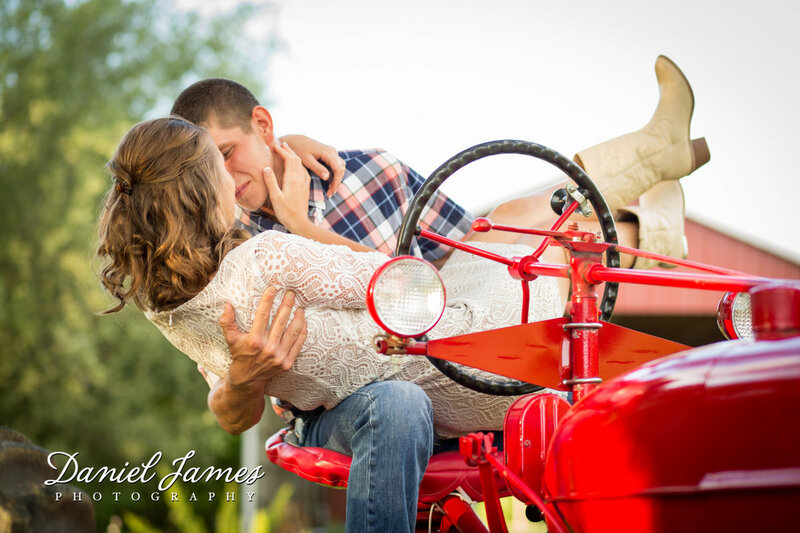 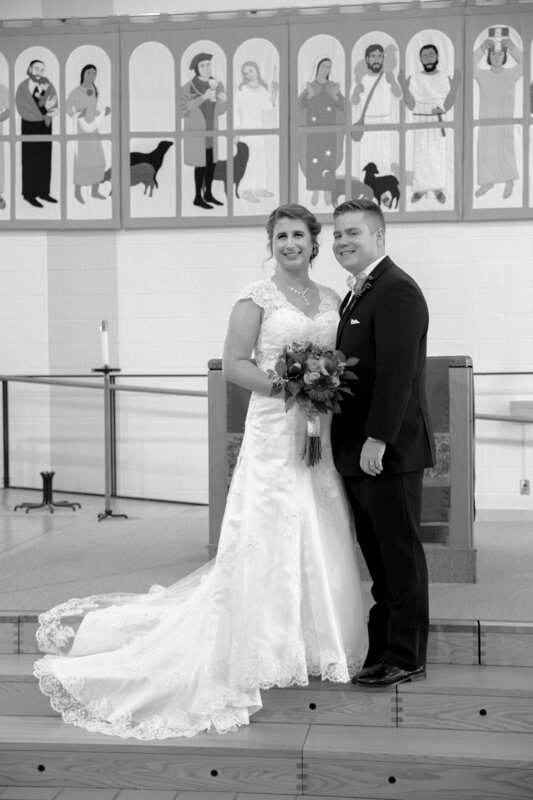 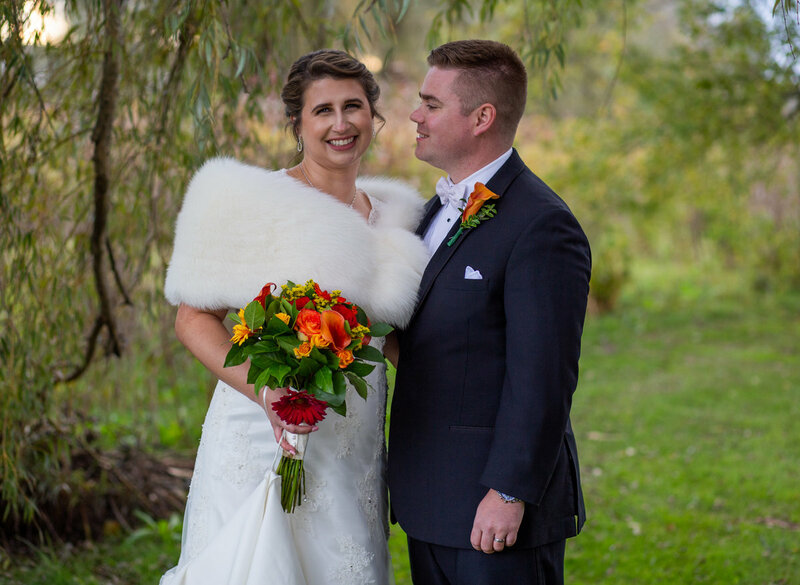 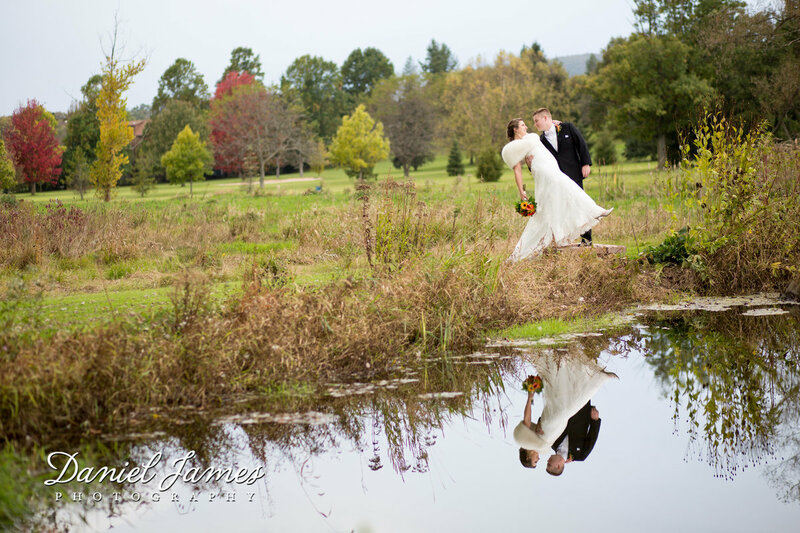 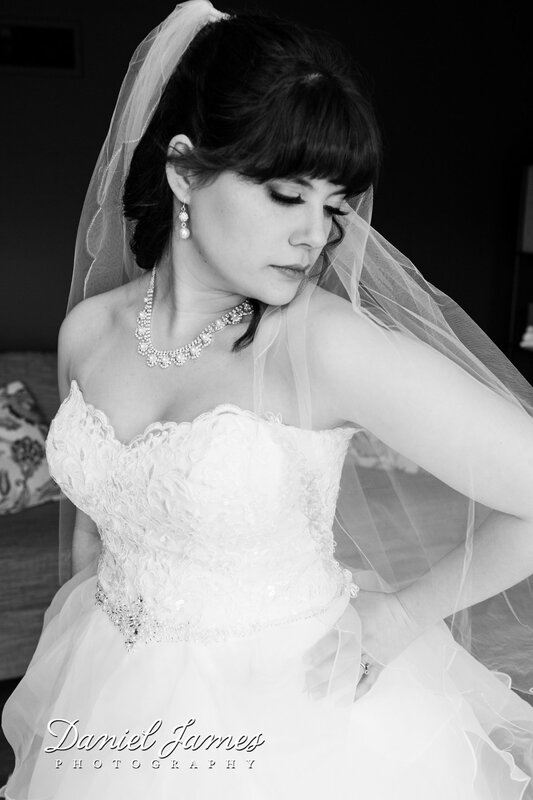 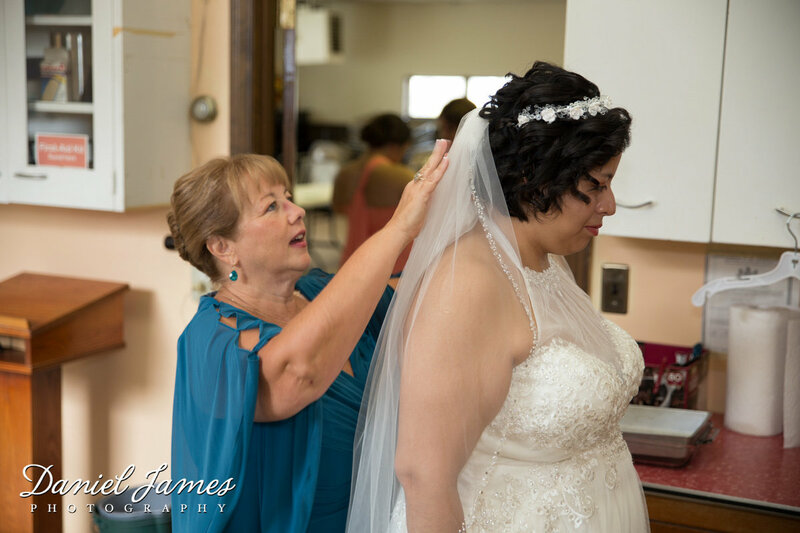 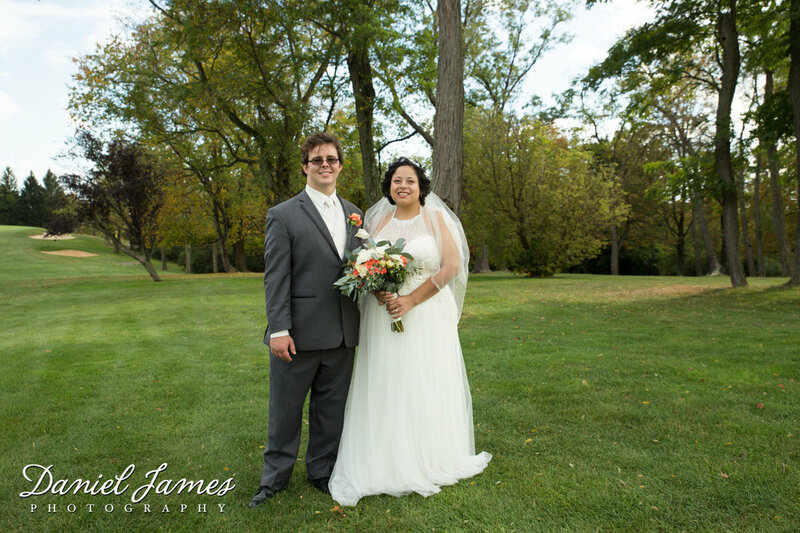 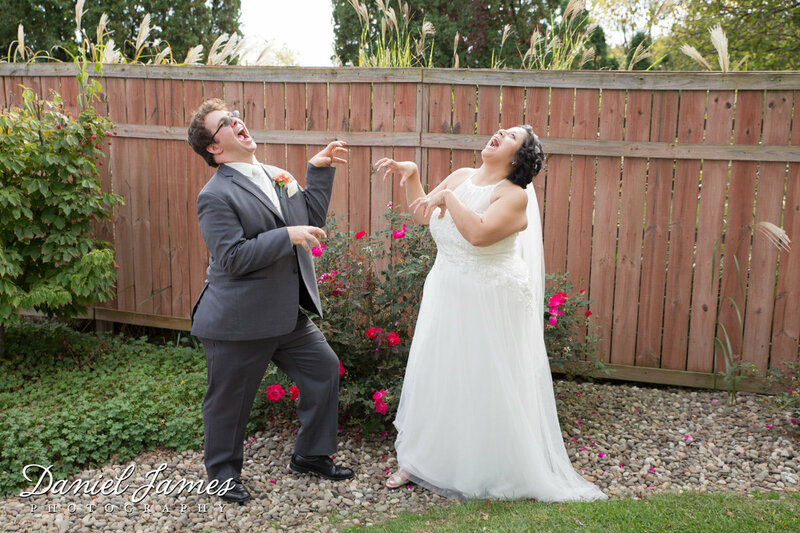 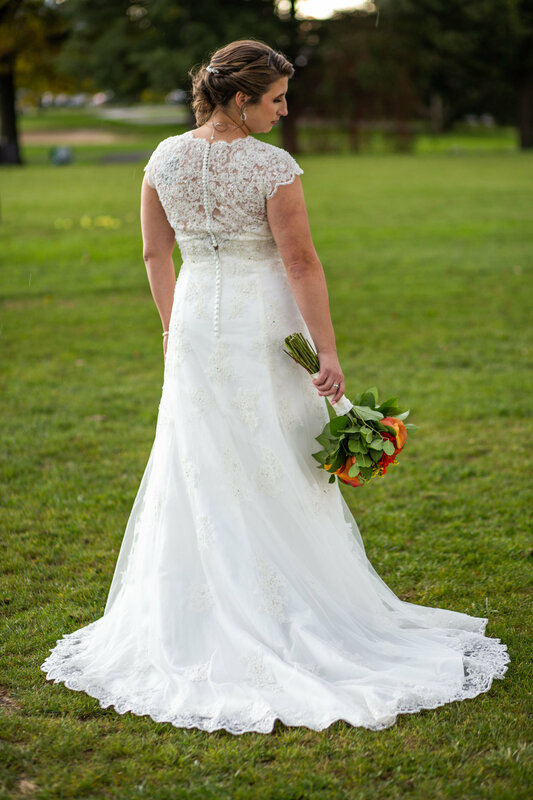 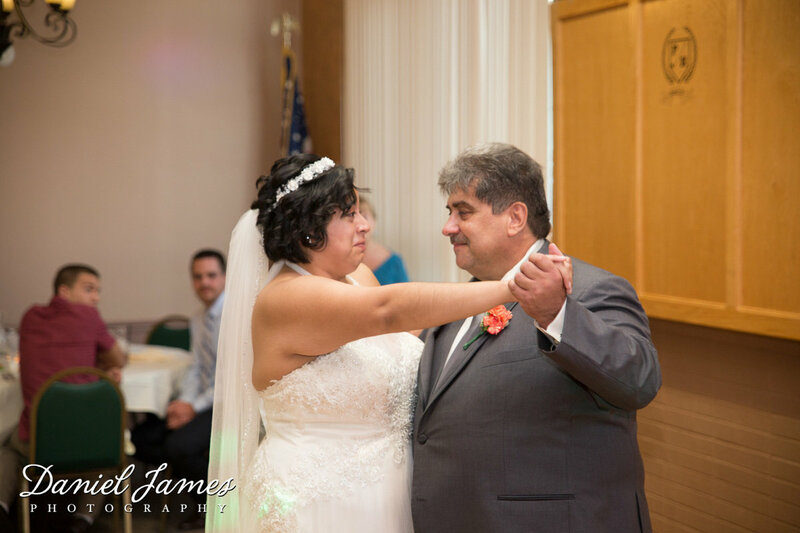 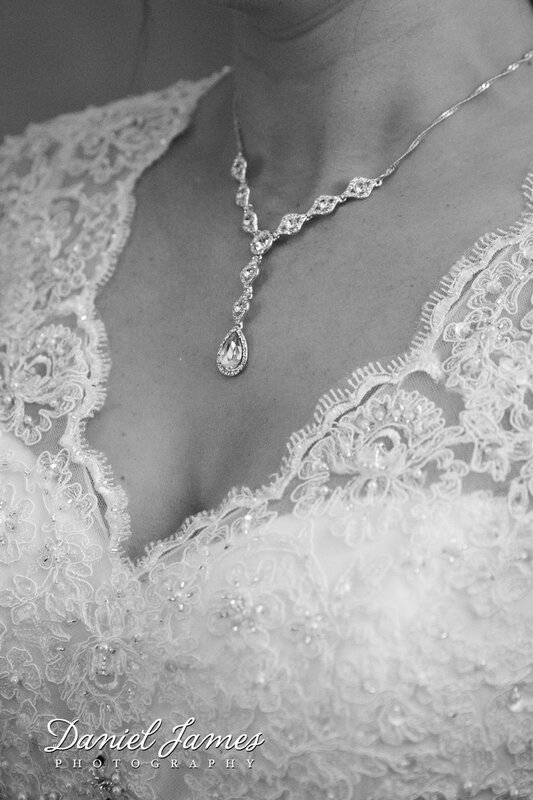 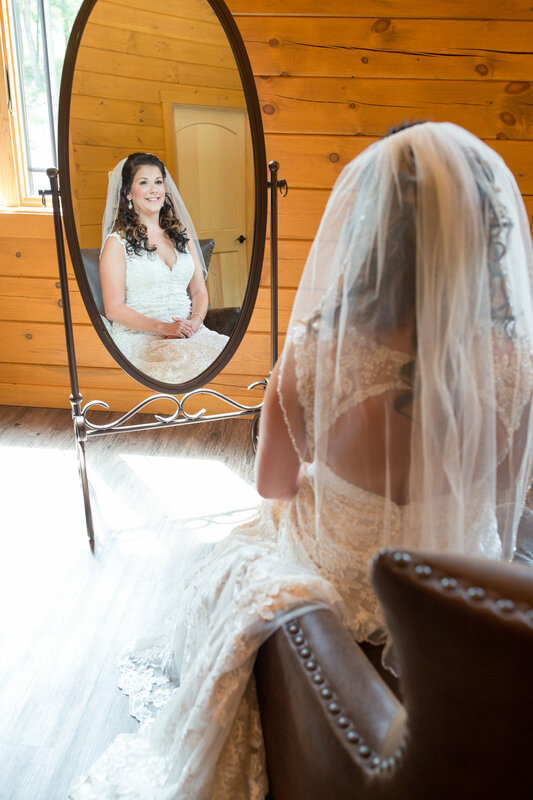 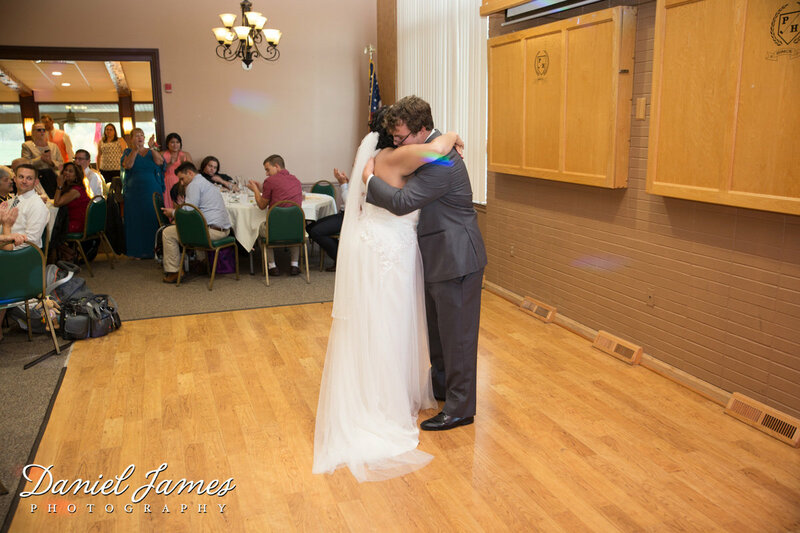 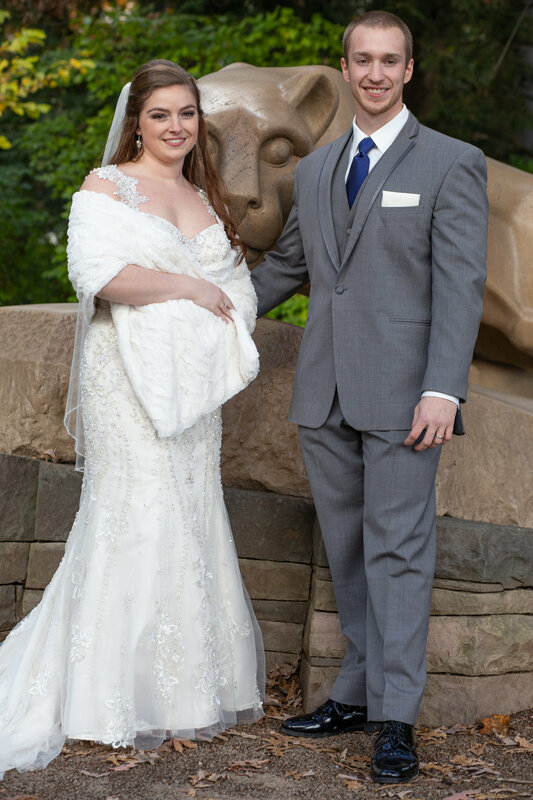 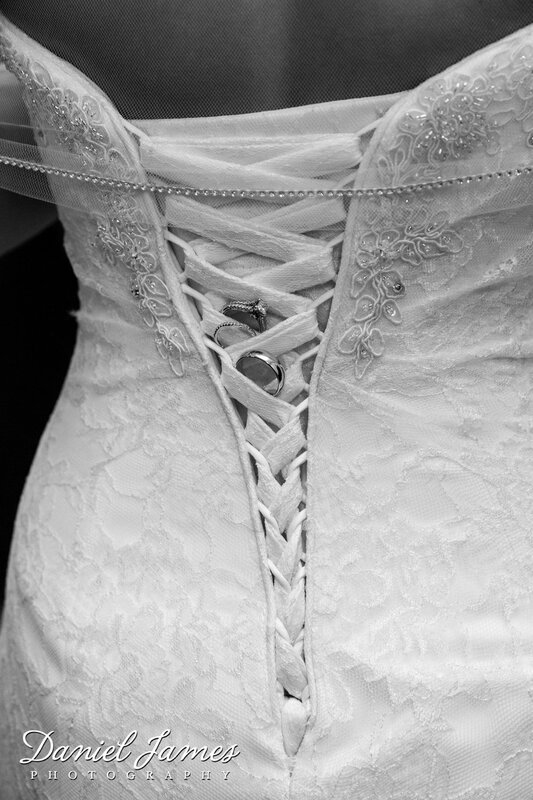 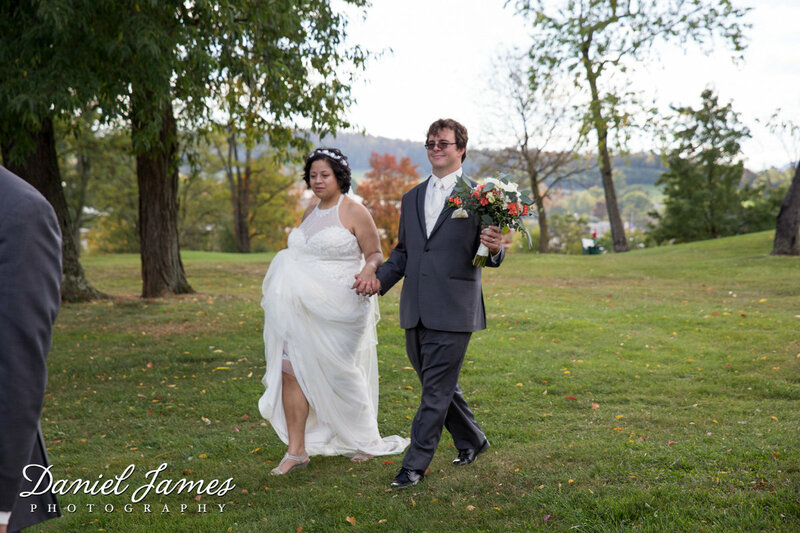 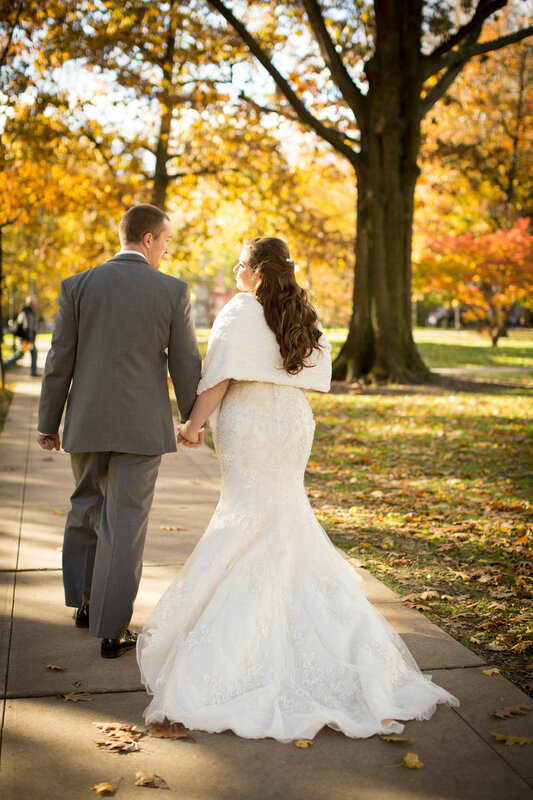 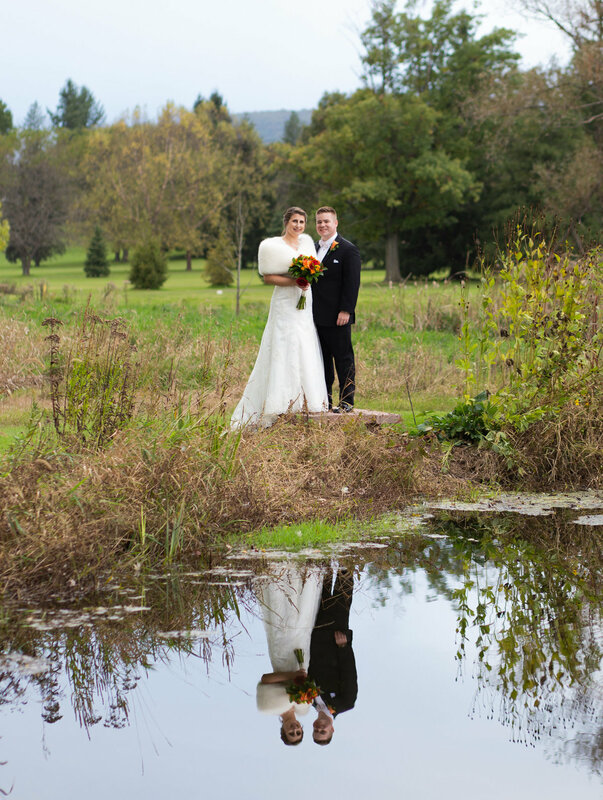 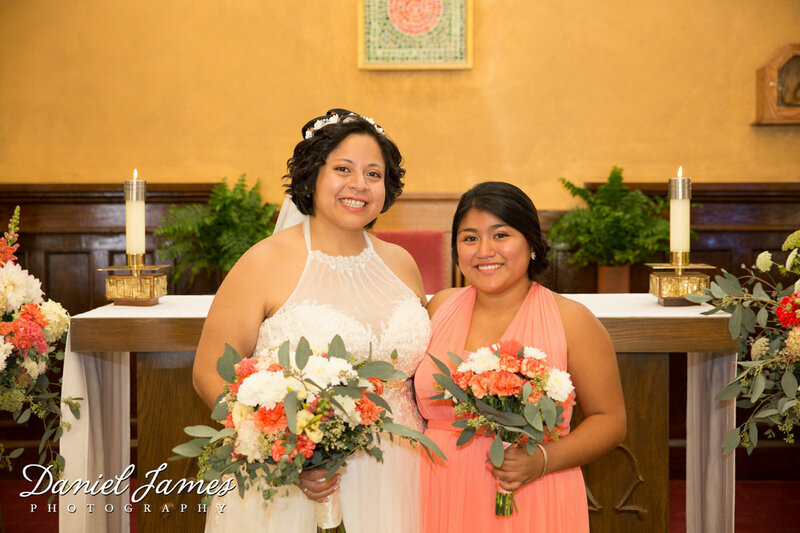 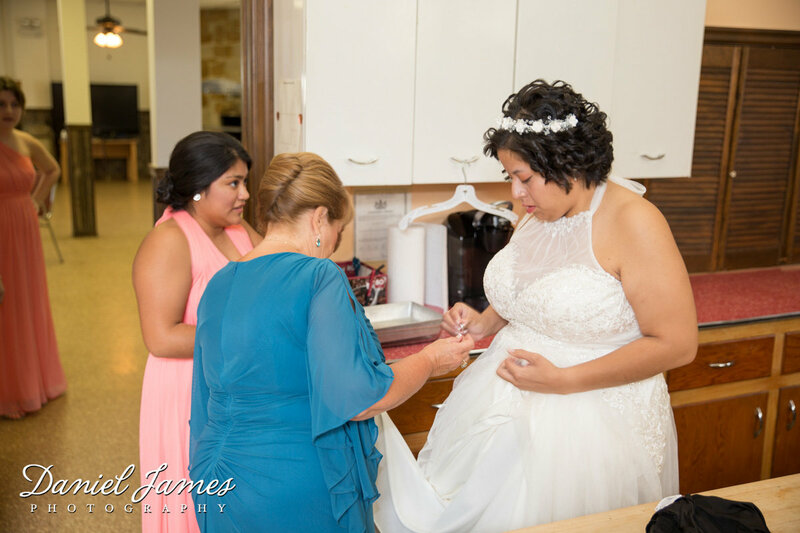 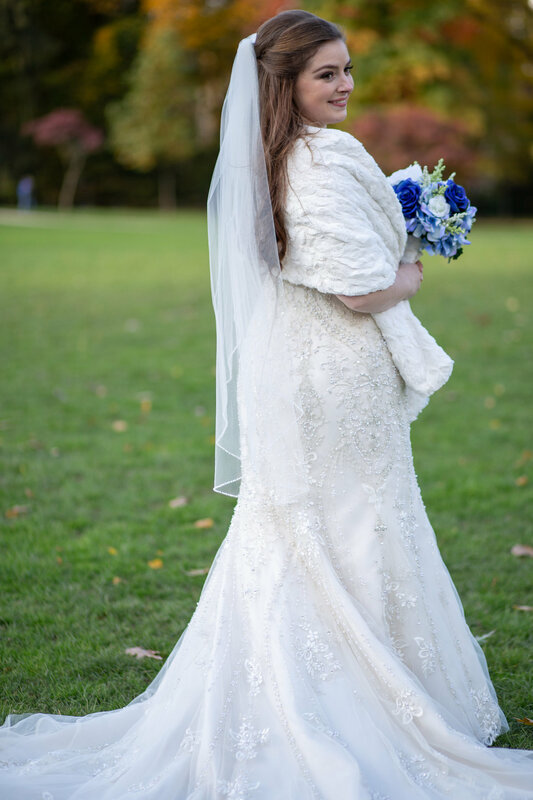 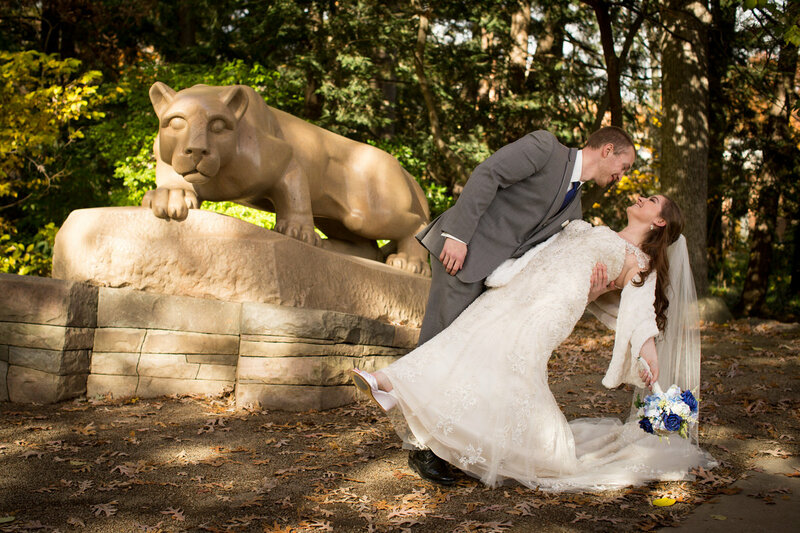 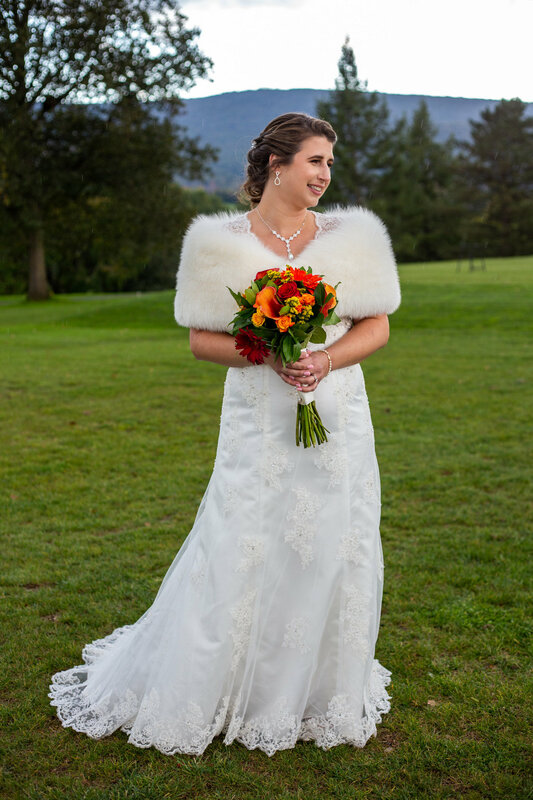 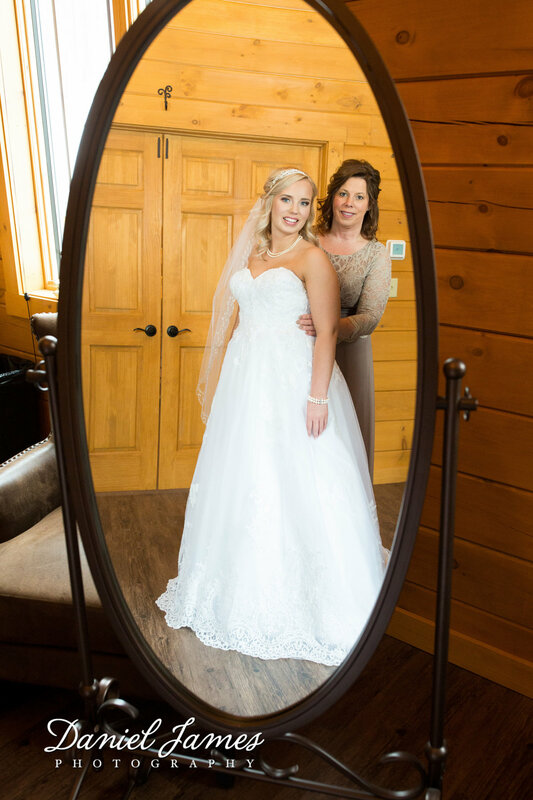 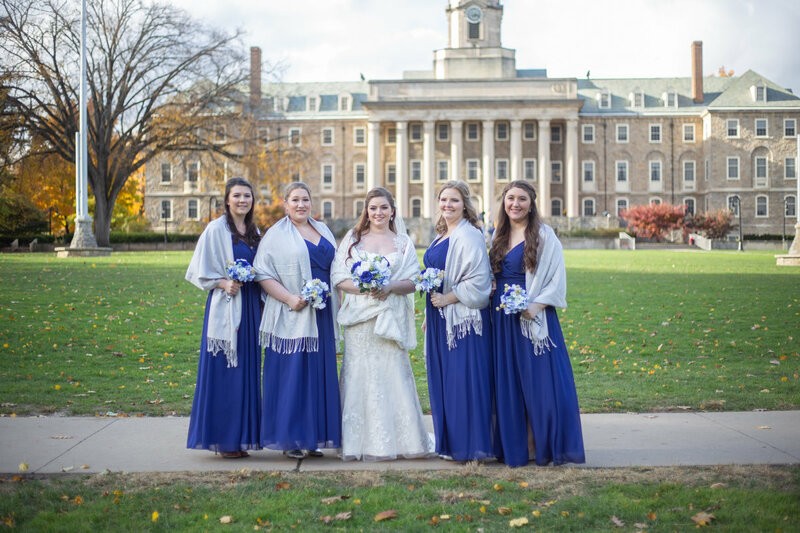 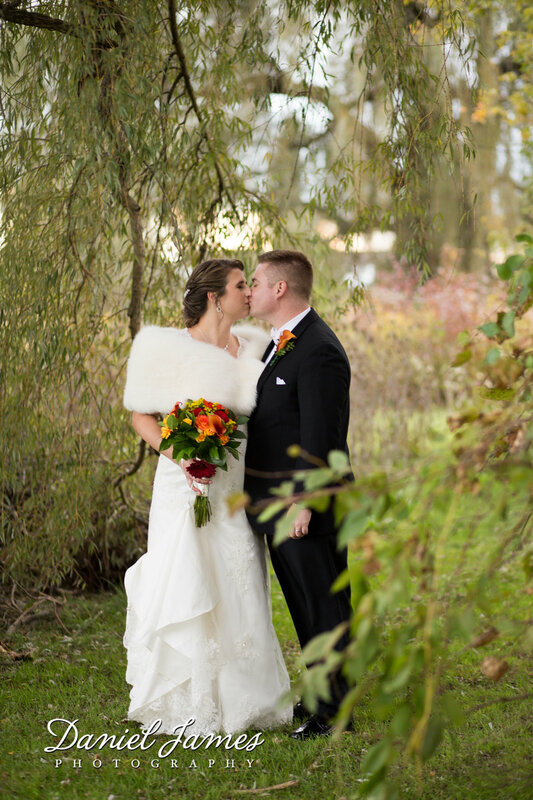 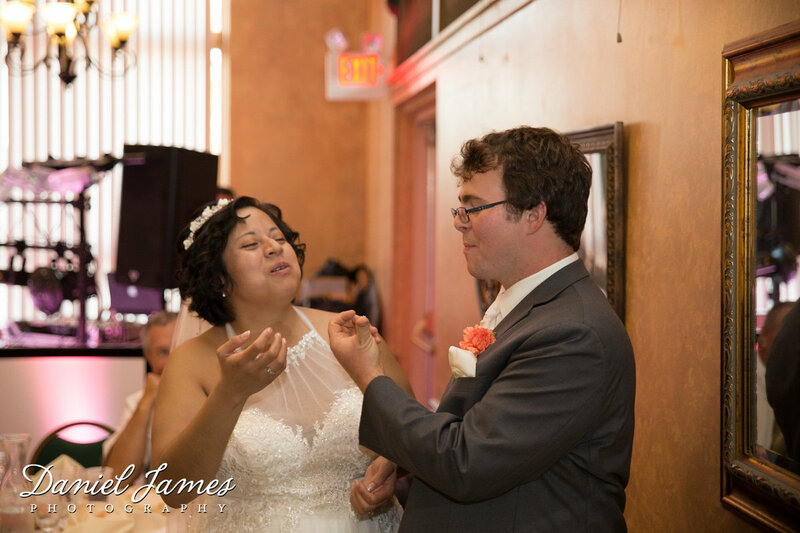 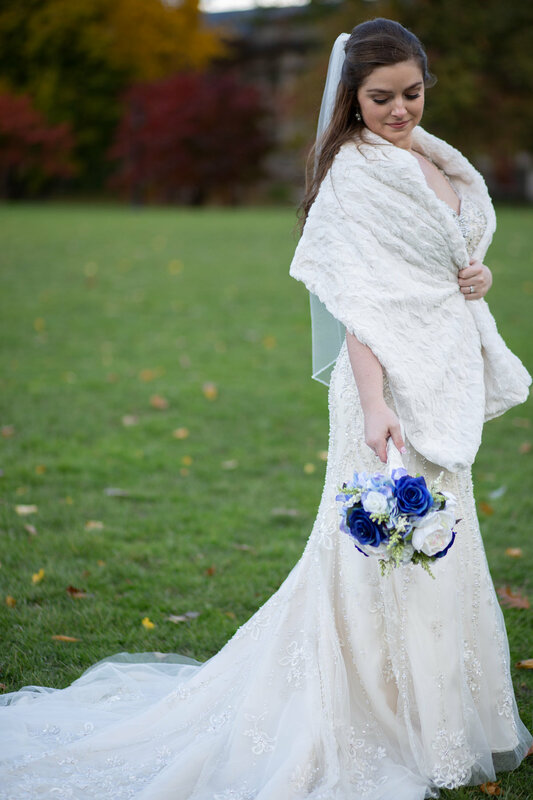 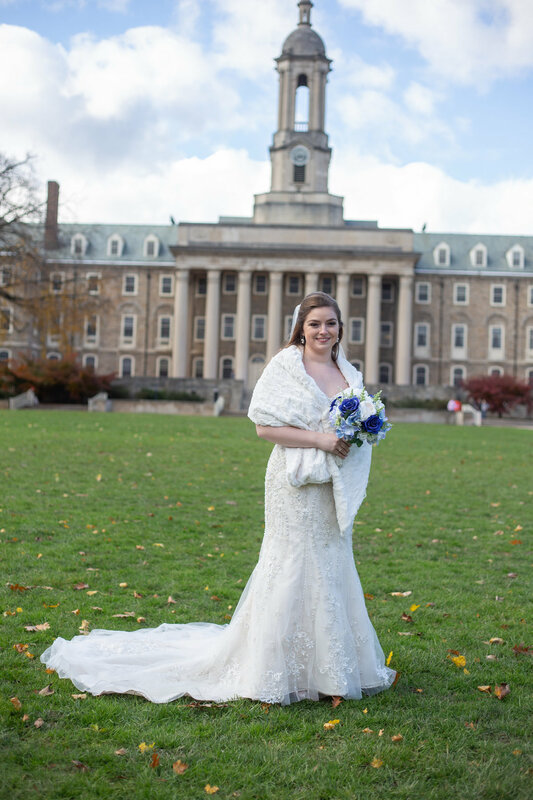 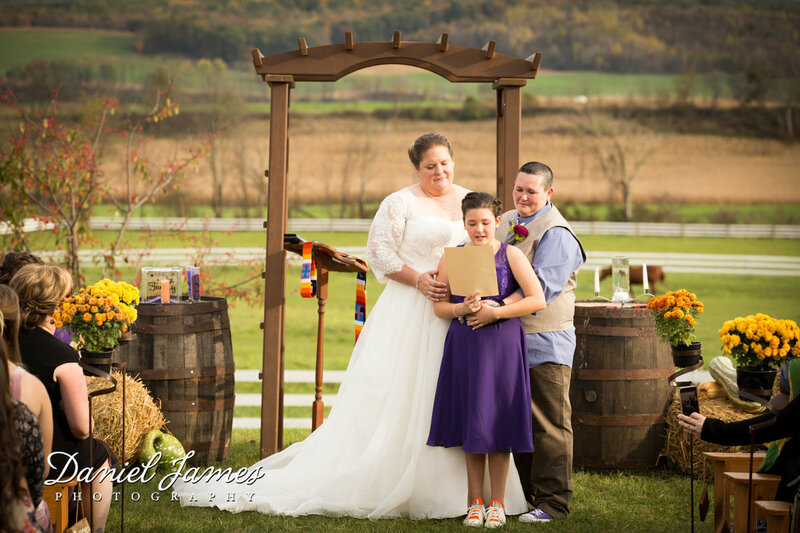 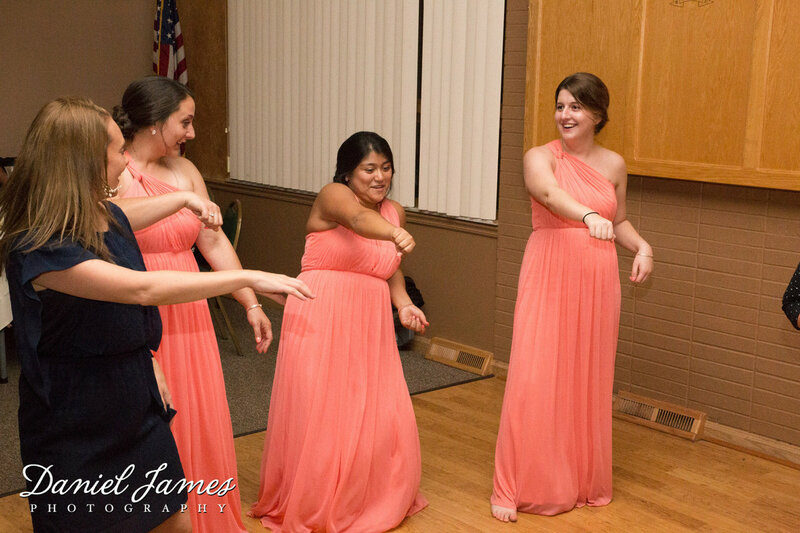 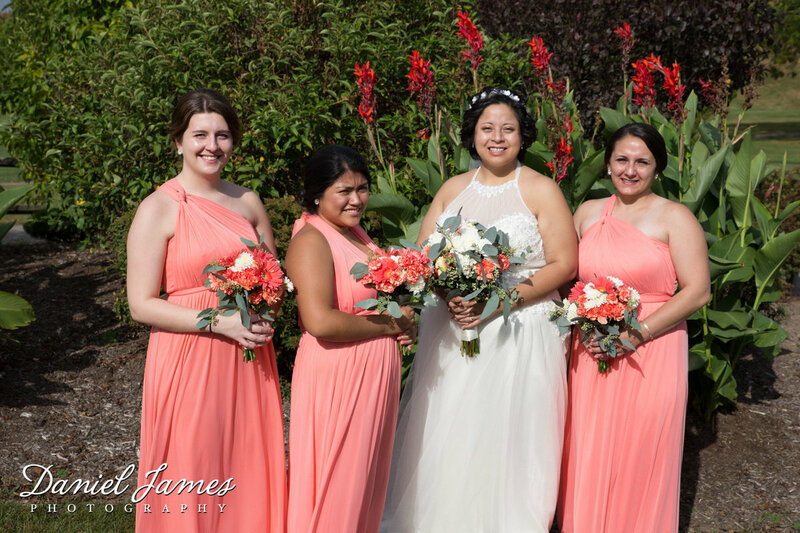 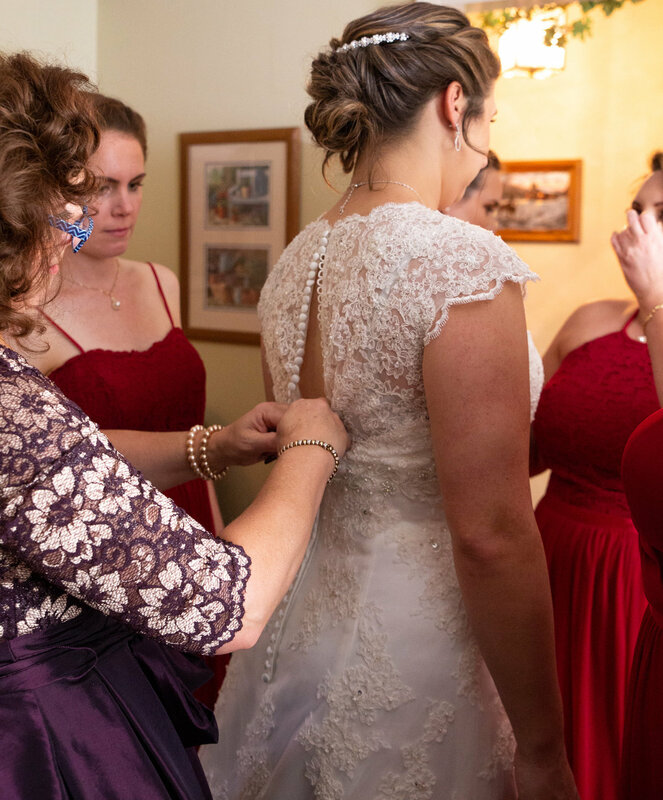 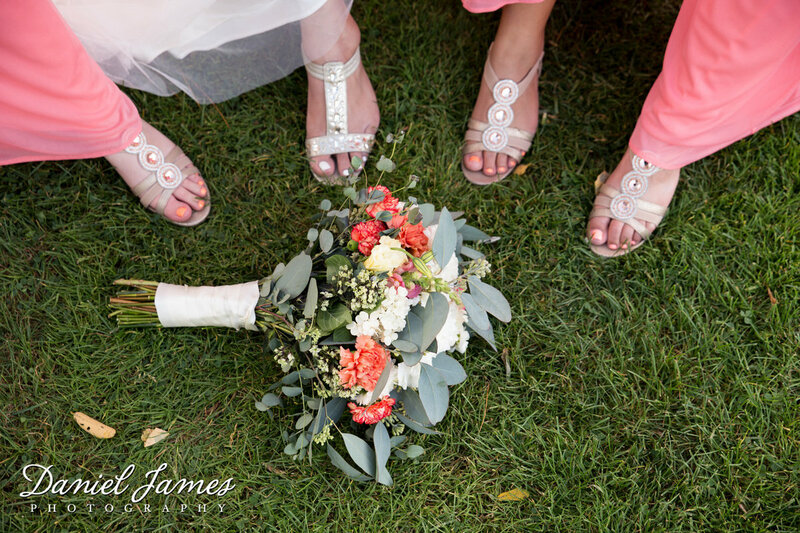 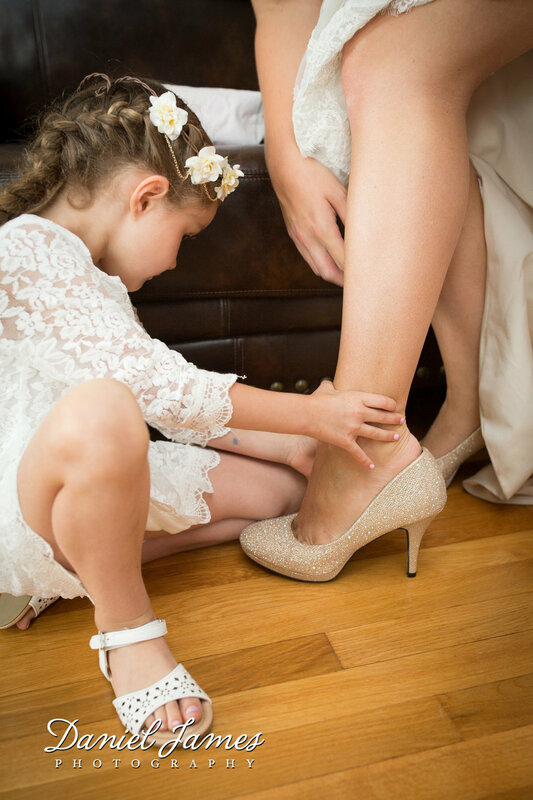 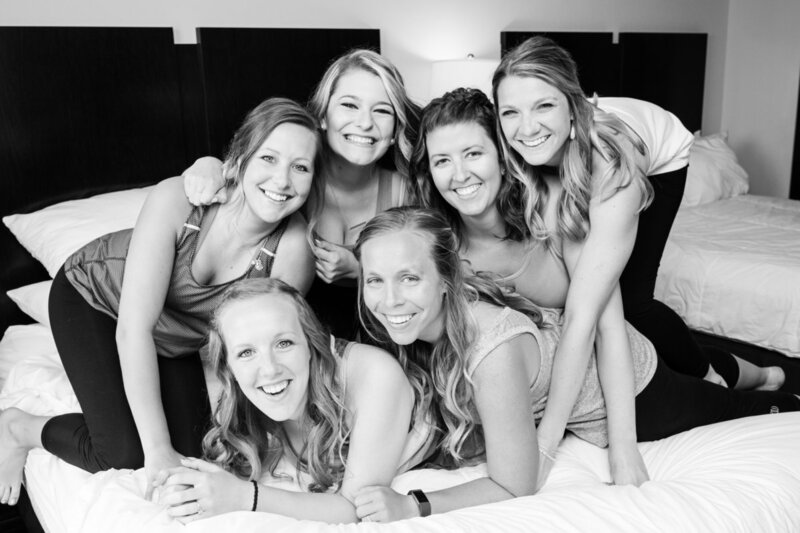 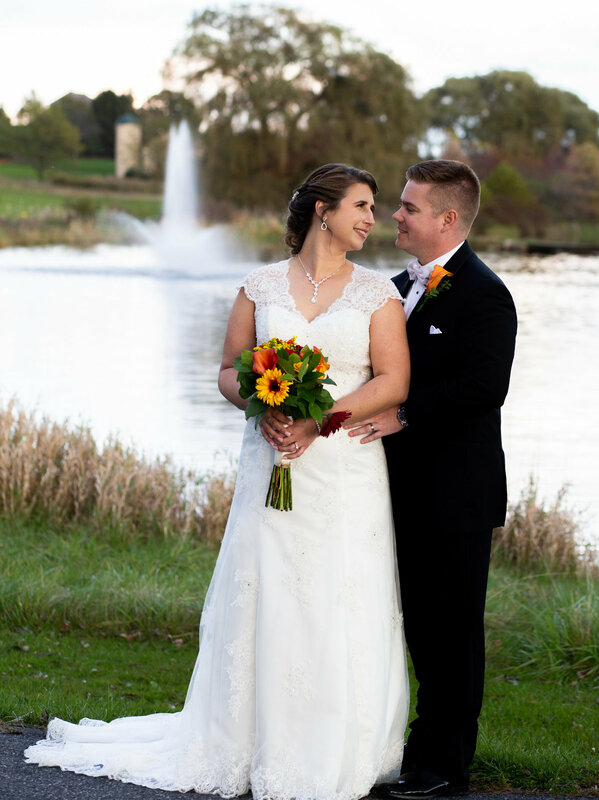 Over the years, Erika has gained experience in maternity, special occasions, and wedding photography. 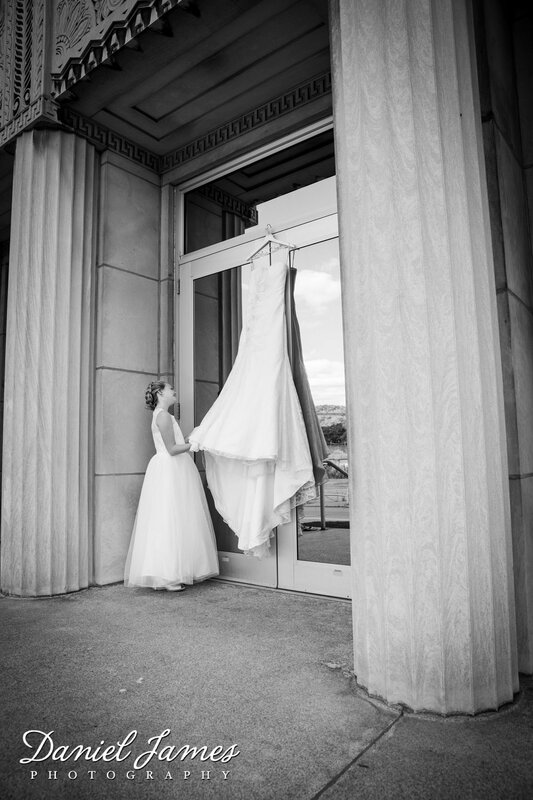 Erika's shooting style is a mix of traditional and photojournalism. 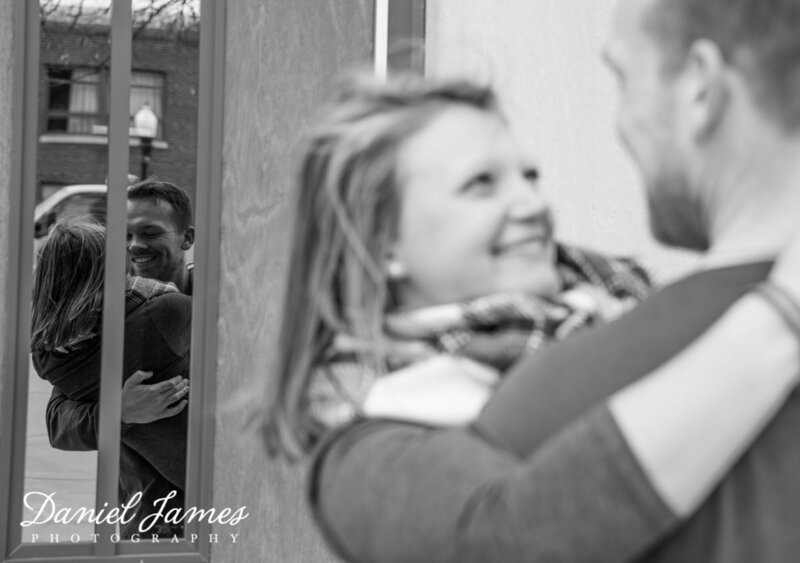 She has a gift for catching those special moments without you ever knowing. 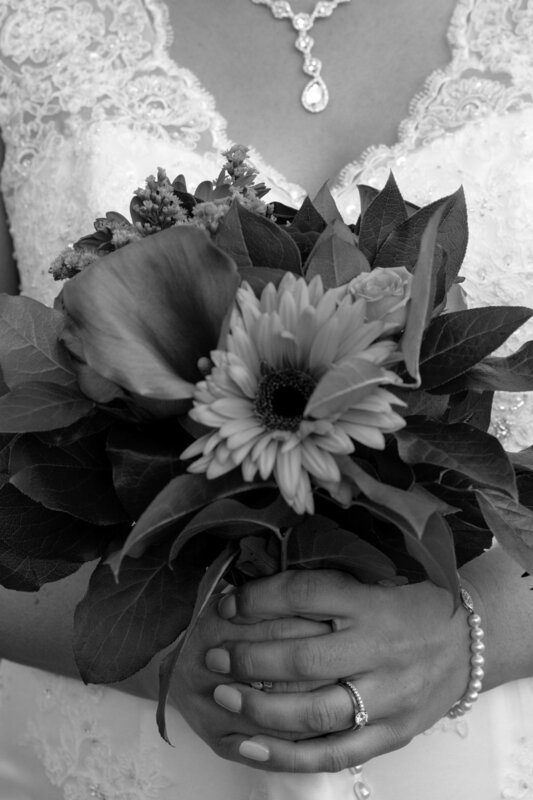 She is also very open to creative ideas and welcomes you to bring example pictures of what you are trying to achieve. 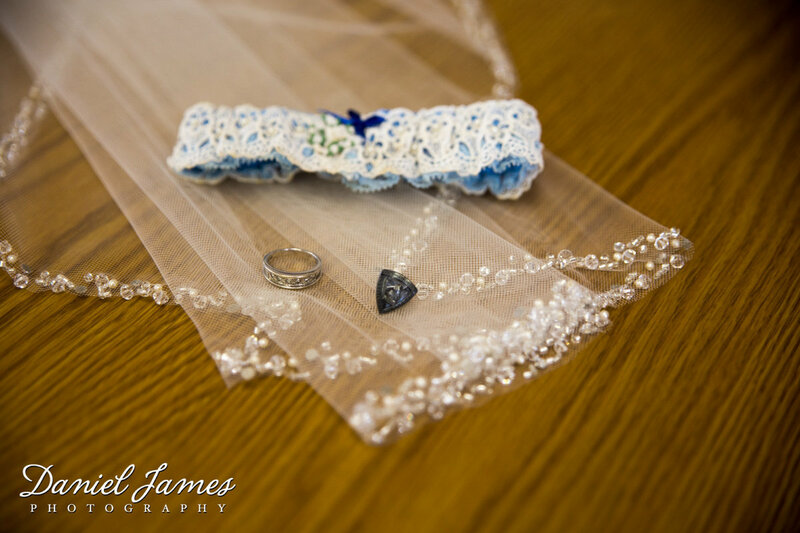 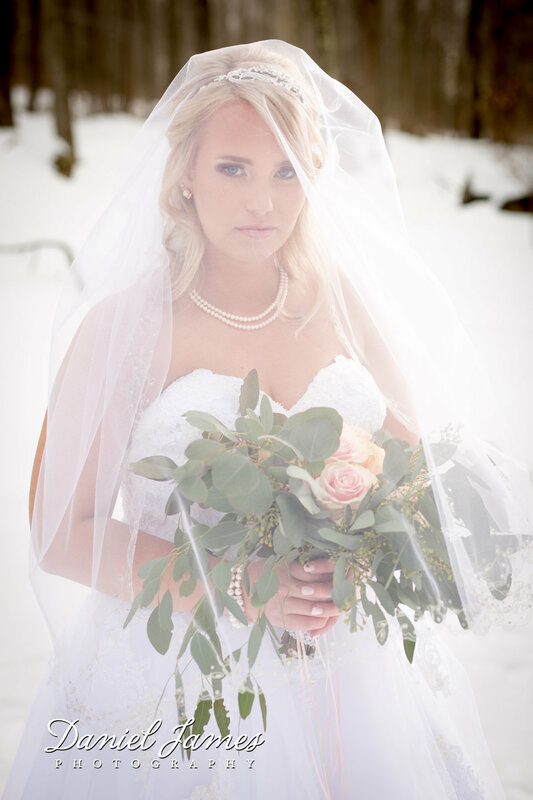 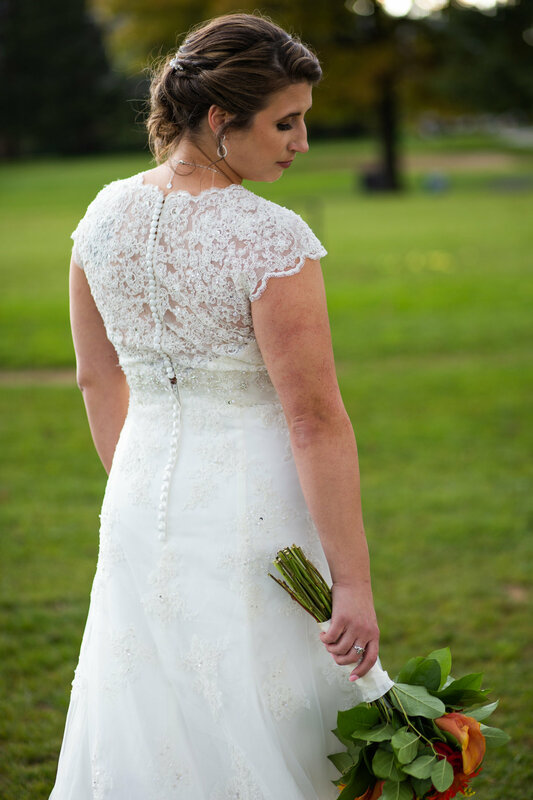 She is available as a 2nd photographer through Daniel James Photography, LLC. 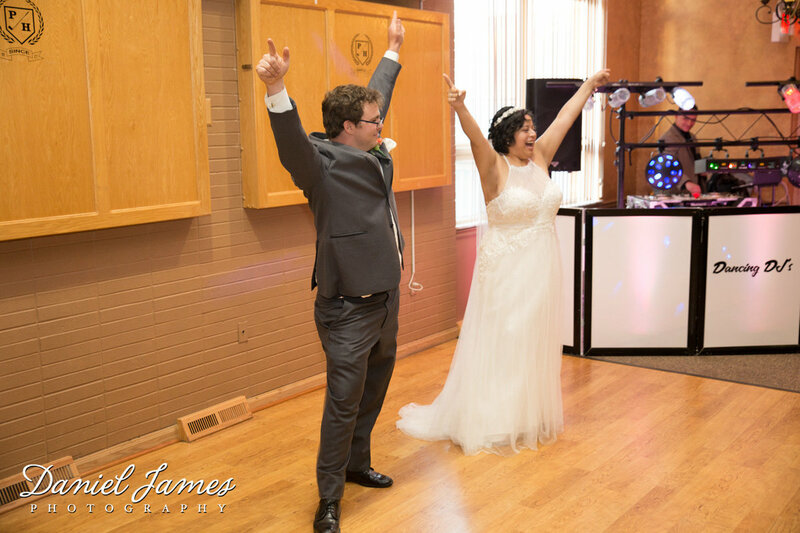 She also does wedding videography and photo booth services. 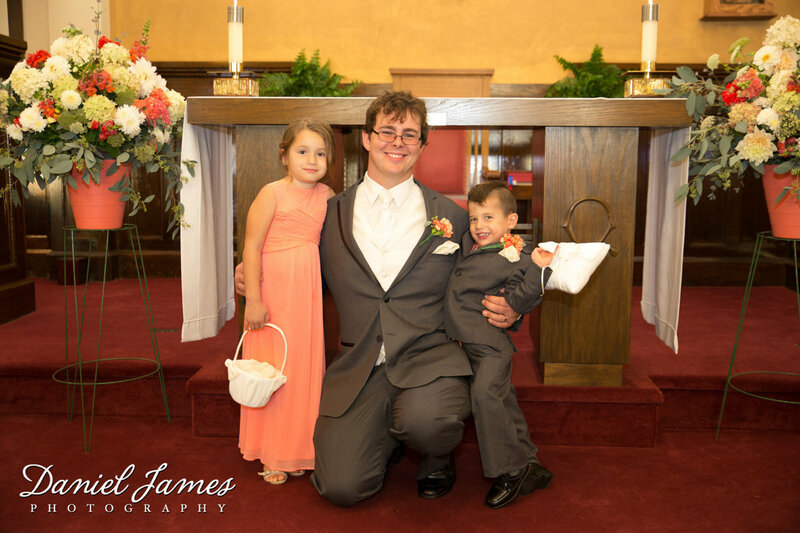 raising their two beautiful children Haydn and Avery. 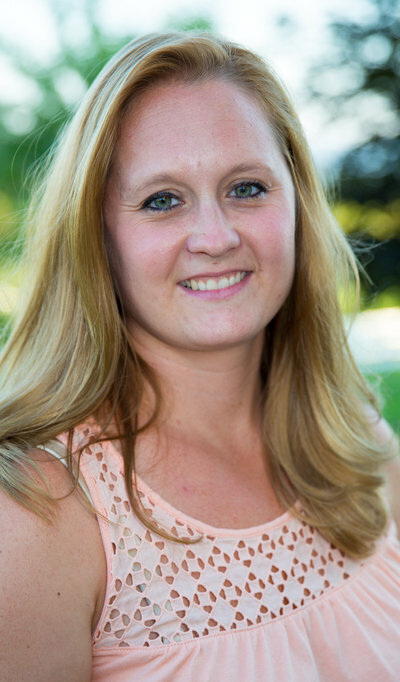 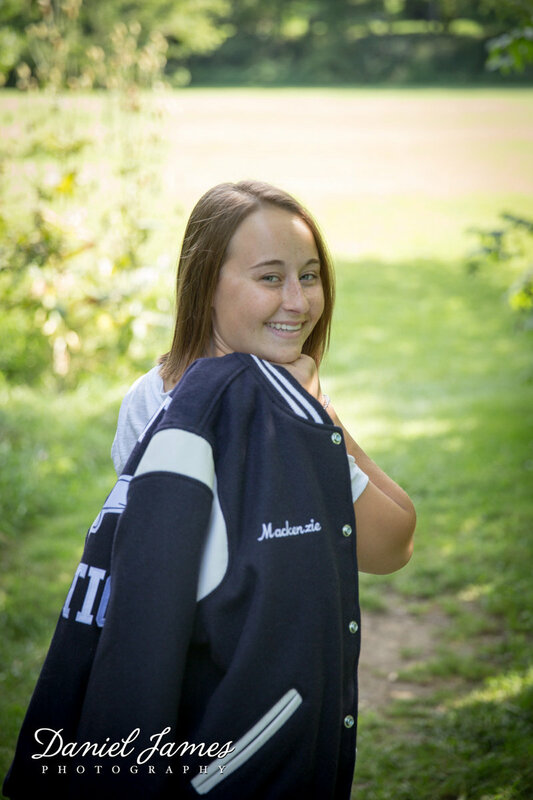 Erika works full time at Mount Nittany Medical Center as a phlebotomist with Tonya Forster. 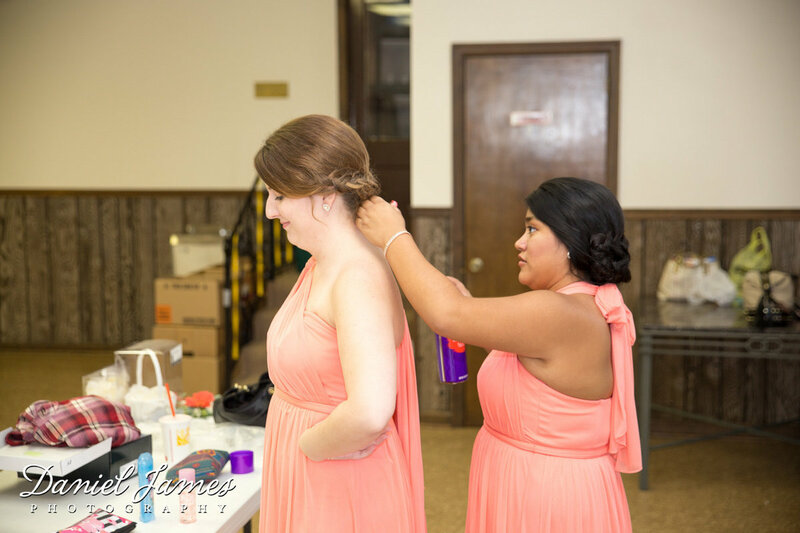 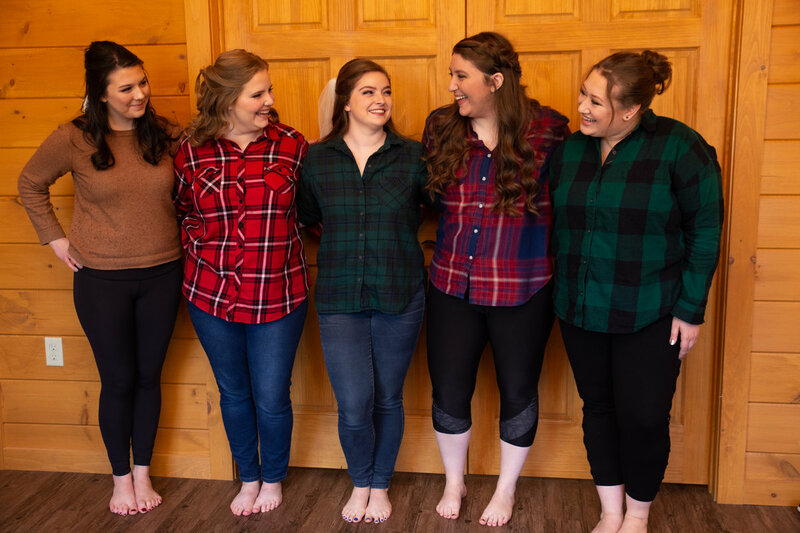 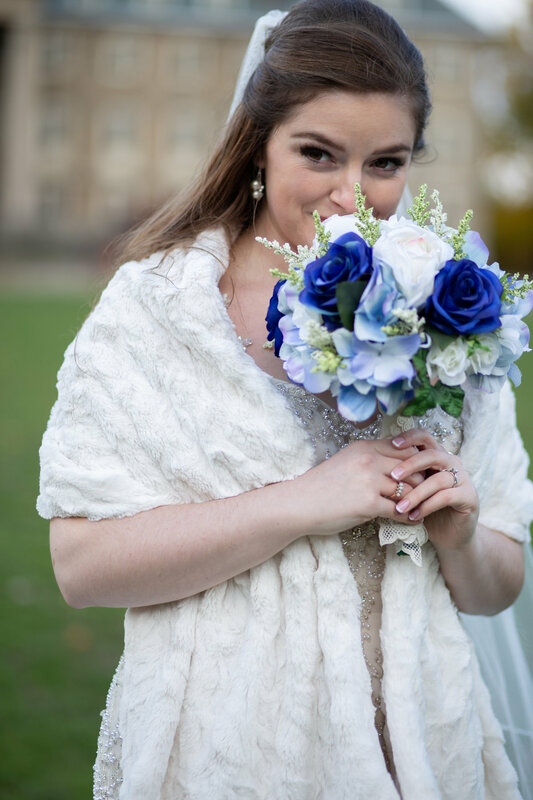 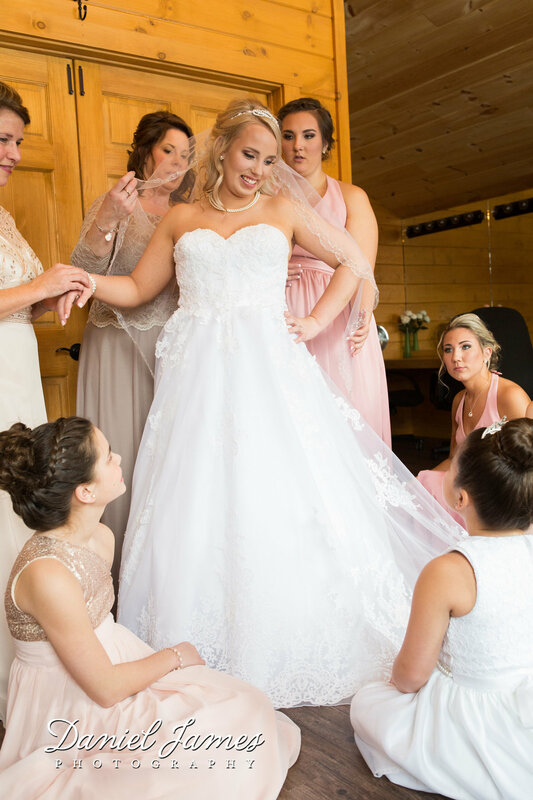 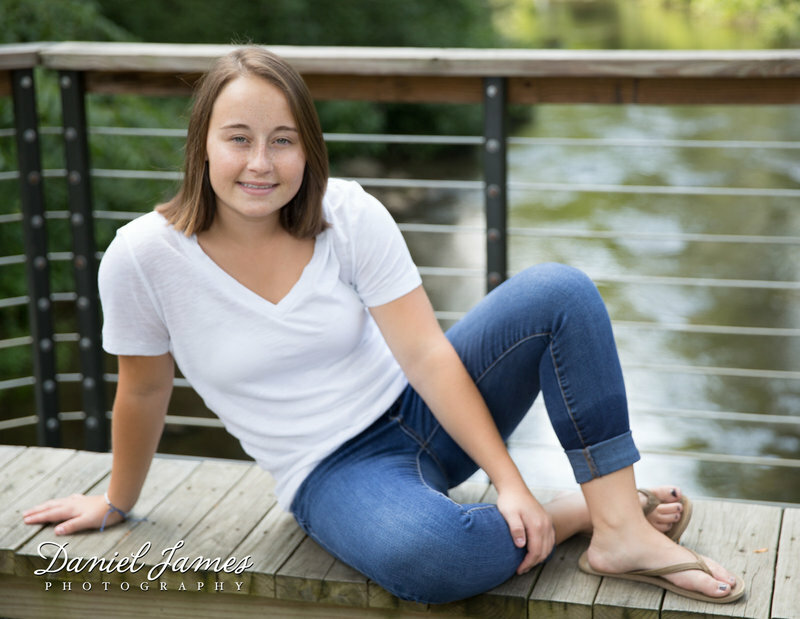 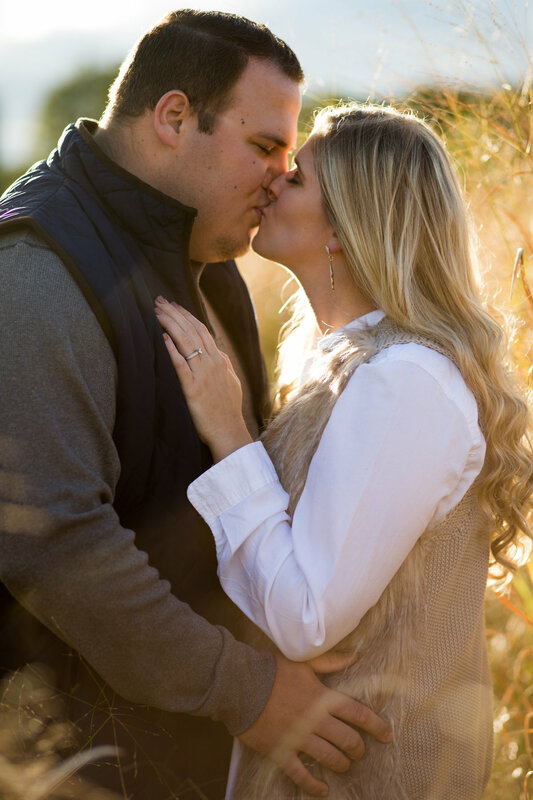 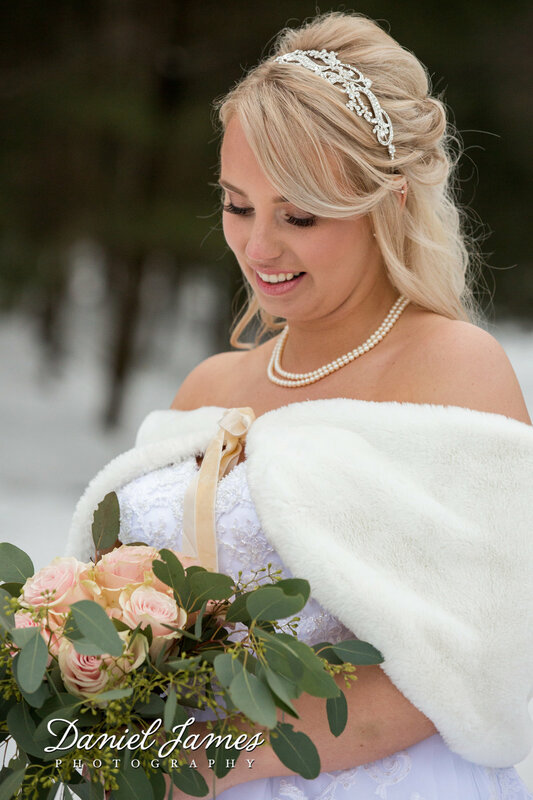 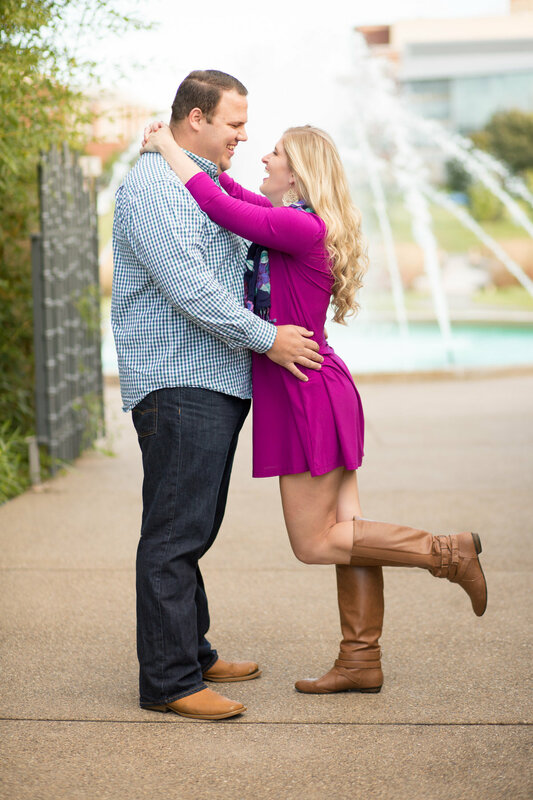 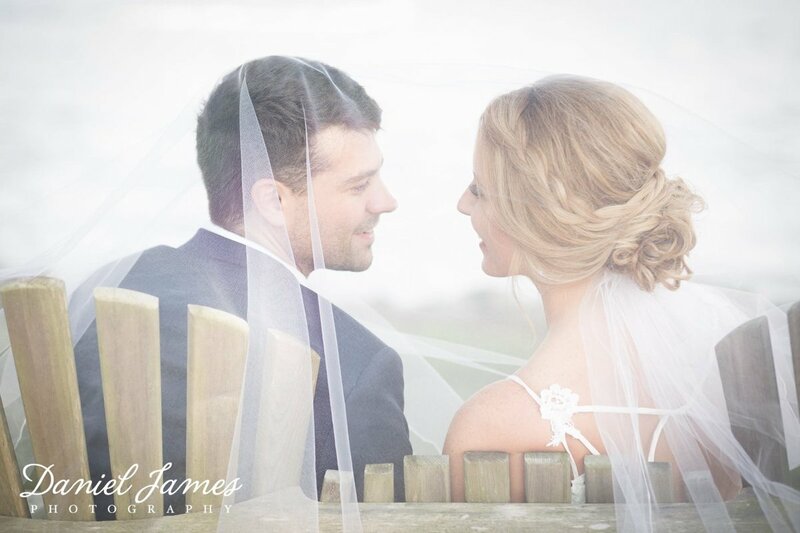 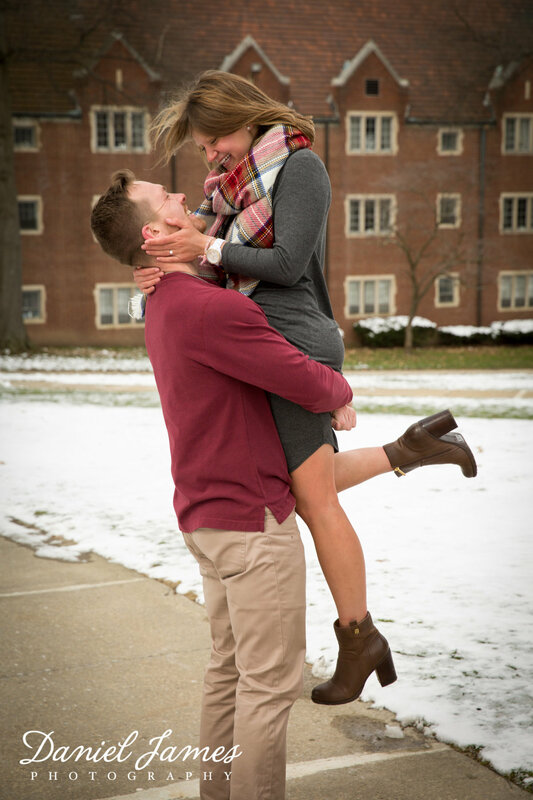 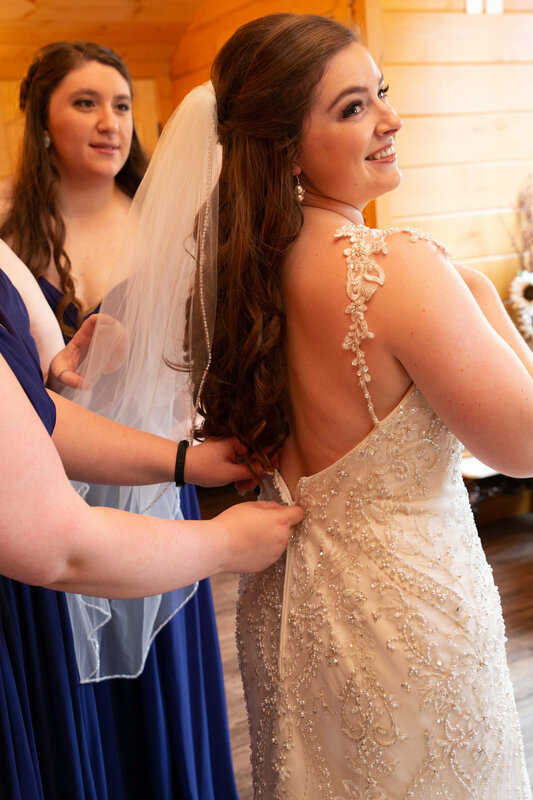 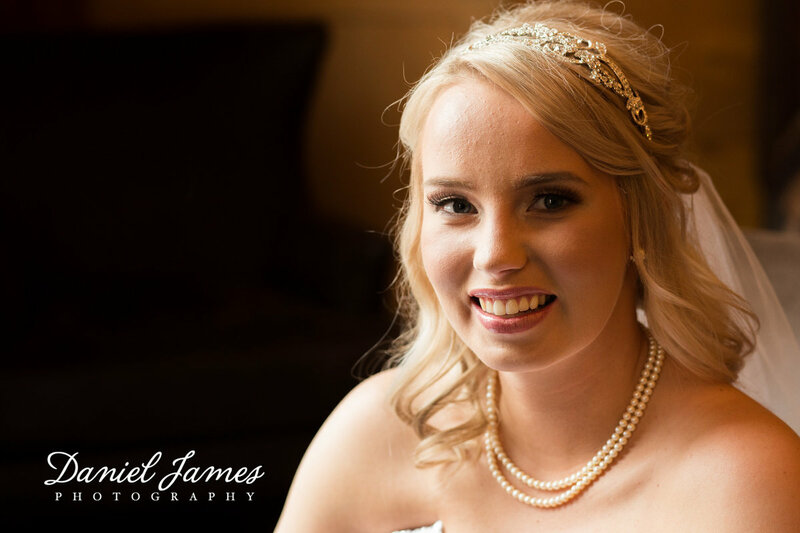 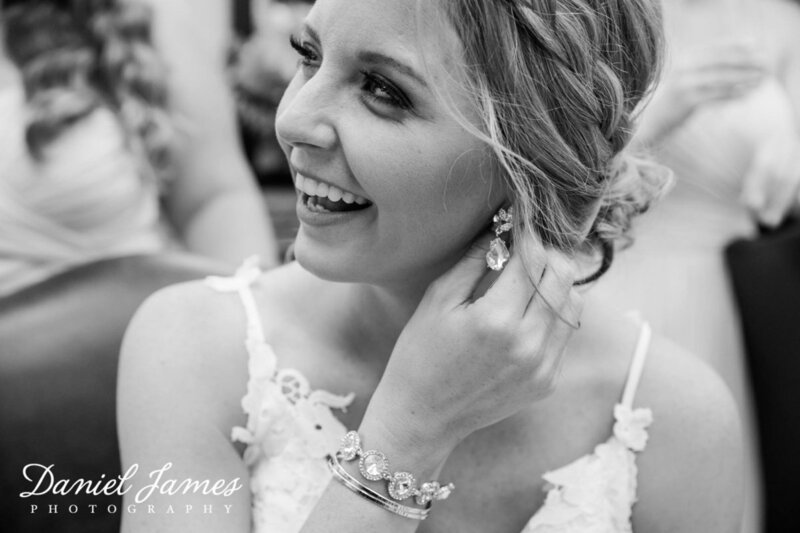 Erika has always had a passion for photography and loves to capture the beautiful unscripted moments in every occasion. 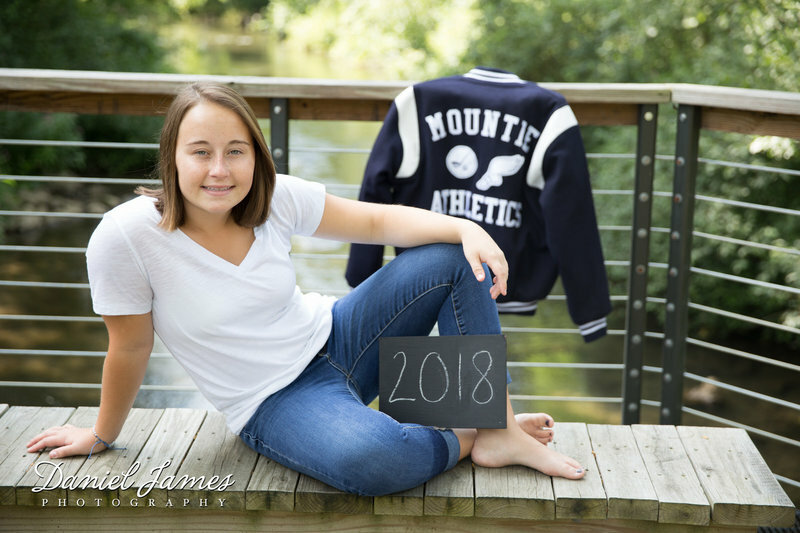 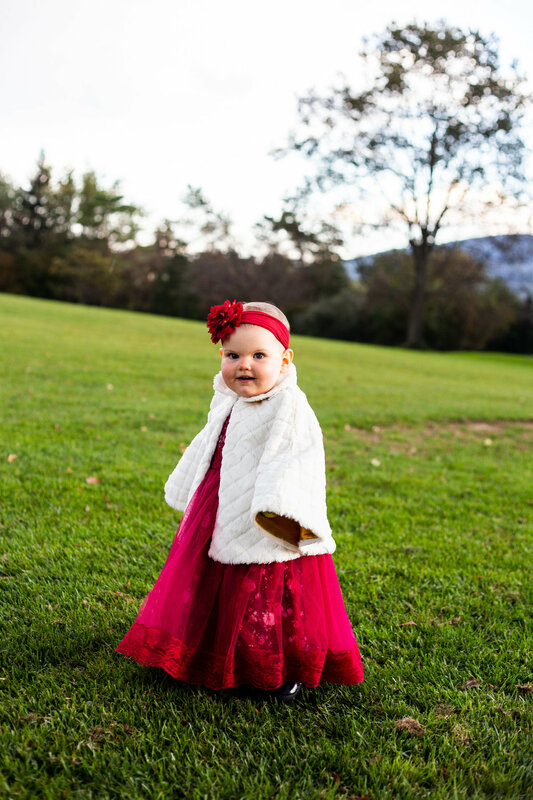 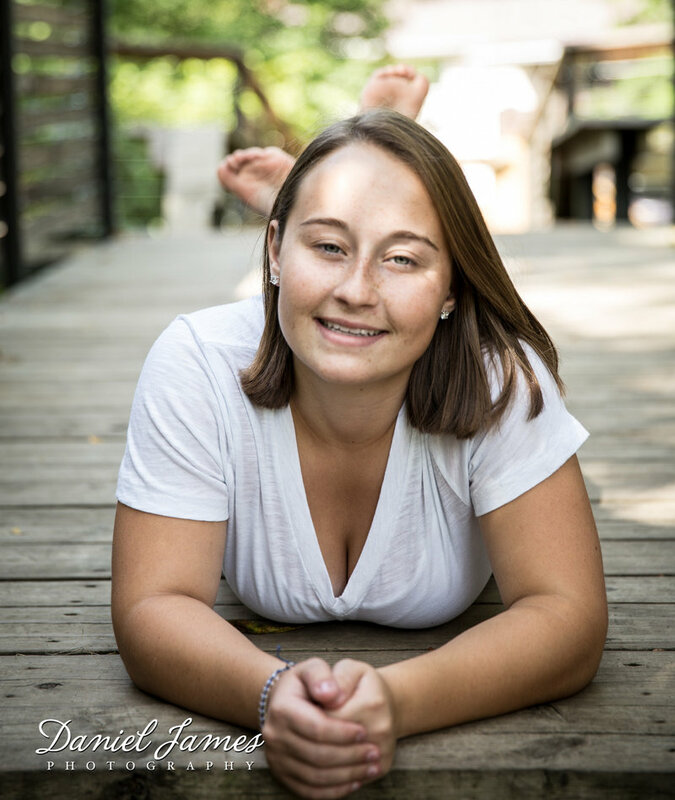 Photography has been a long time hobby of hers as she has done a lot of nature and family photography. 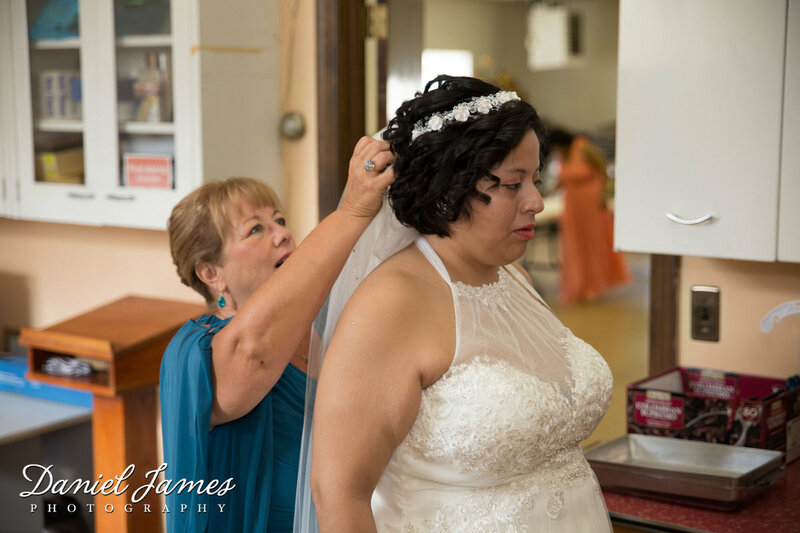 Over the years, Erika has gained experience in maternity, special occasions, and wedding photography. 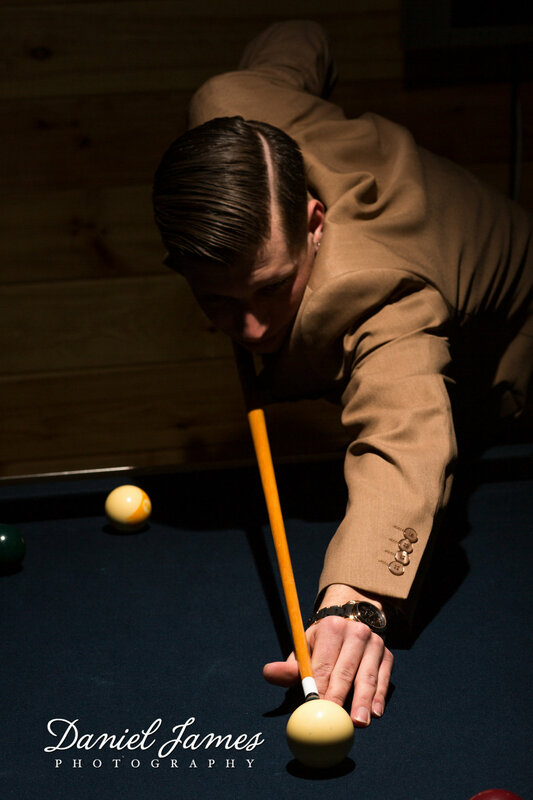 Erika's shooting style is a mix of traditional and photojournalism. 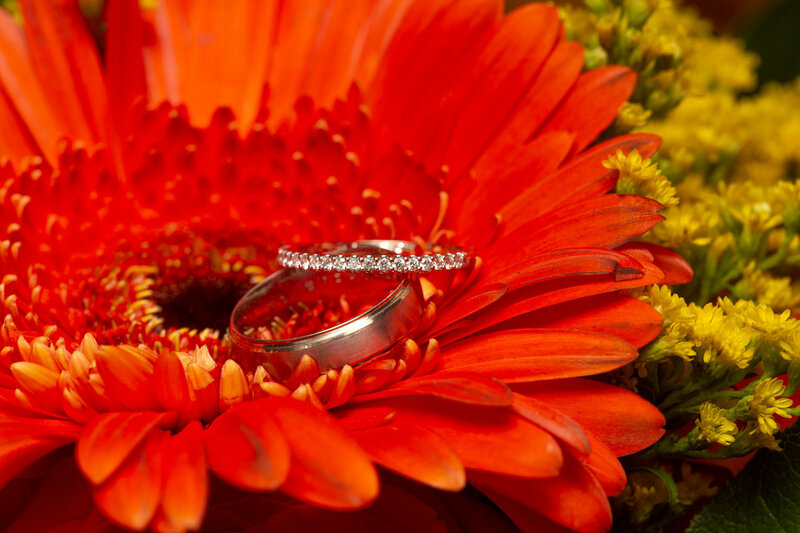 She has a gift for catching those special moments without you ever knowing. 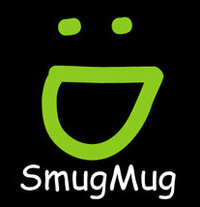 She is also very open to creative ideas and welcomes you to bring example pictures of what you are trying to achieve. 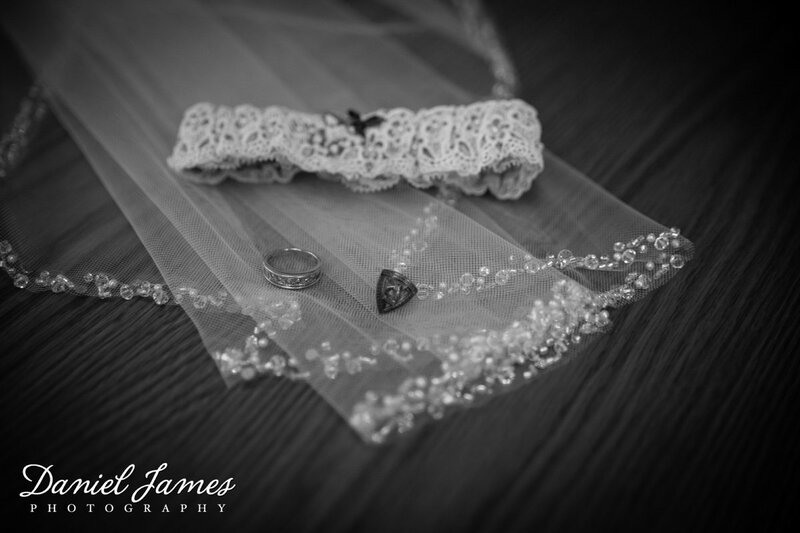 She is available as a 2nd photographer through Daniel James Photography, LLC. 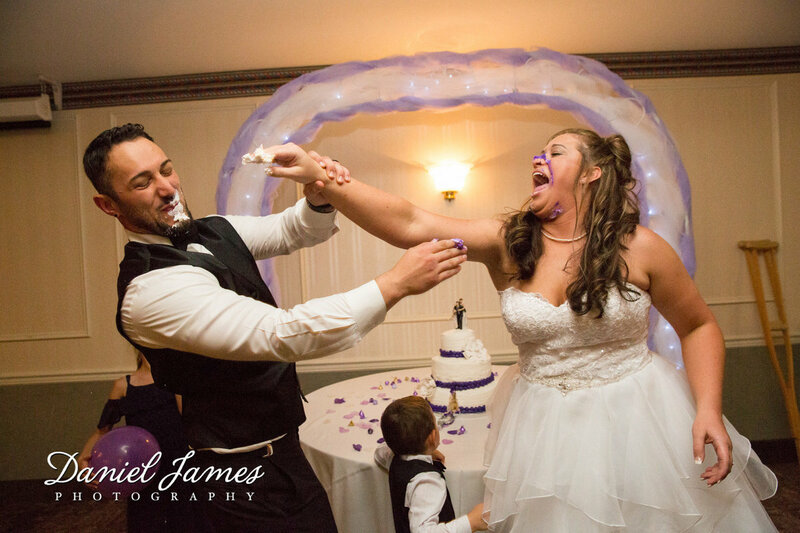 She also does wedding videography and photo booth services.